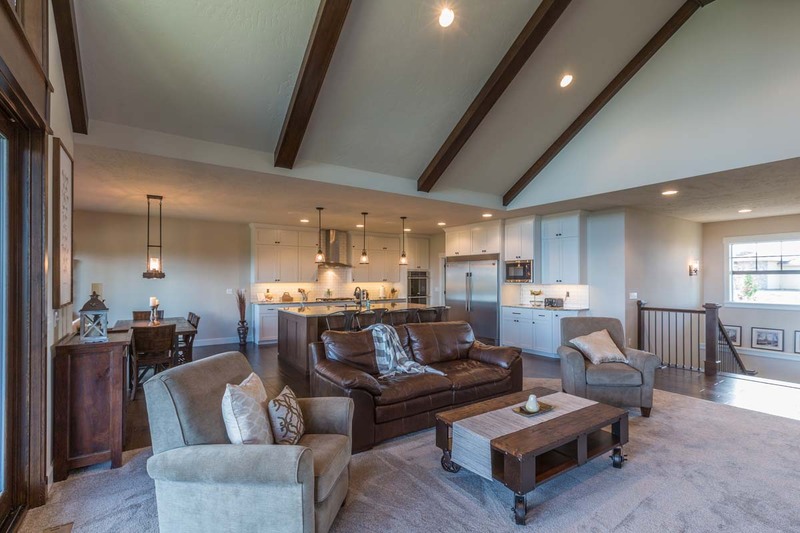 At Paras Homes we have accomplished our mission and goals for many years, and we have now built nearly 1,700 homes throughout the region. 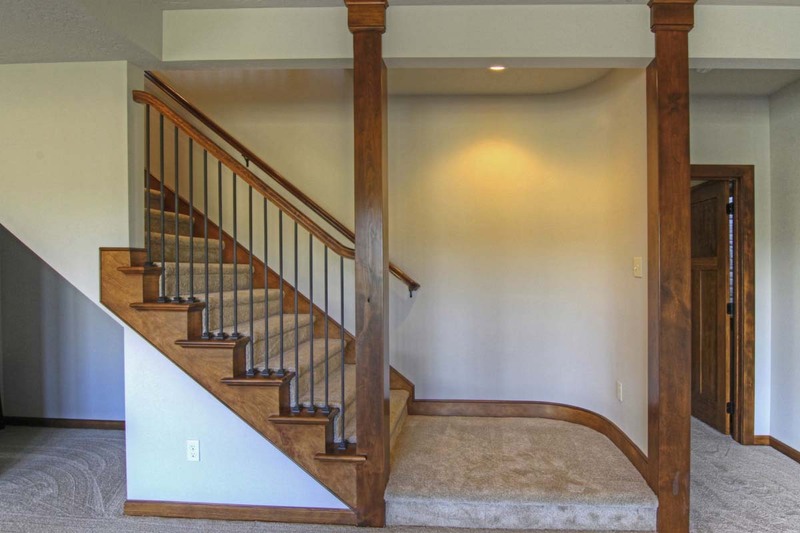 The majority of our key employees and subcontracting partners have been with us for over 30+ years. 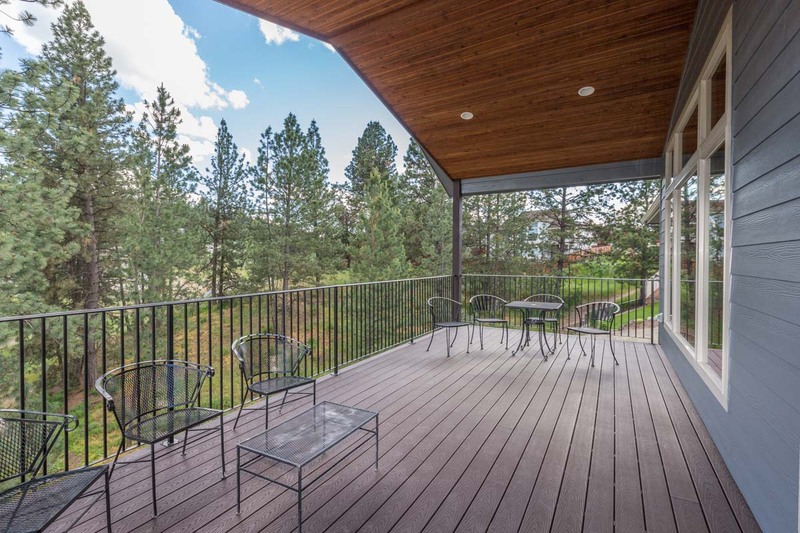 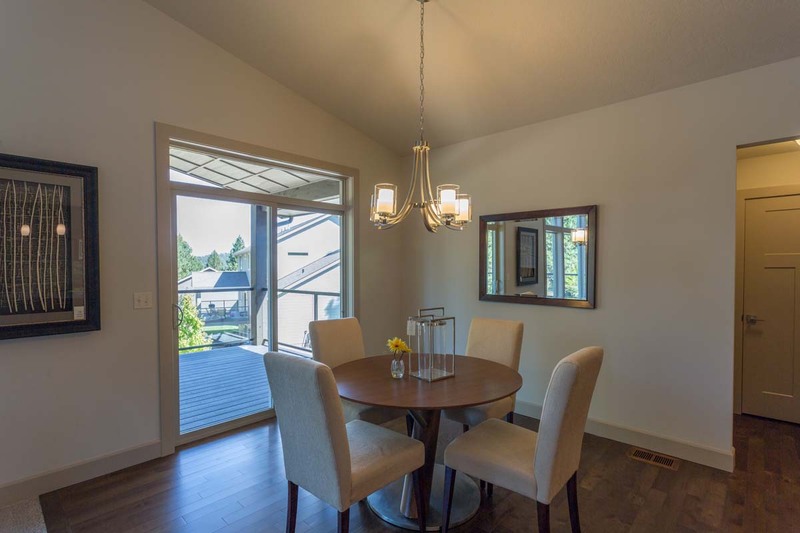 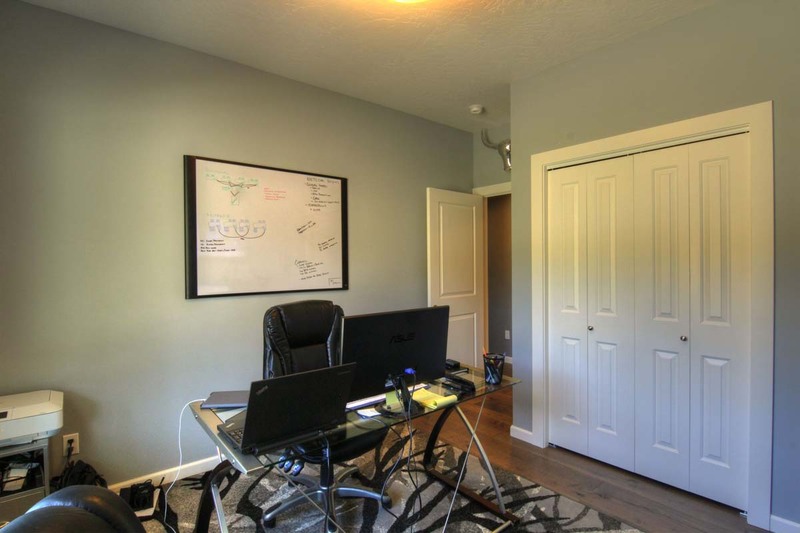 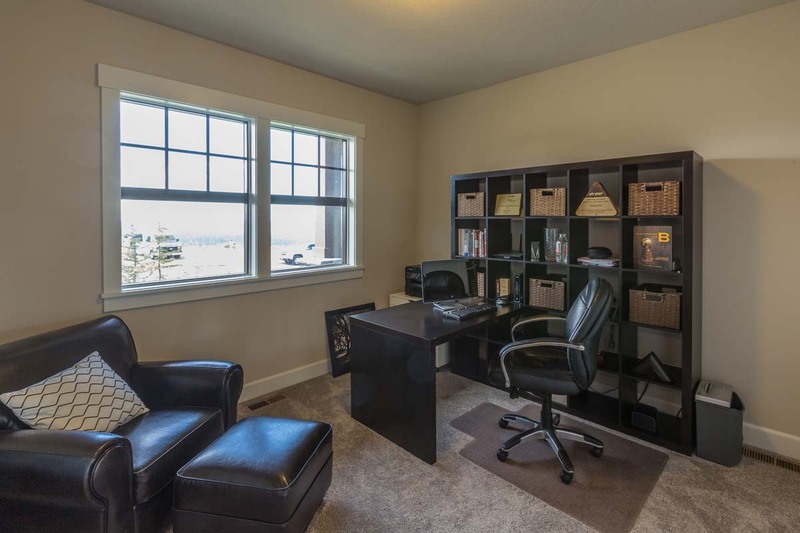 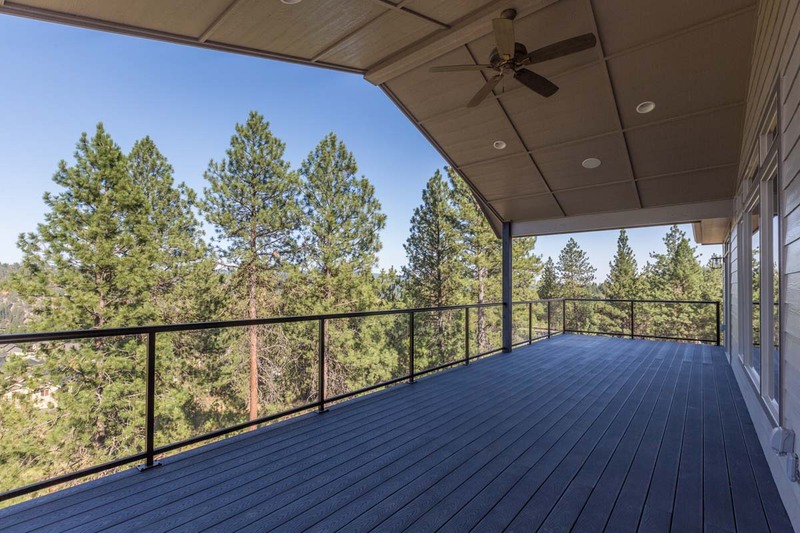 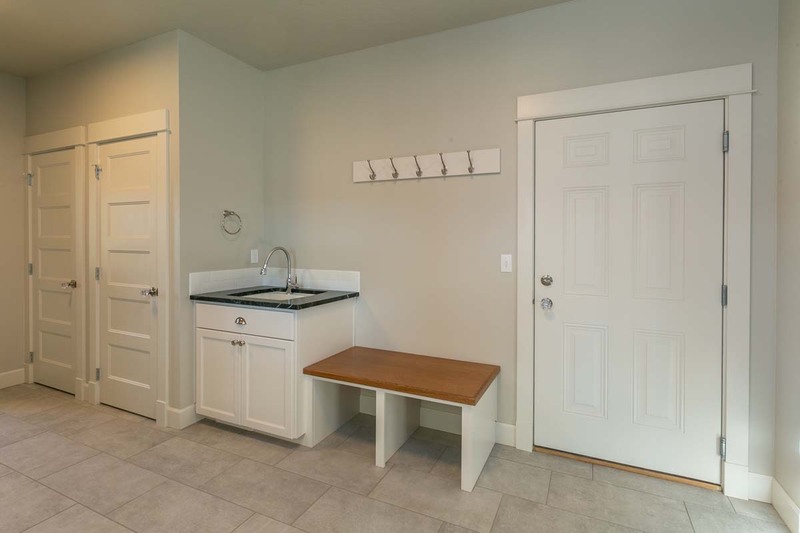 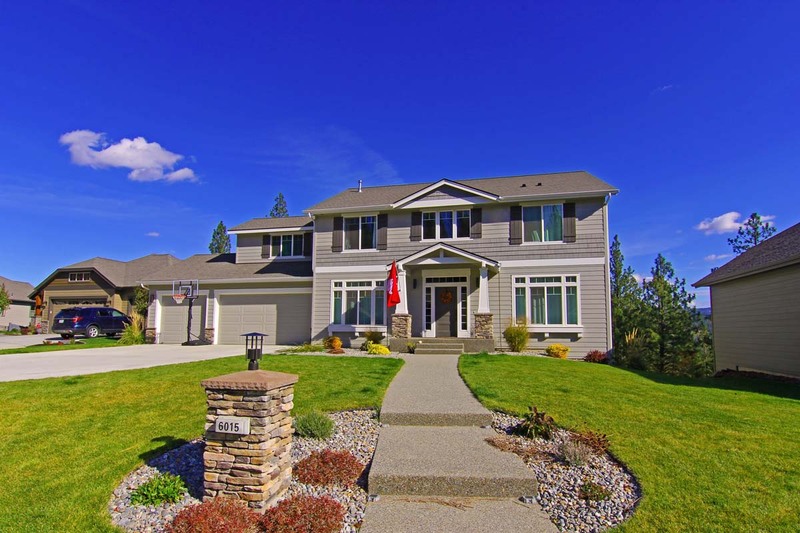 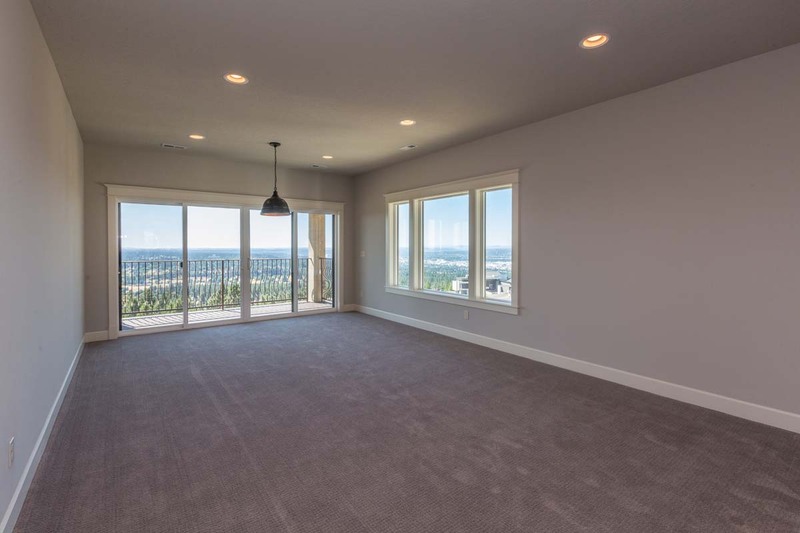 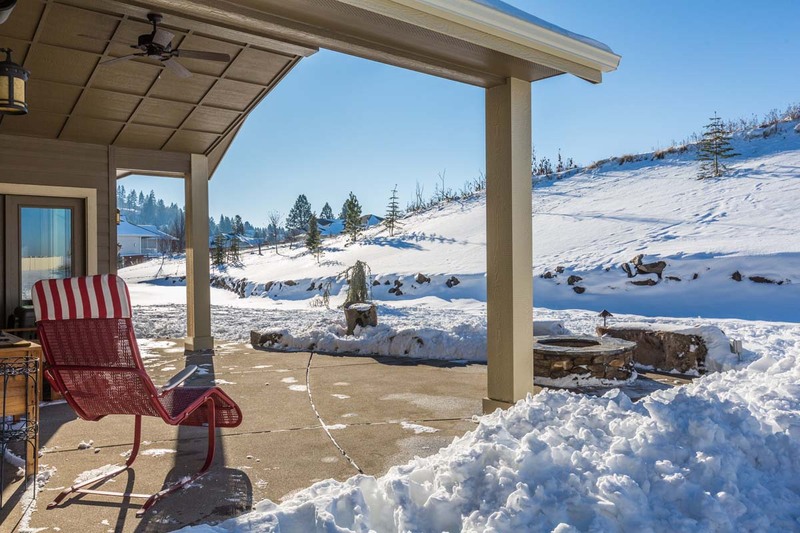 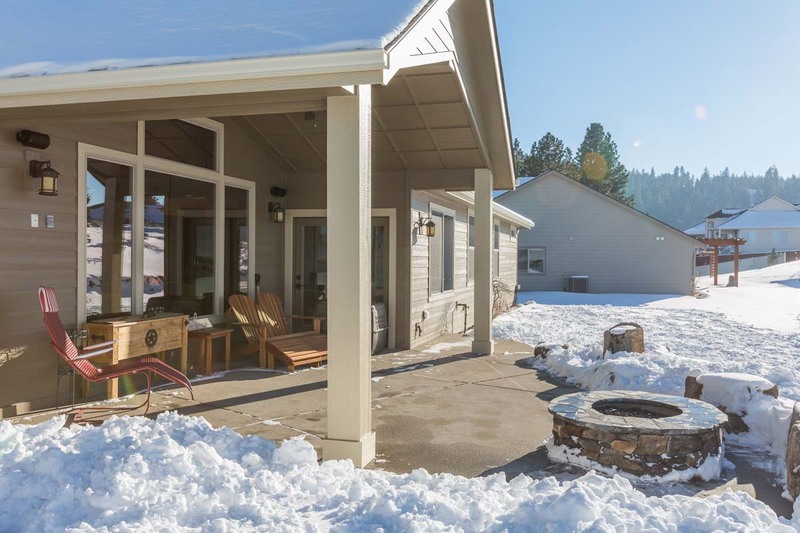 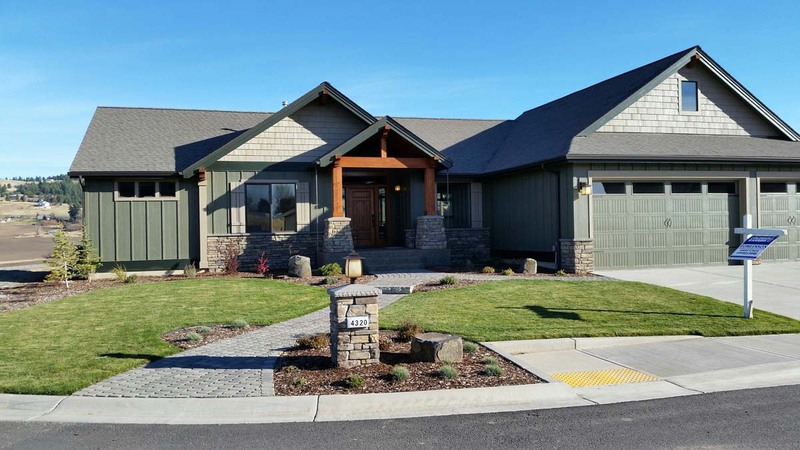 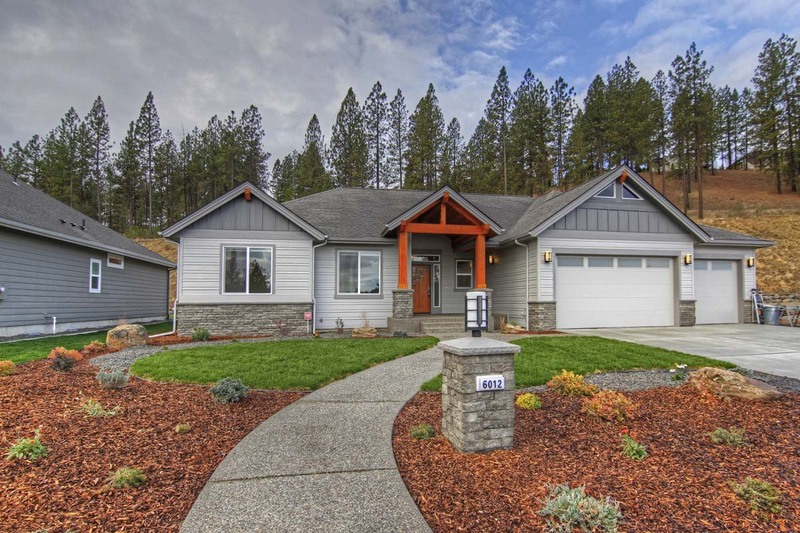 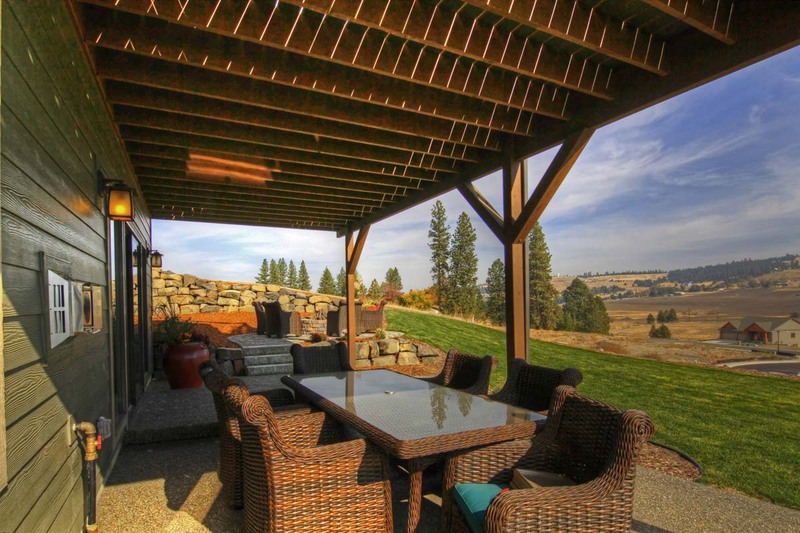 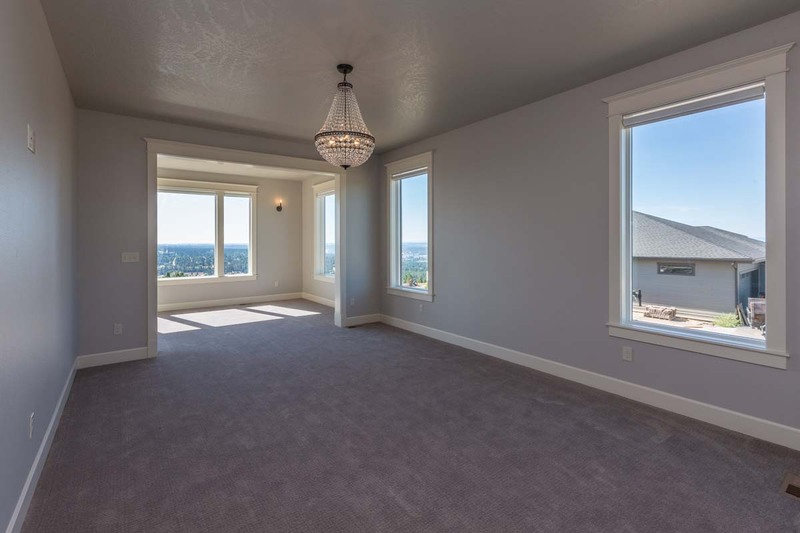 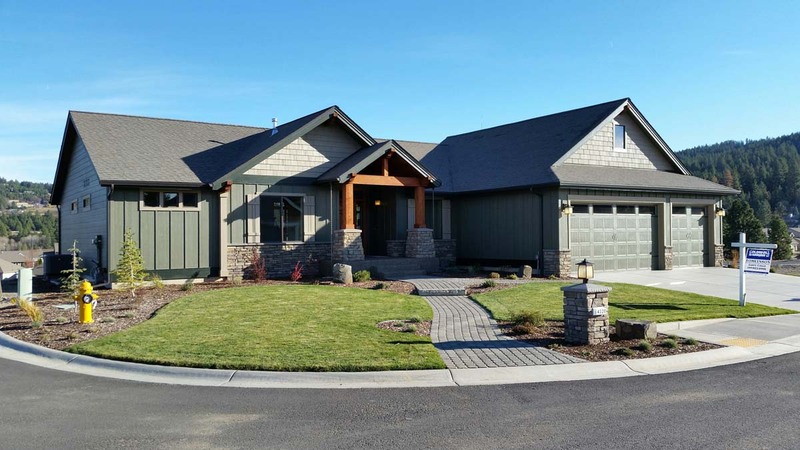 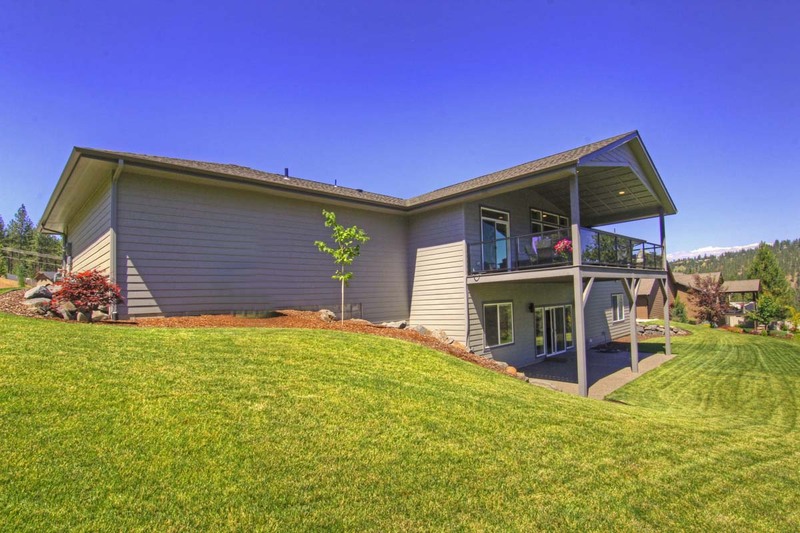 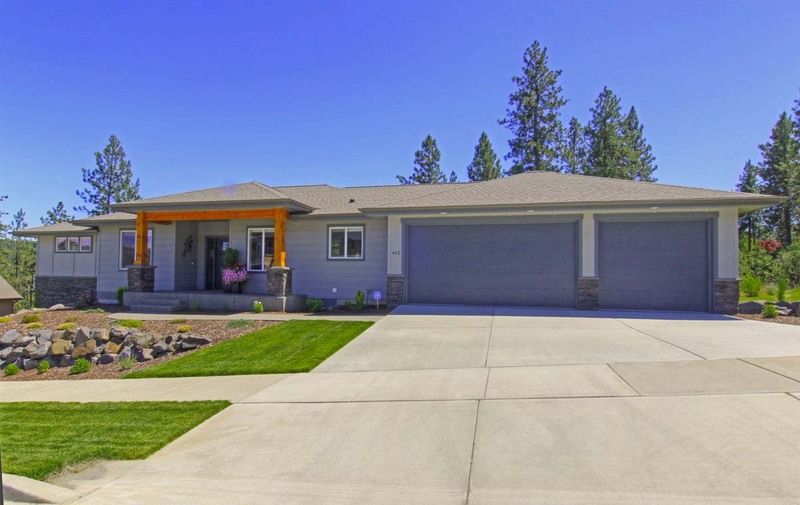 This level of cohesiveness and experience results in a high level of customer satisfaction, and our homes and neighborhoods produce some of the highest re-sale value in Spokane. 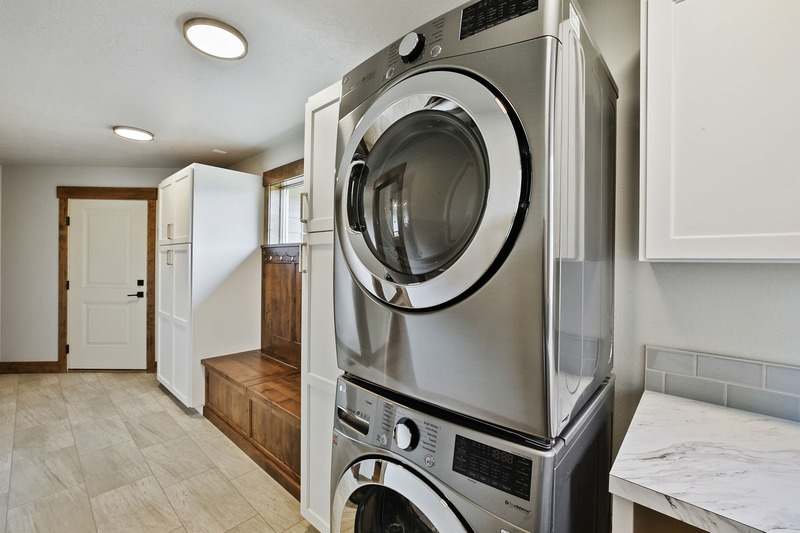 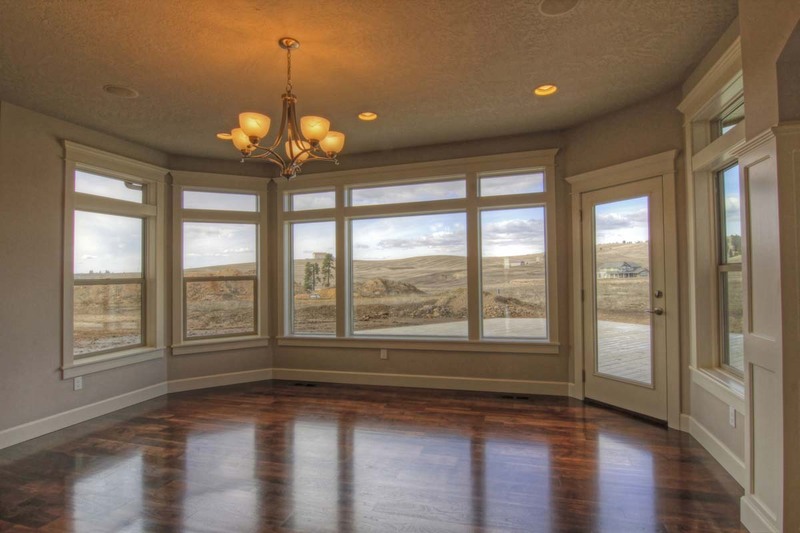 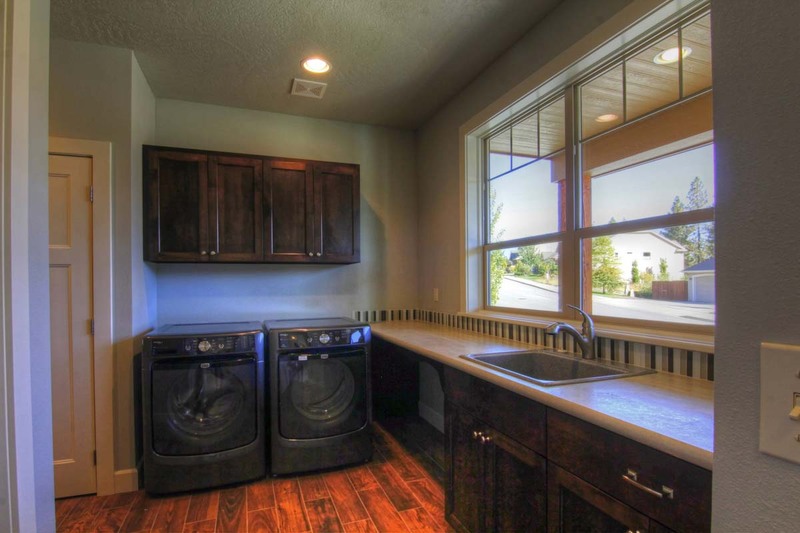 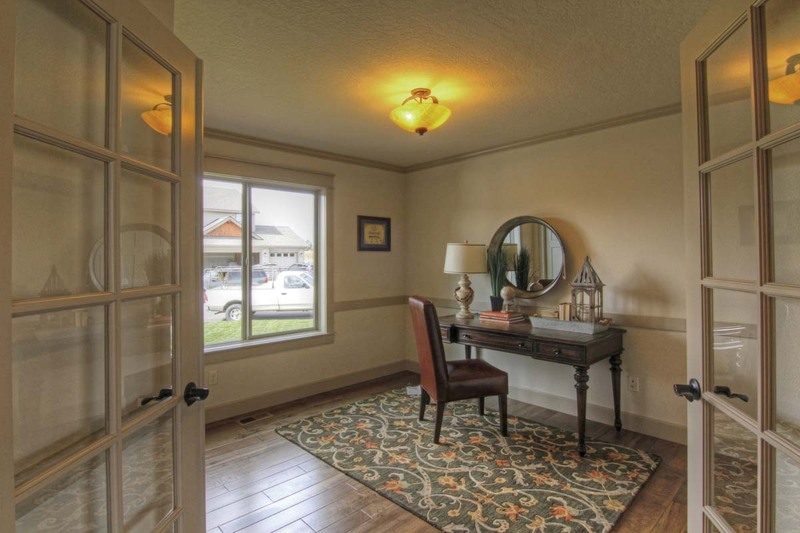 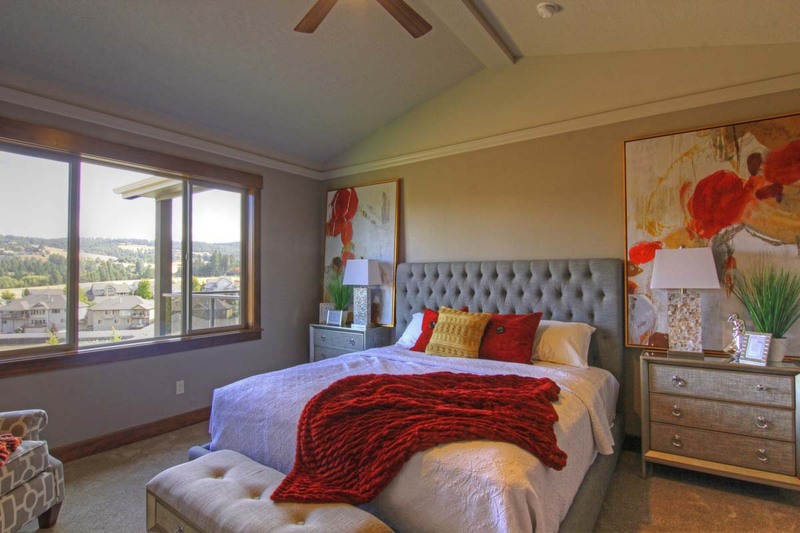 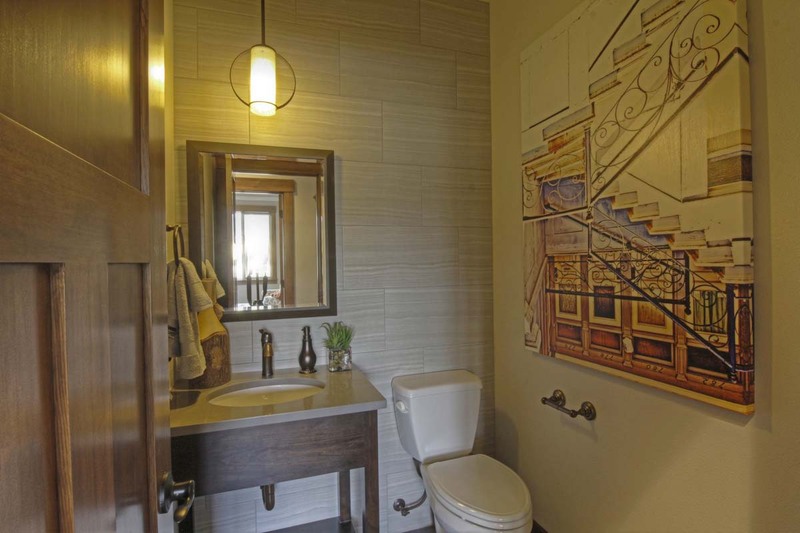 Overall, each of our homes are highly customized, whether it is a custom or speculative home. 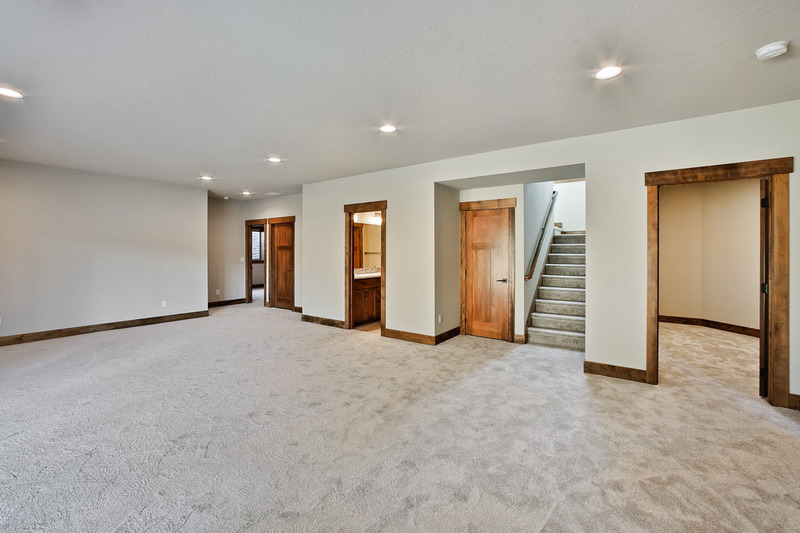 Through the years, 1/2 of our houses have been built specifically for the owner, which means that we have a proven ability to meet our owners’ wide ranging needs and objectives. 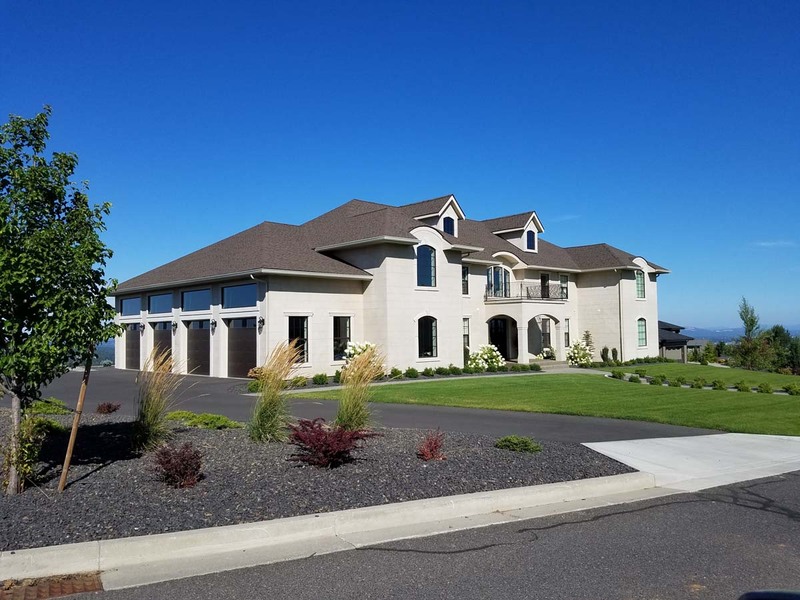 Additionally, our high level of success in selling speculative homes on a consistent basis shows that we are in touch with the market, are price competitive, and provide great value! 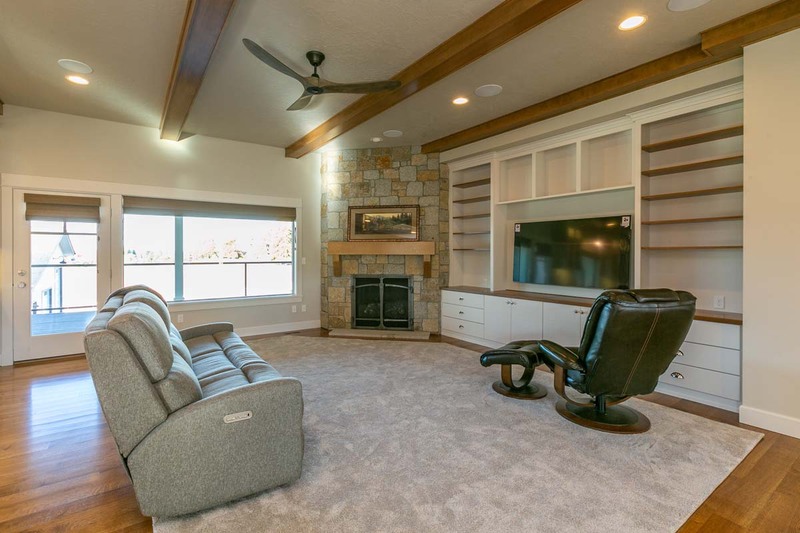 Remarkable recently built custom! 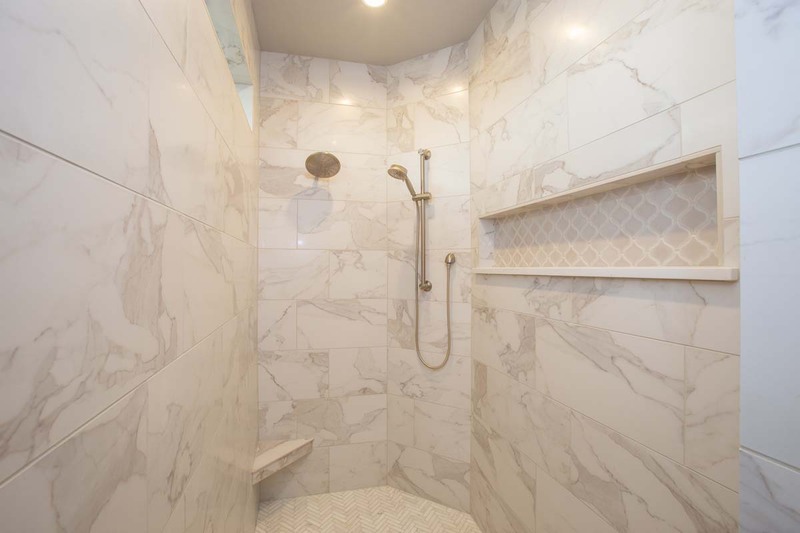 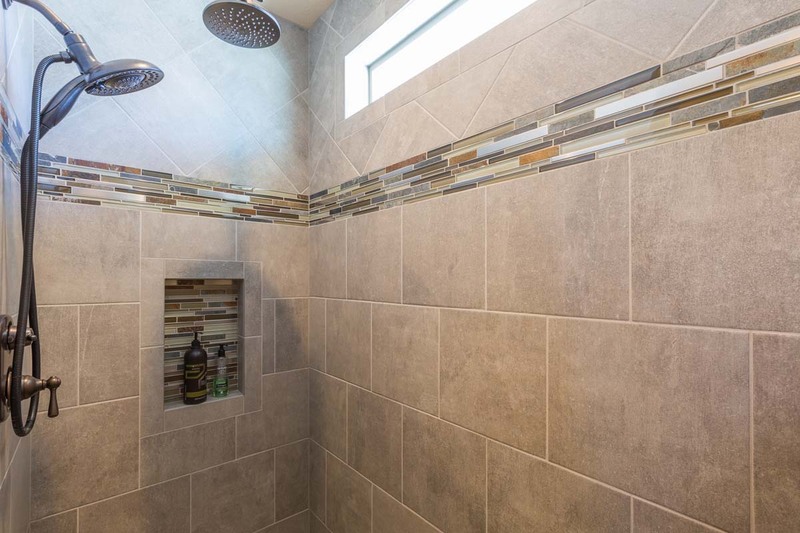 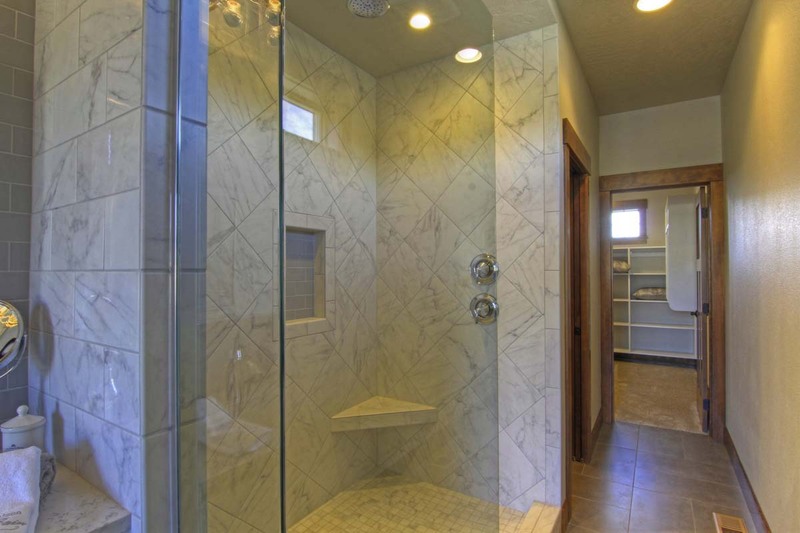 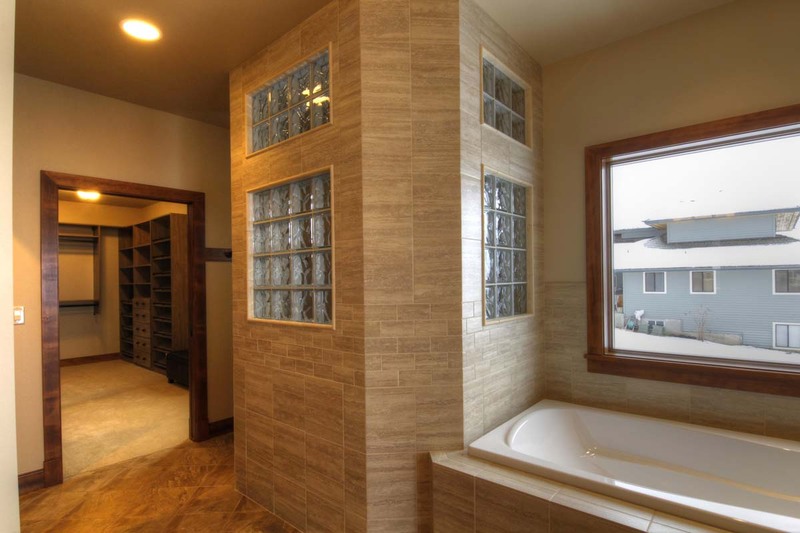 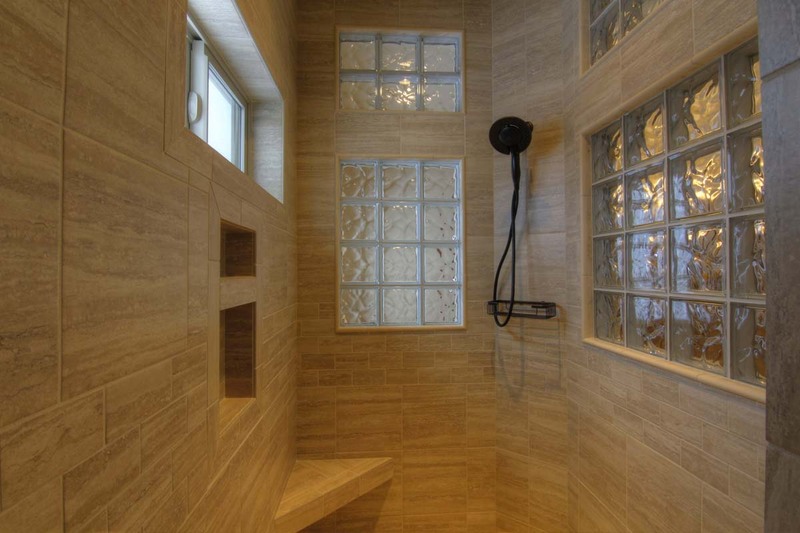 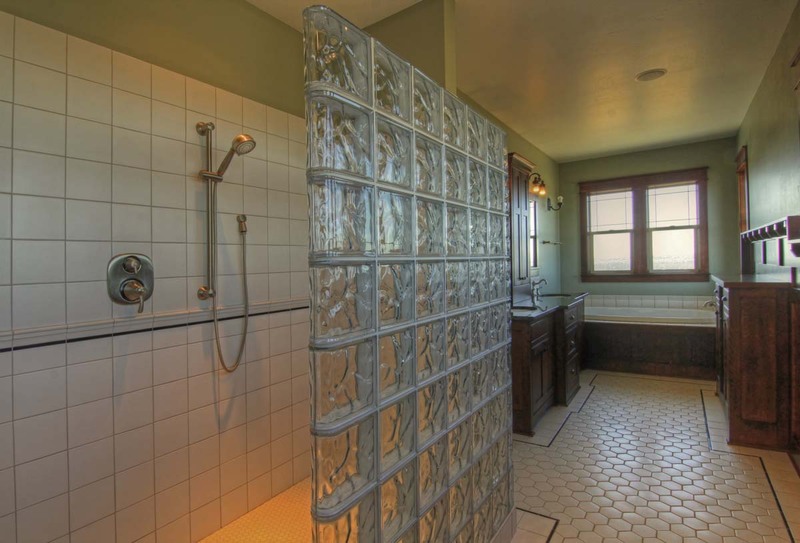 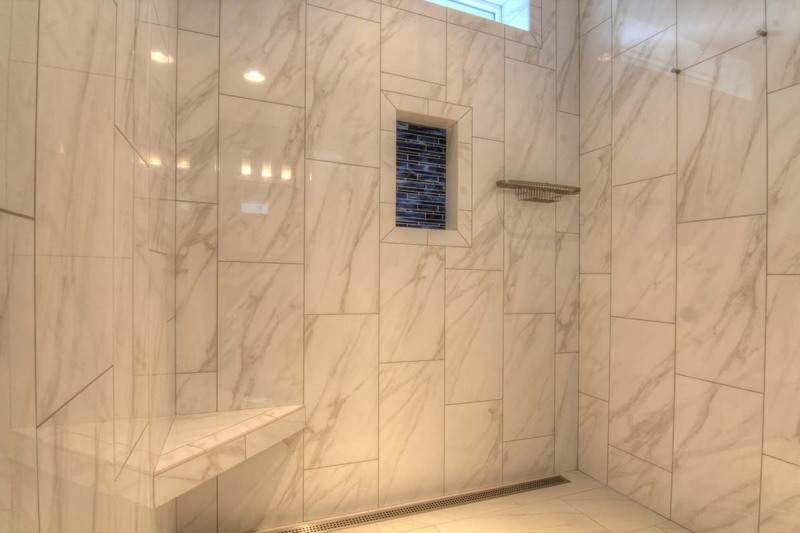 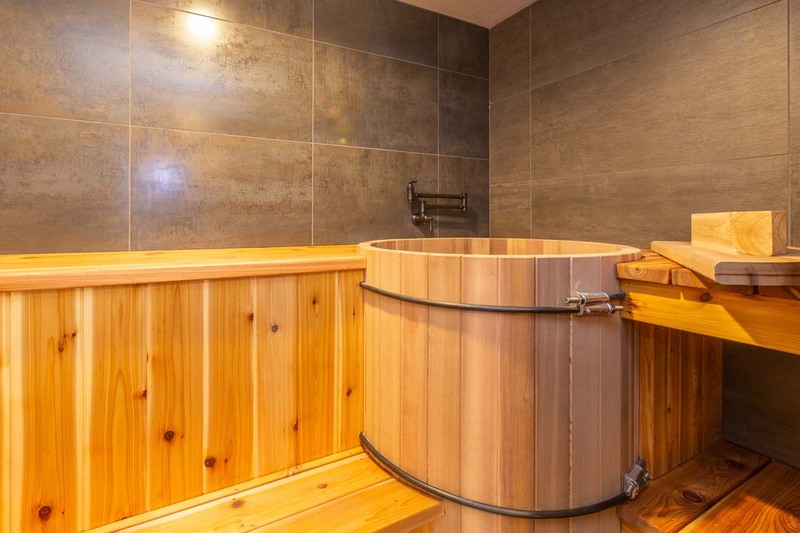 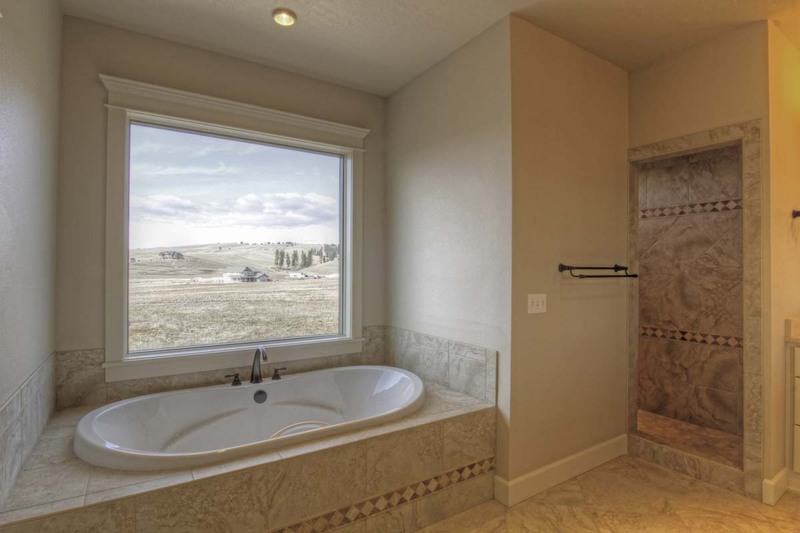 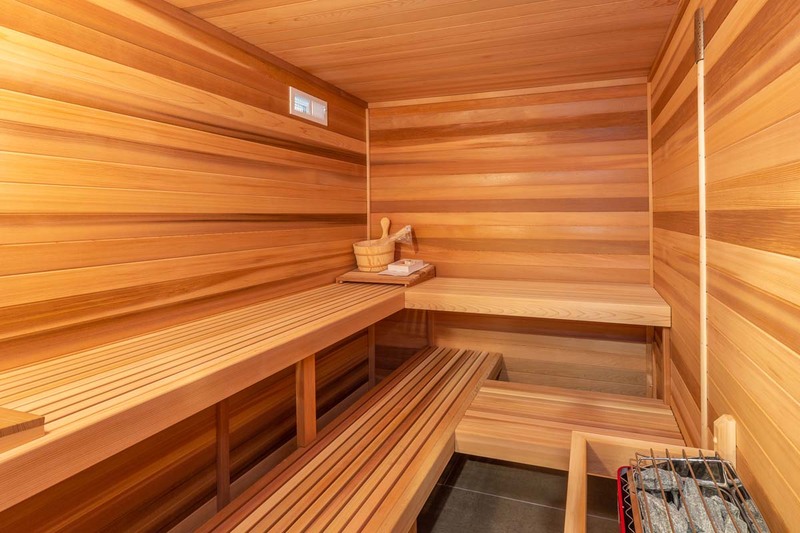 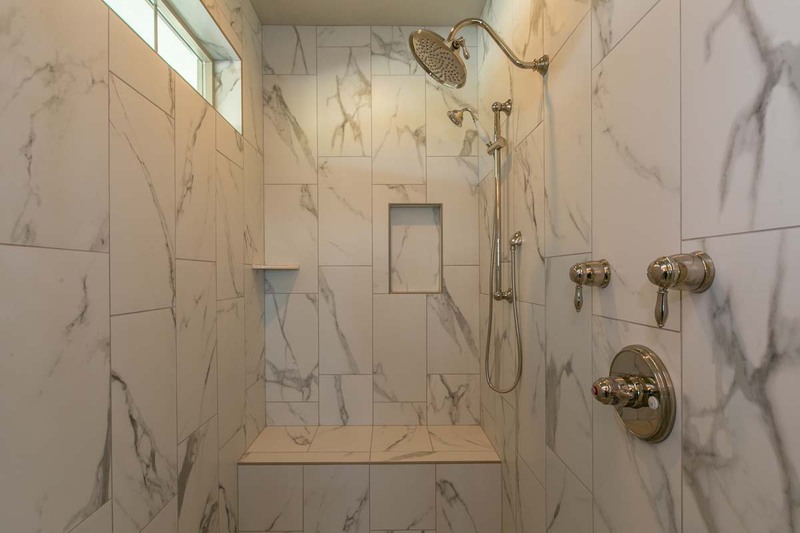 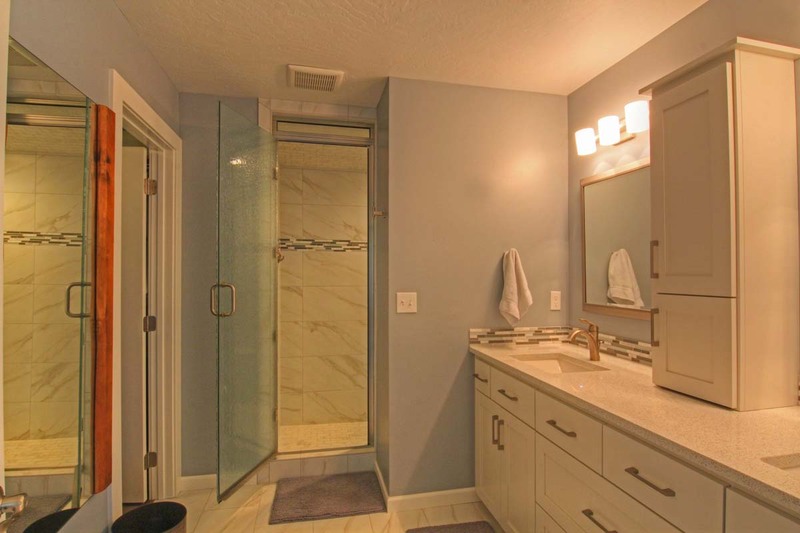 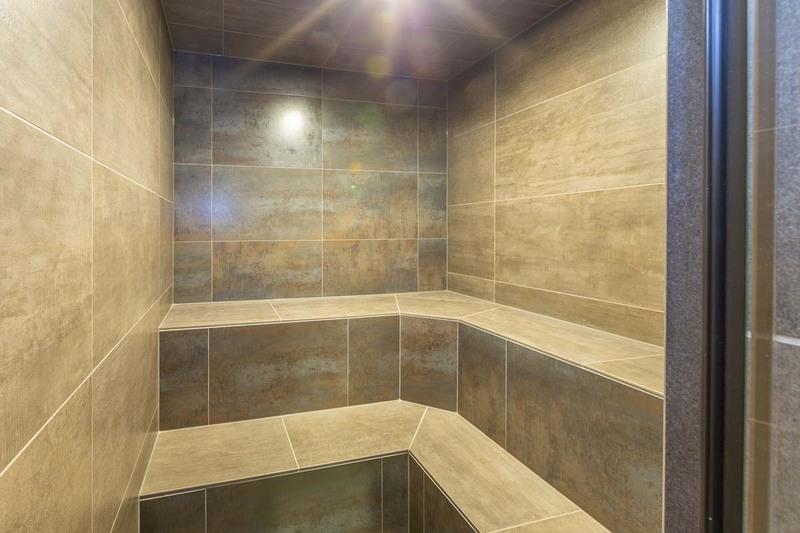 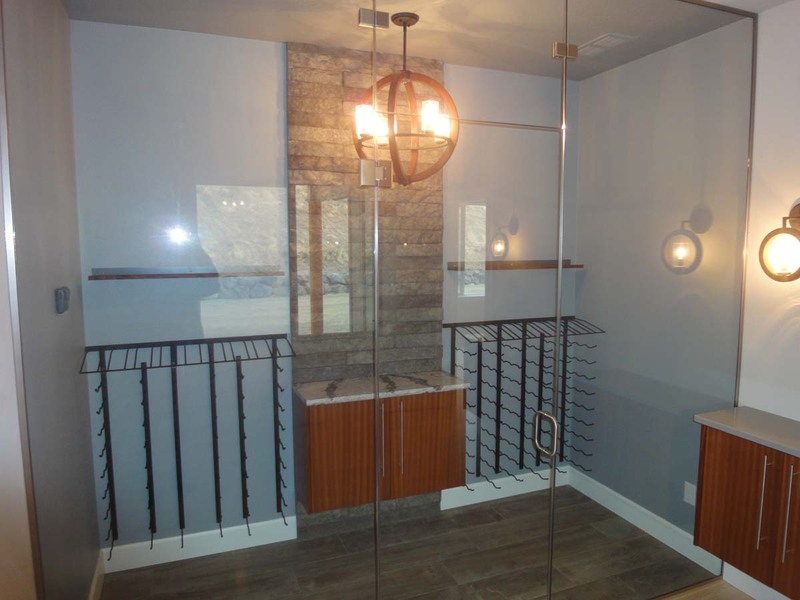 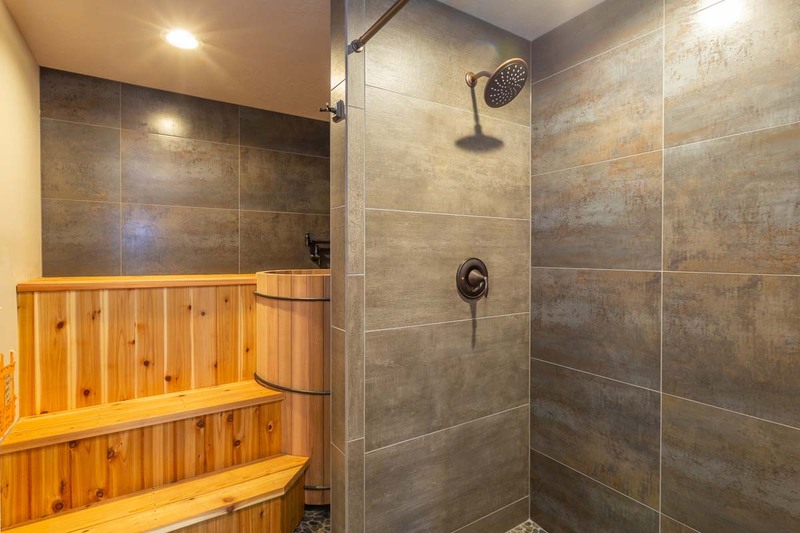 Awesome designs and finishes throughout the house, including a spa area, w/ a dry sauna, wet sauna, and cold tub. 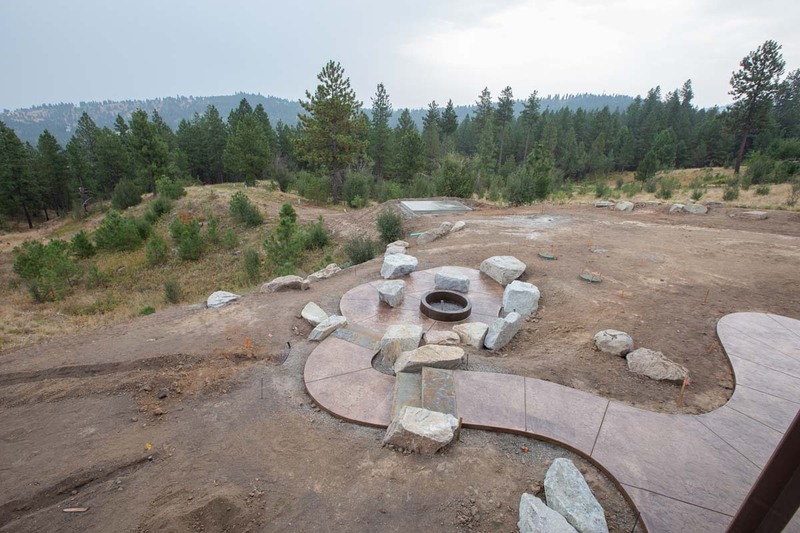 A fun project! 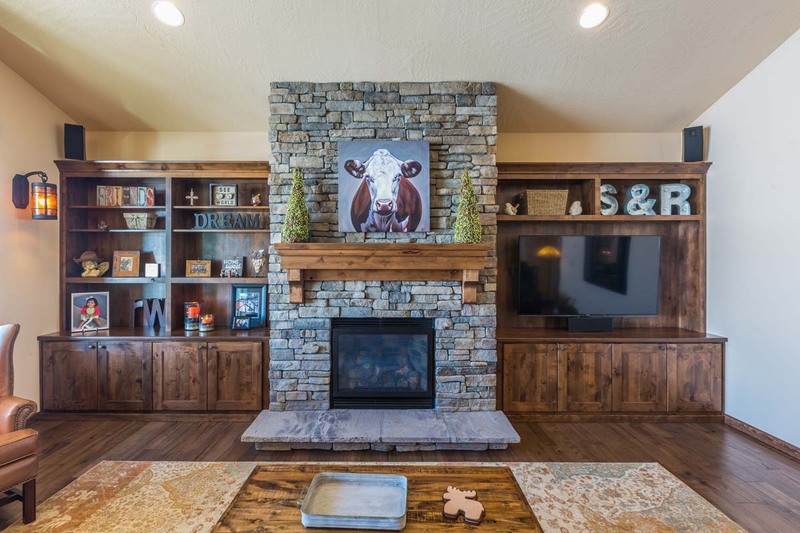 A modern take on our Fairmont rancher plan. 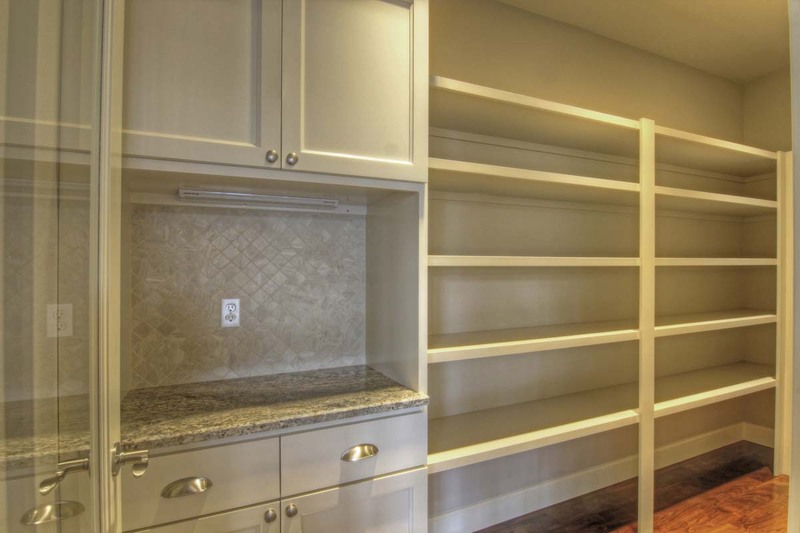 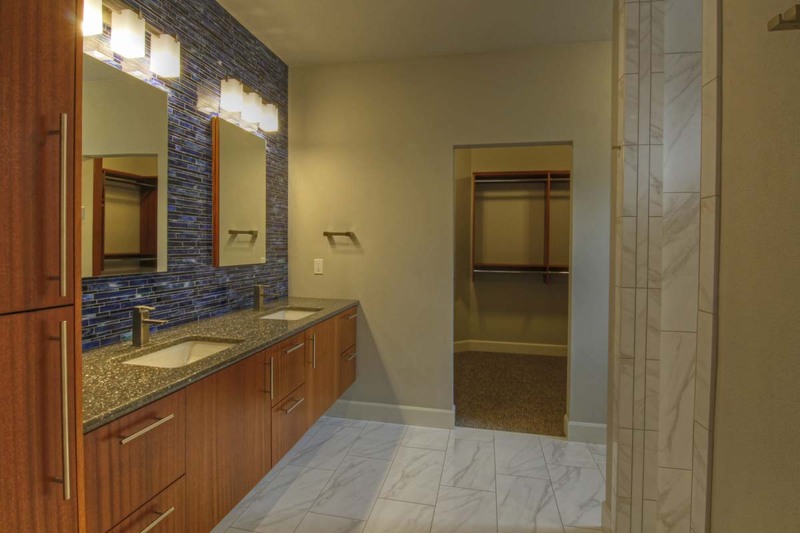 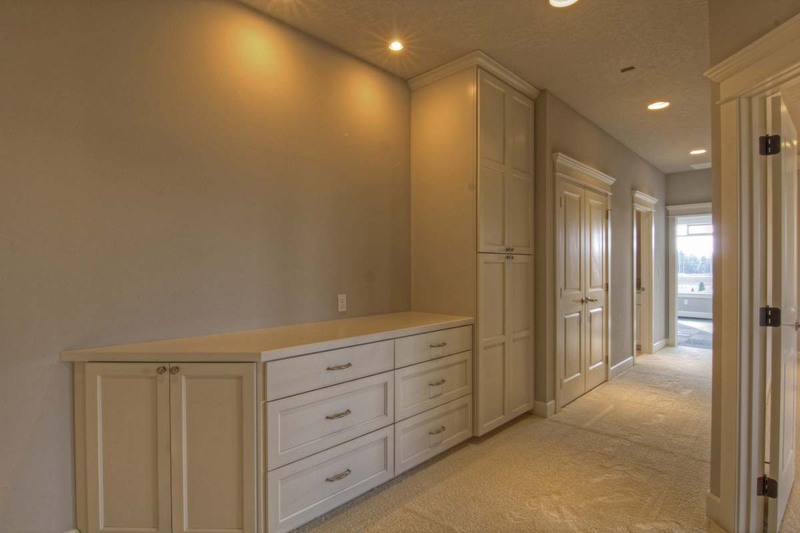 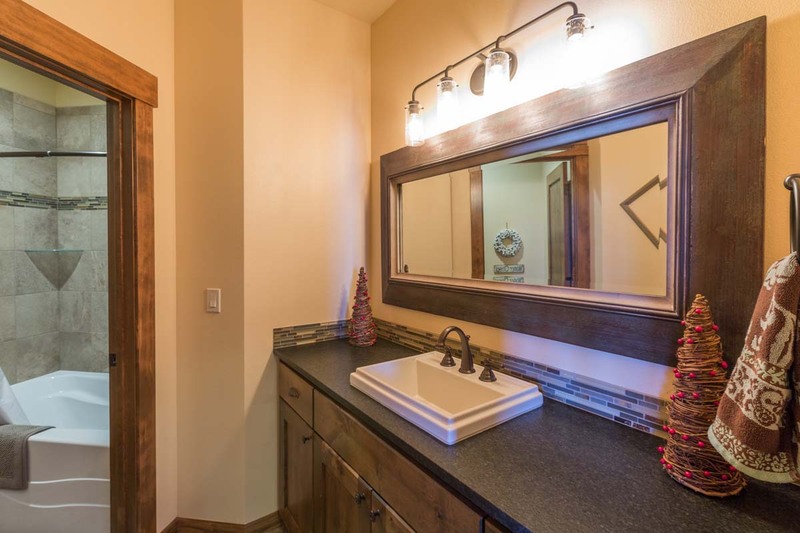 Striking custom finishes throughout the home! 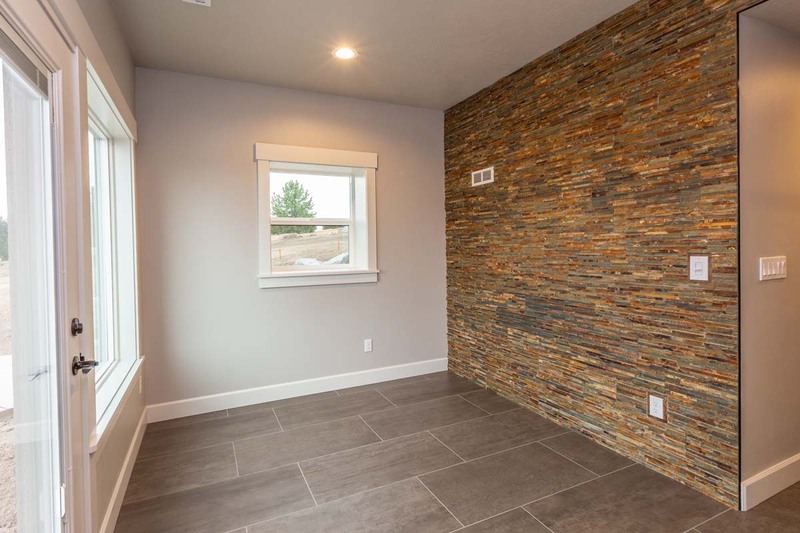 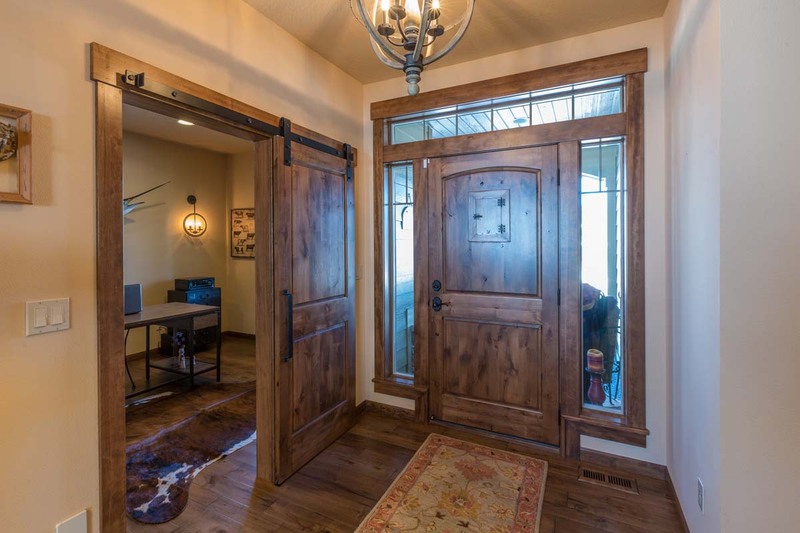 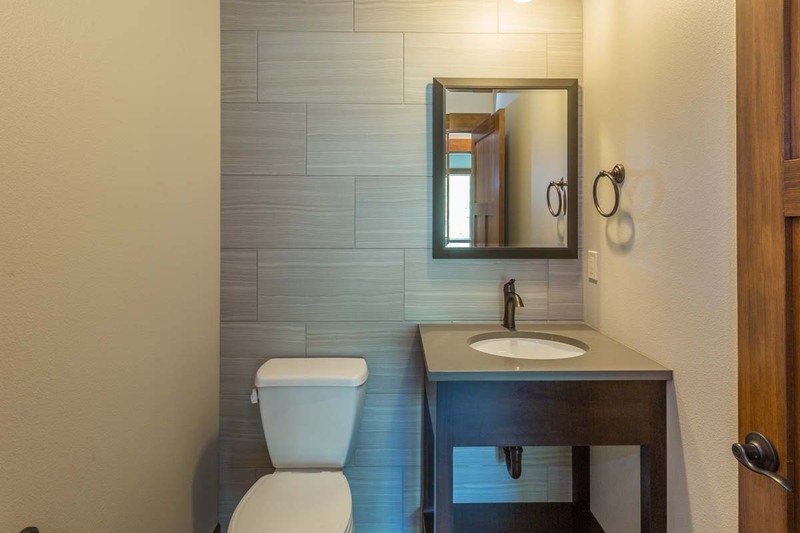 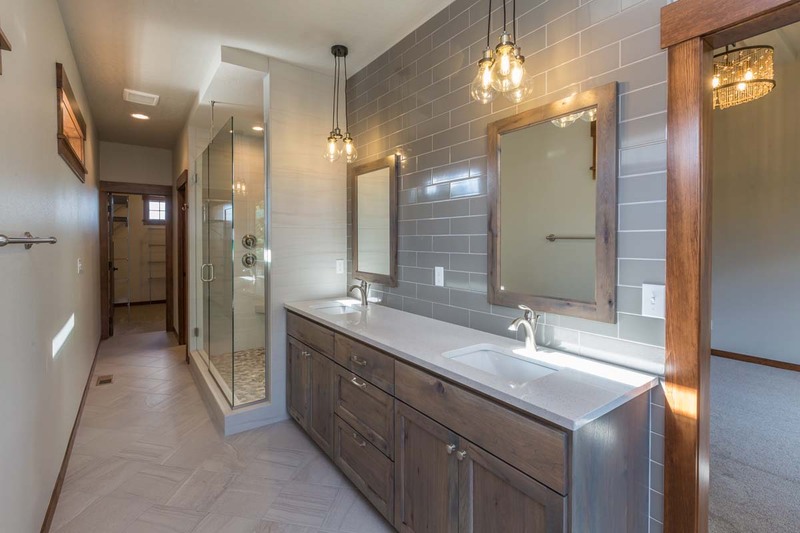 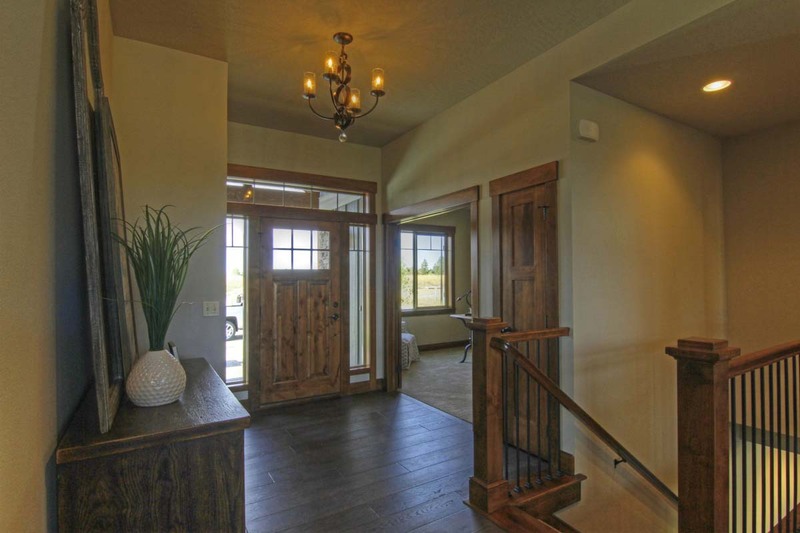 This recently completed home includes some great contemporary finishes, mixed in w/ some rustic elements! 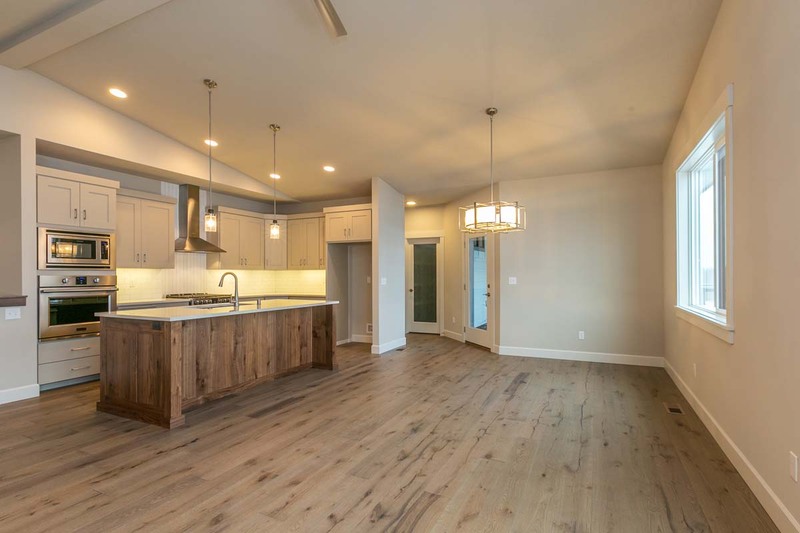 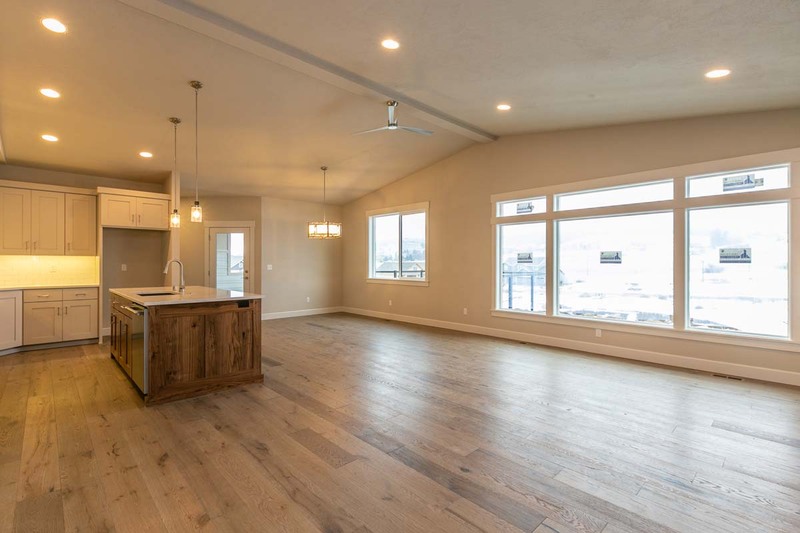 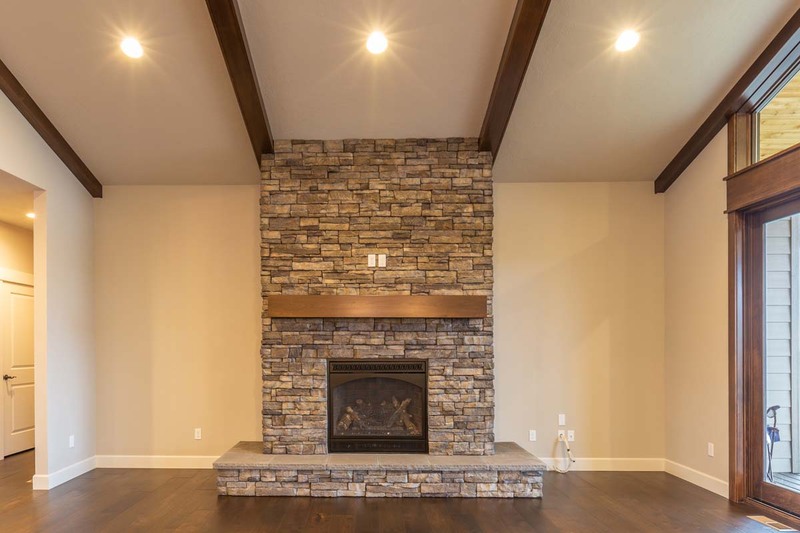 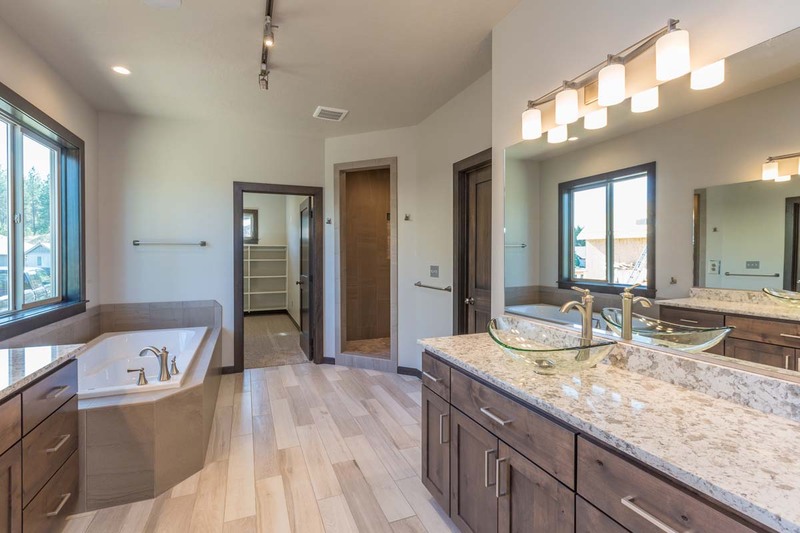 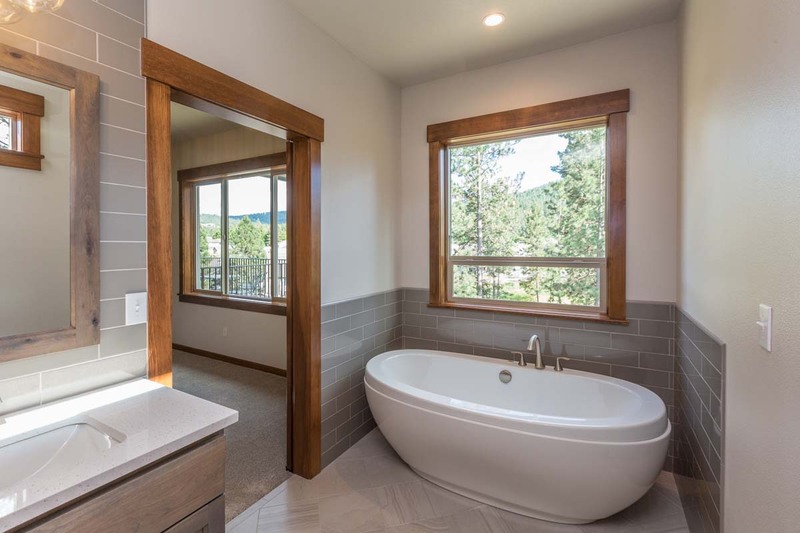 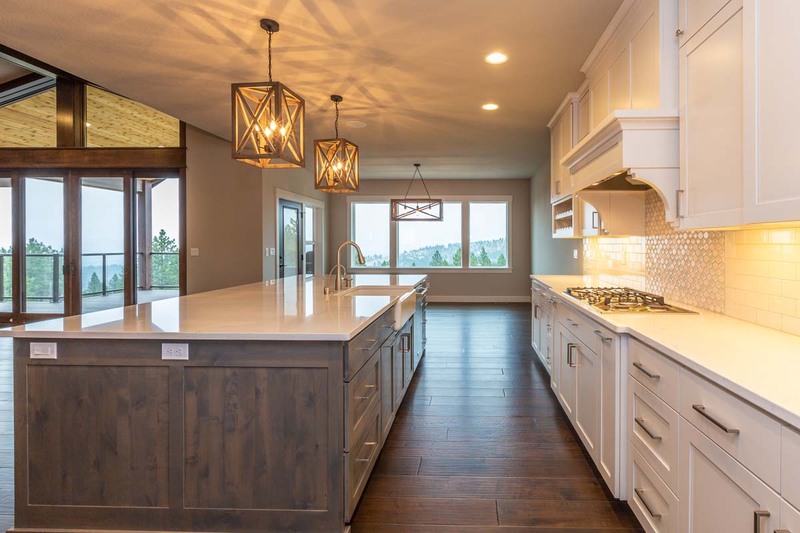 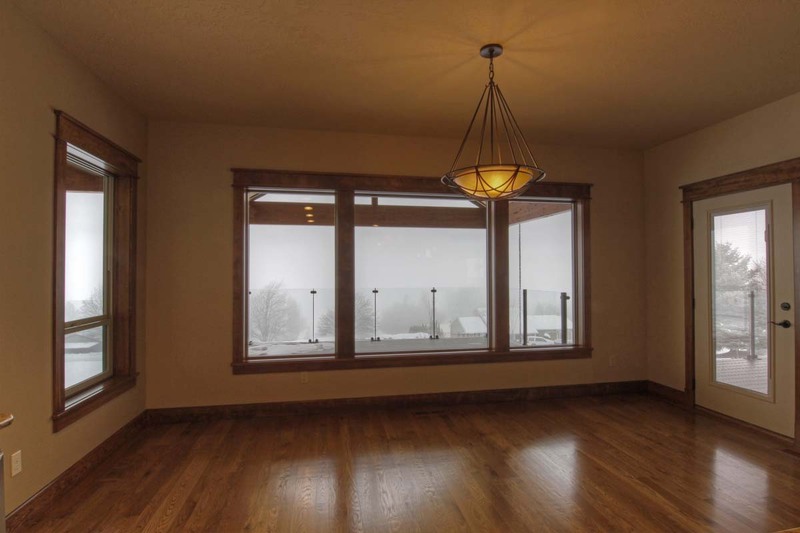 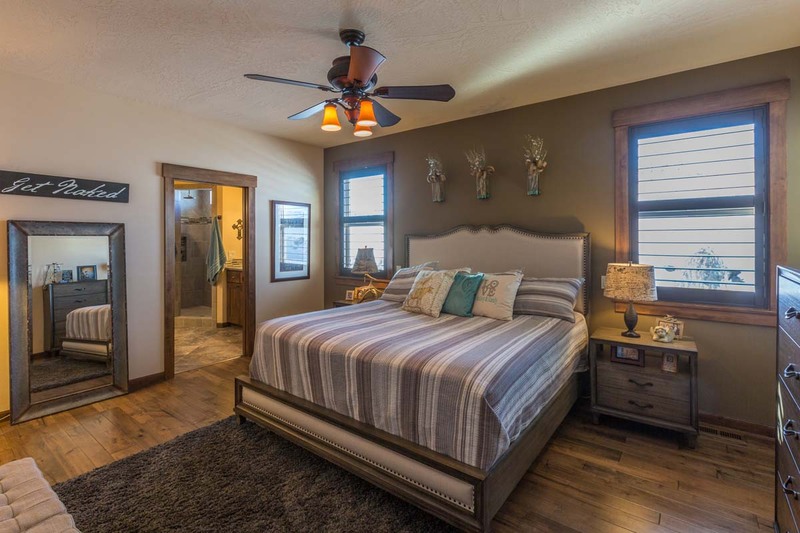 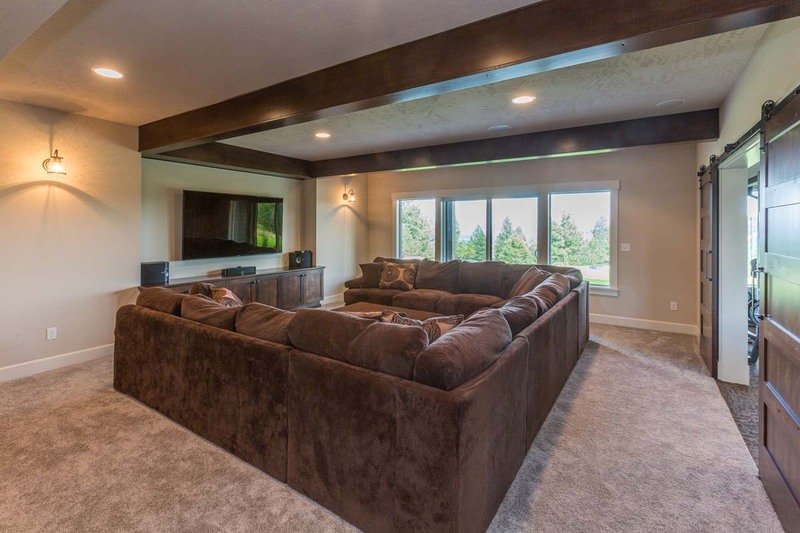 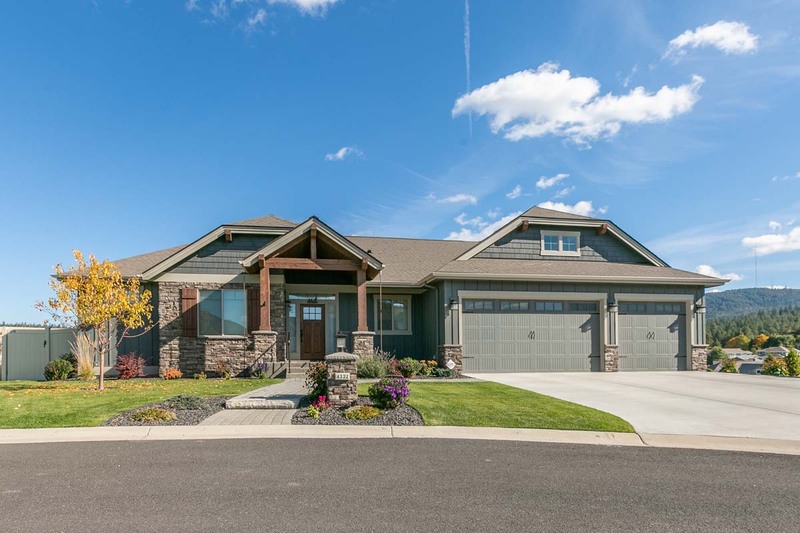 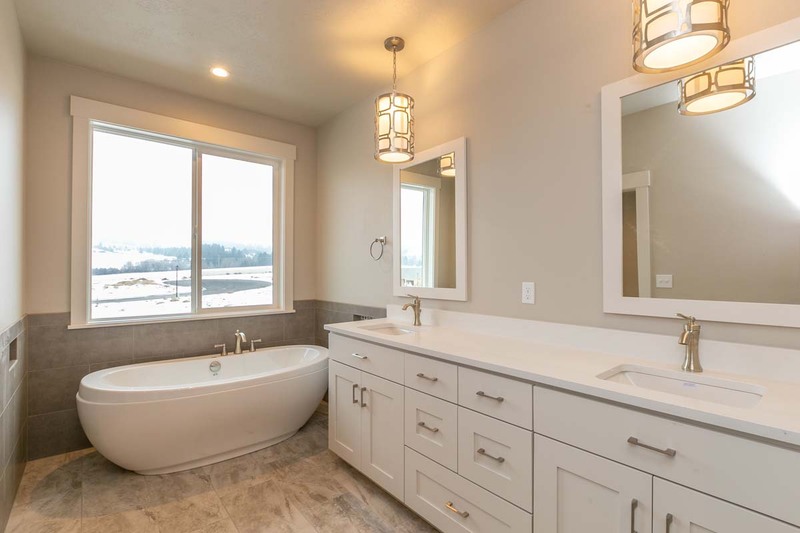 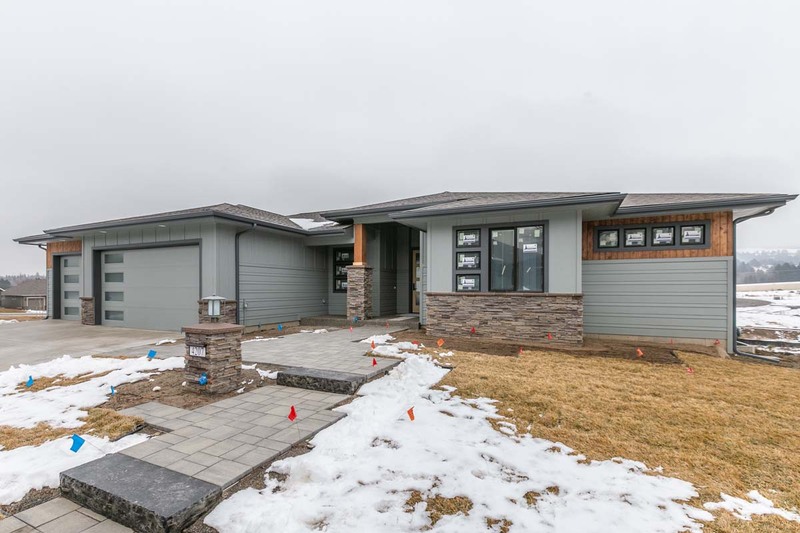 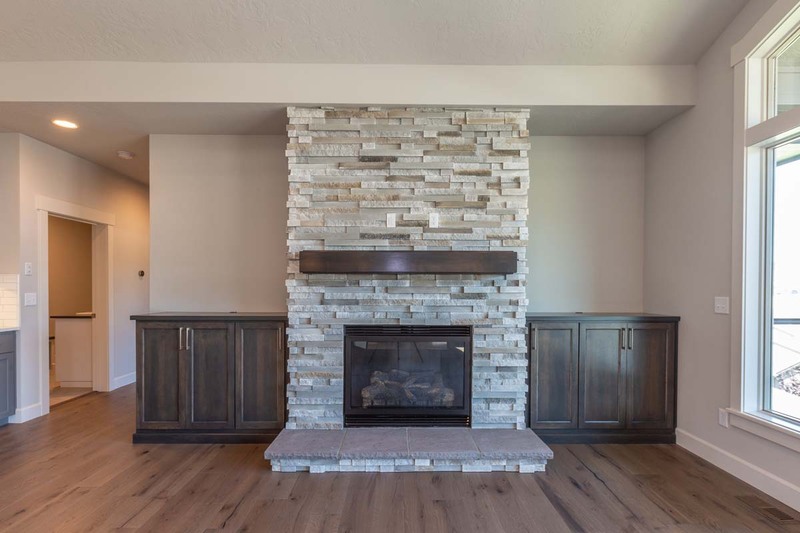 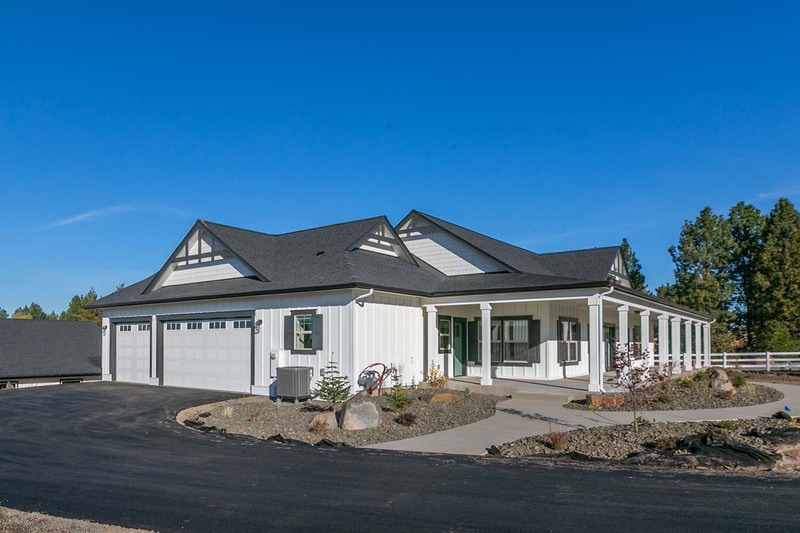 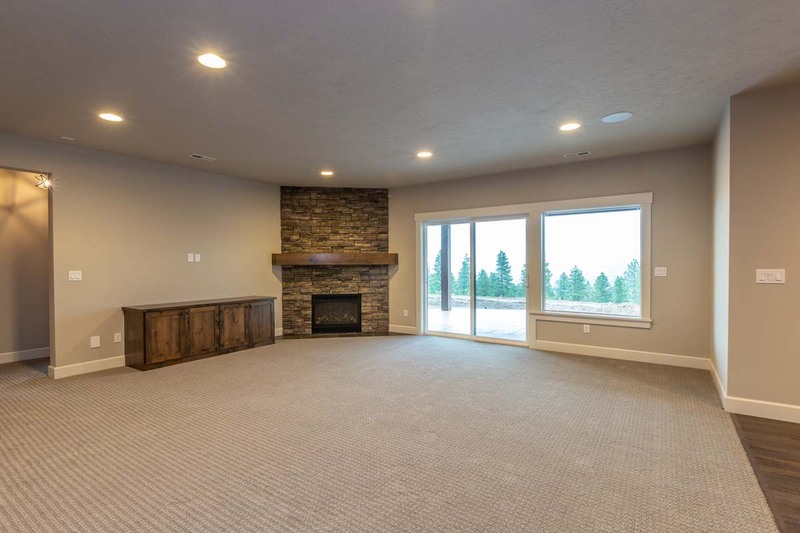 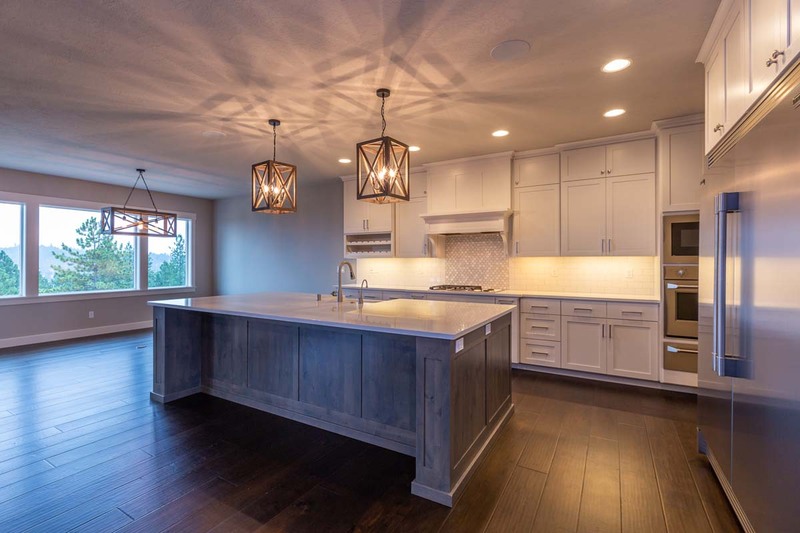 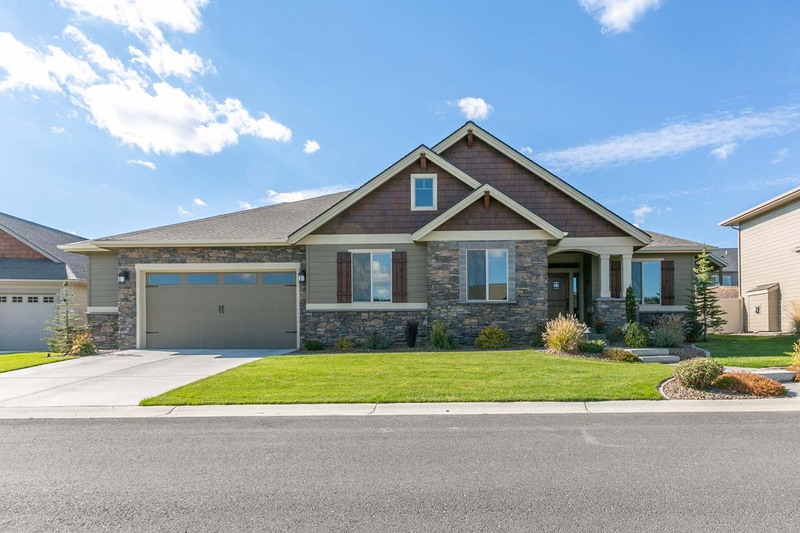 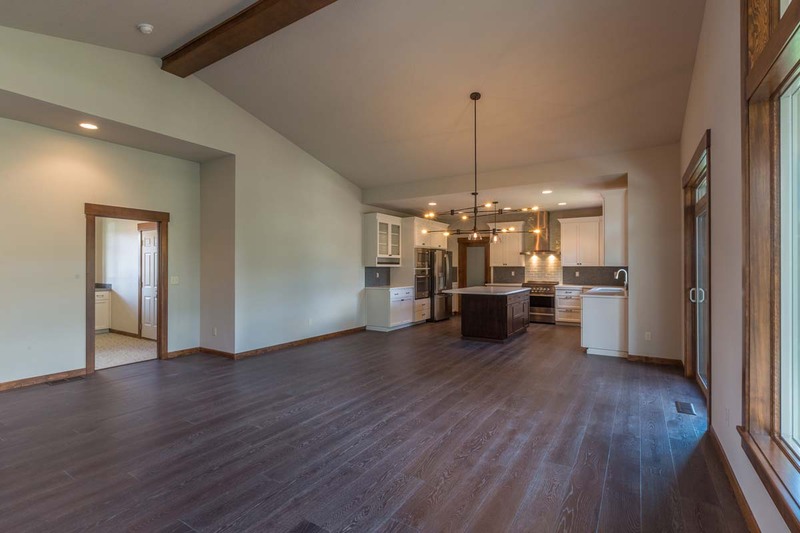 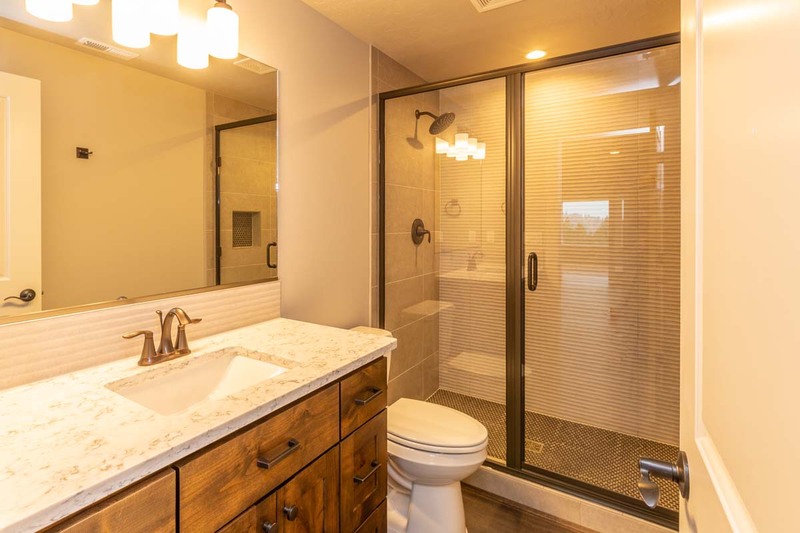 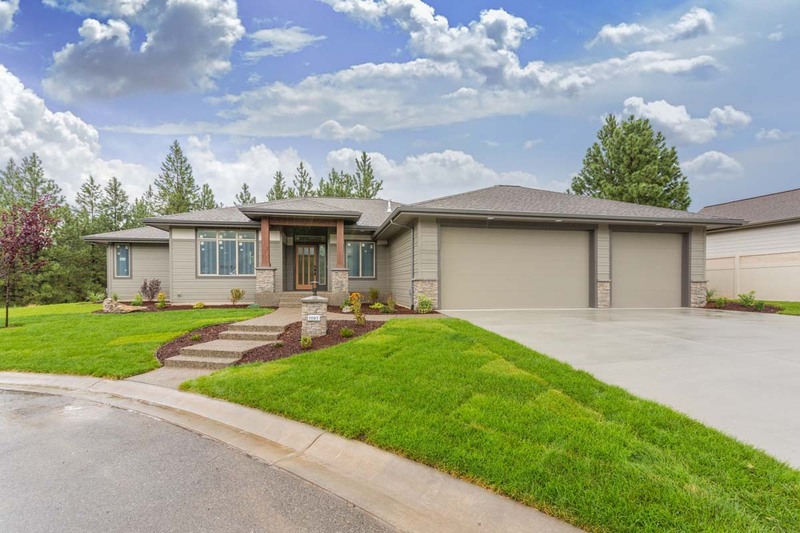 Striking custom rancher home w/ great finishes, including beautiful custom cabinetry/built-ins, natural stone fireplace, detailed ceiling beam work, fancy sliding doors, and lavish master suite! 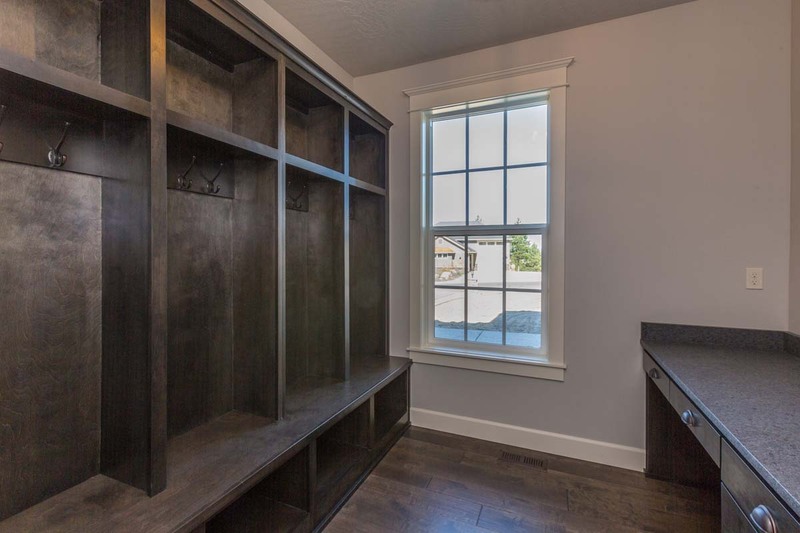 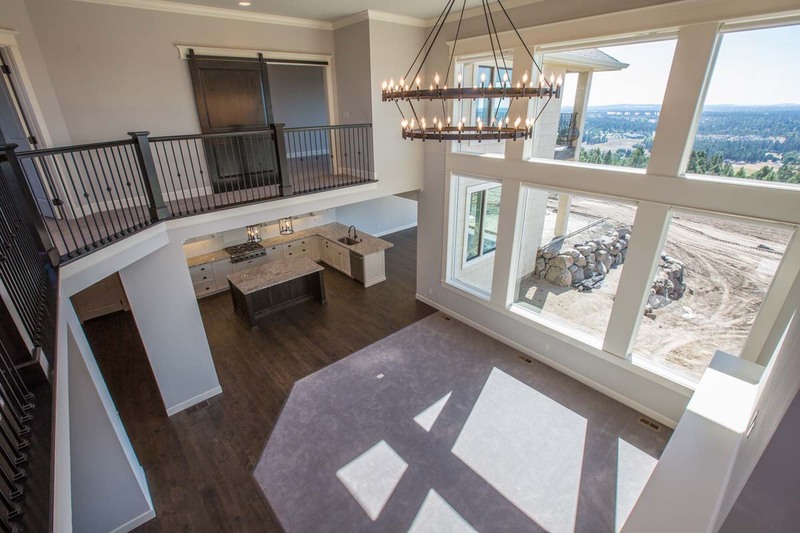 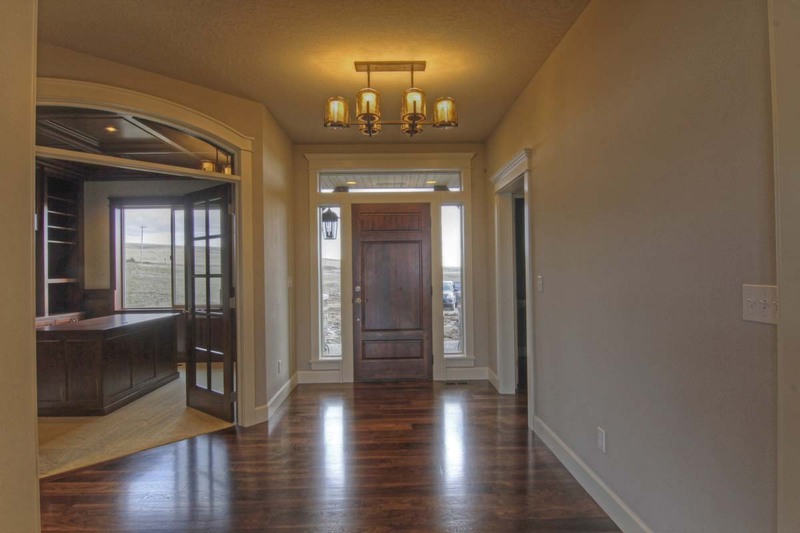 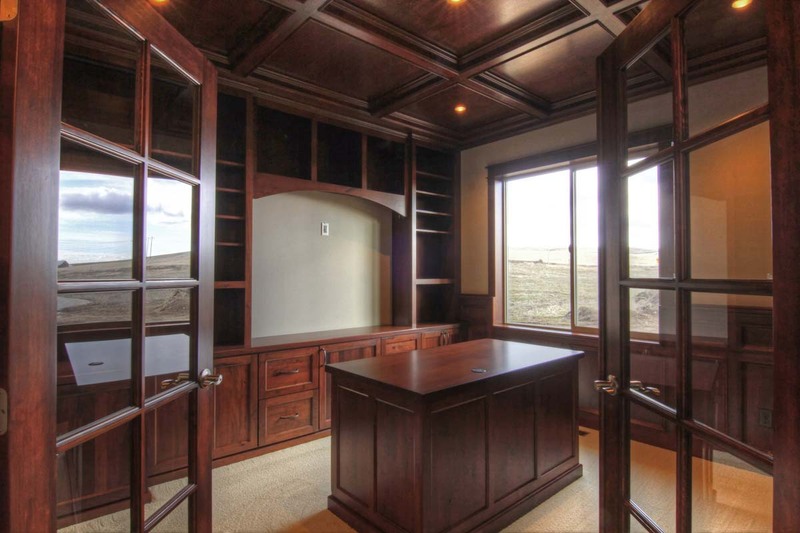 Fantastic custom build w/ dramatic finishes throughout the home! 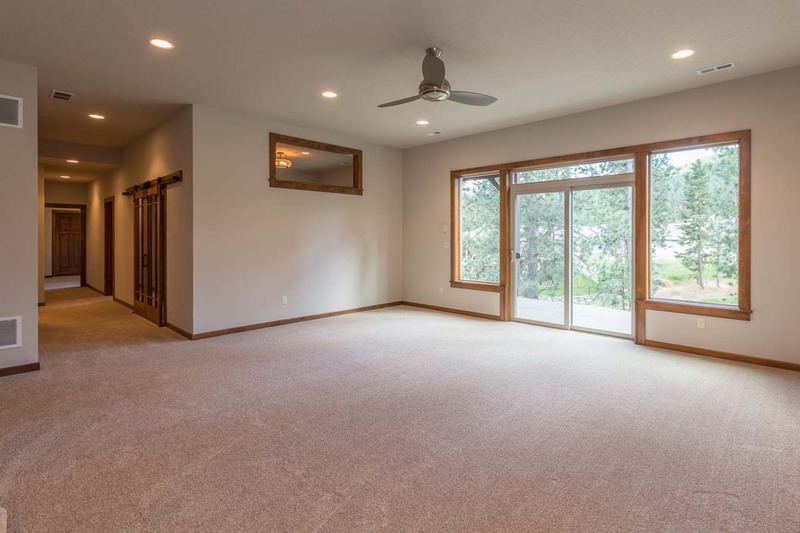 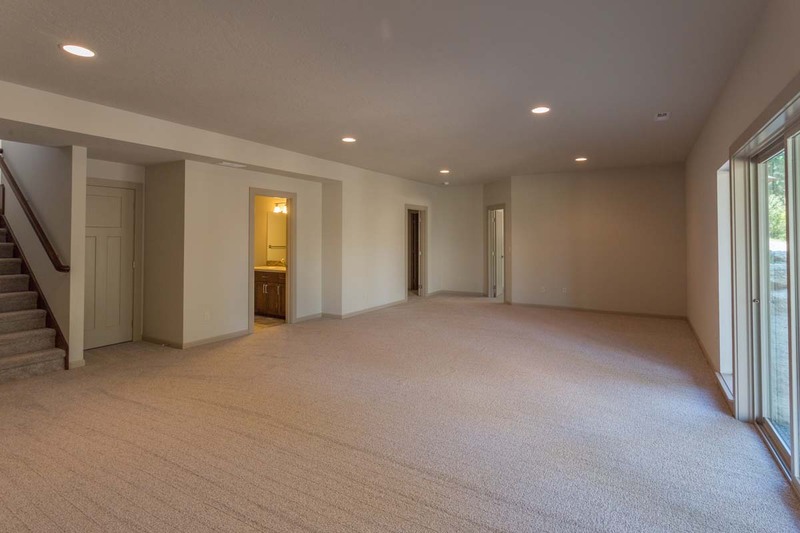 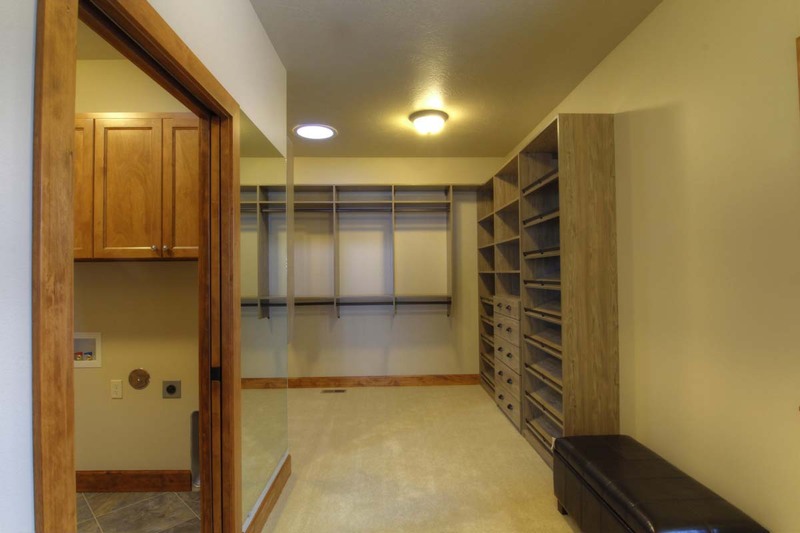 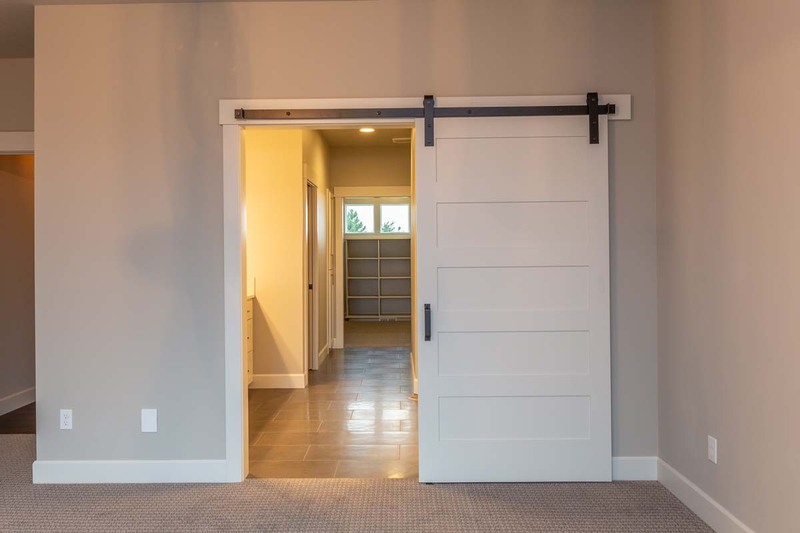 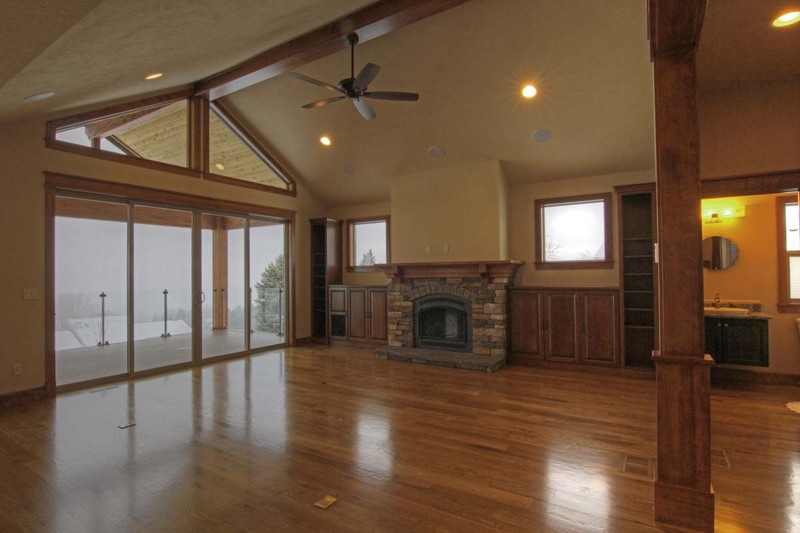 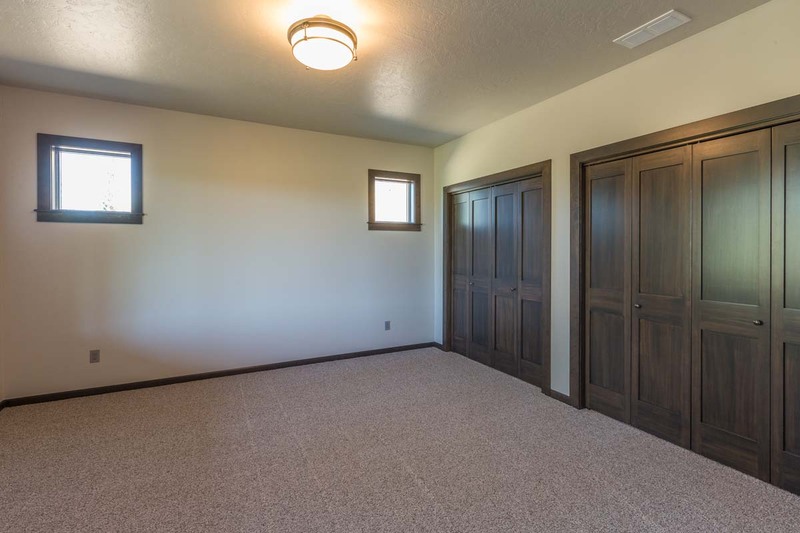 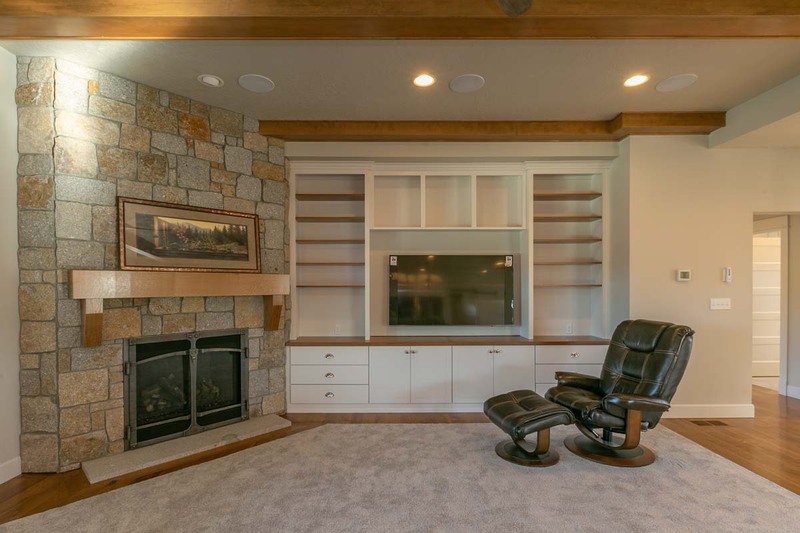 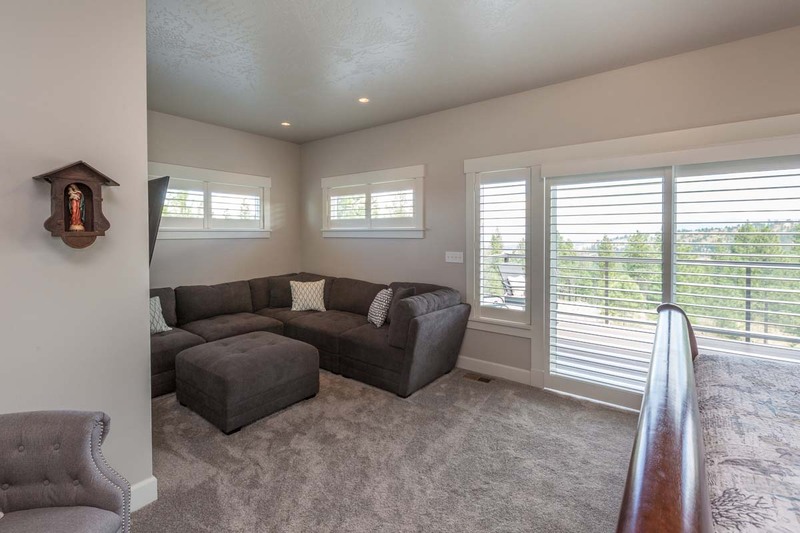 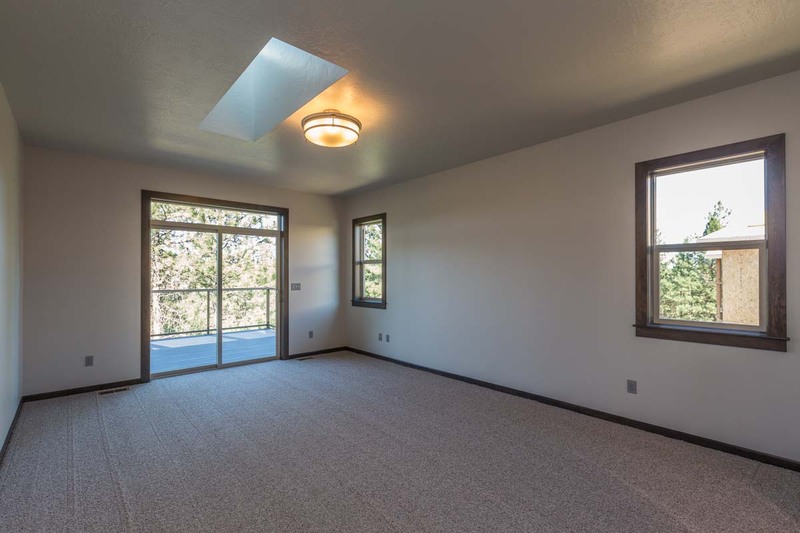 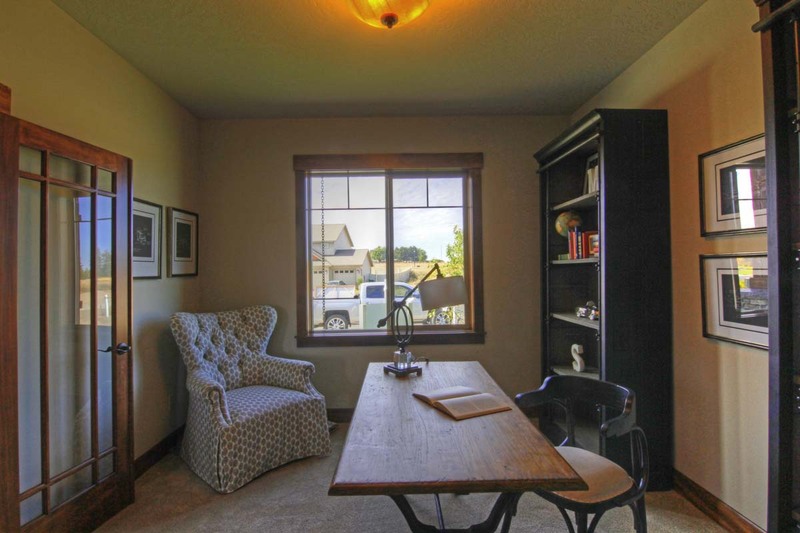 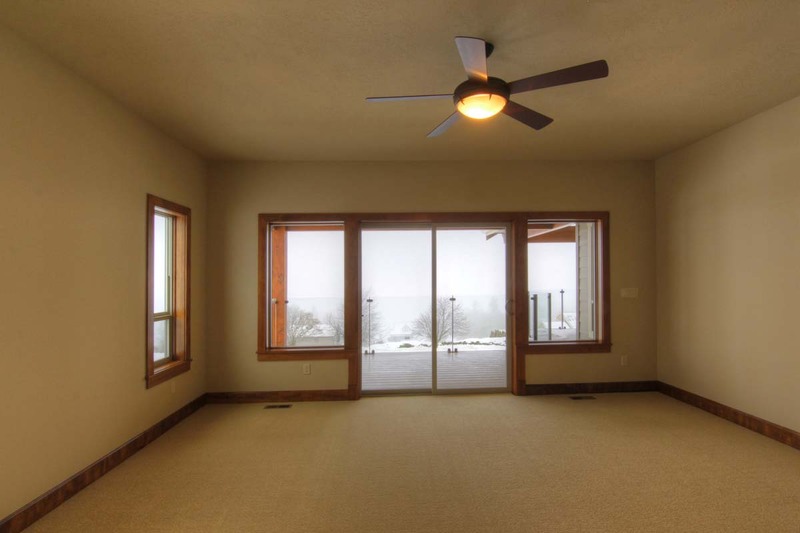 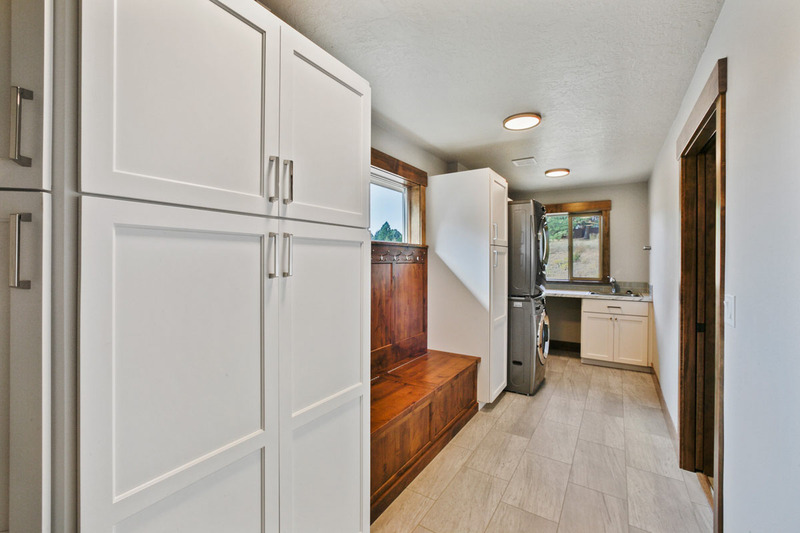 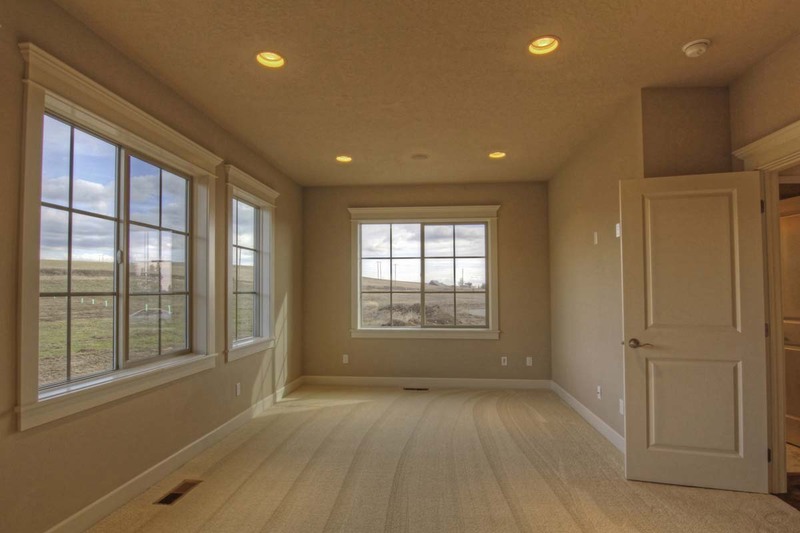 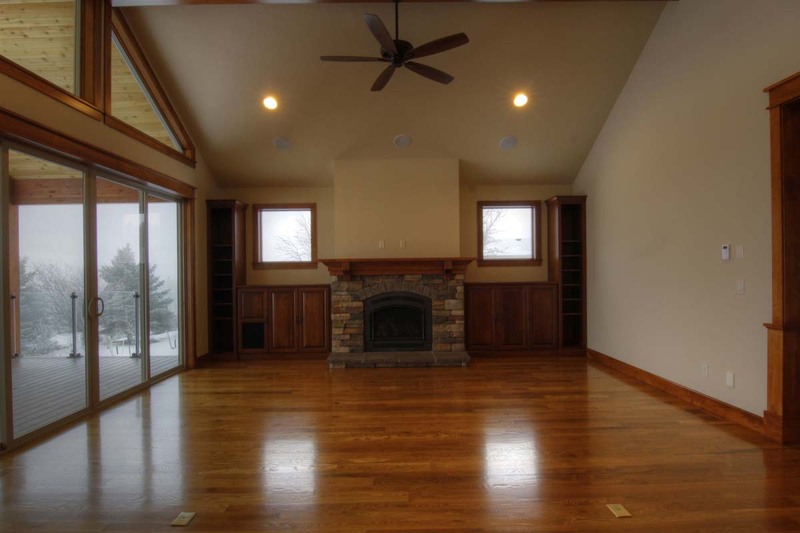 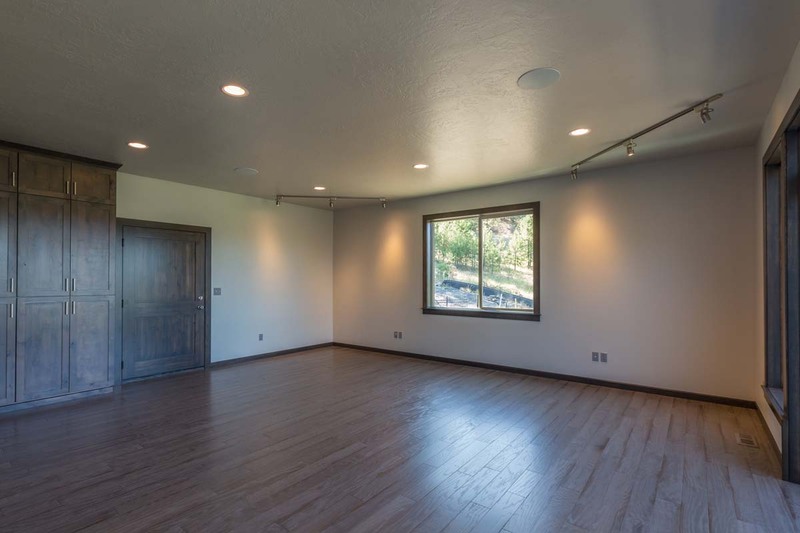 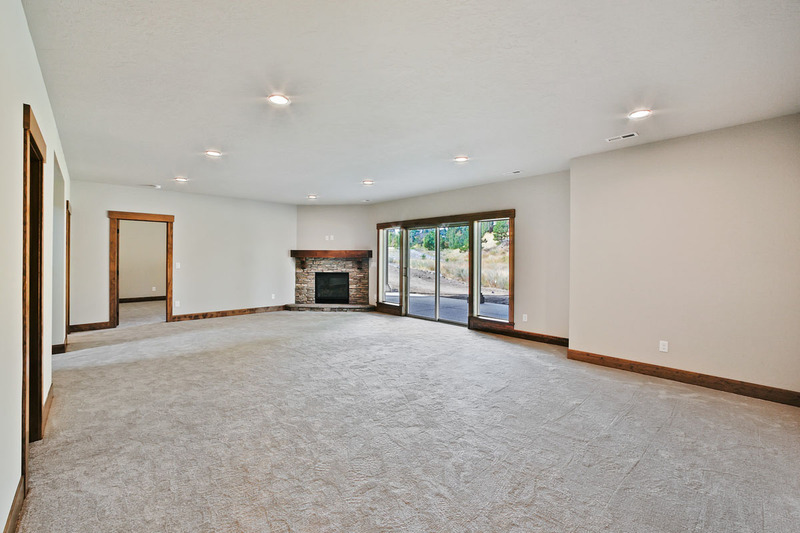 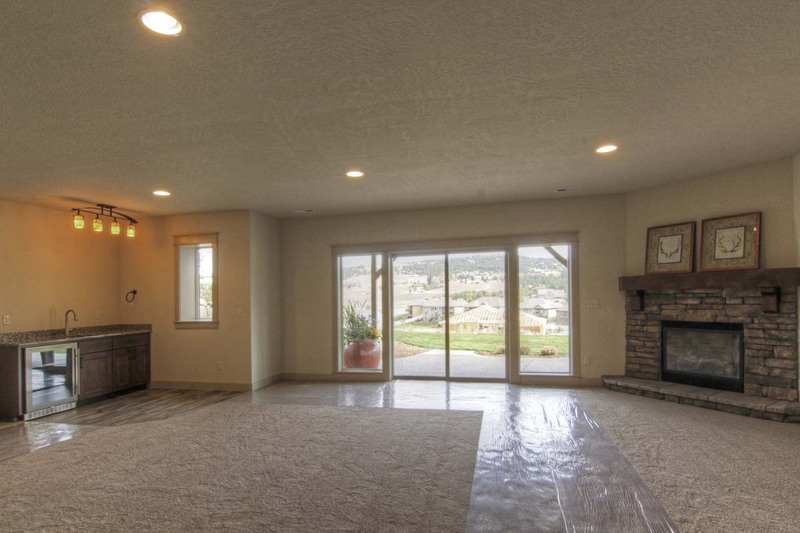 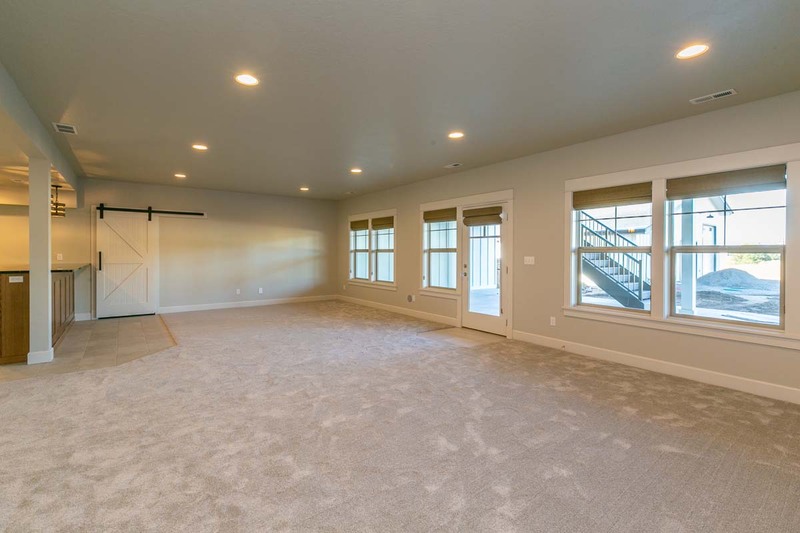 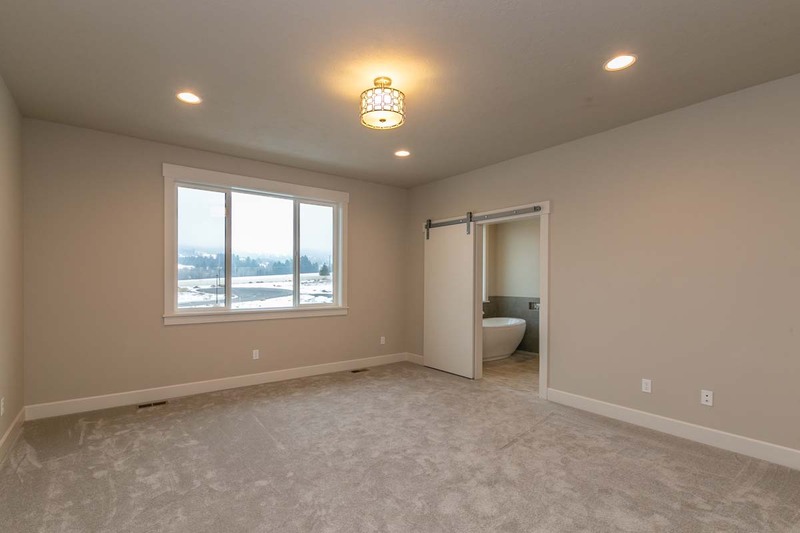 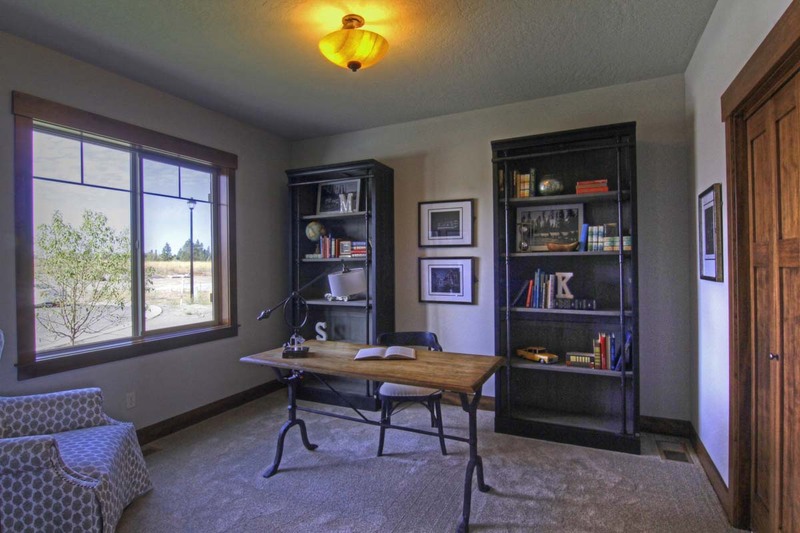 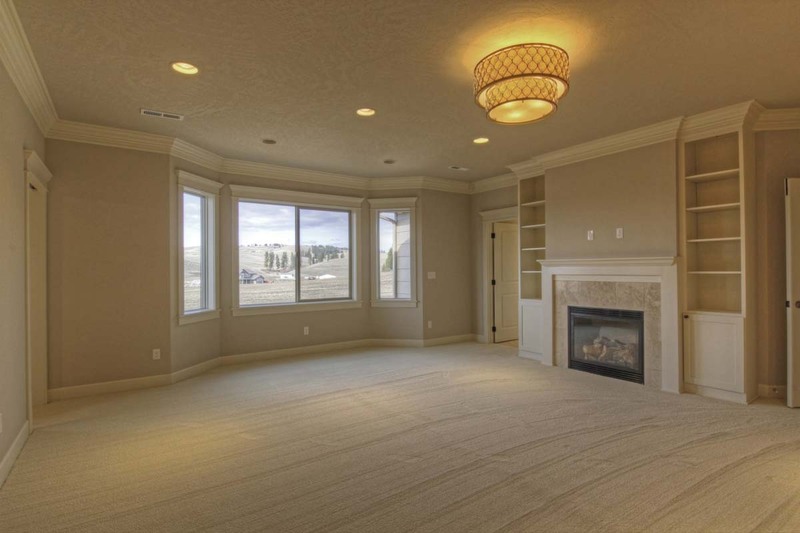 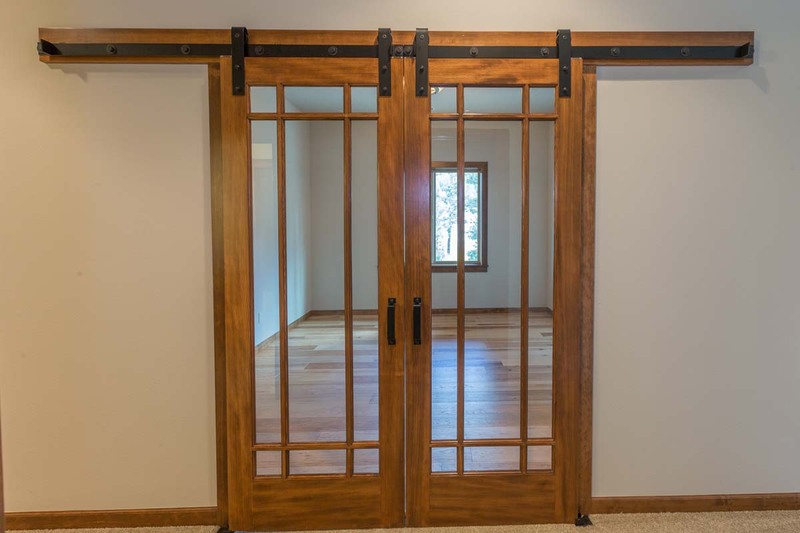 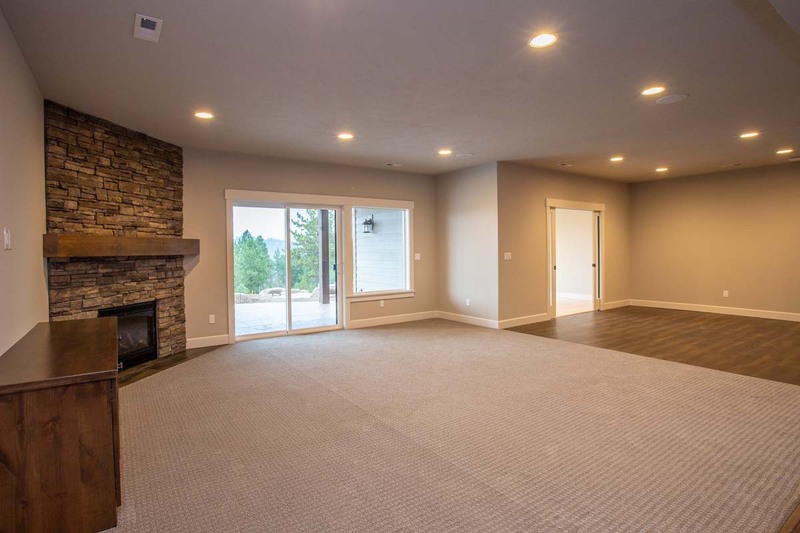 Popular Aspen Meadow basement rancher plan. 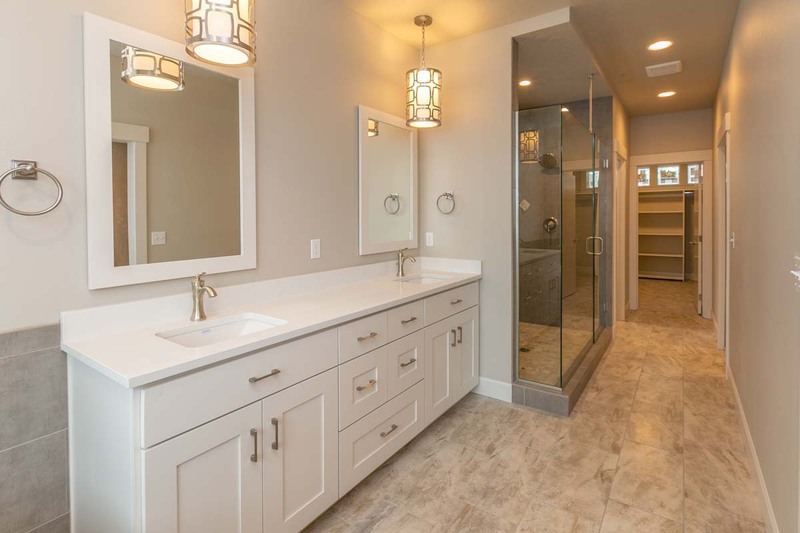 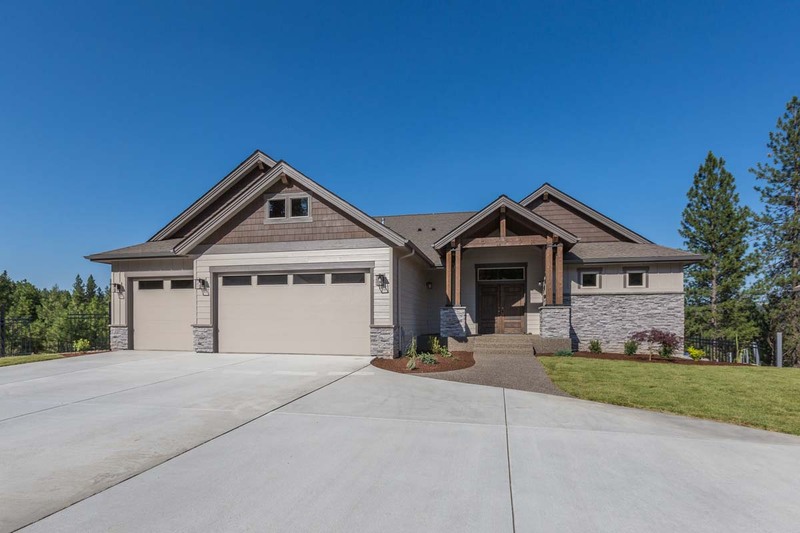 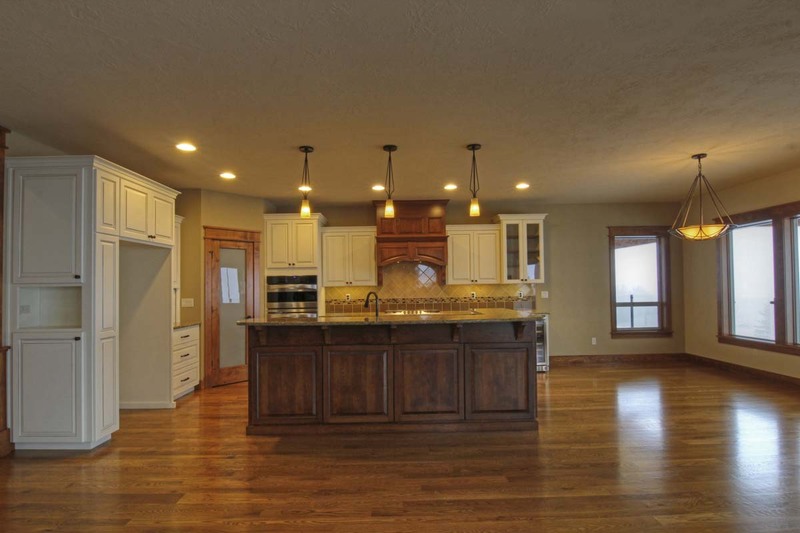 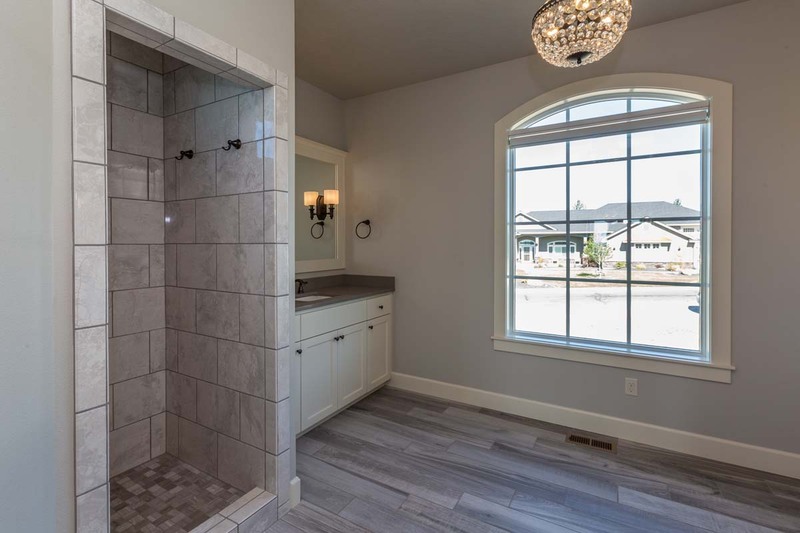 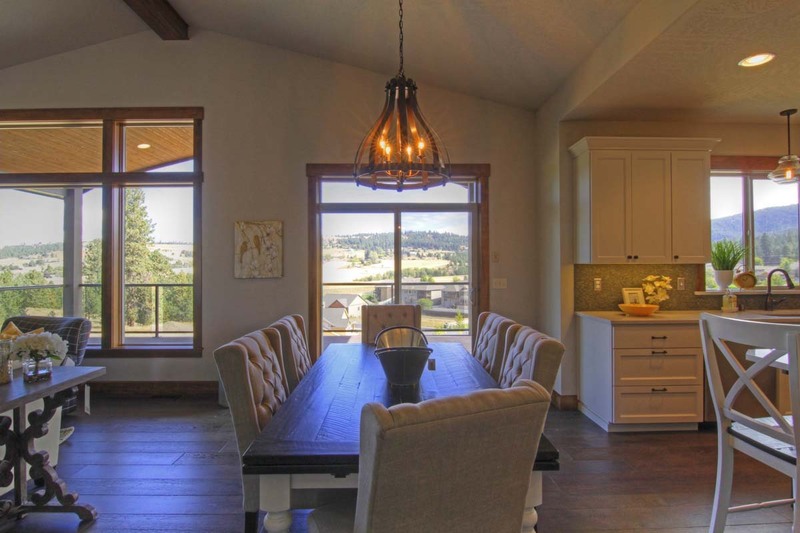 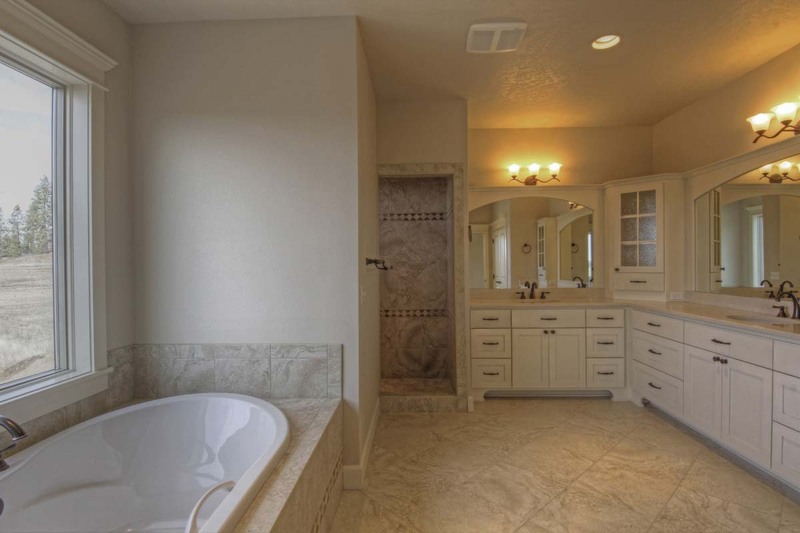 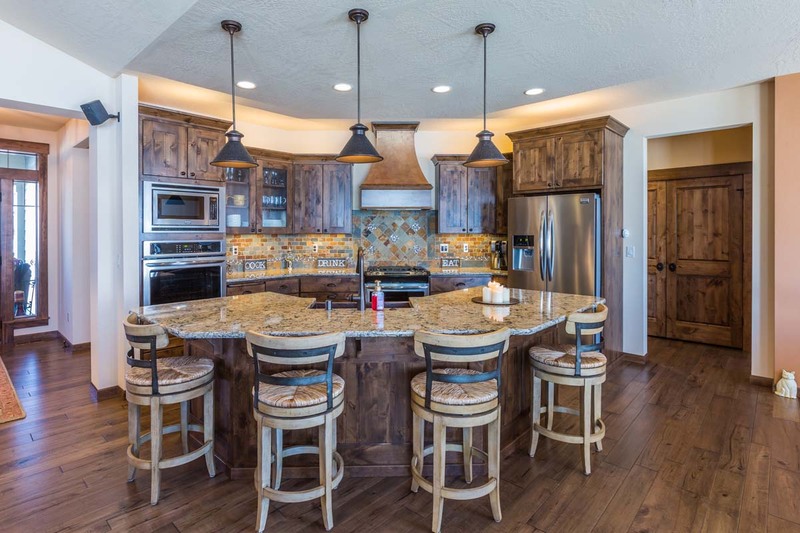 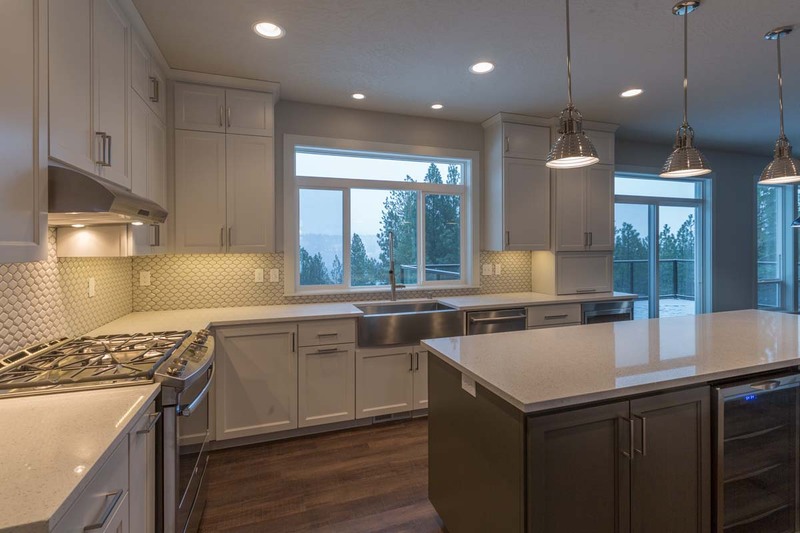 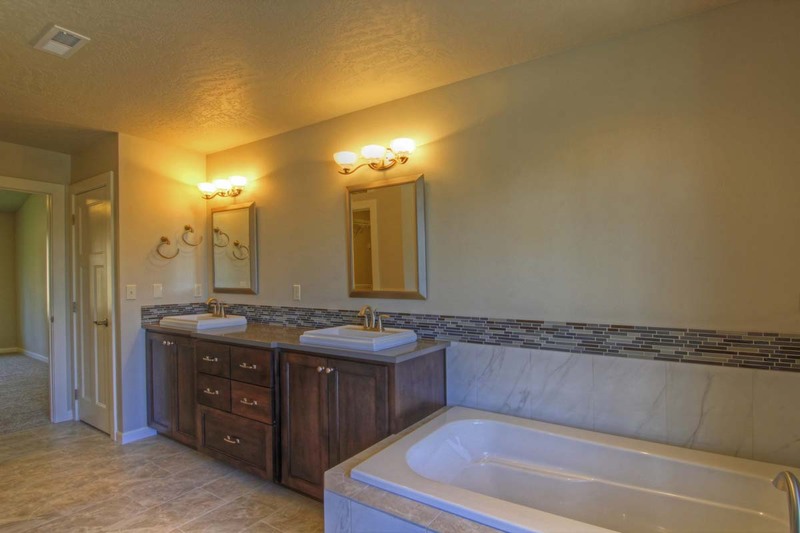 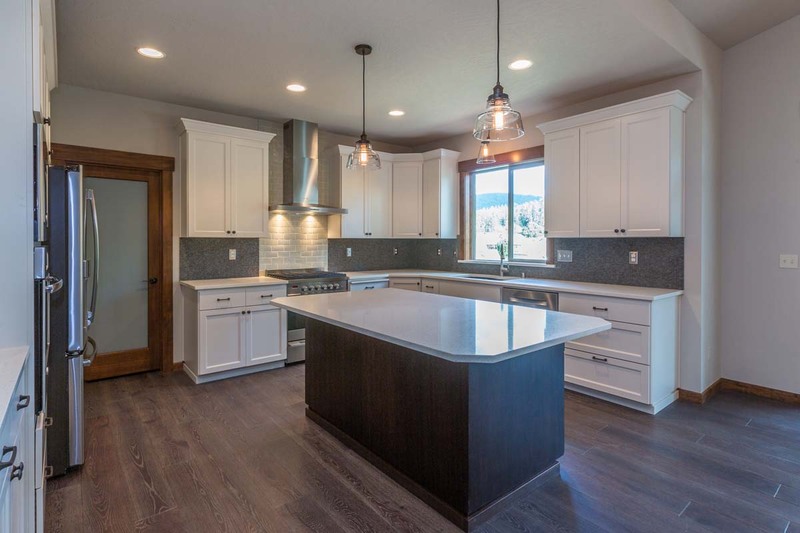 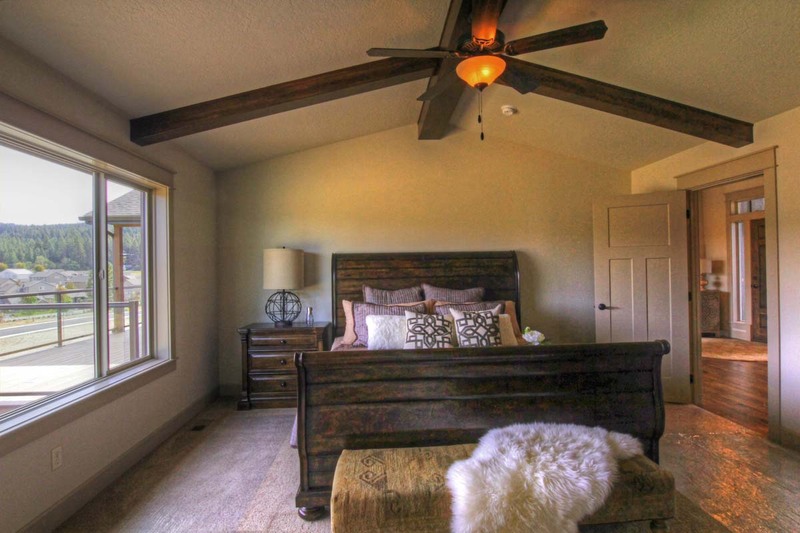 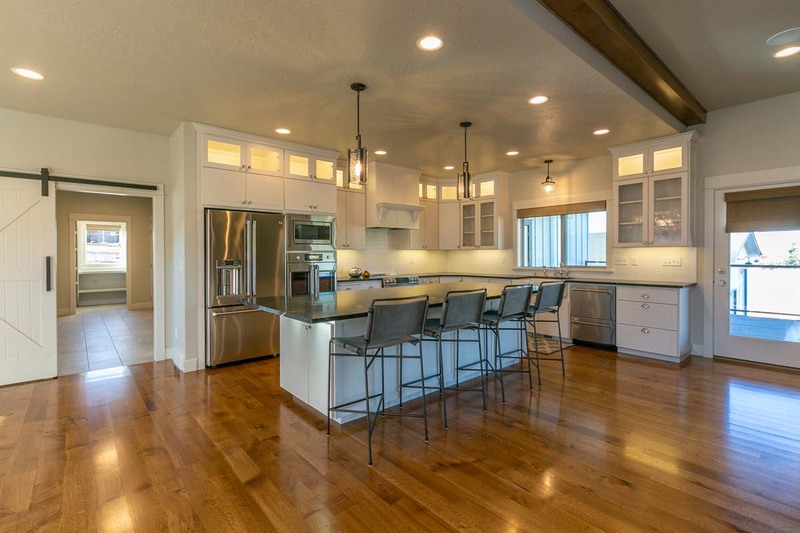 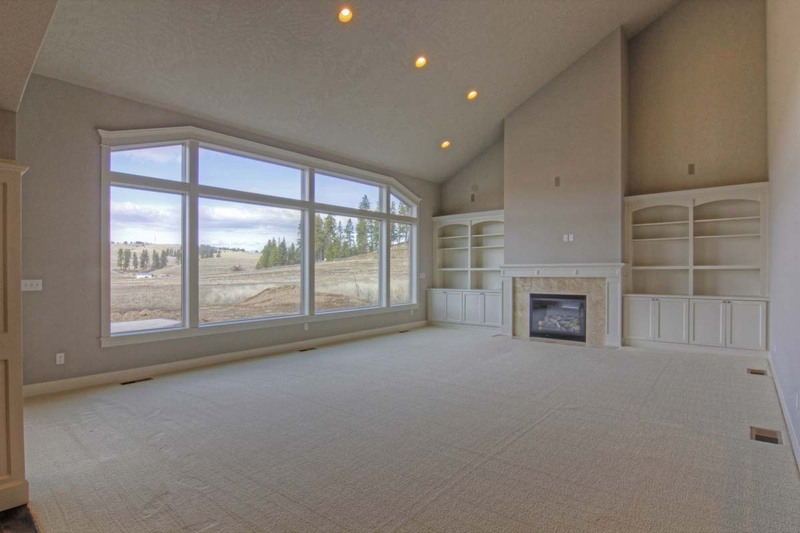 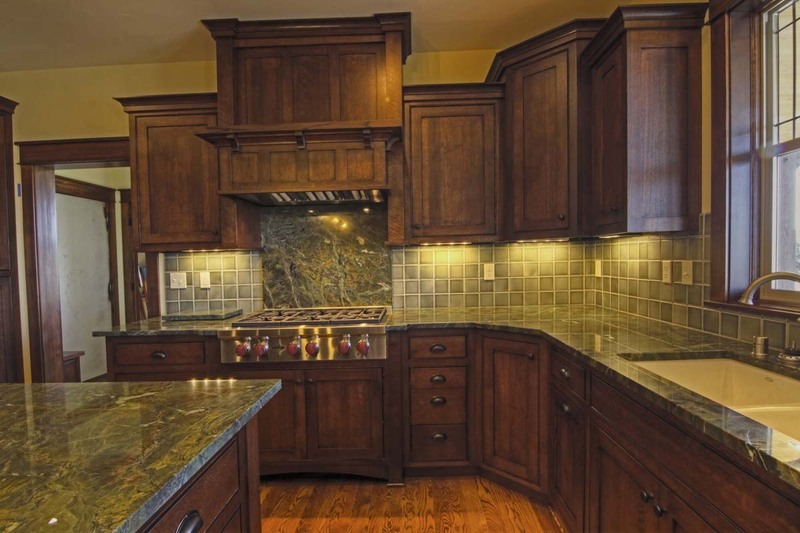 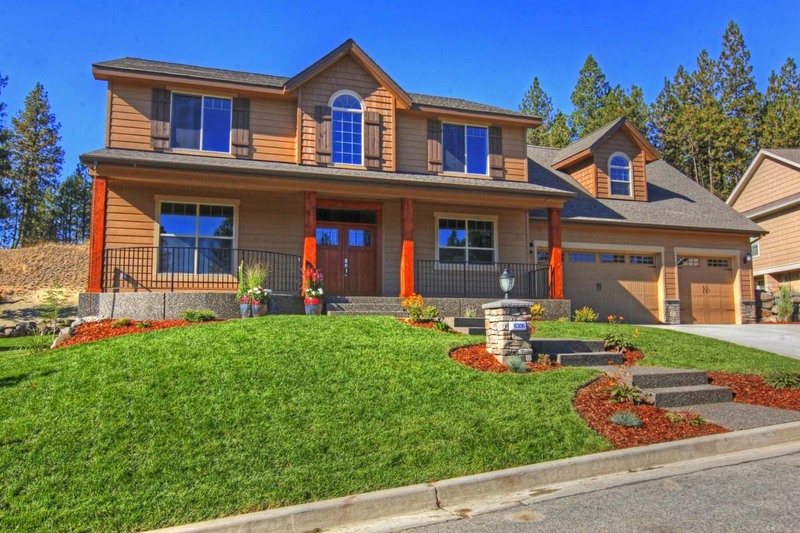 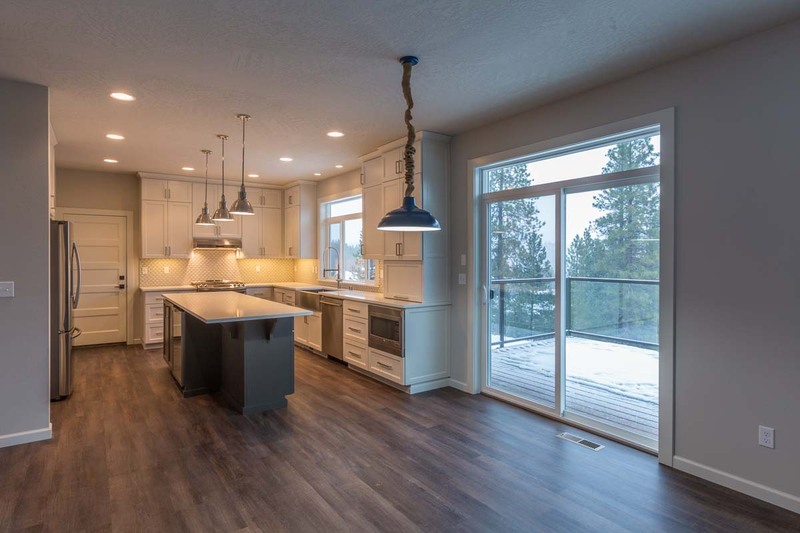 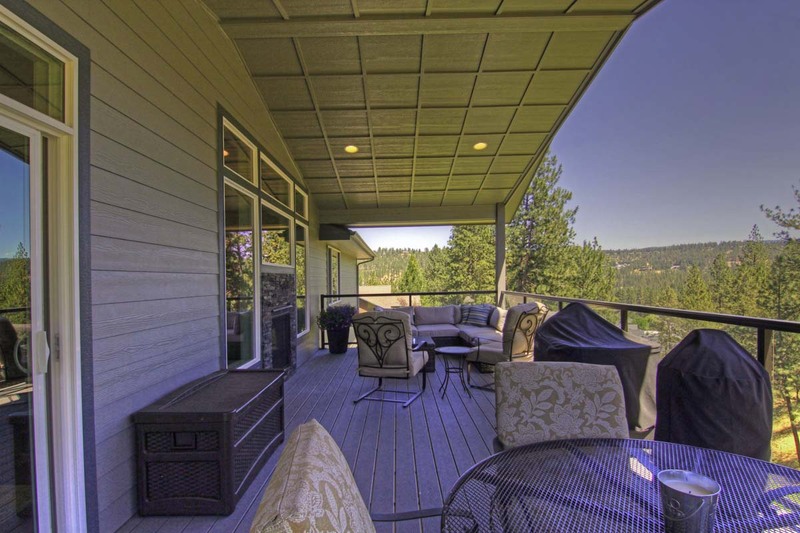 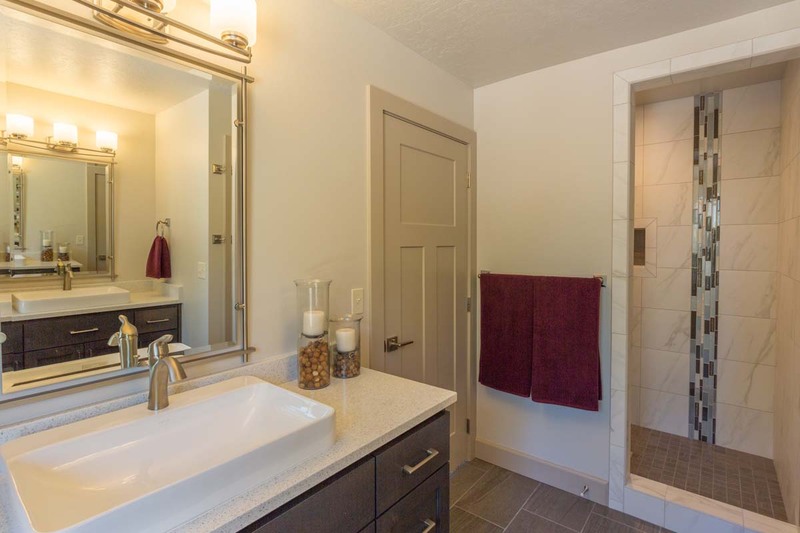 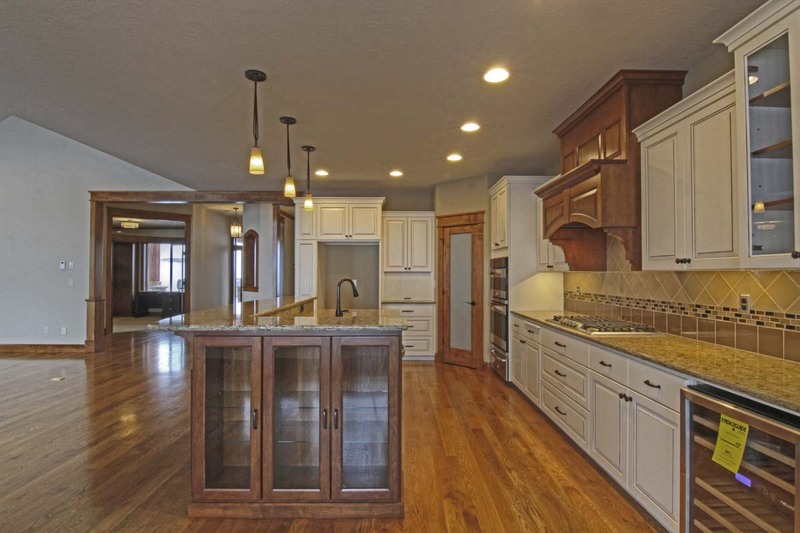 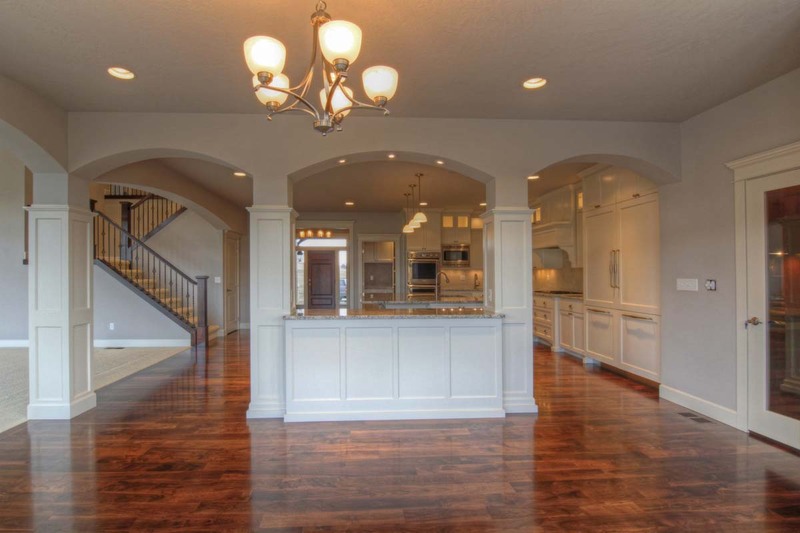 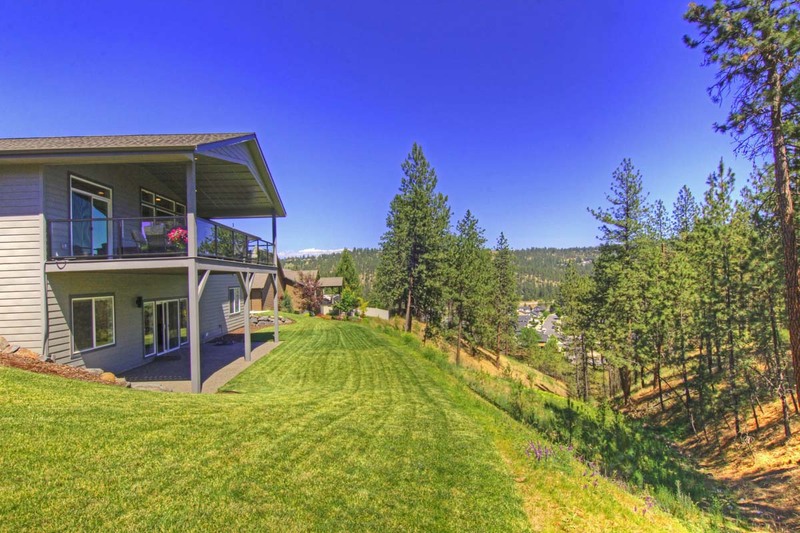 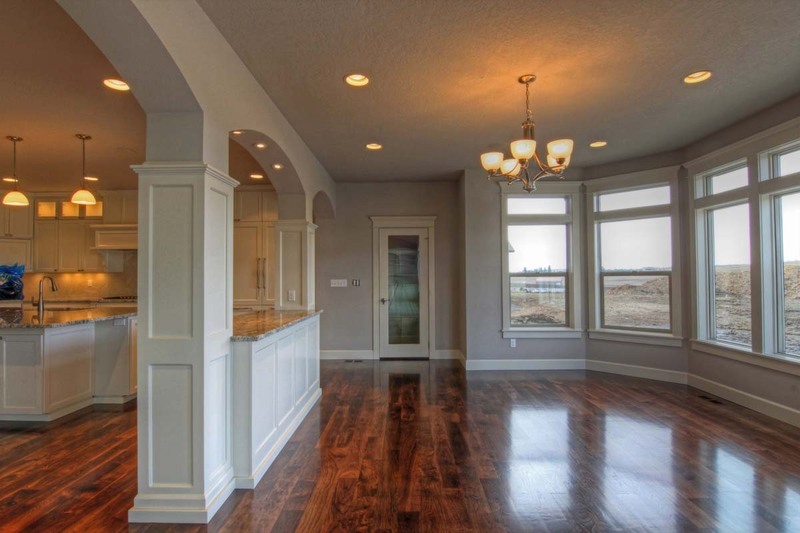 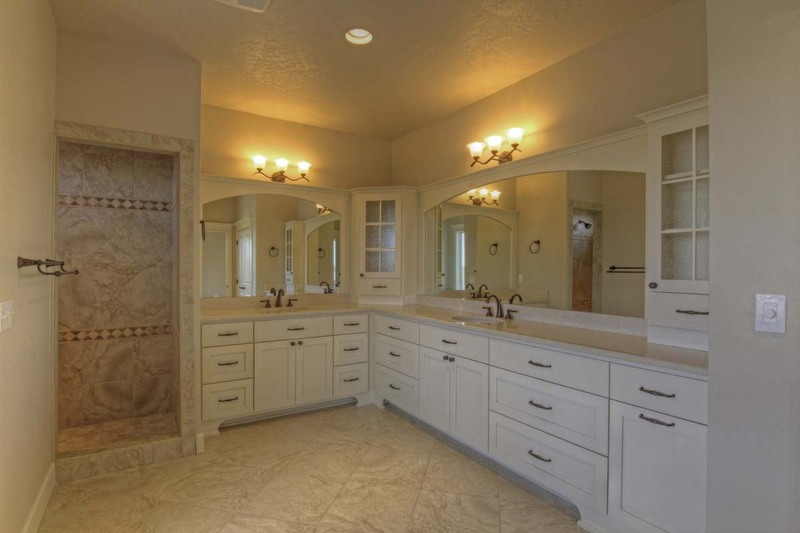 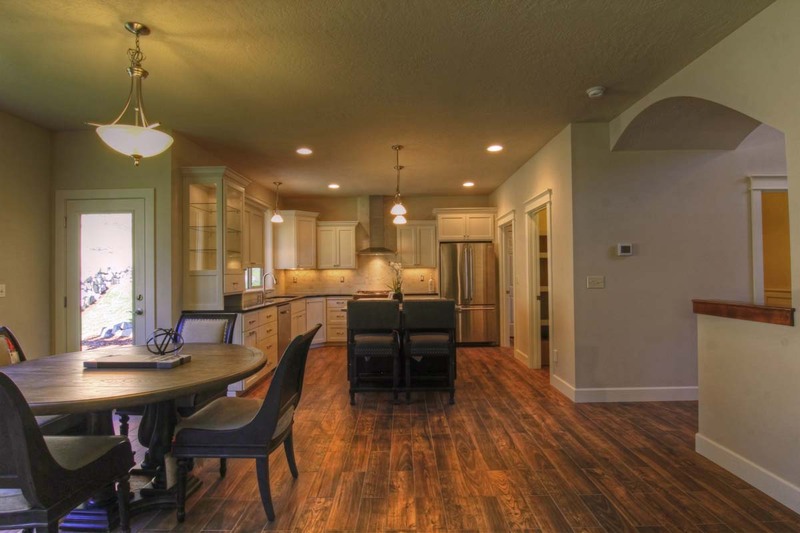 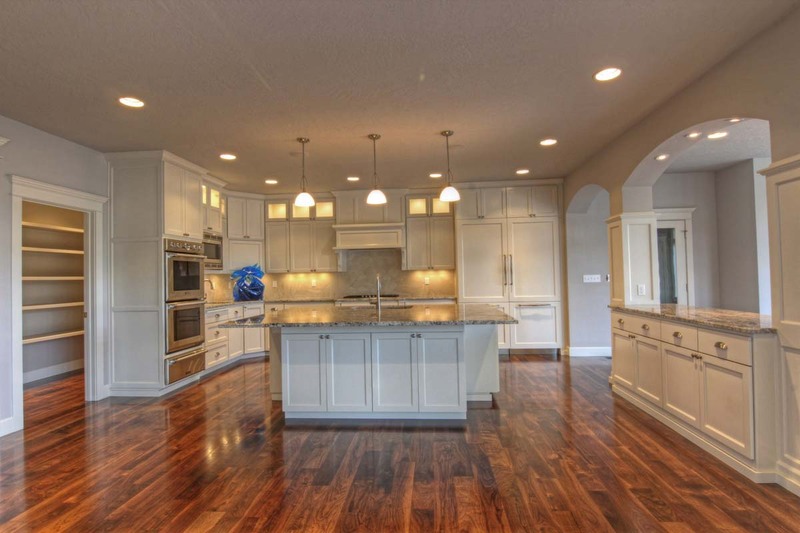 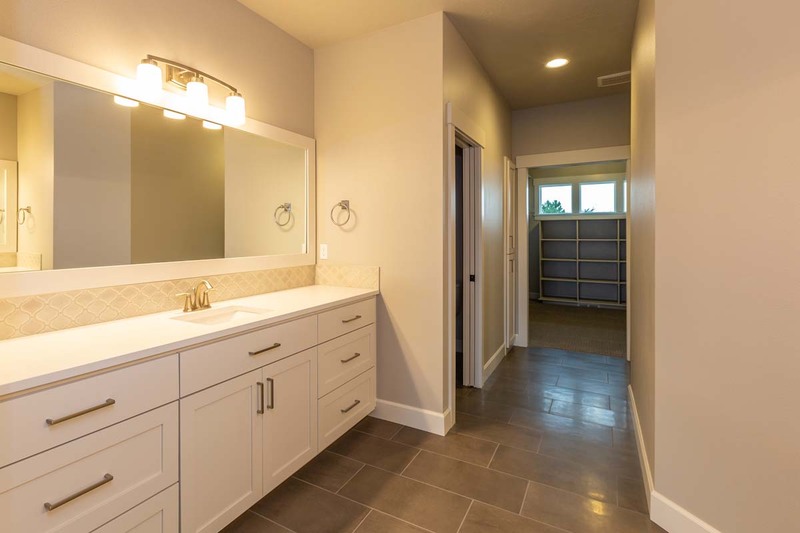 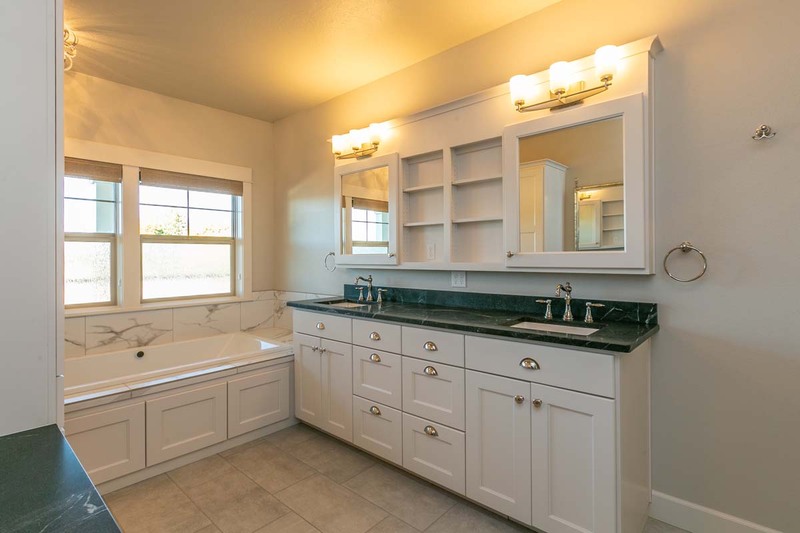 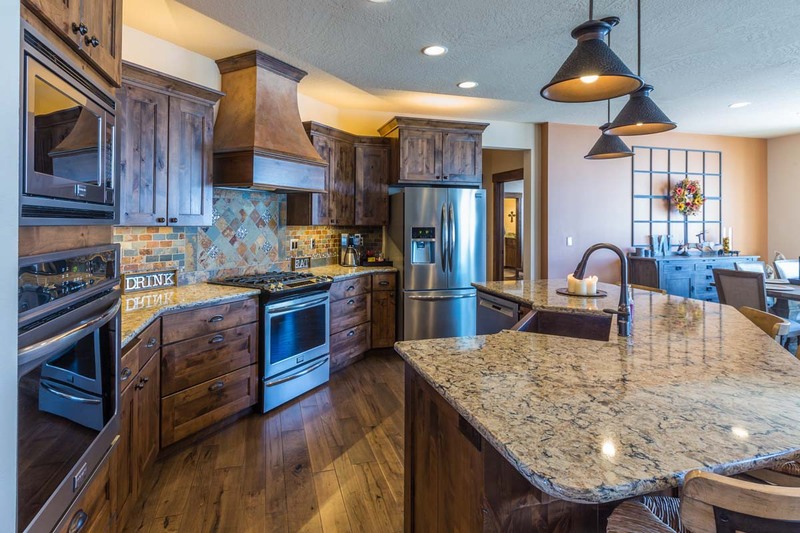 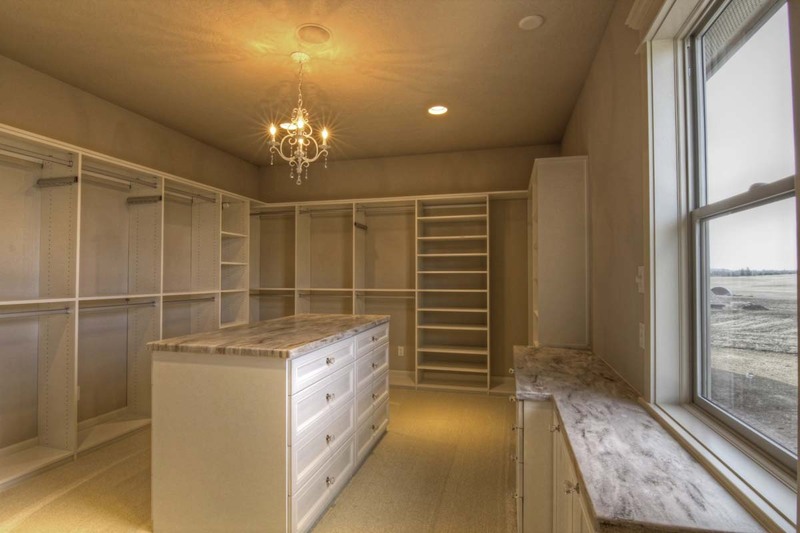 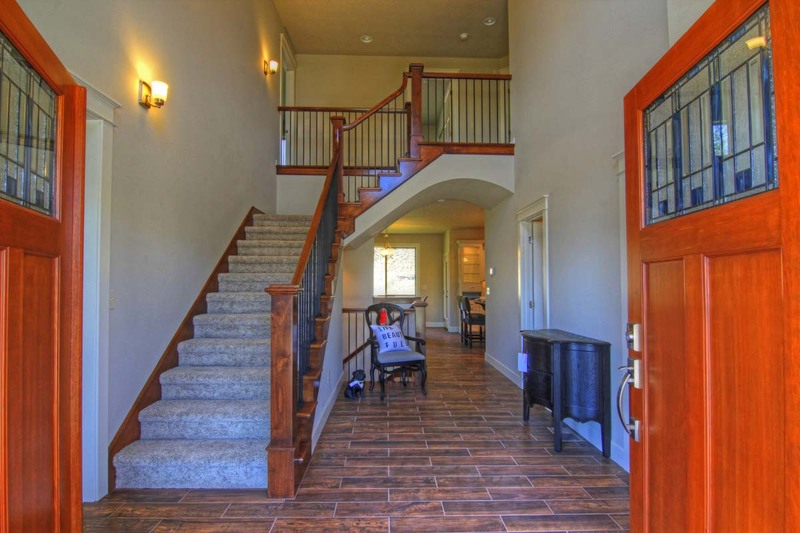 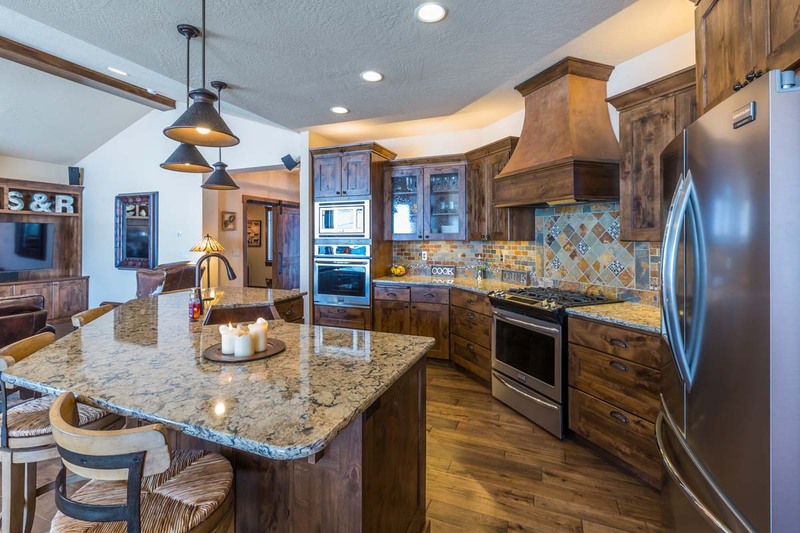 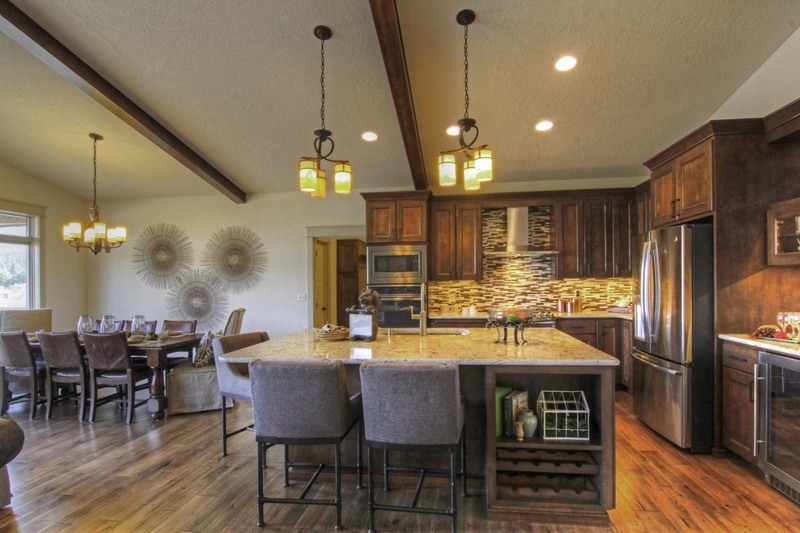 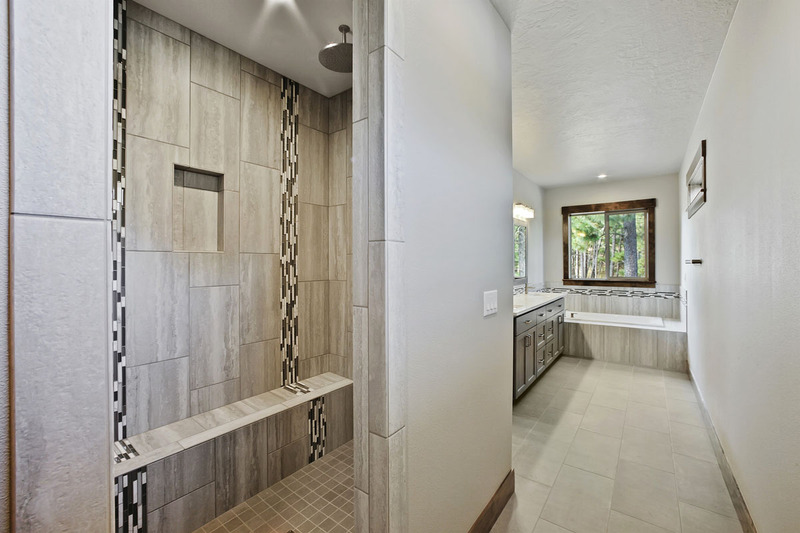 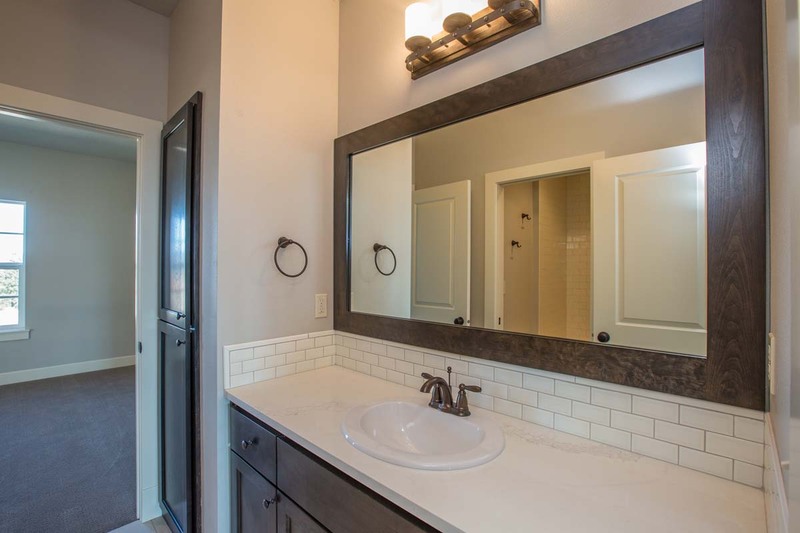 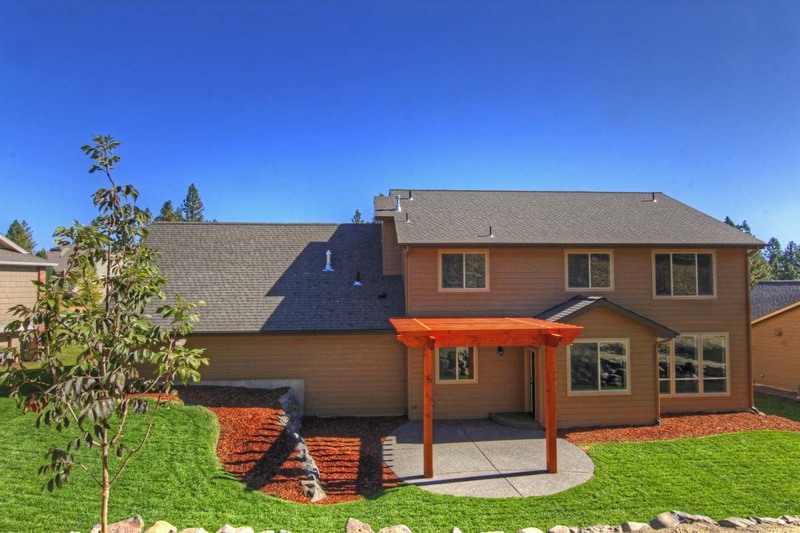 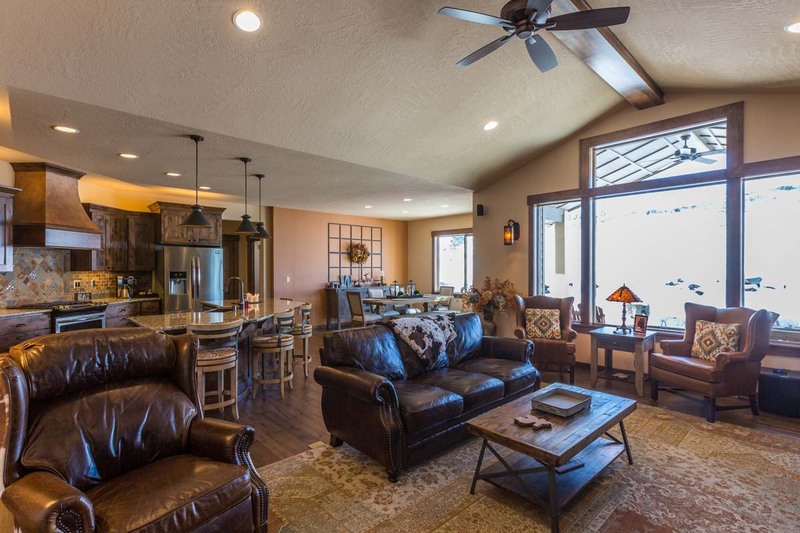 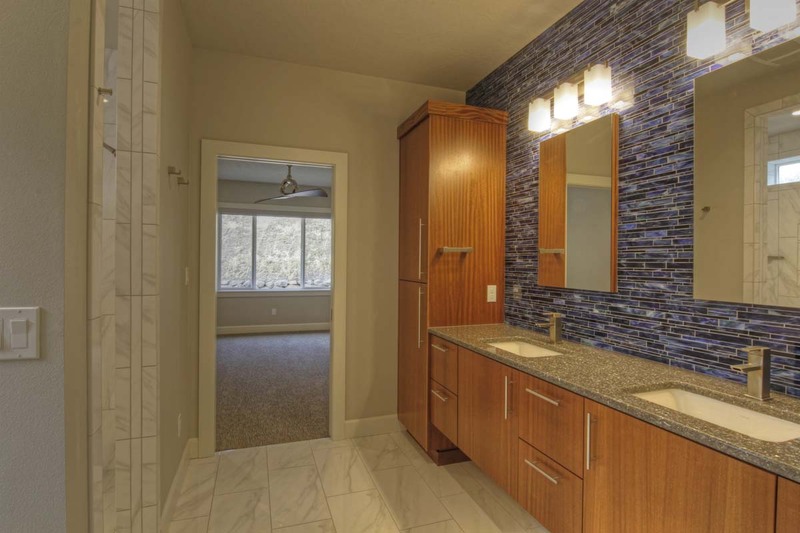 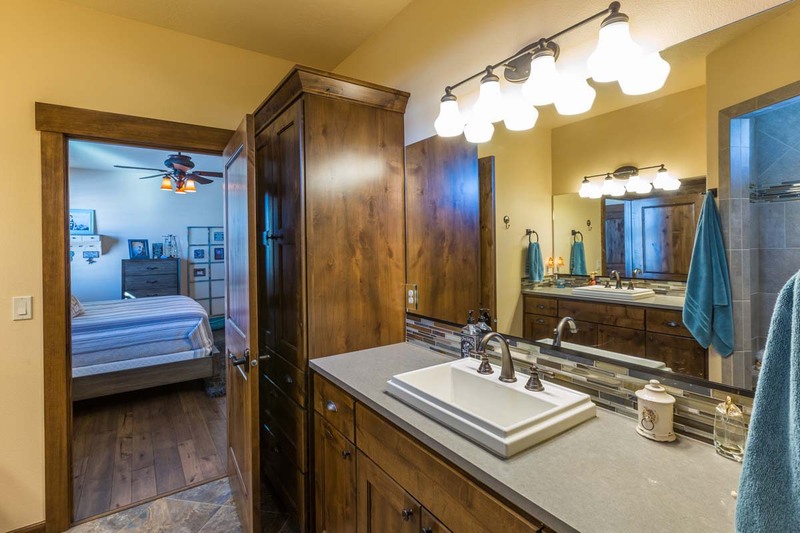 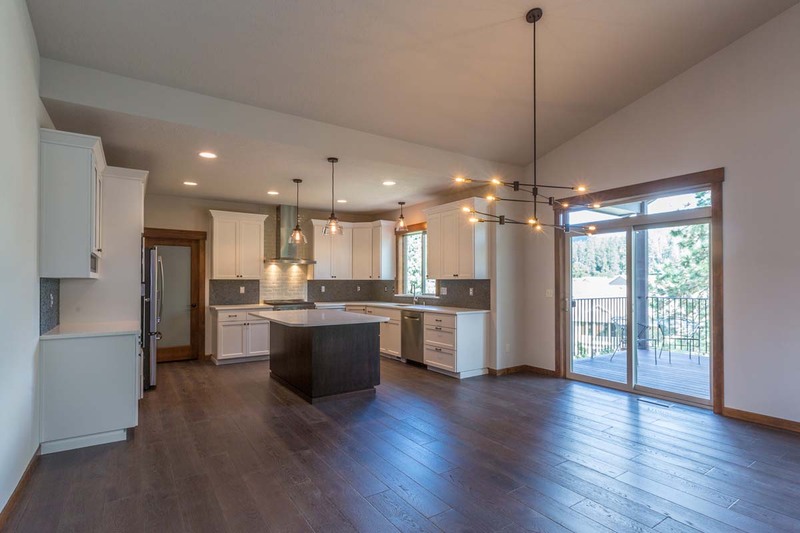 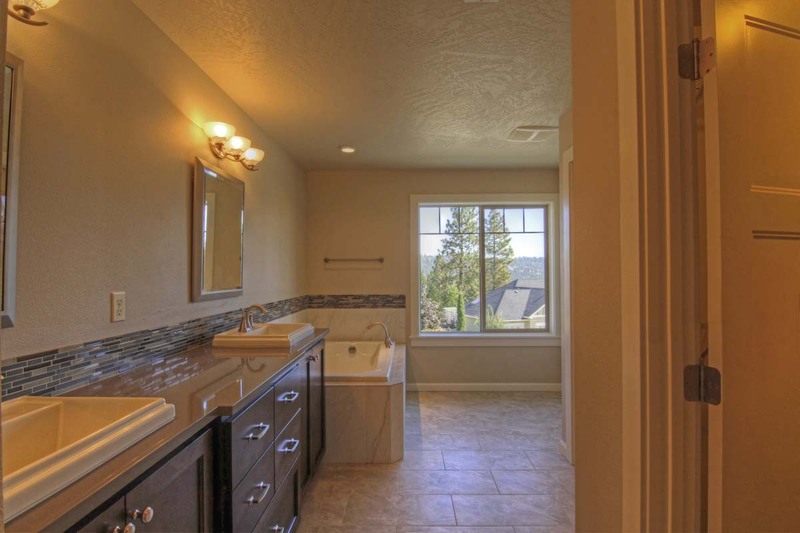 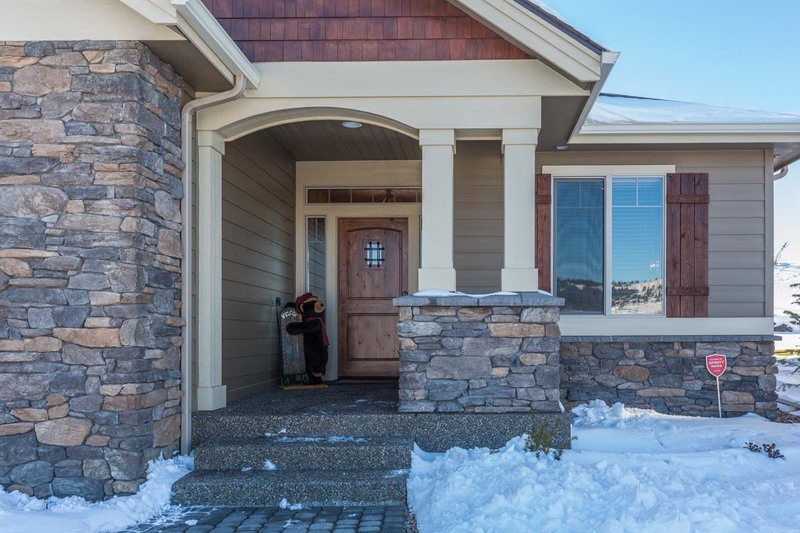 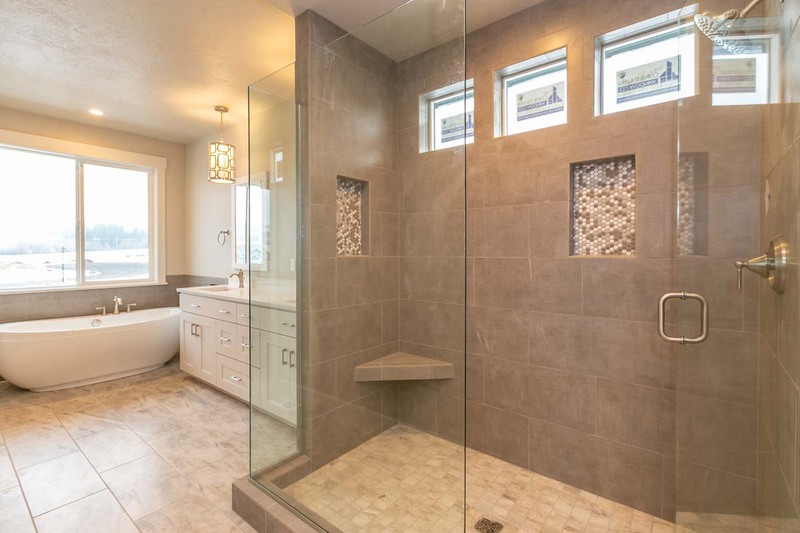 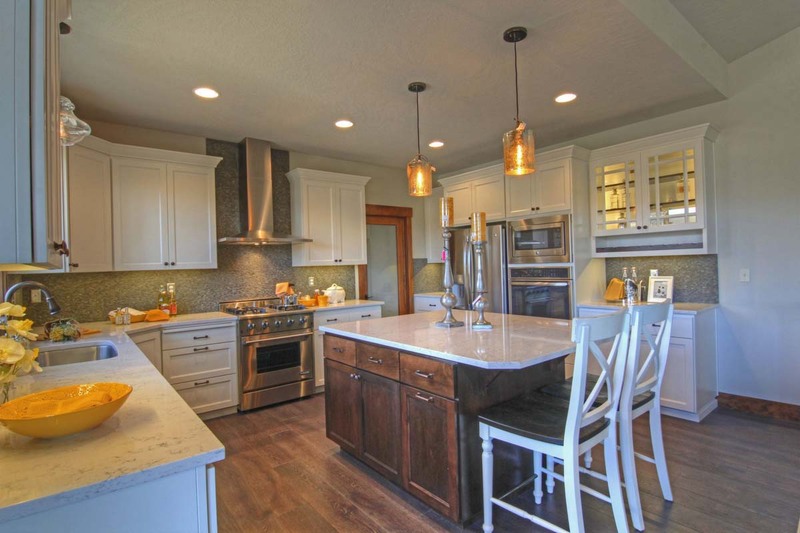 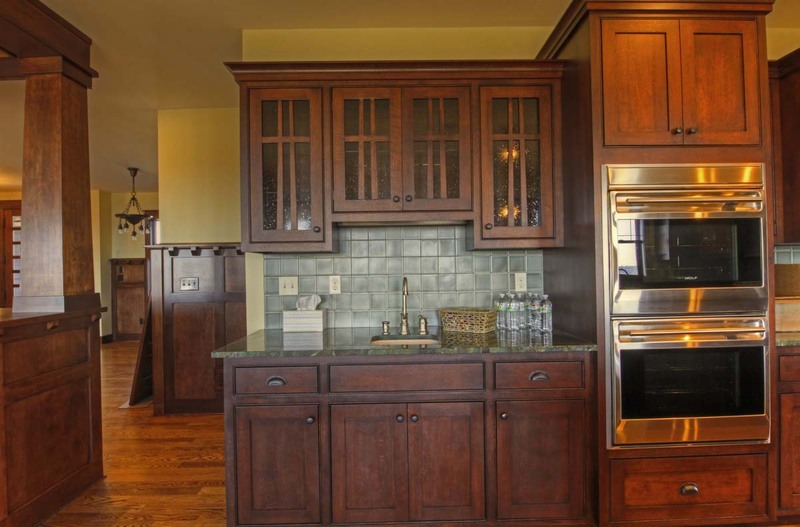 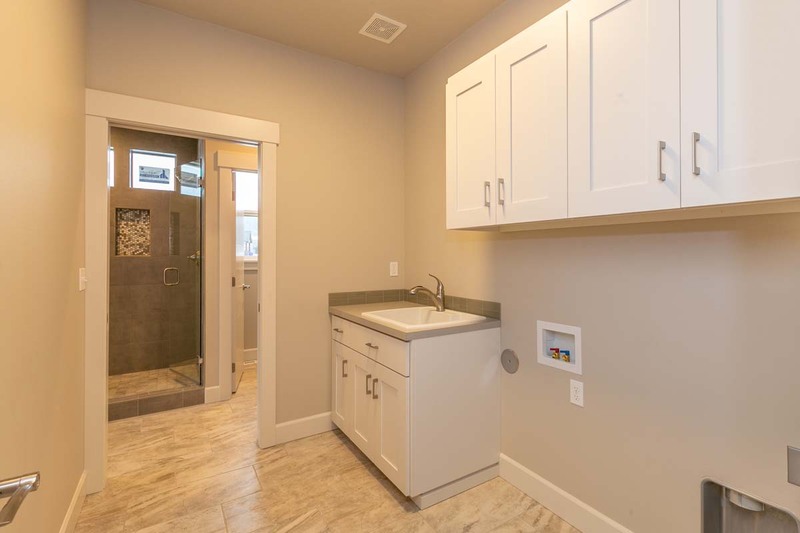 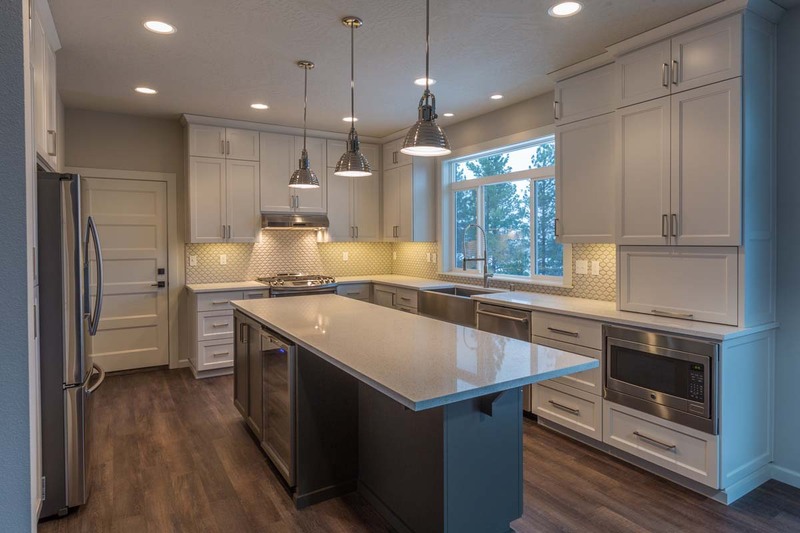 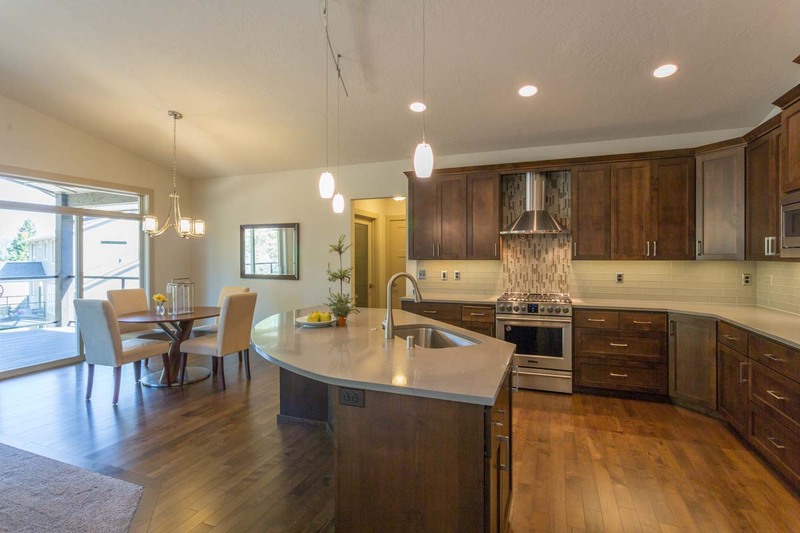 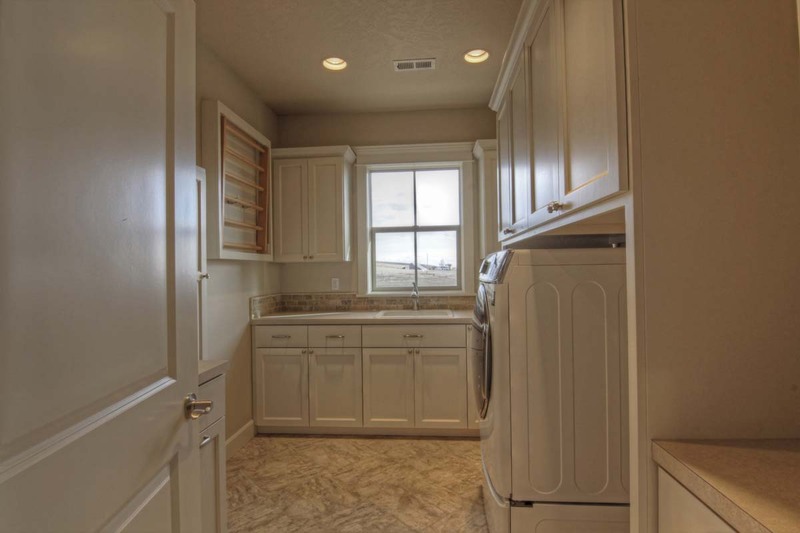 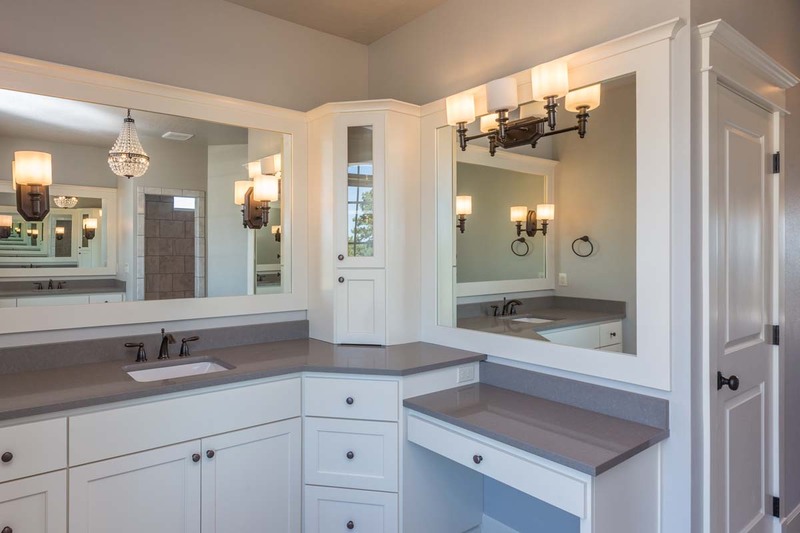 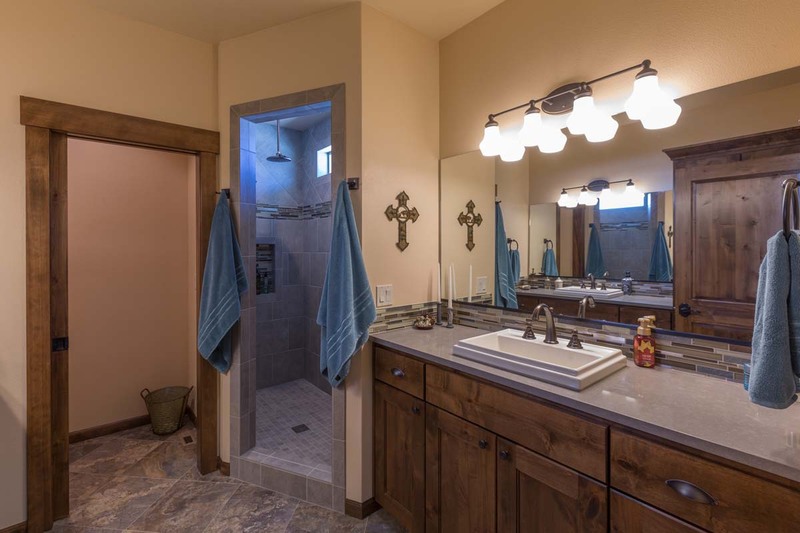 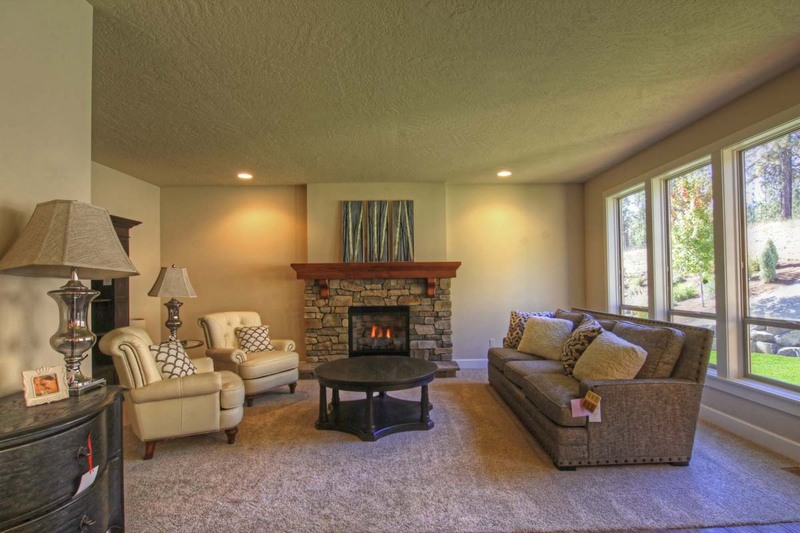 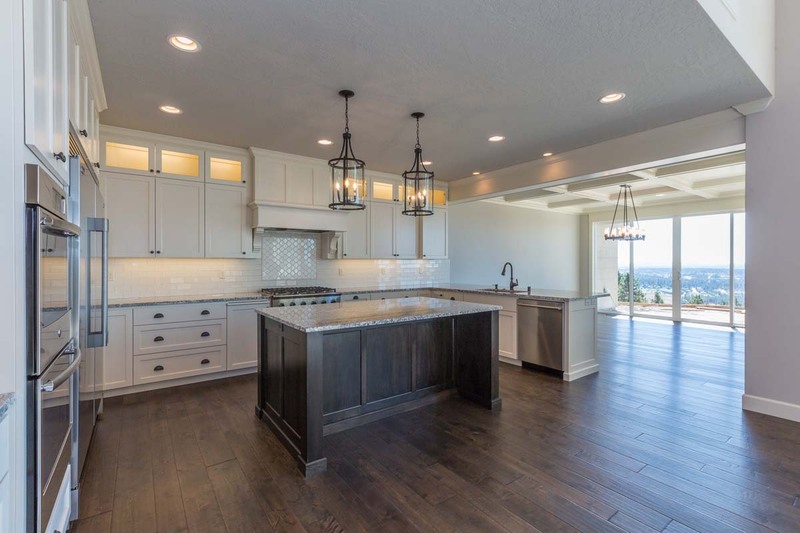 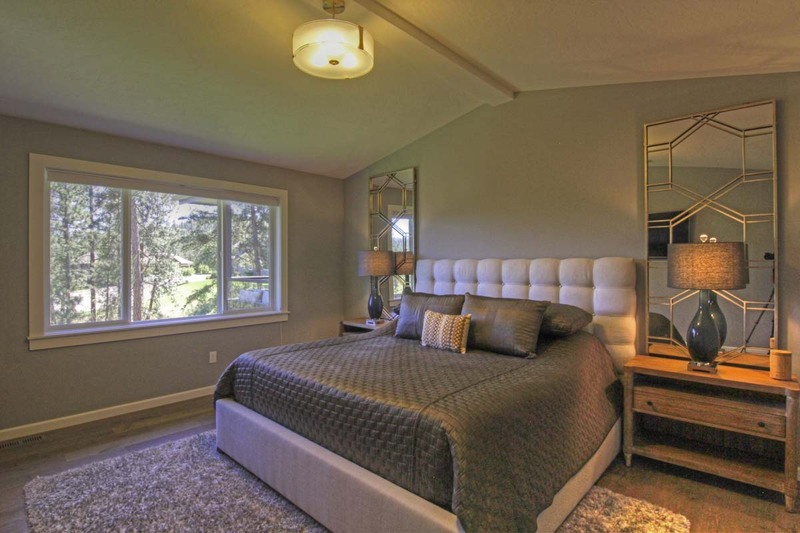 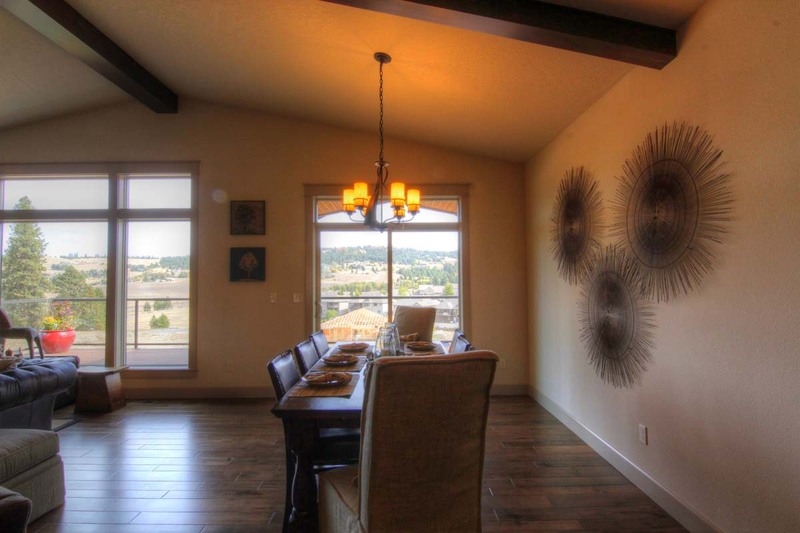 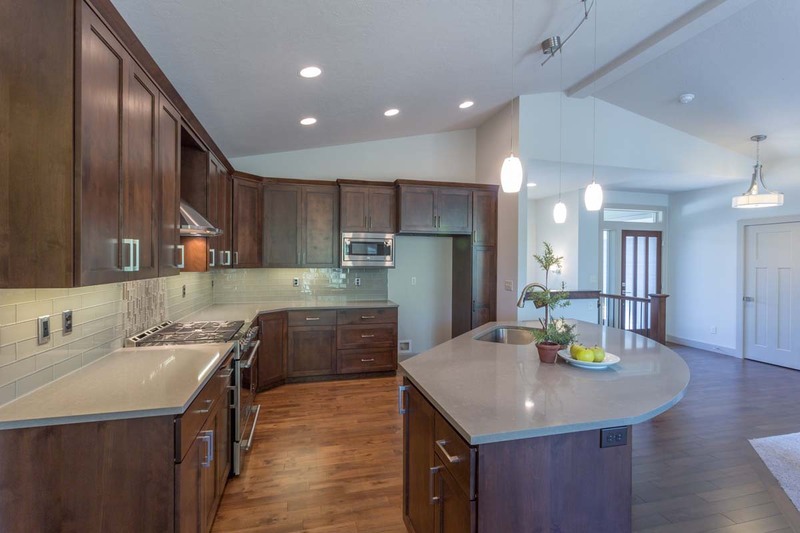 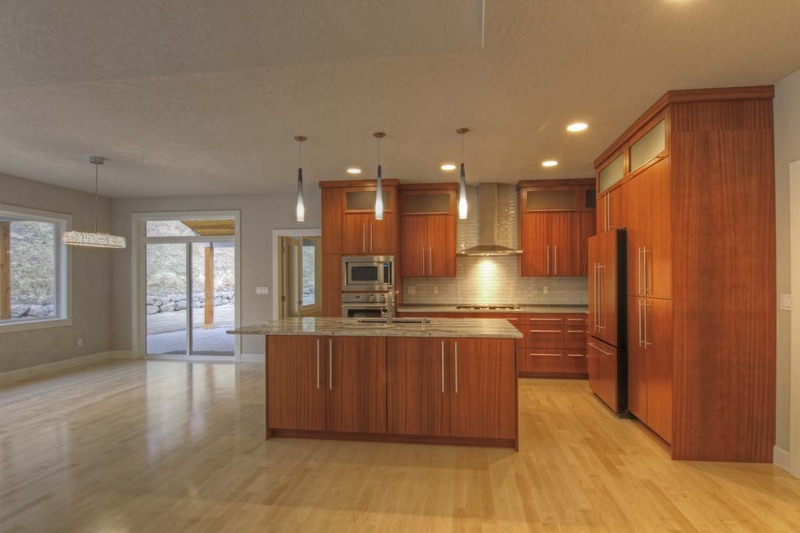 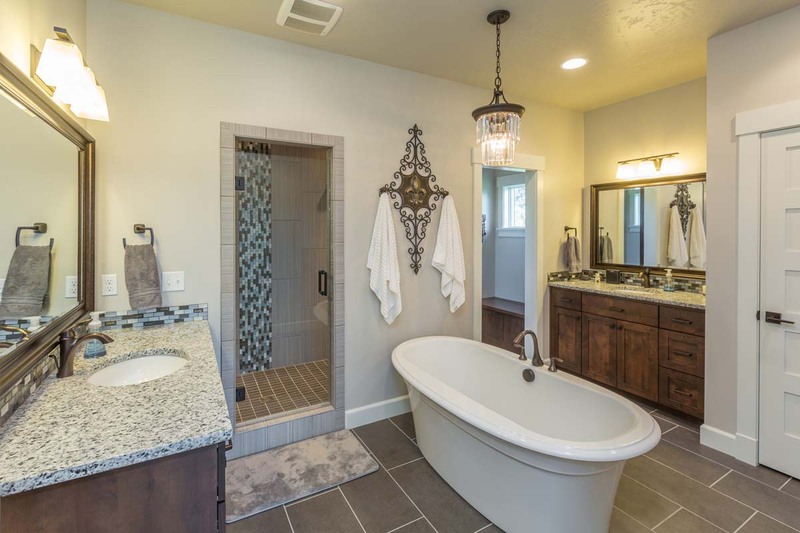 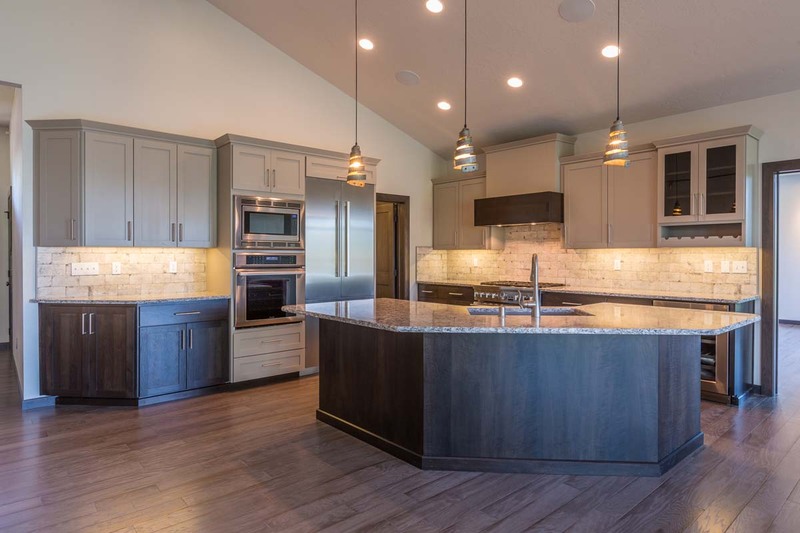 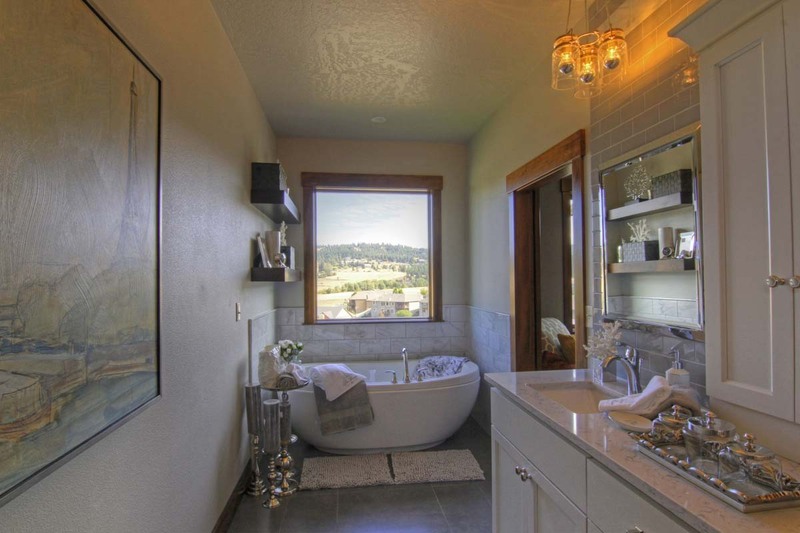 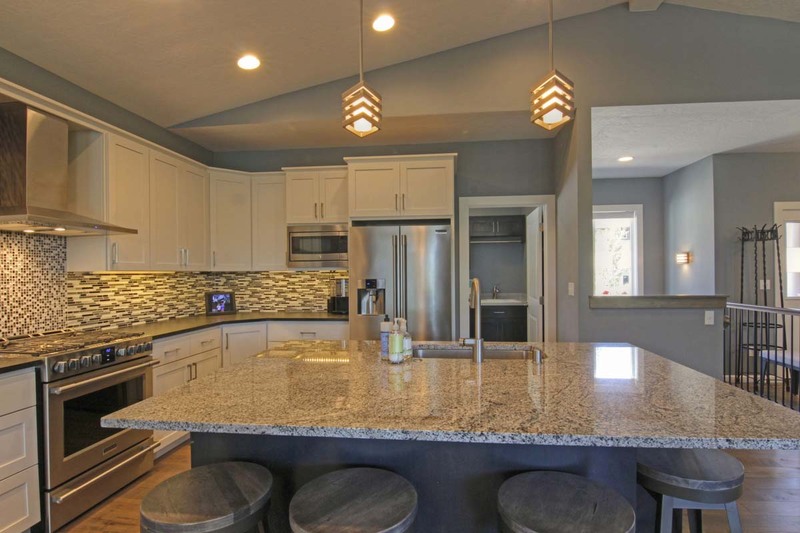 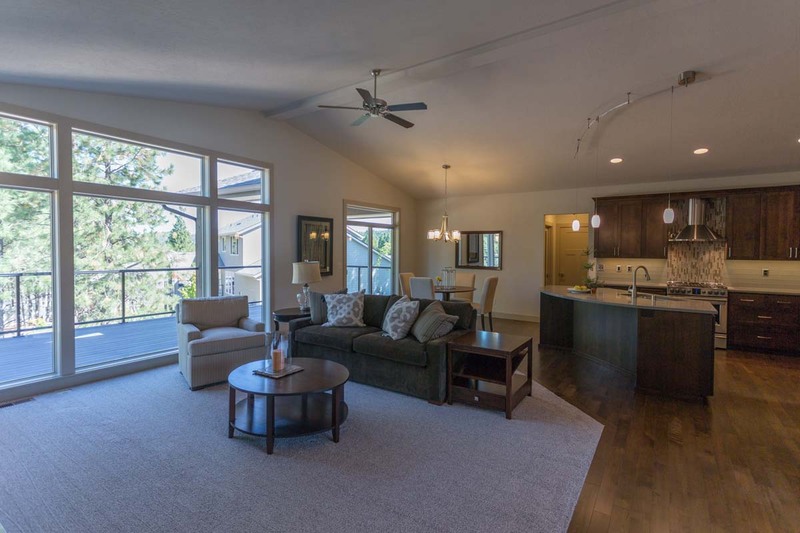 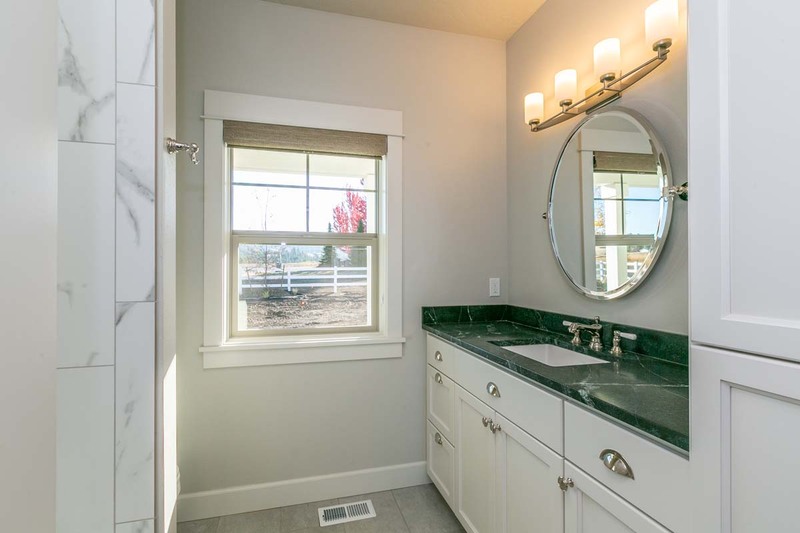 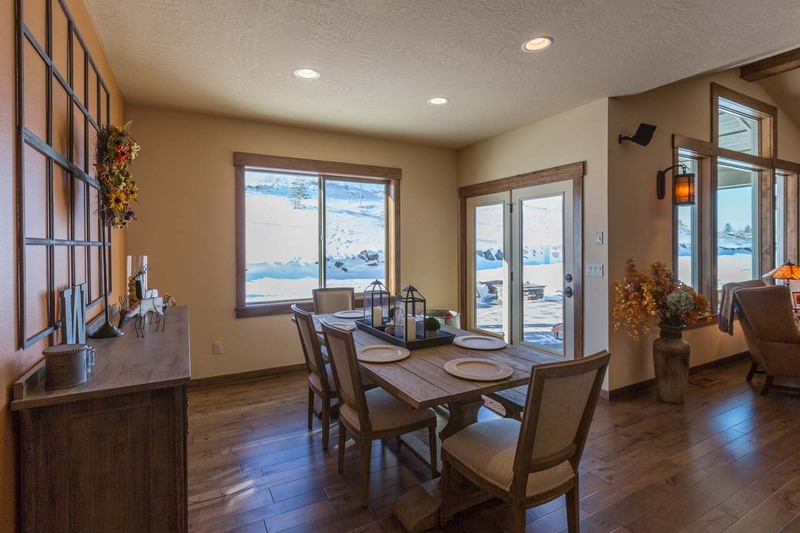 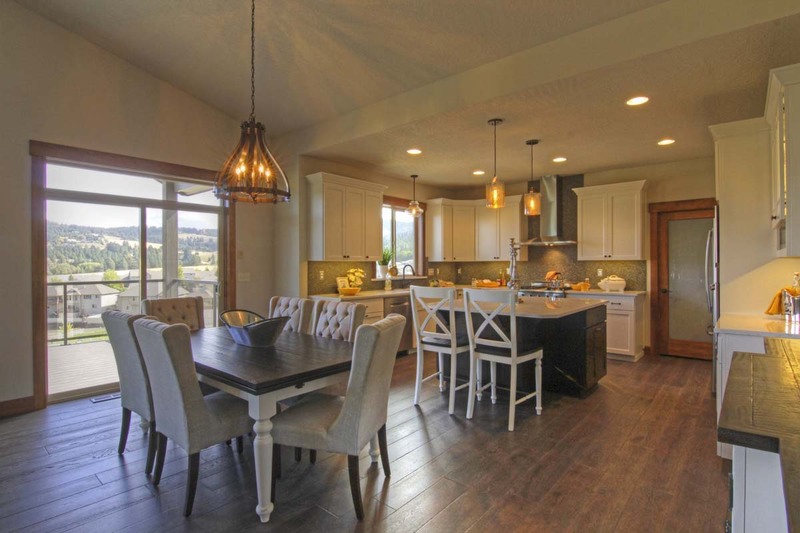 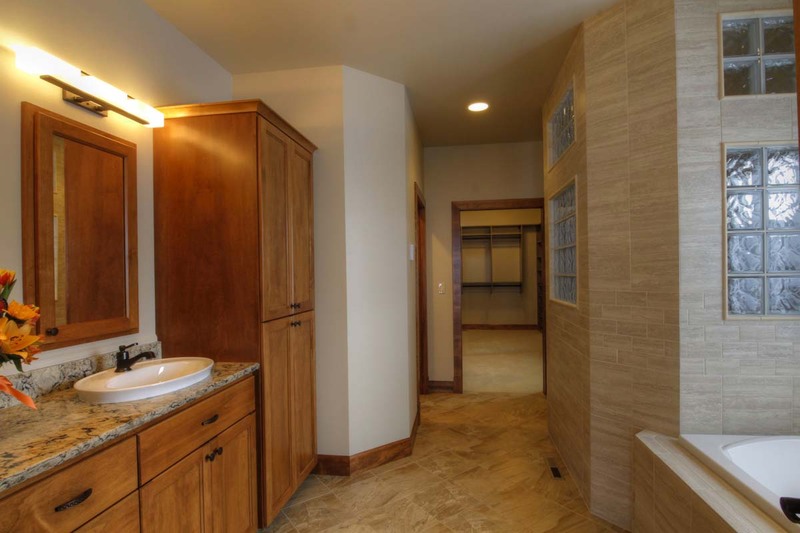 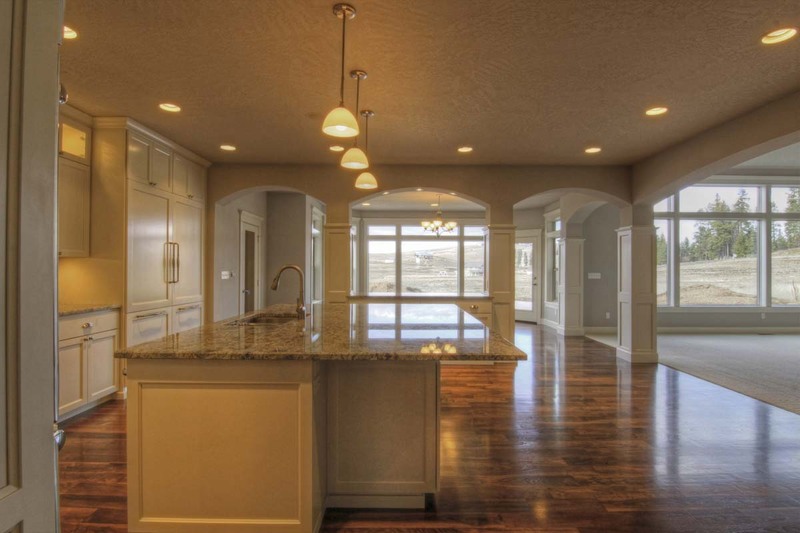 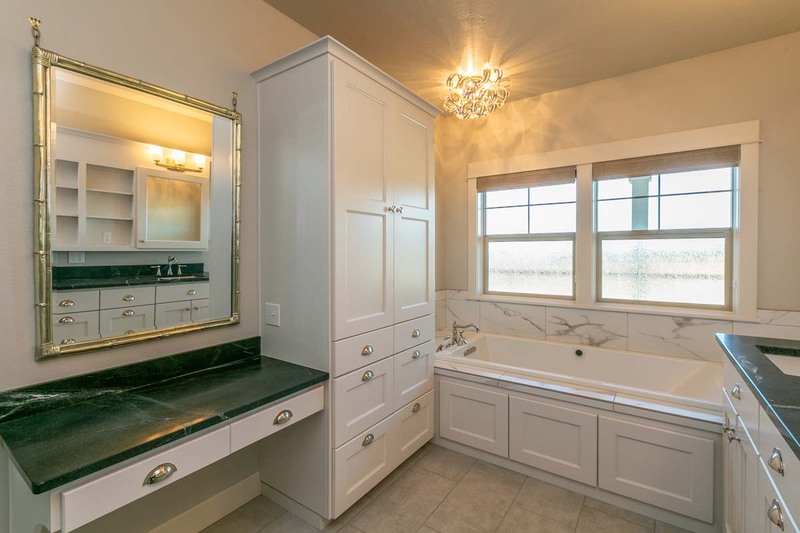 A great custom home in Trickle Creek, with striking Kitchen and Master Bath selections! 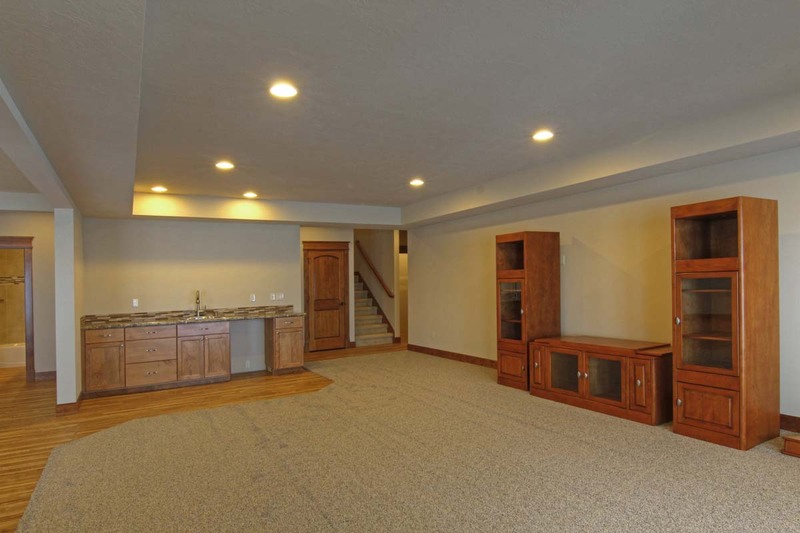 Recent basement rancher custom for some great customers! 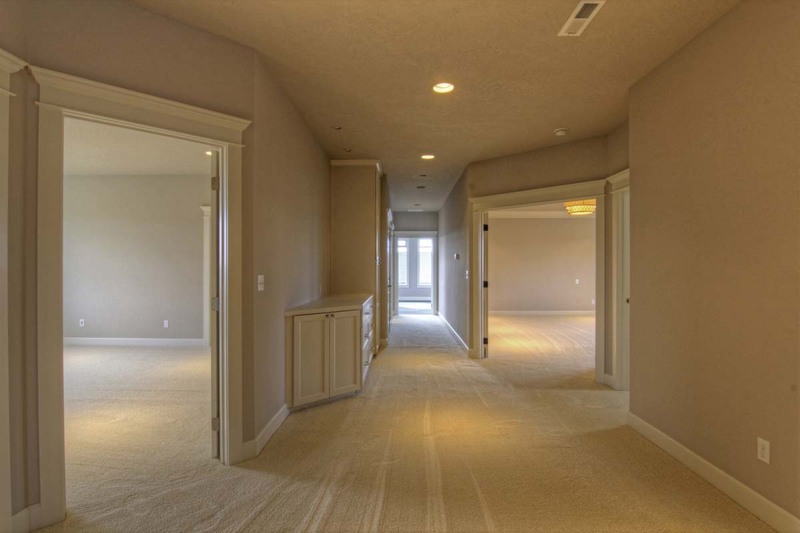 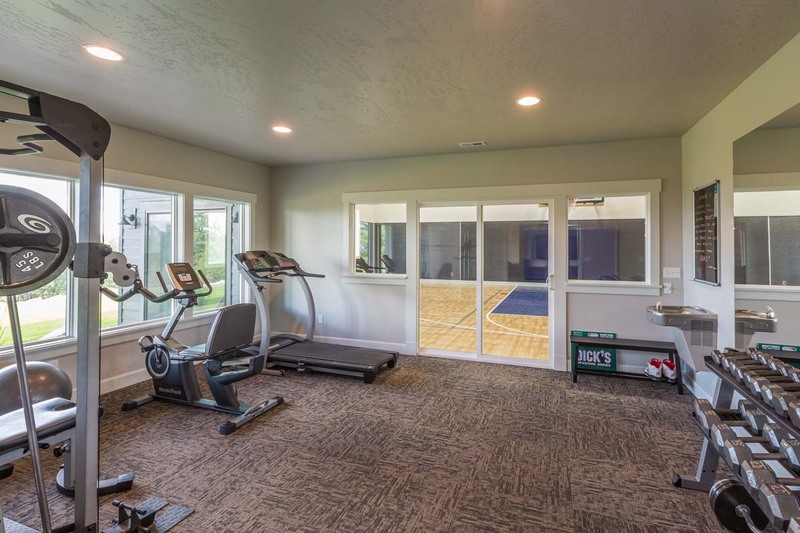 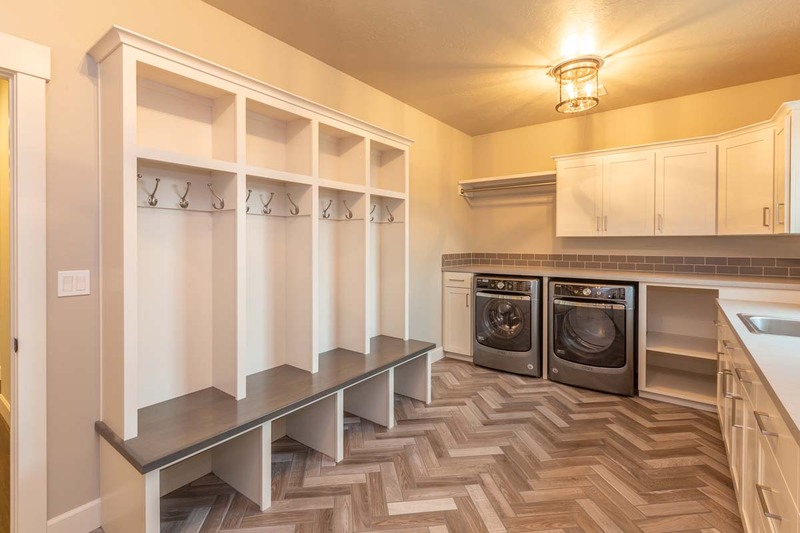 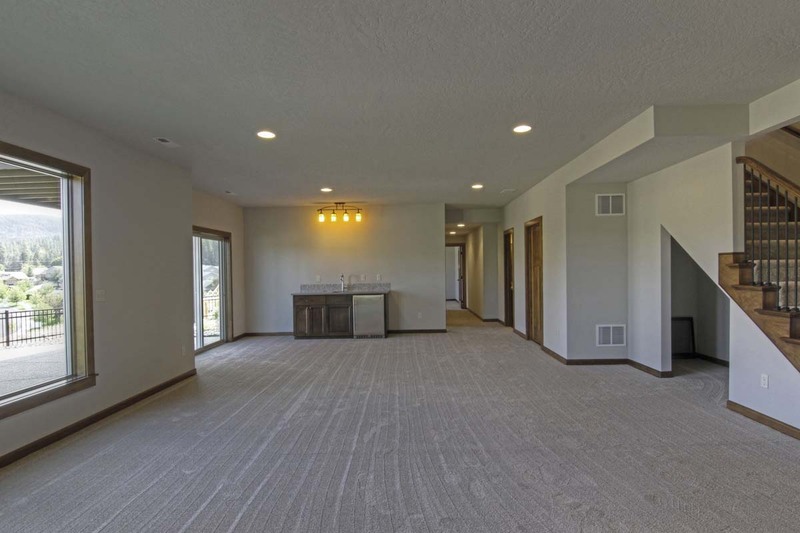 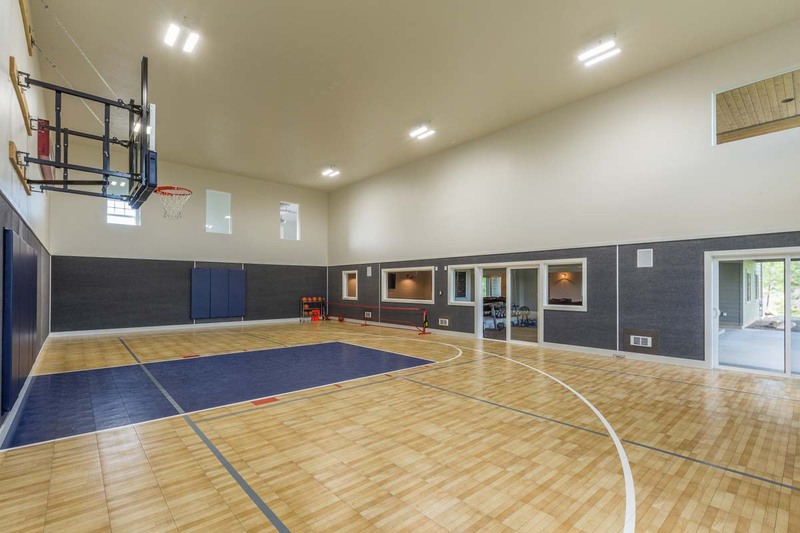 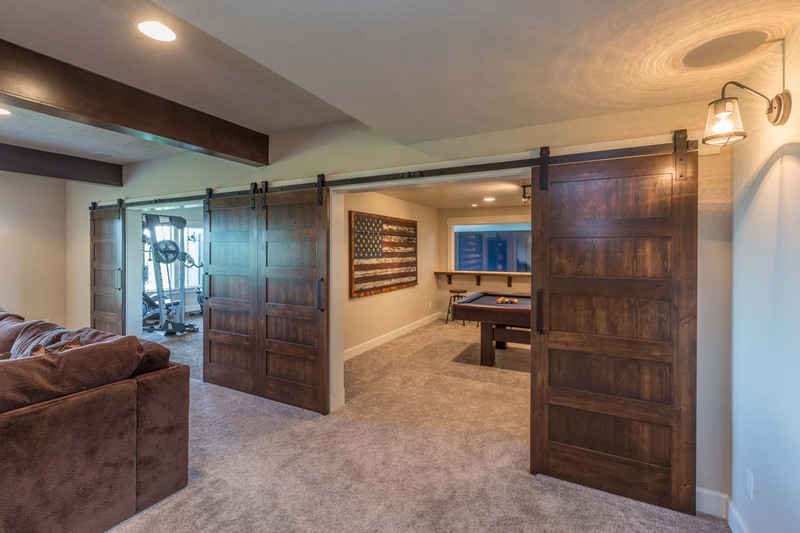 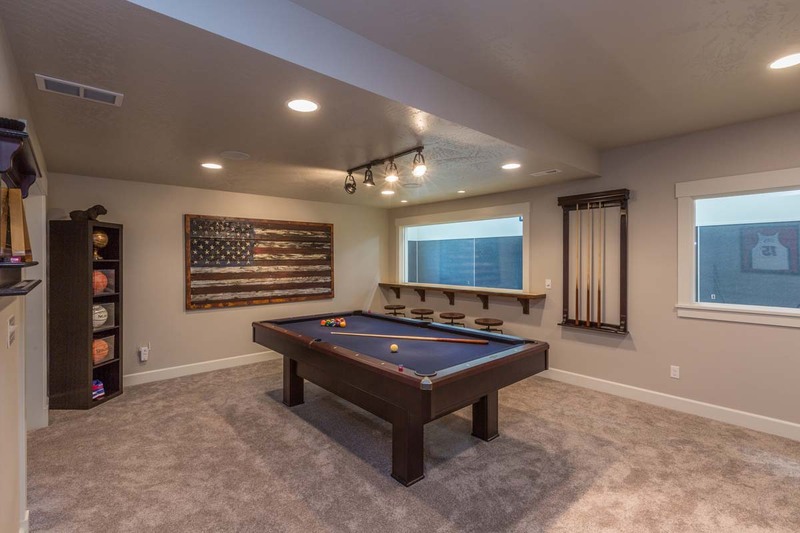 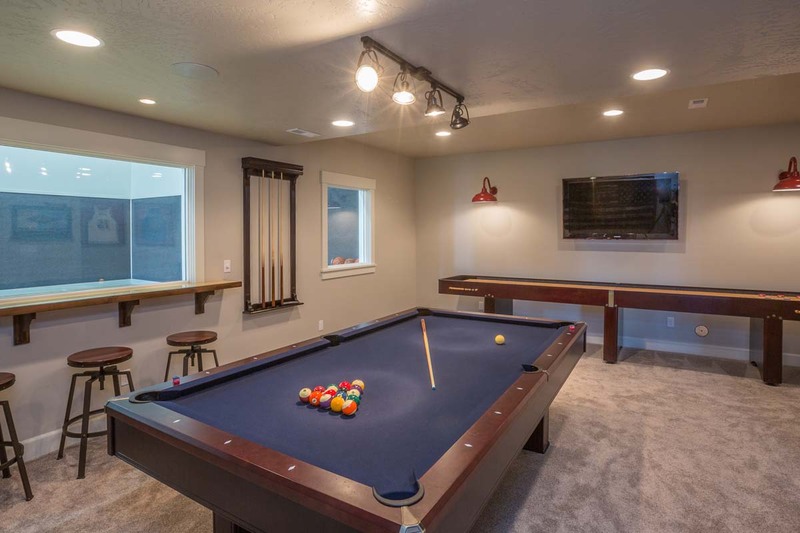 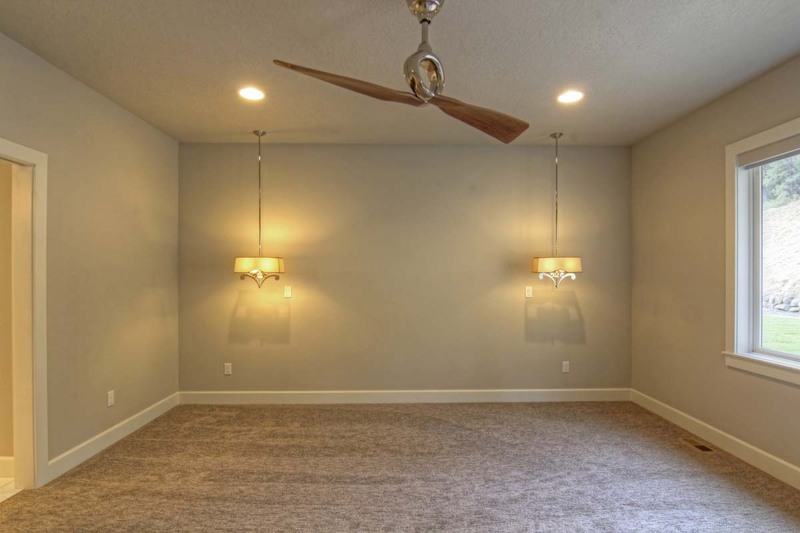 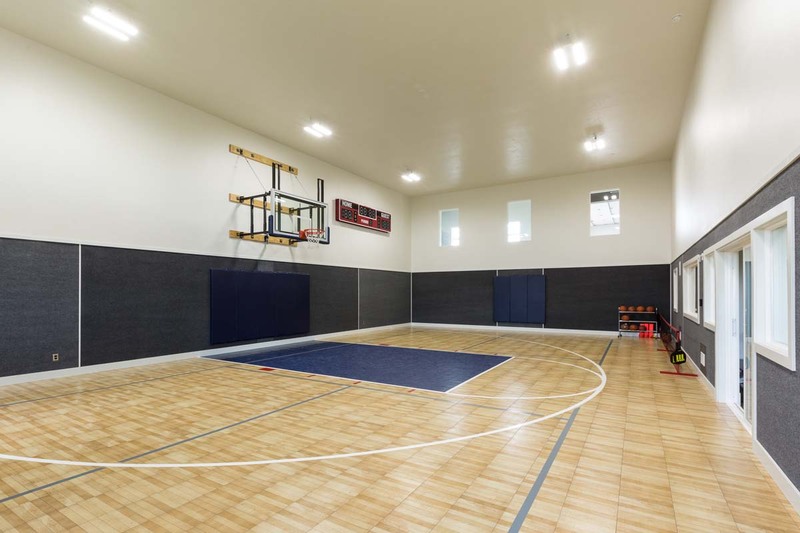 The home features incredible street appeal, and dramatic rear elevation, as well as an exercise room, game room, and indoor basketball court in the basement! 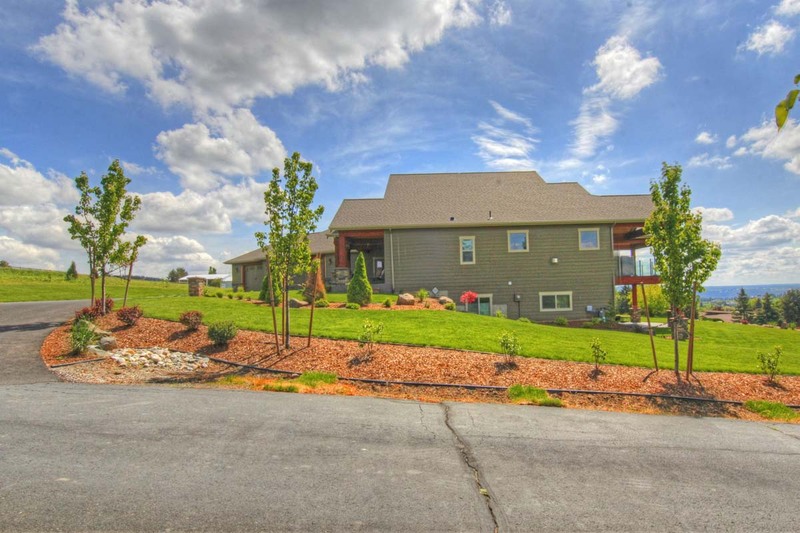 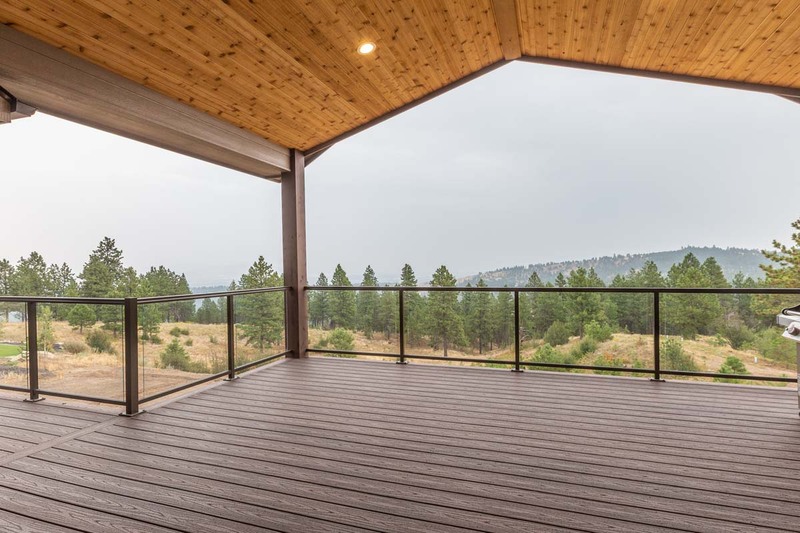 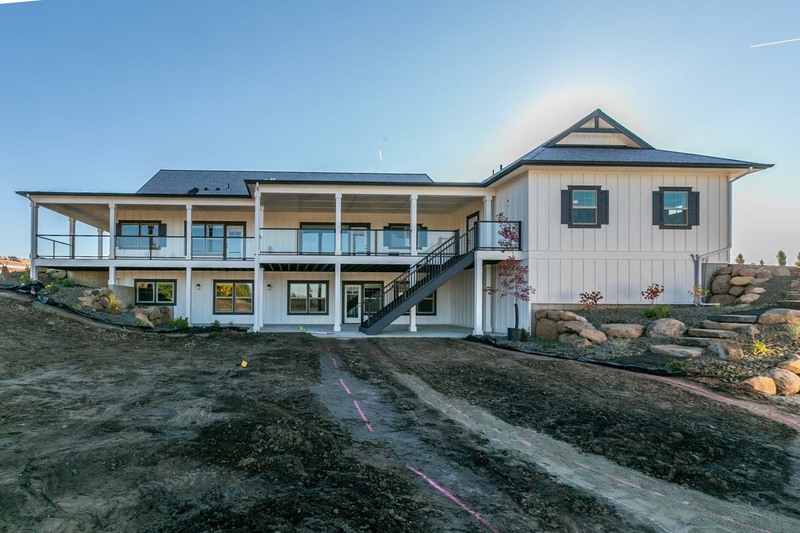 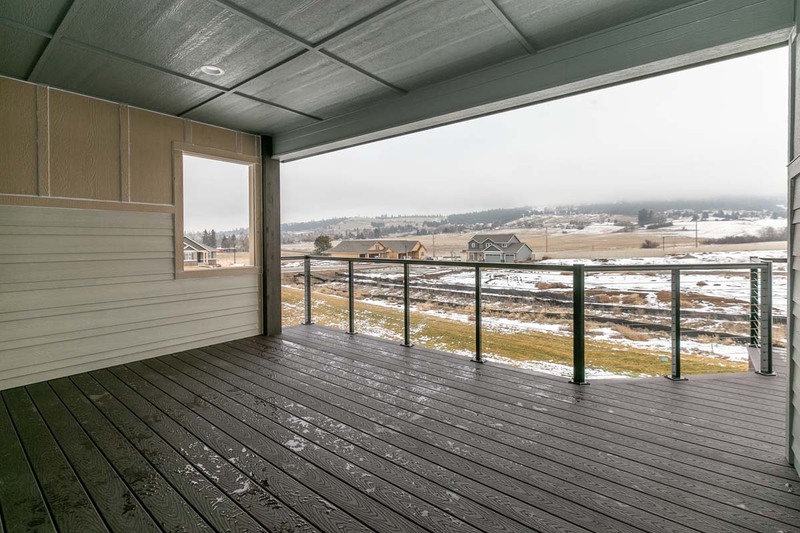 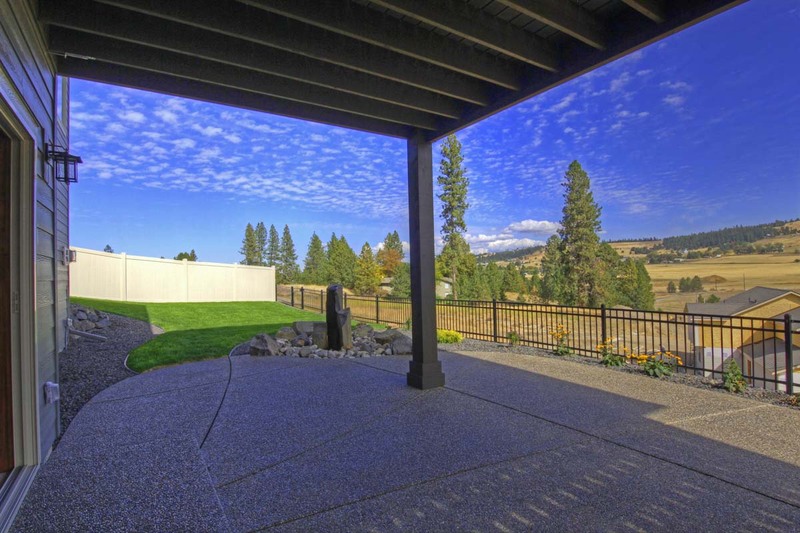 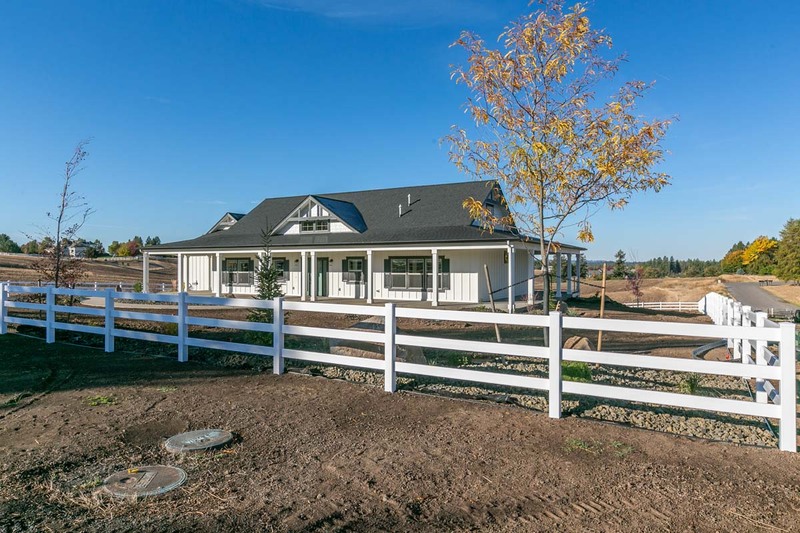 An exciting modern contemporary rancher! 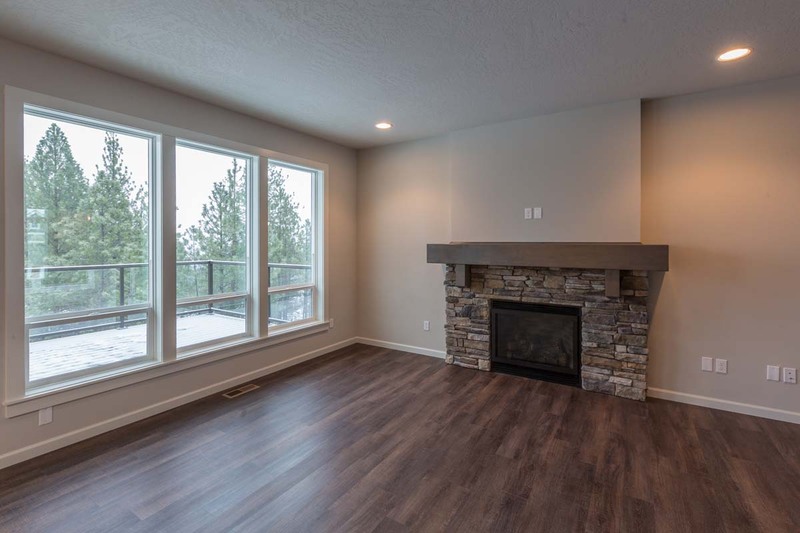 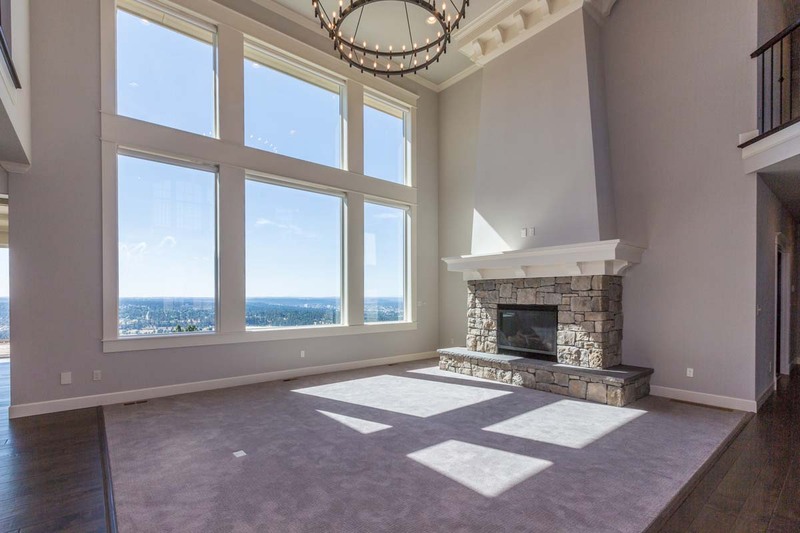 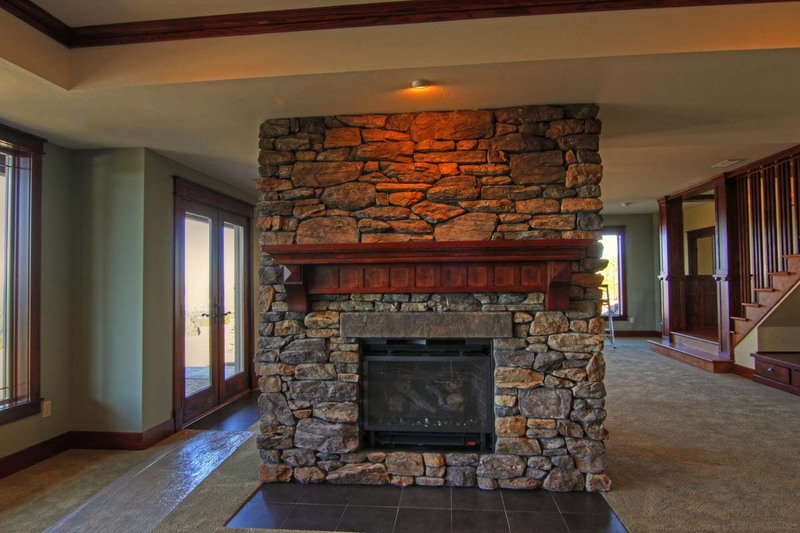 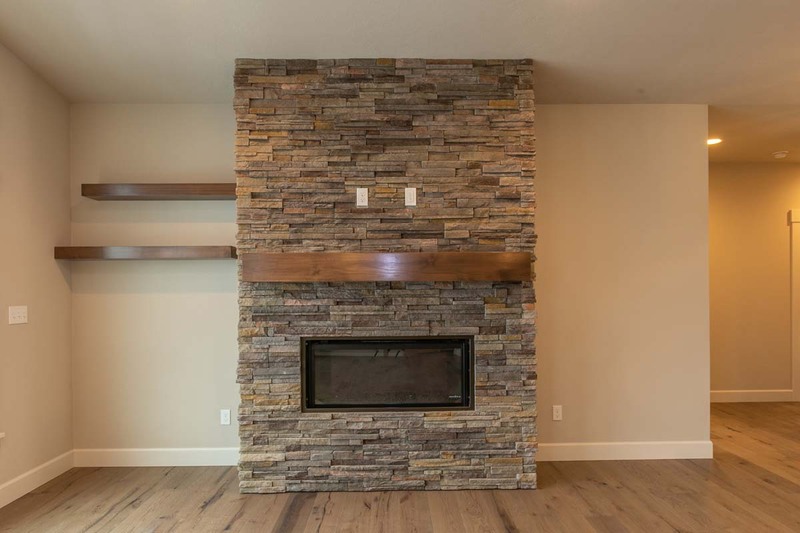 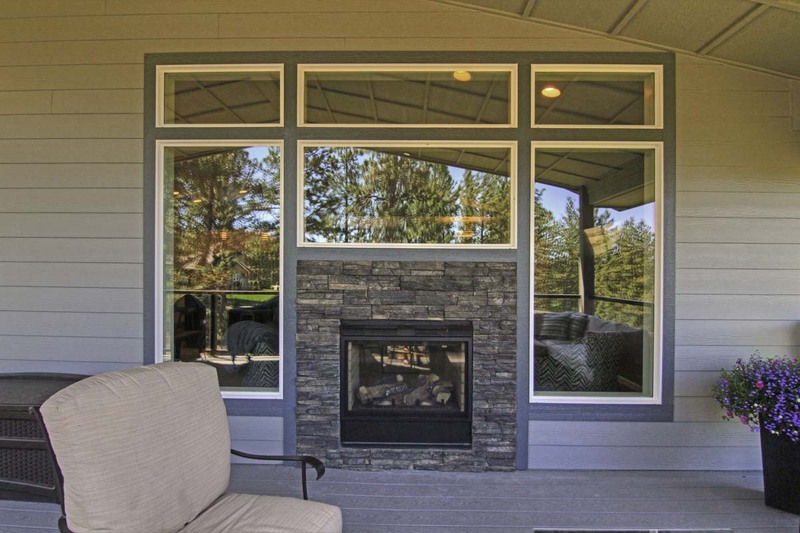 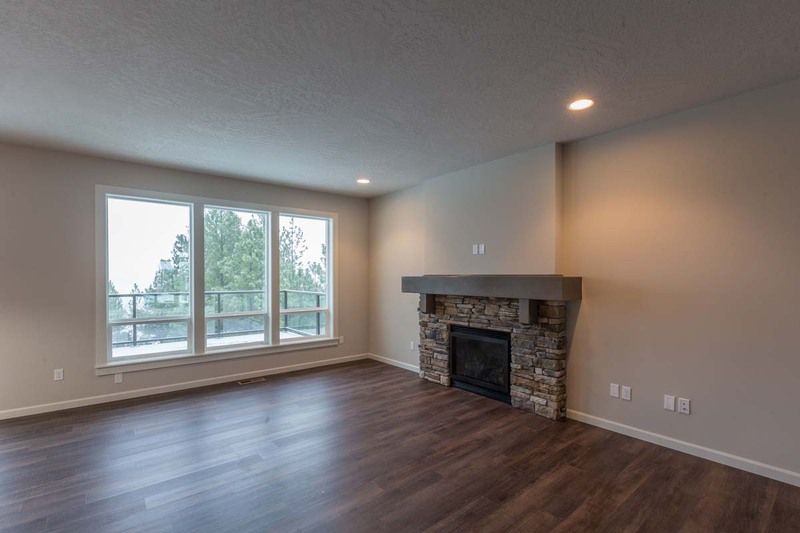 Owners selected some fantastic finishes, including a unique two-side fireplace, from the Great Room to the rear deck! 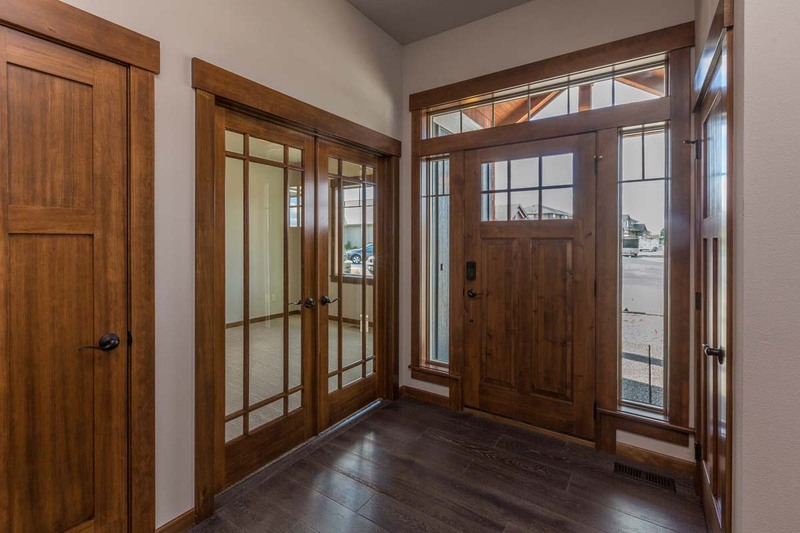 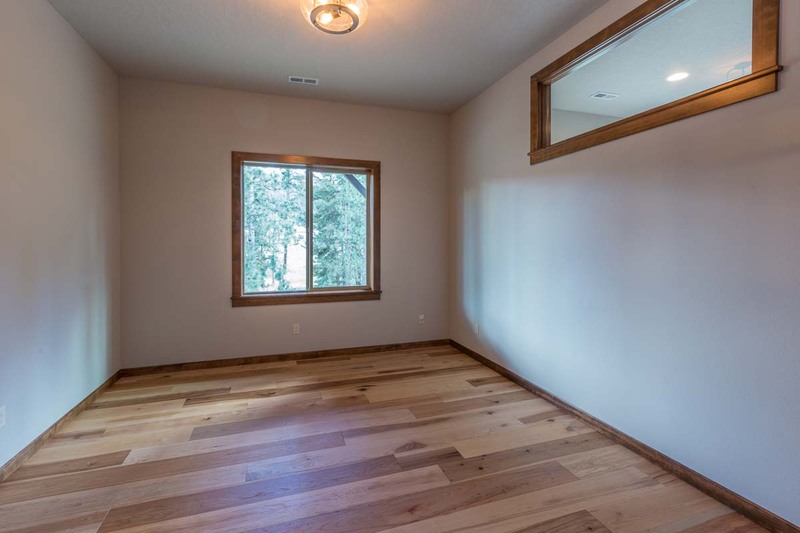 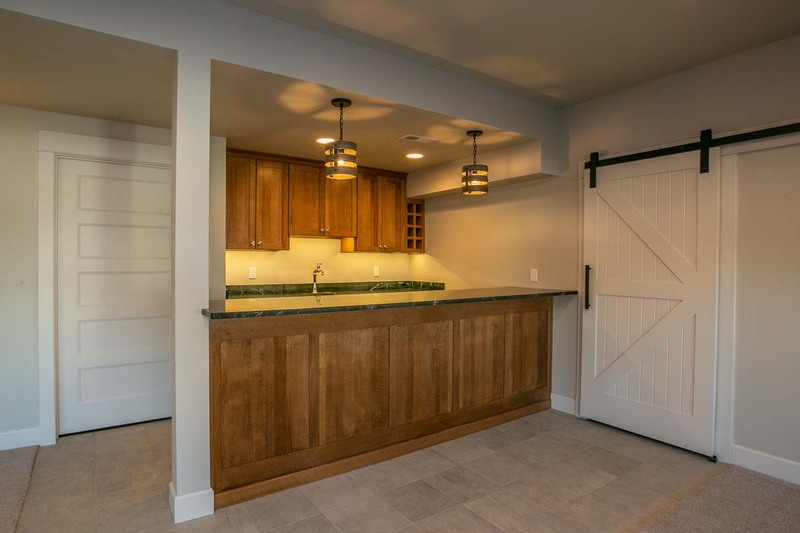 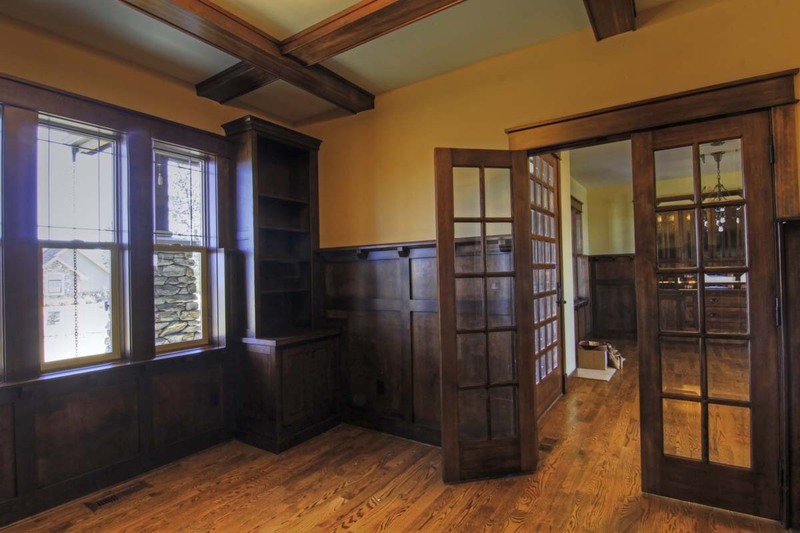 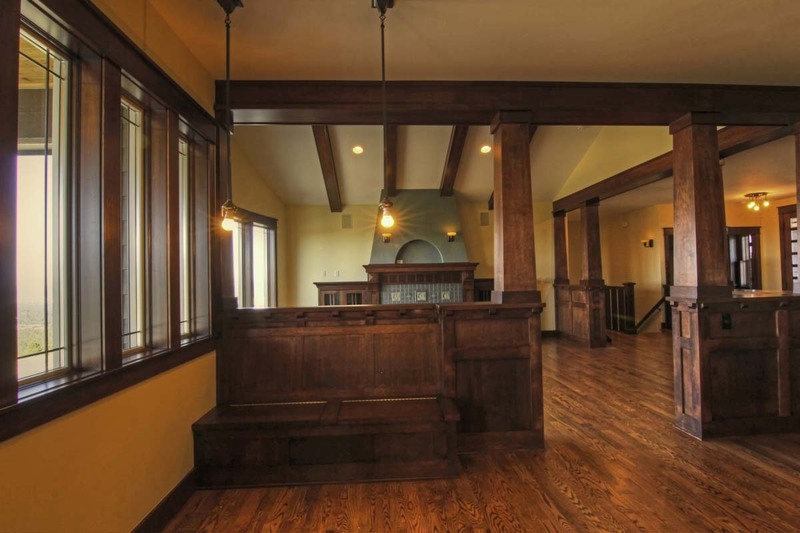 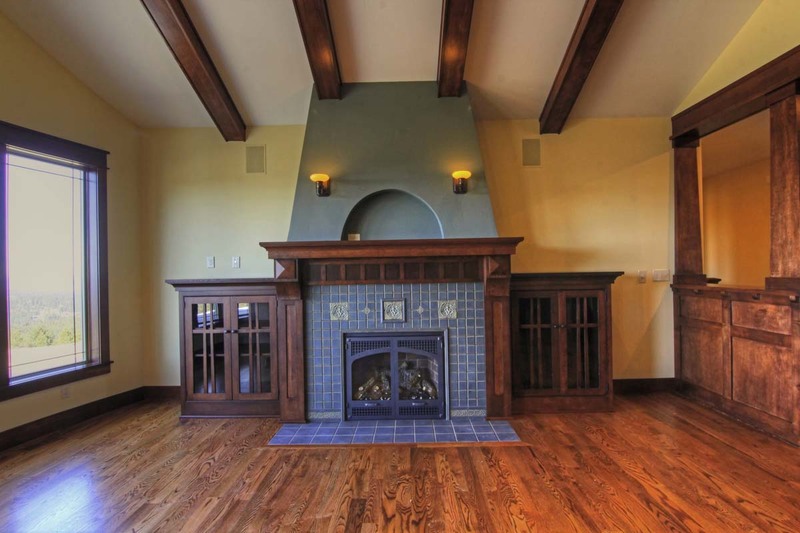 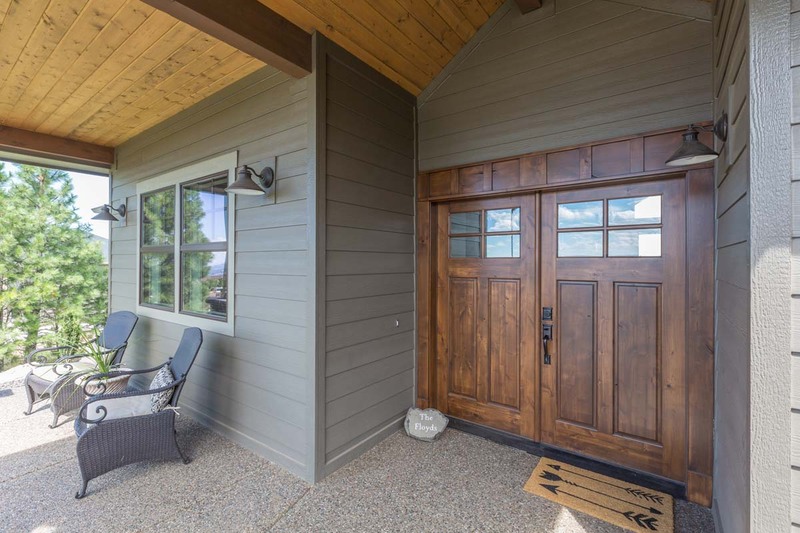 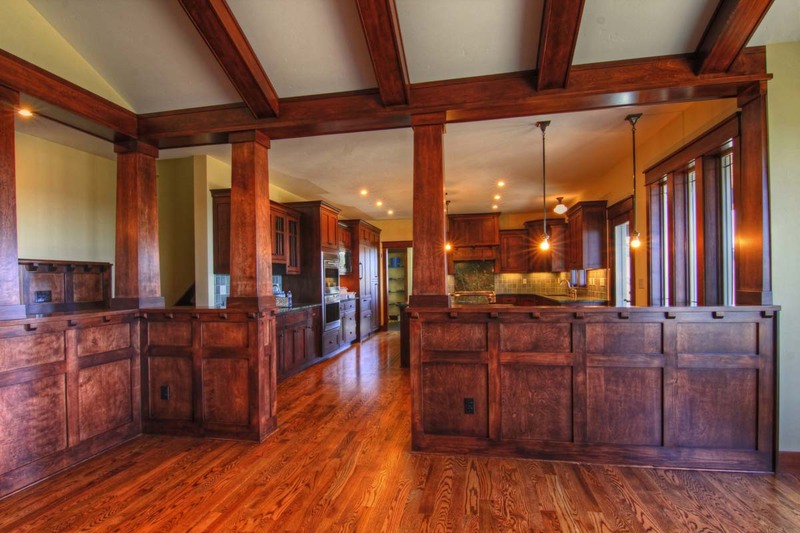 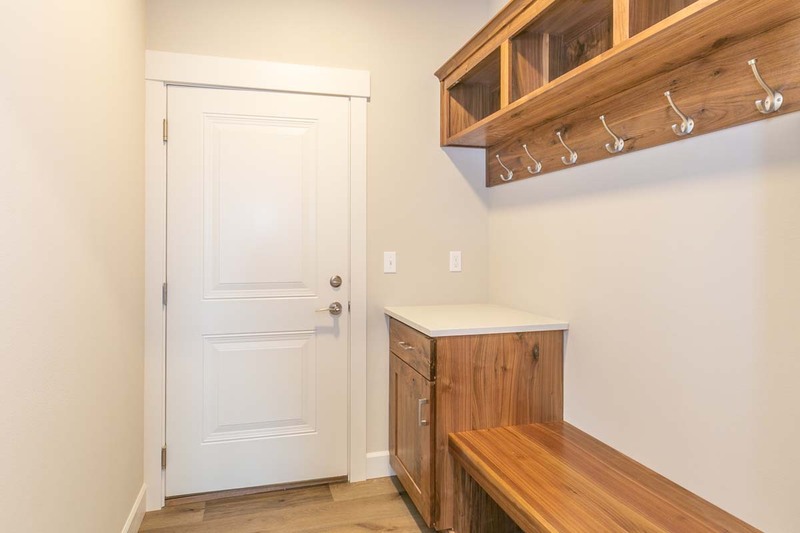 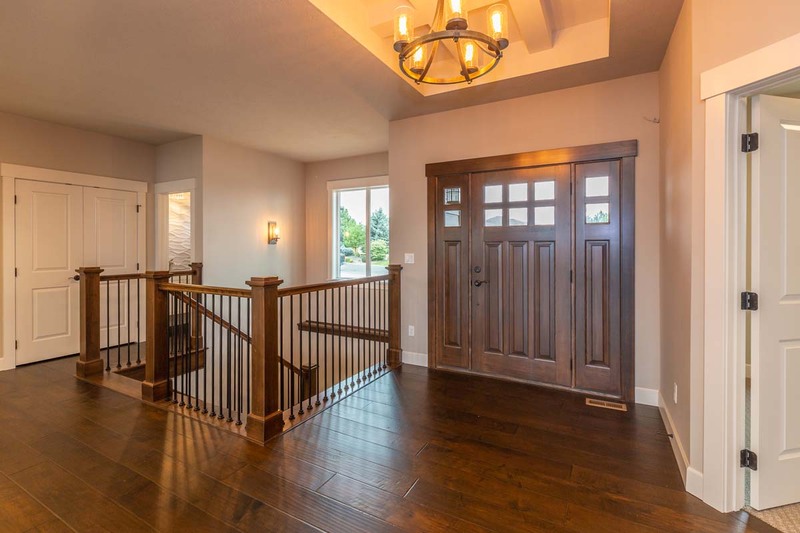 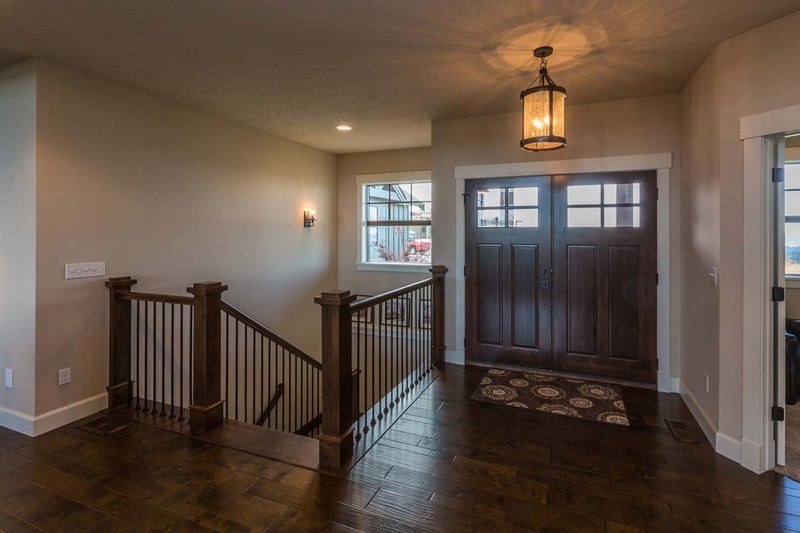 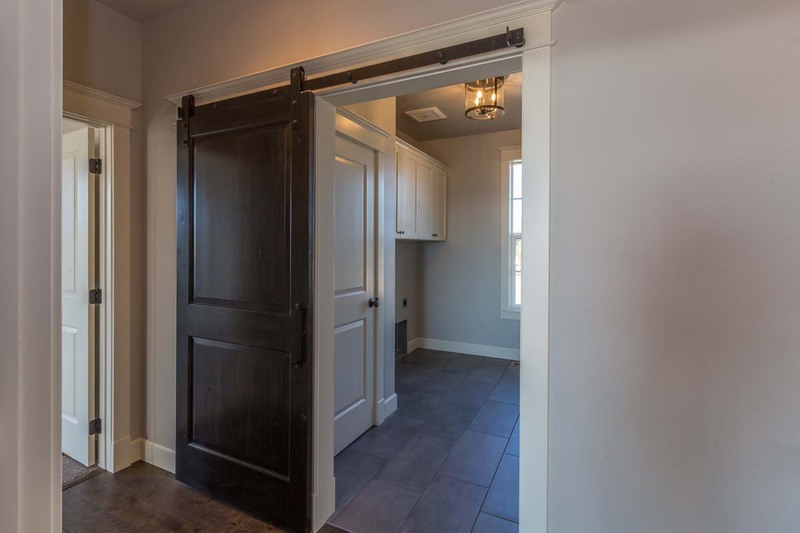 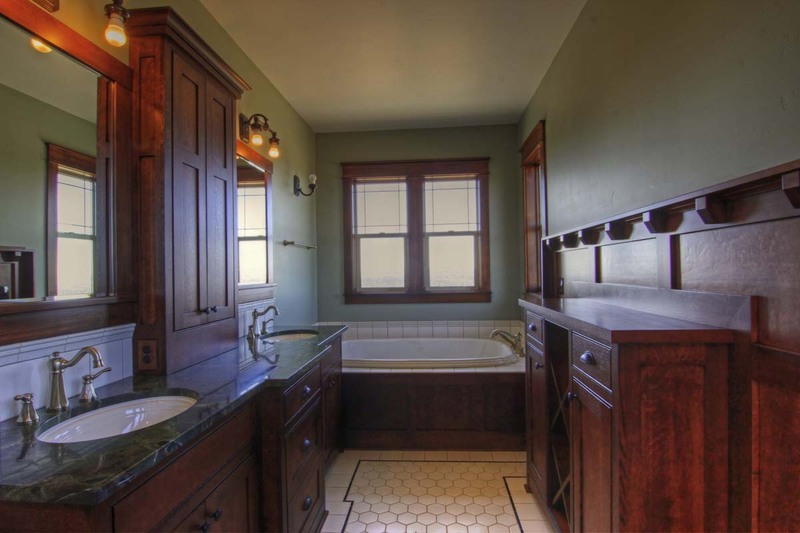 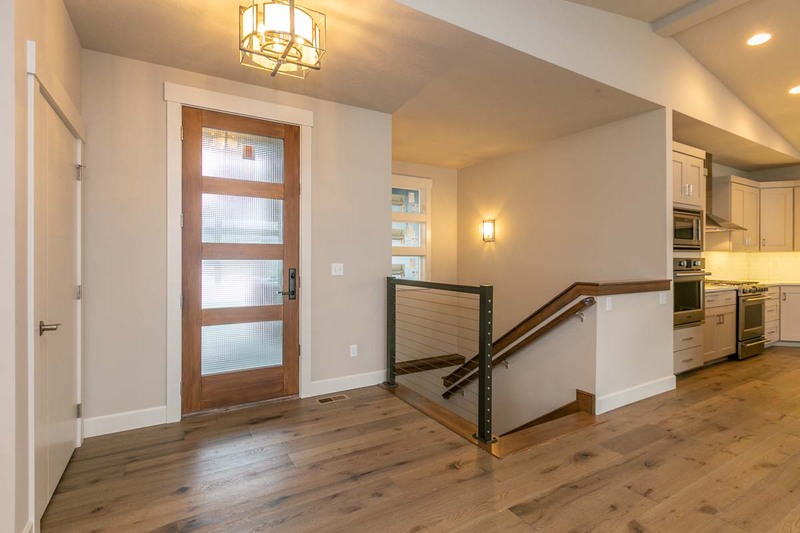 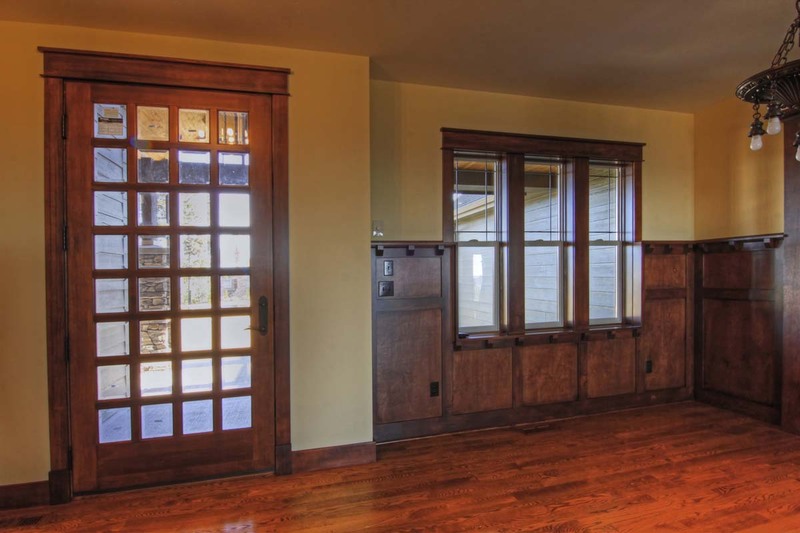 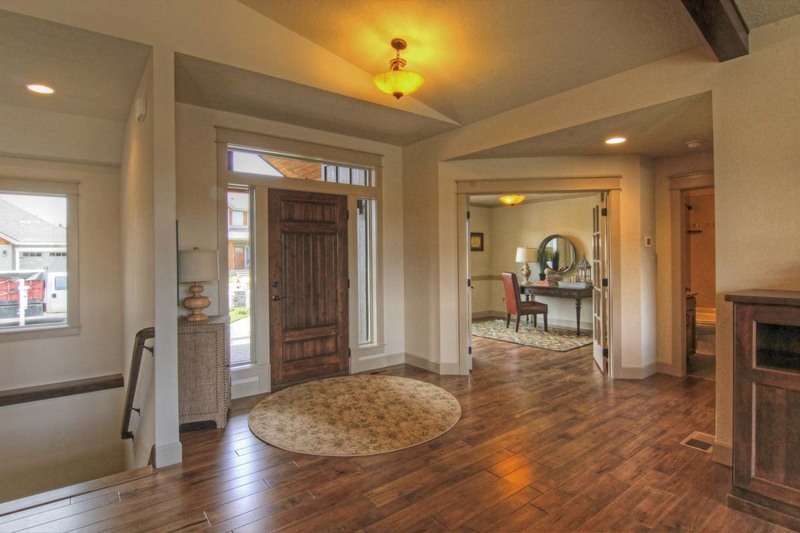 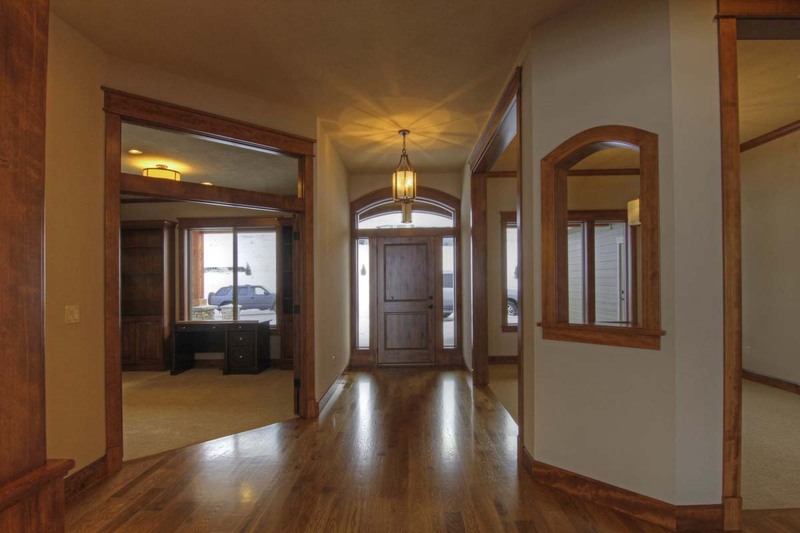 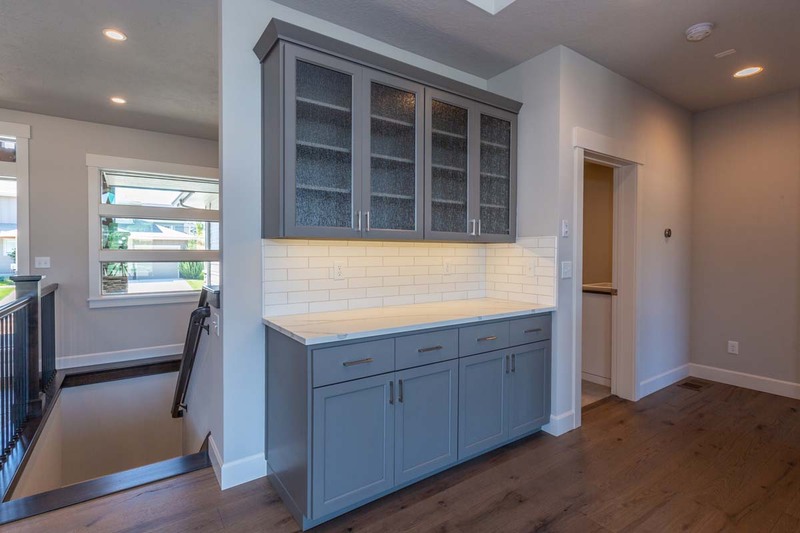 Great craftsman touches in this one level custom! 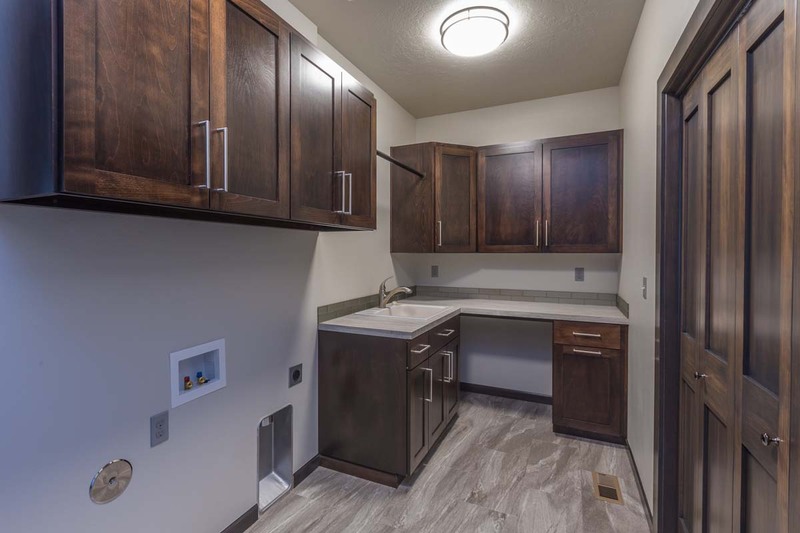 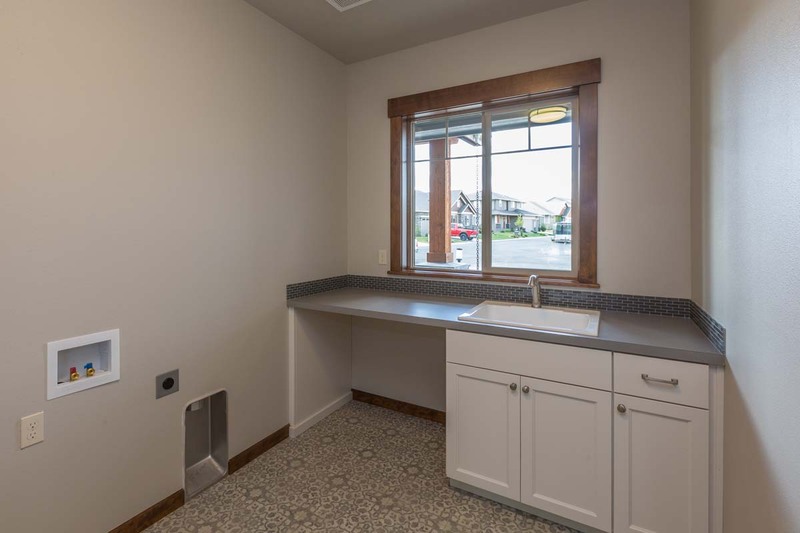 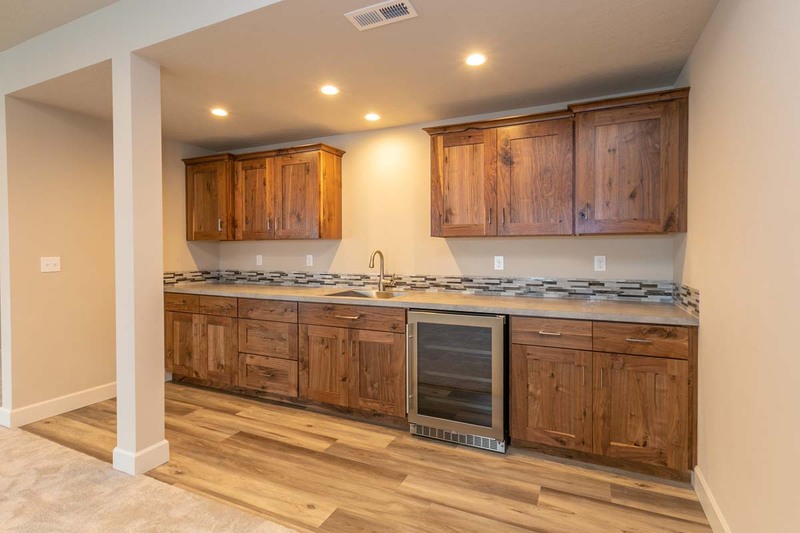 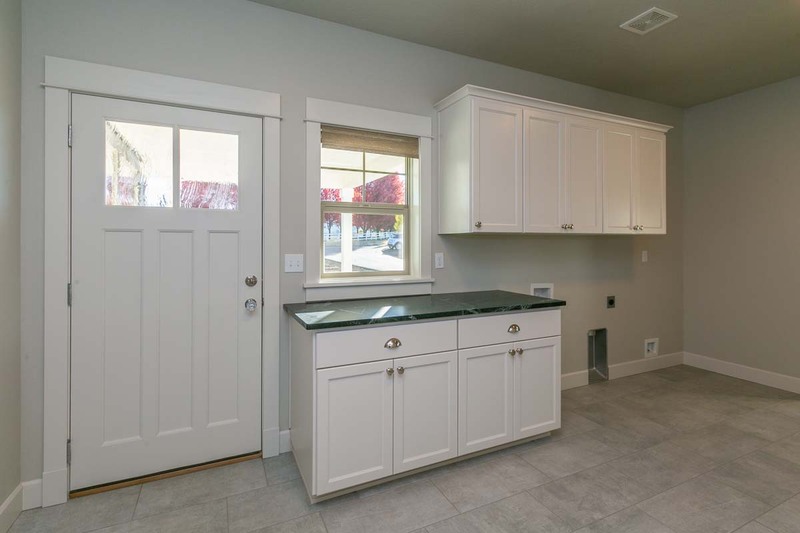 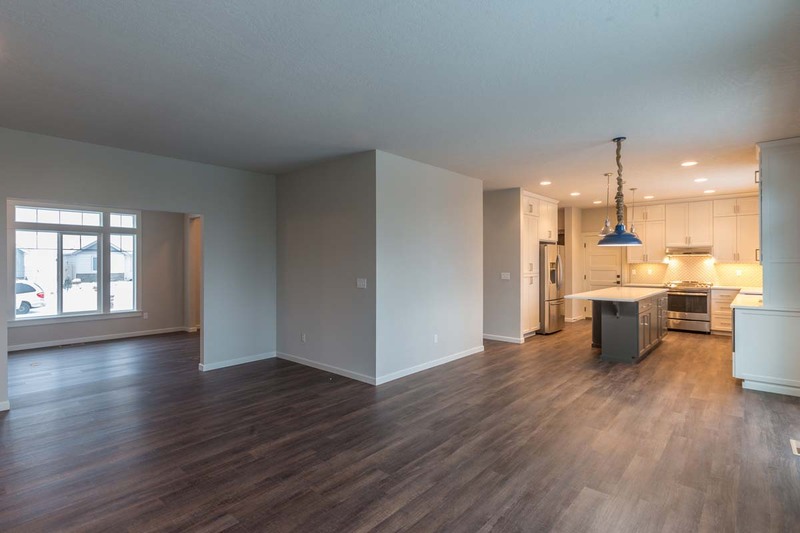 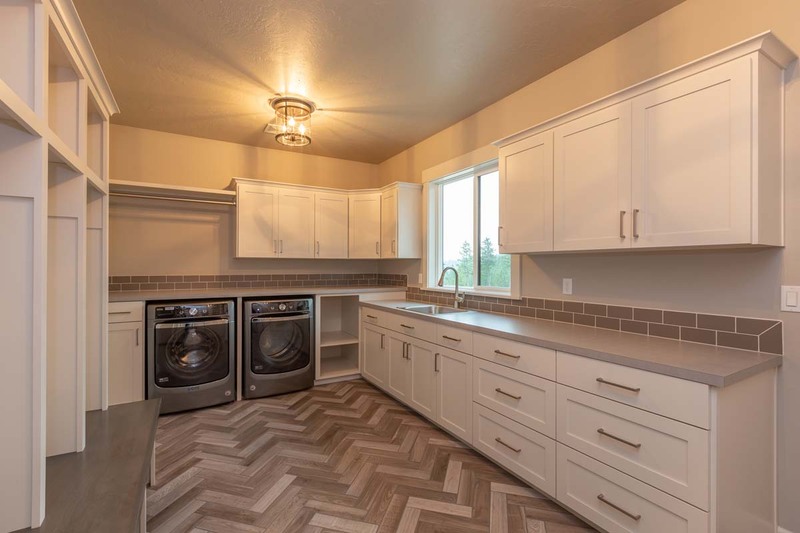 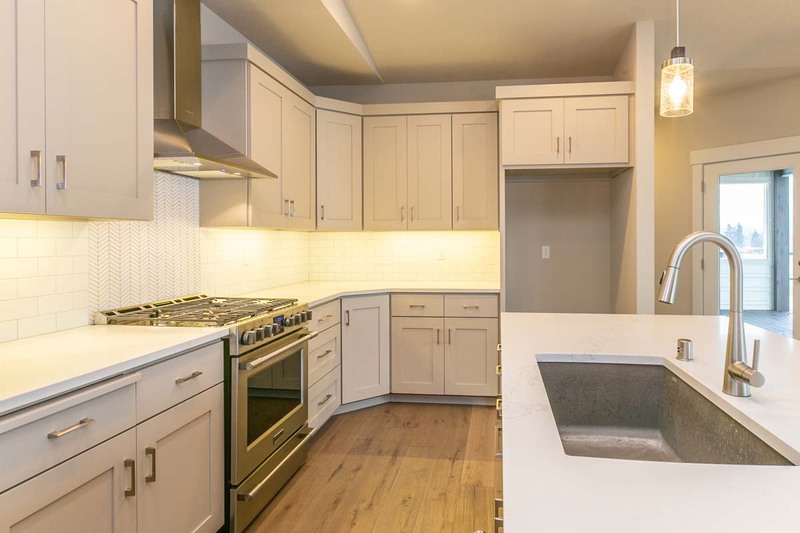 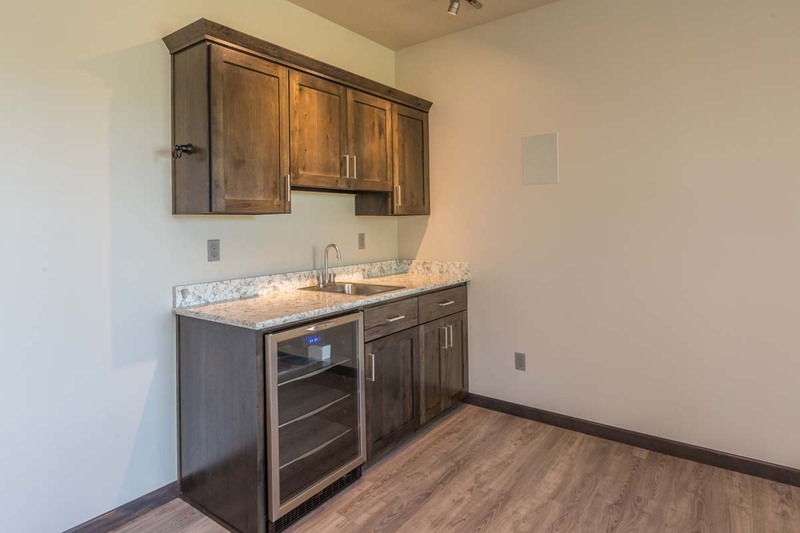 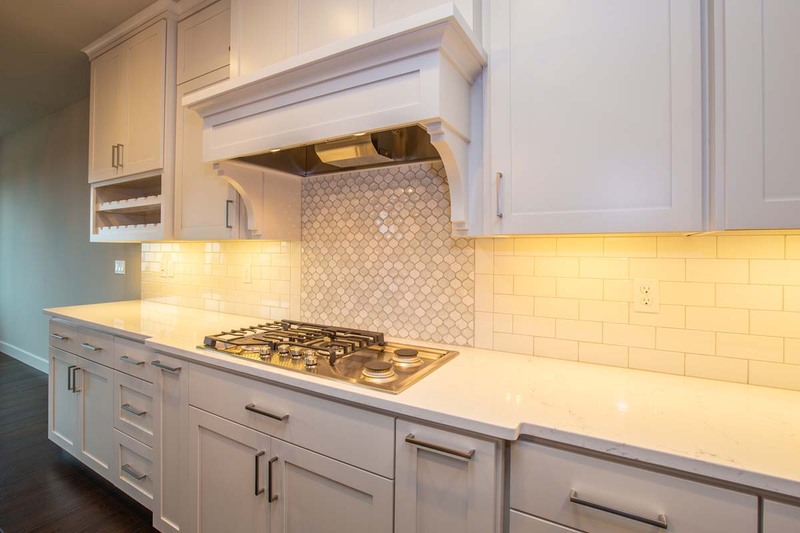 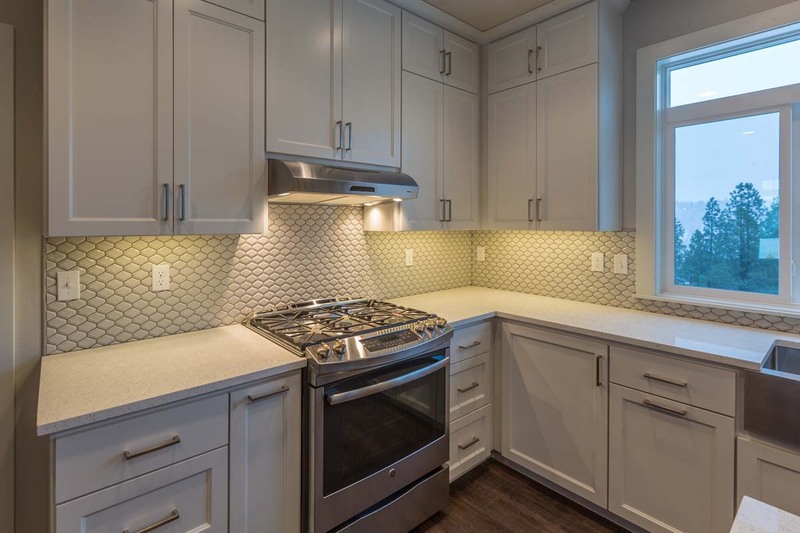 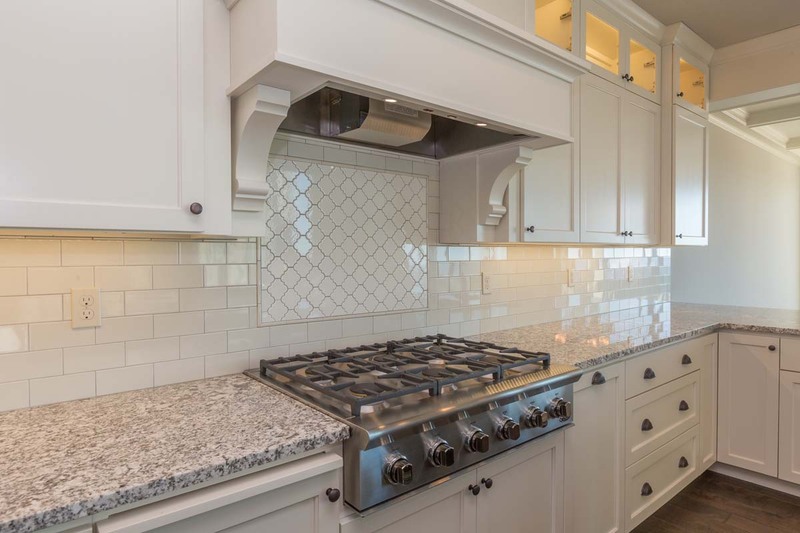 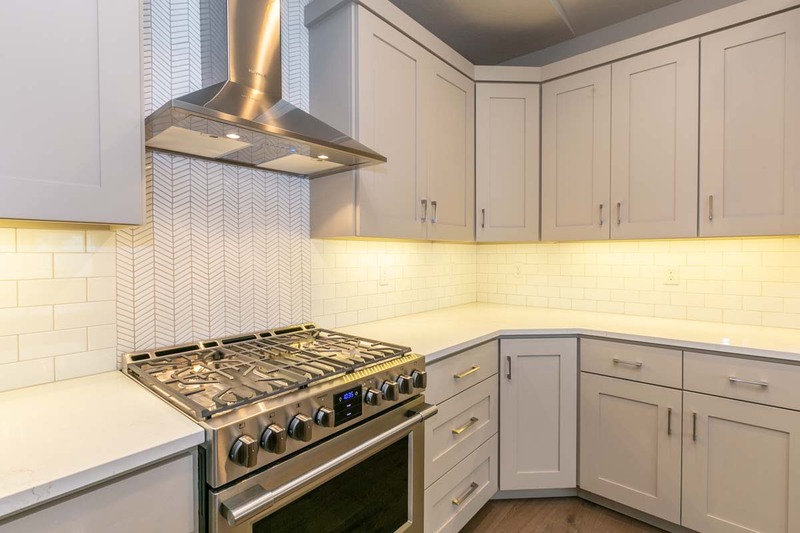 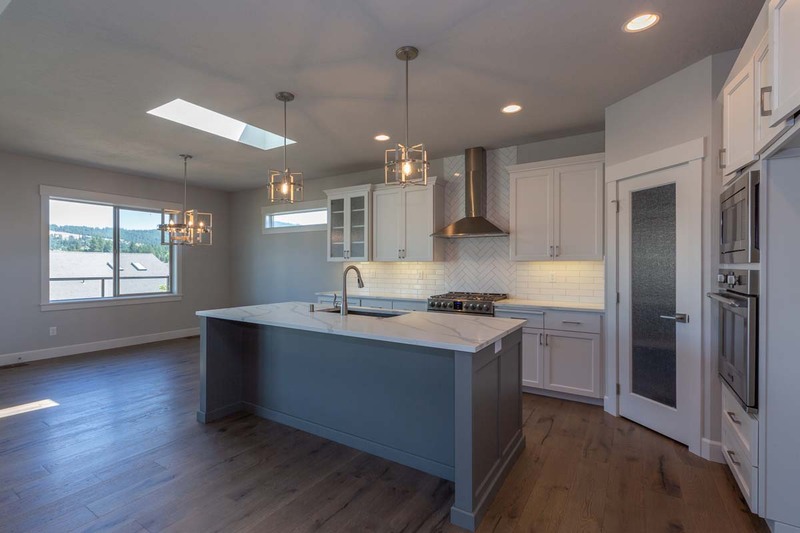 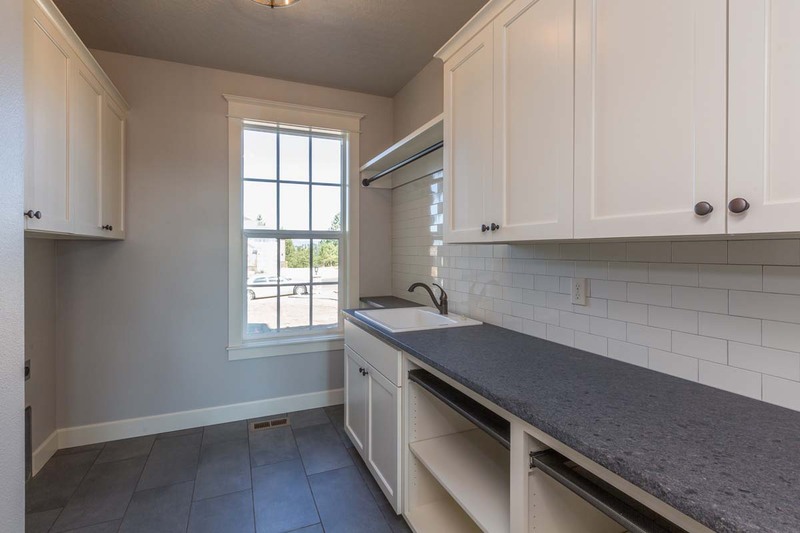 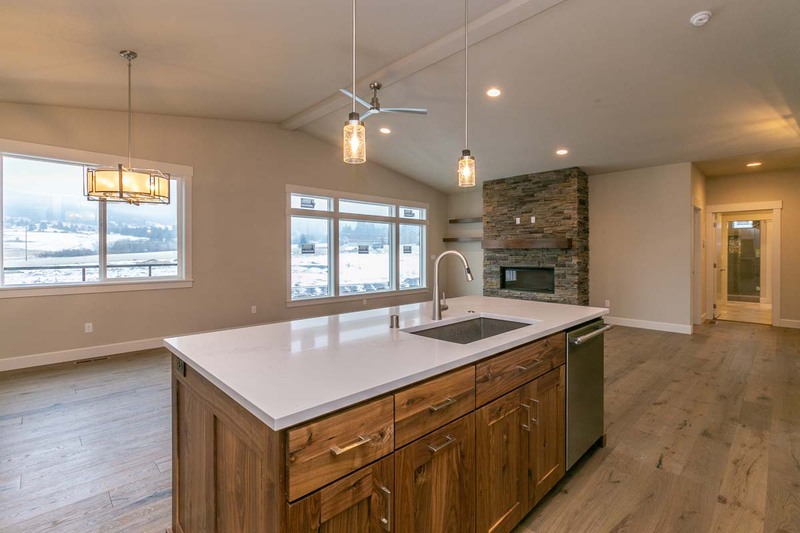 Finishes include a sliding office door, wood-looking tile walls, custom fireplace cabinetry, and a decorative curved wood hood in the Kitchen! 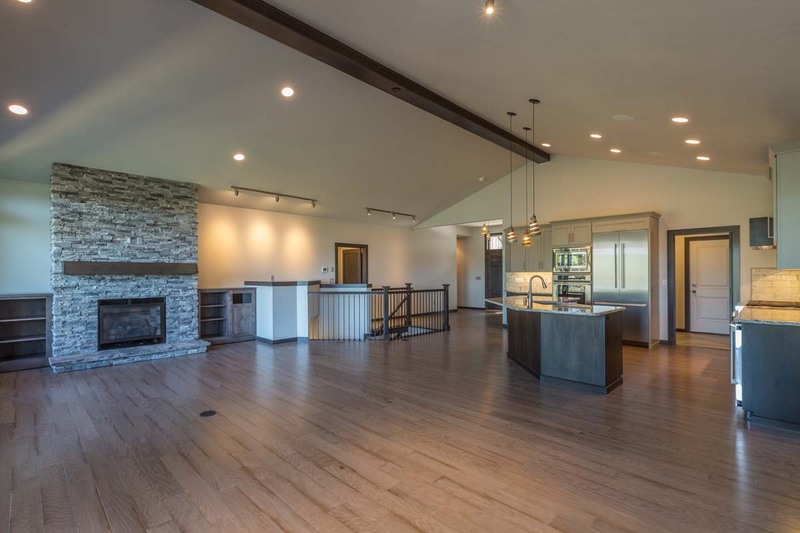 Recently completed custom home, with a great contemporary style. 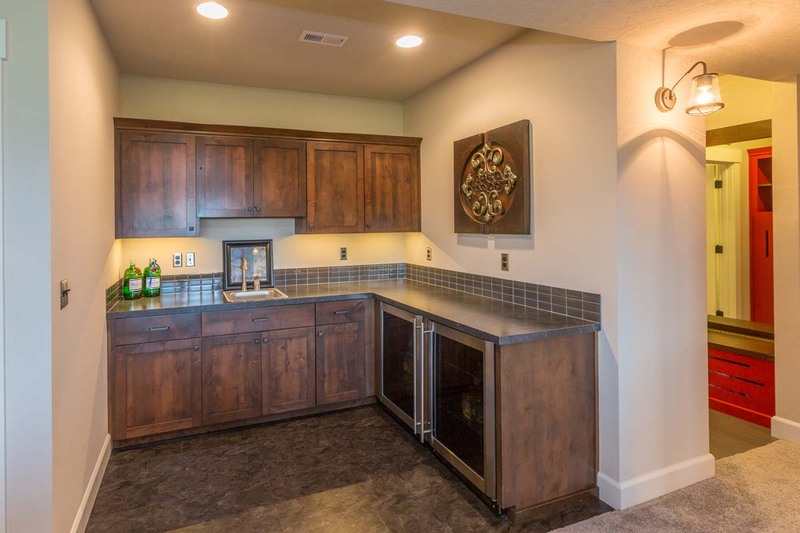 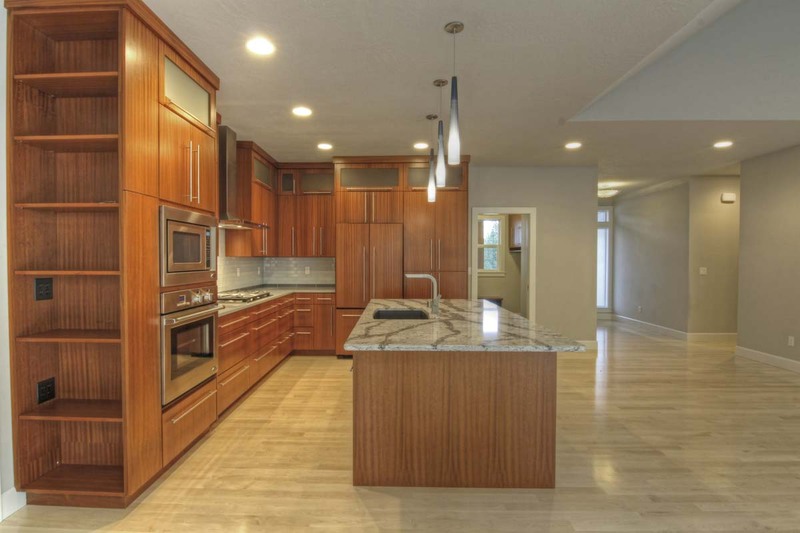 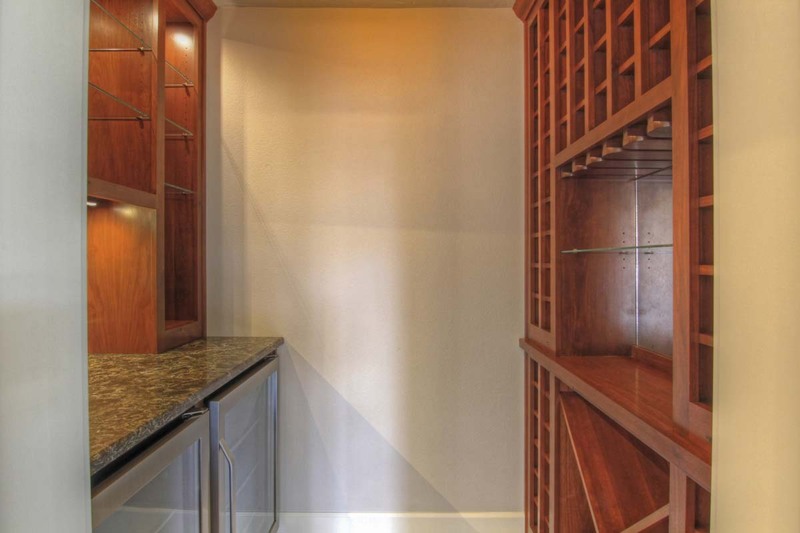 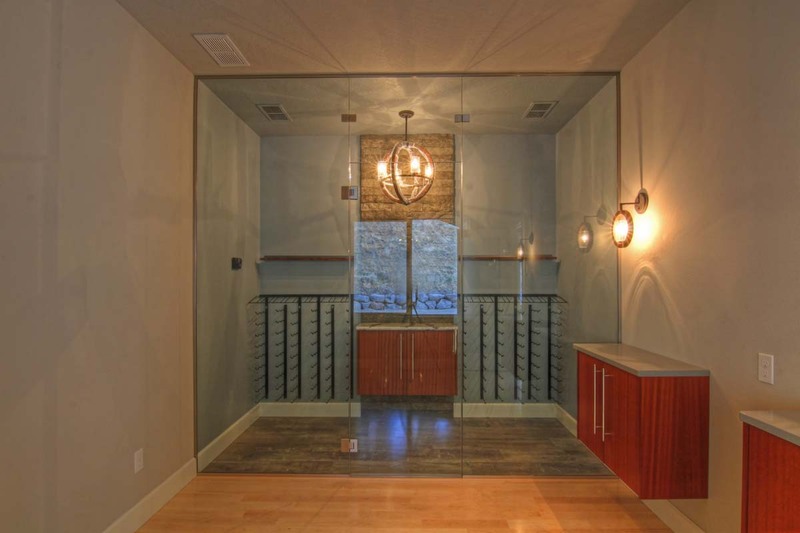 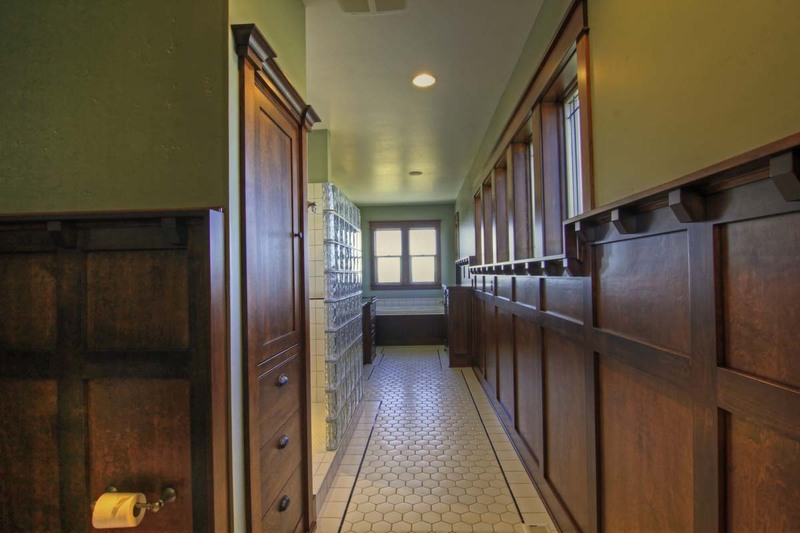 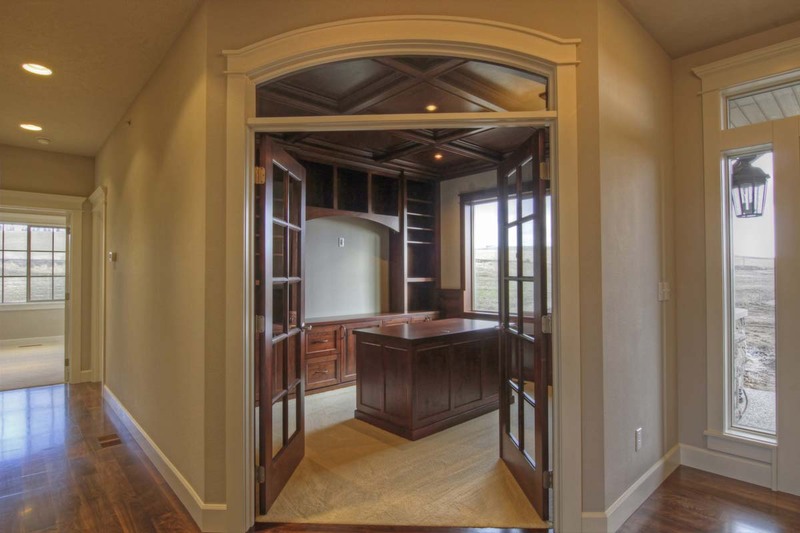 This home features exotic ribbon Sapele cabinetry, floating cabinets, full wall tiles, and an impressive wine room! 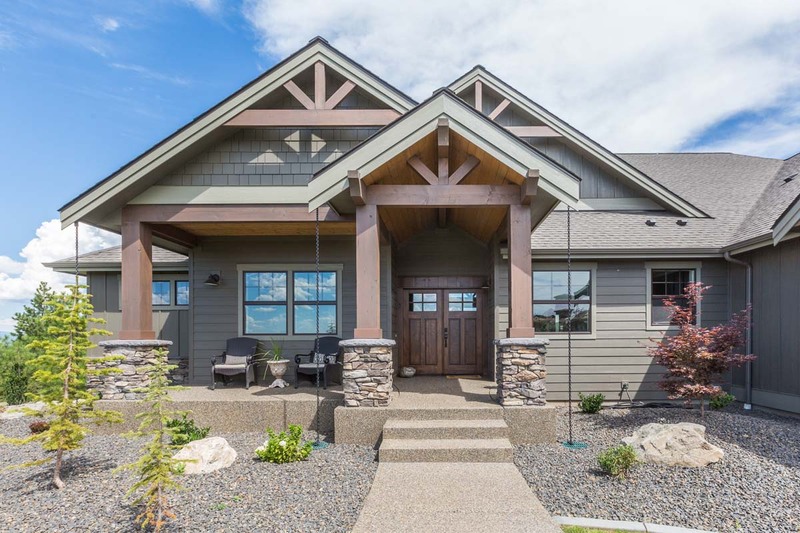 Stunning custom Craftsman on owners’ land! 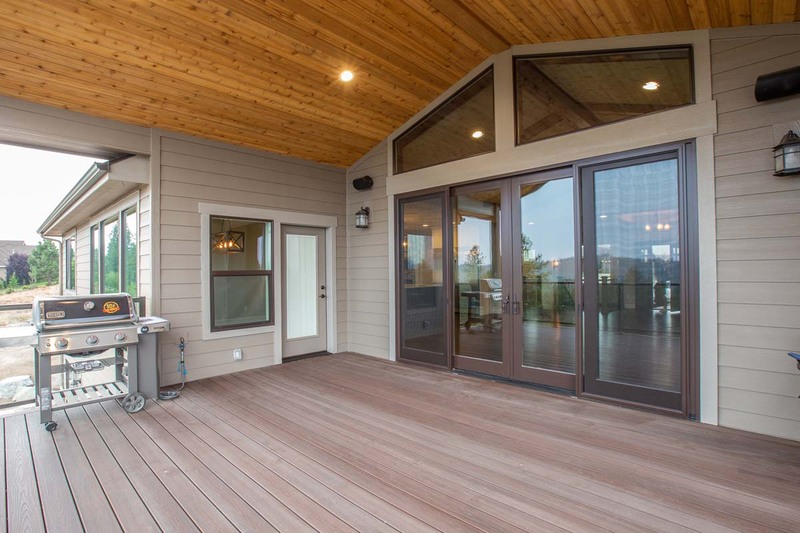 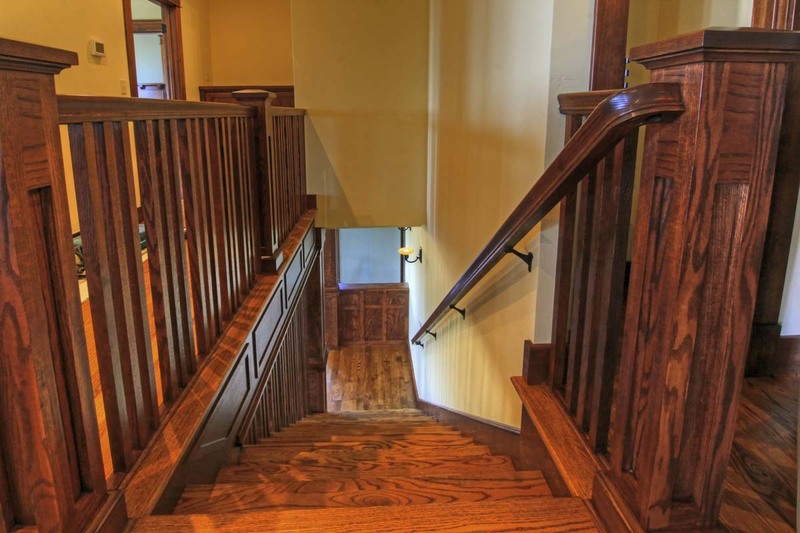 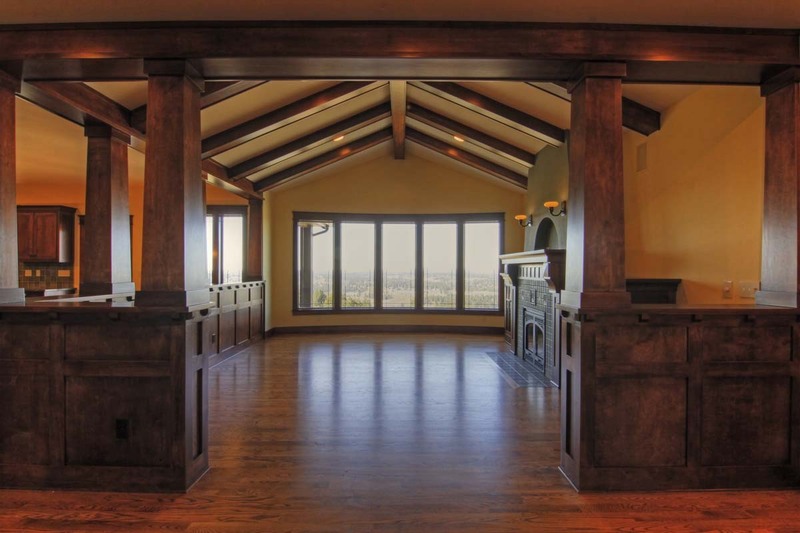 Amazing wood work and detail from top to bottom in this one-of-a-kind home! 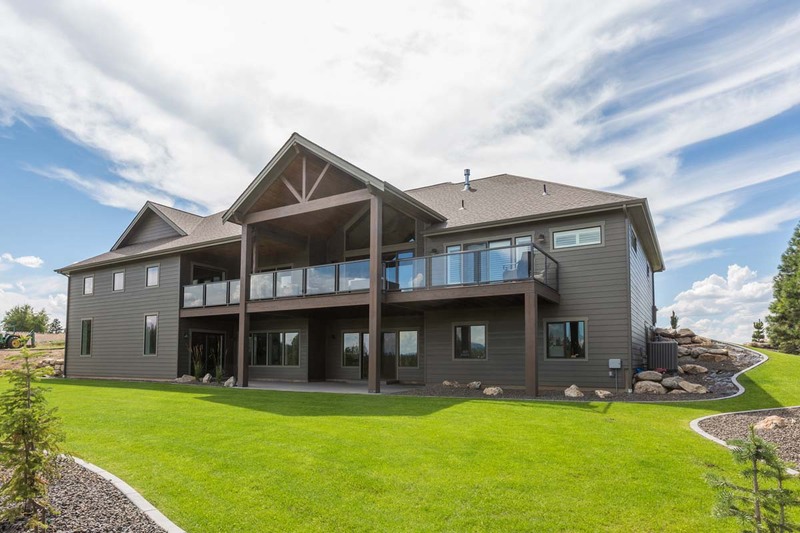 A fresh modern Prairie look on the exterior of the home, combined w/ a semi-contemporary interior design! 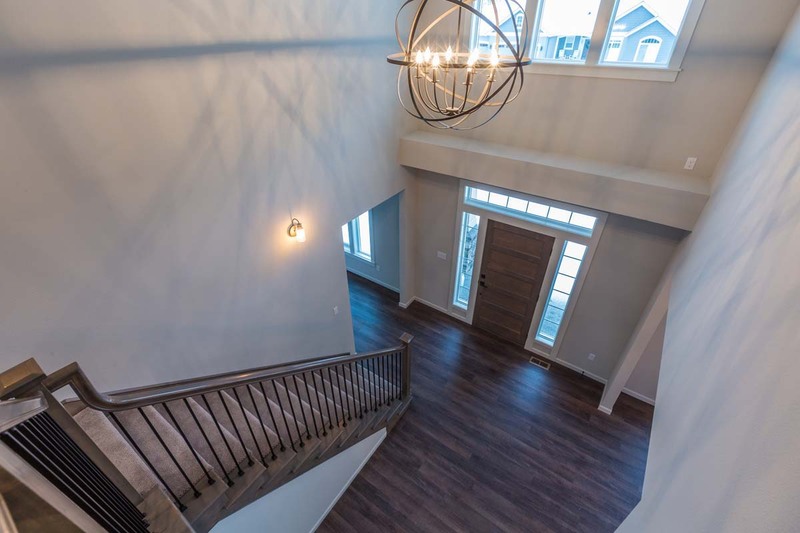 We are currently incorporating some new modern designs into some of our popular floor plans! 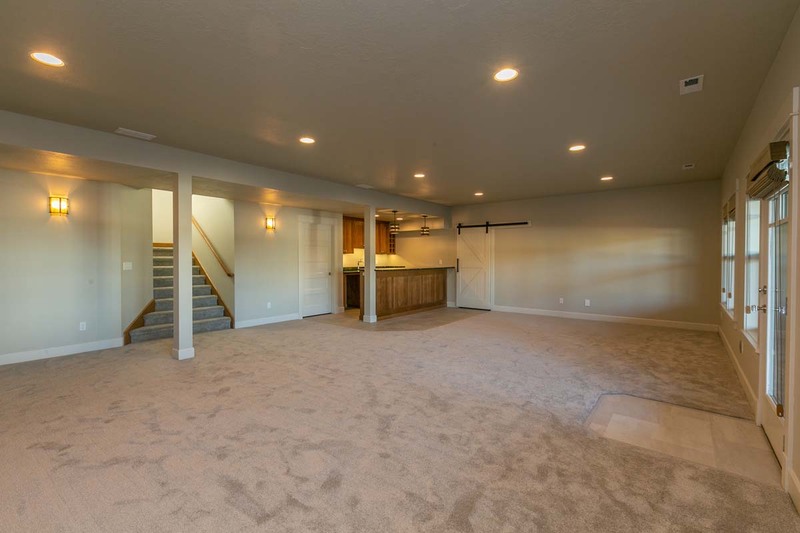 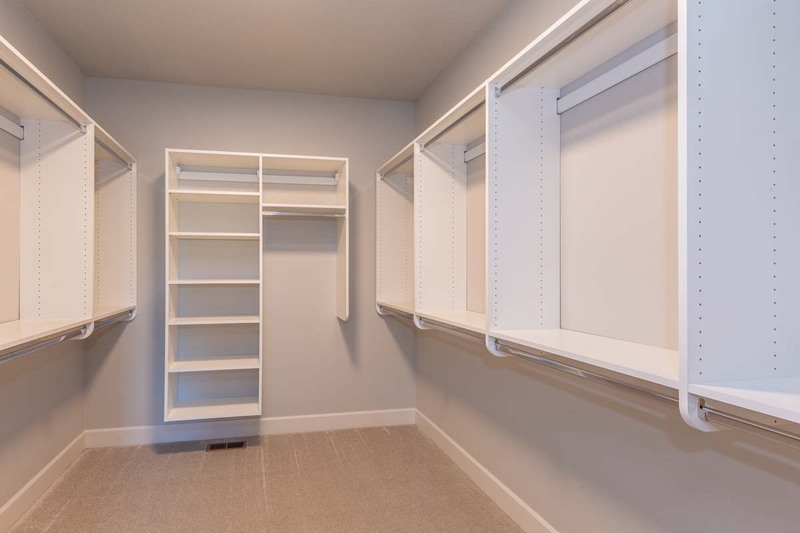 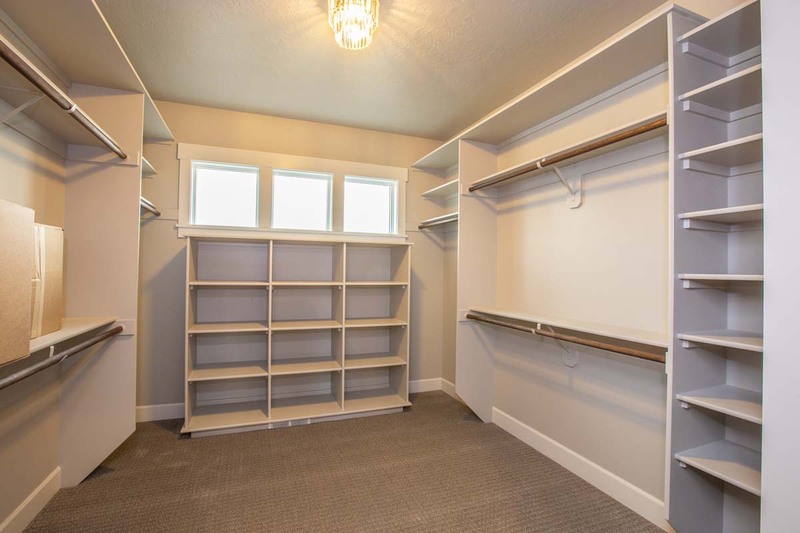 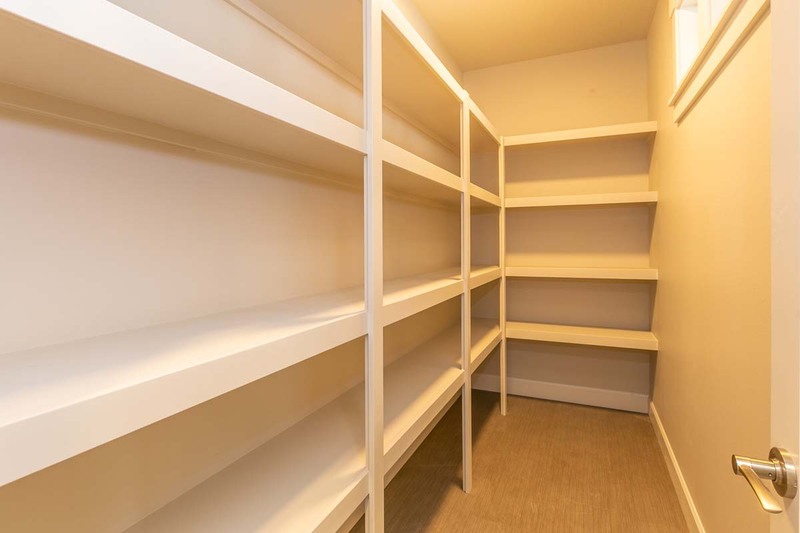 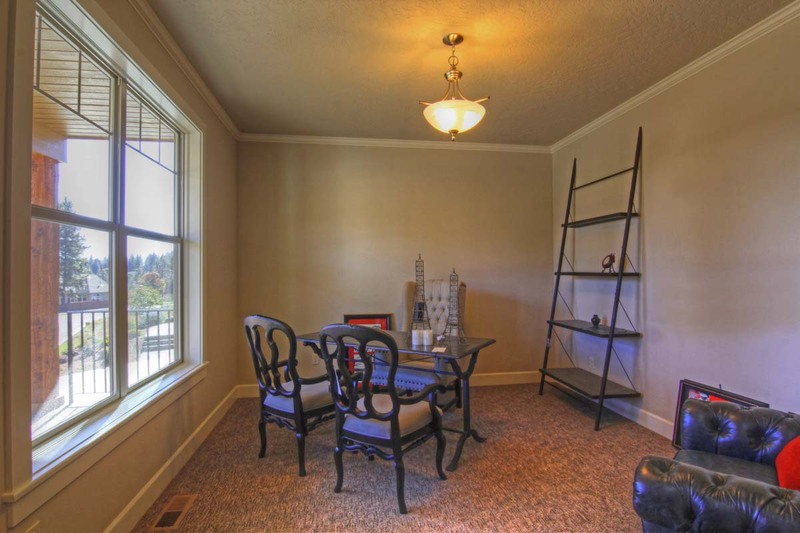 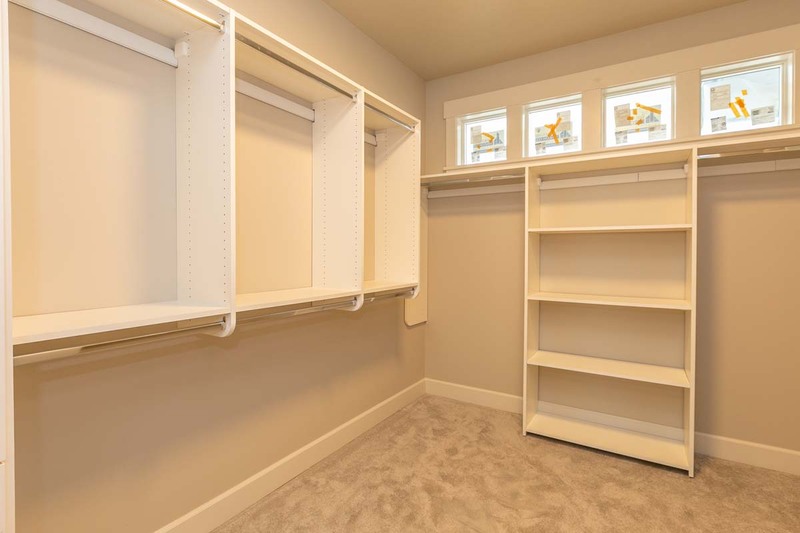 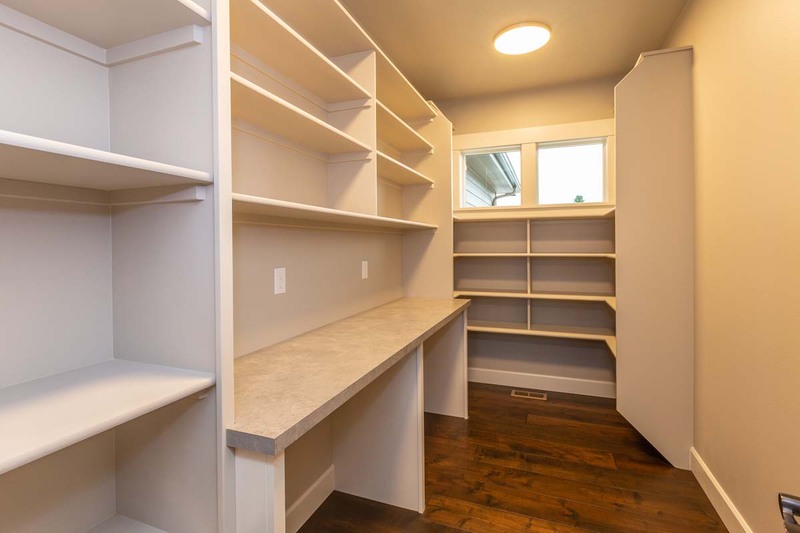 The Rainier basement rancher is a popular Paras plan! 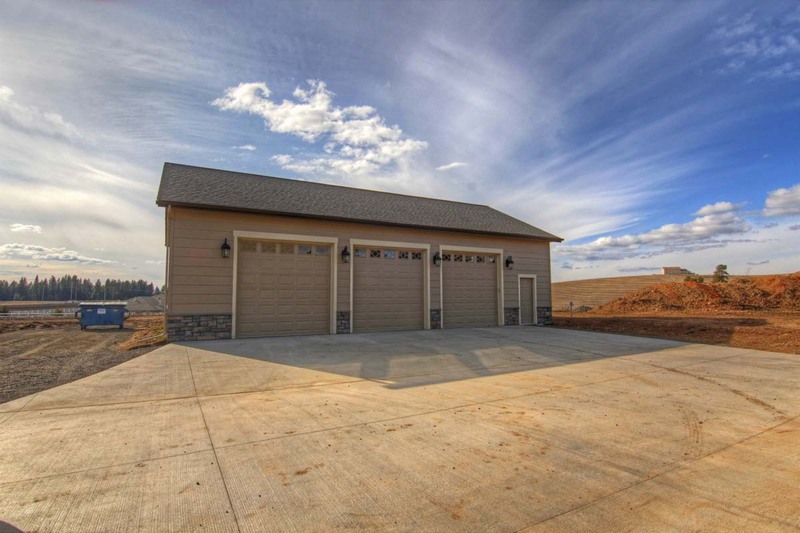 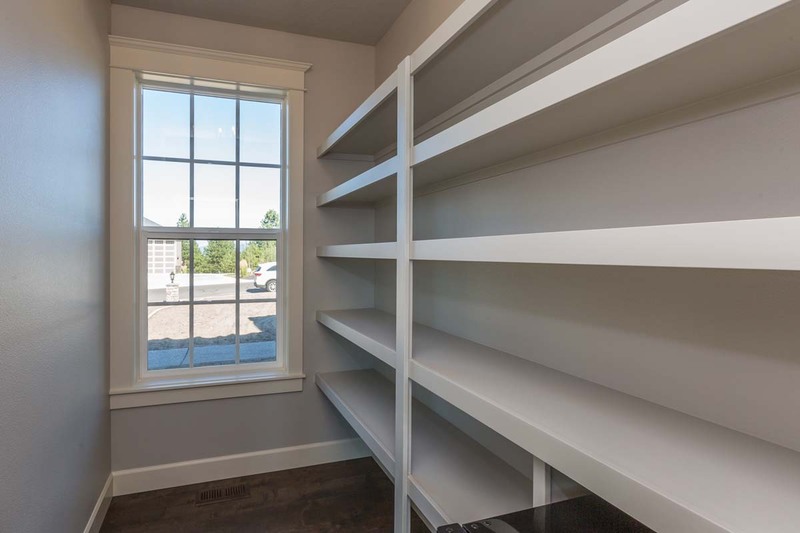 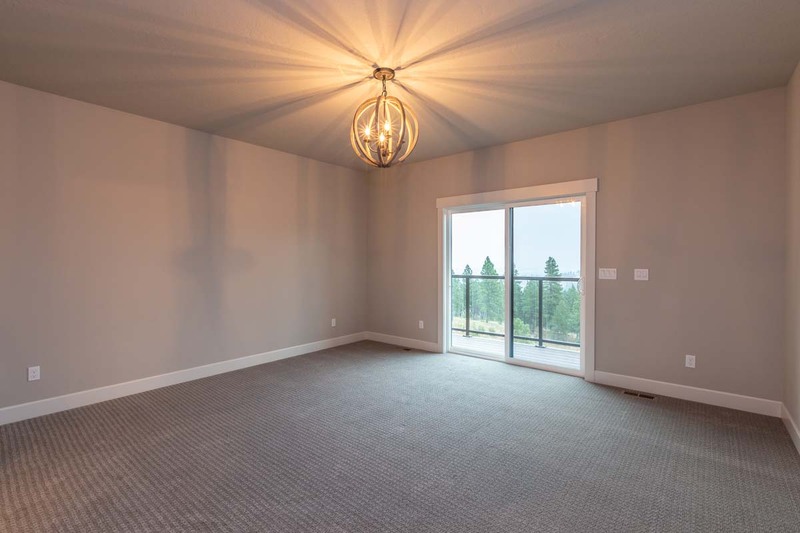 The plan has many great features, including a very open main floor feel, spacious master suite, oversized garage, and covered rear deck. 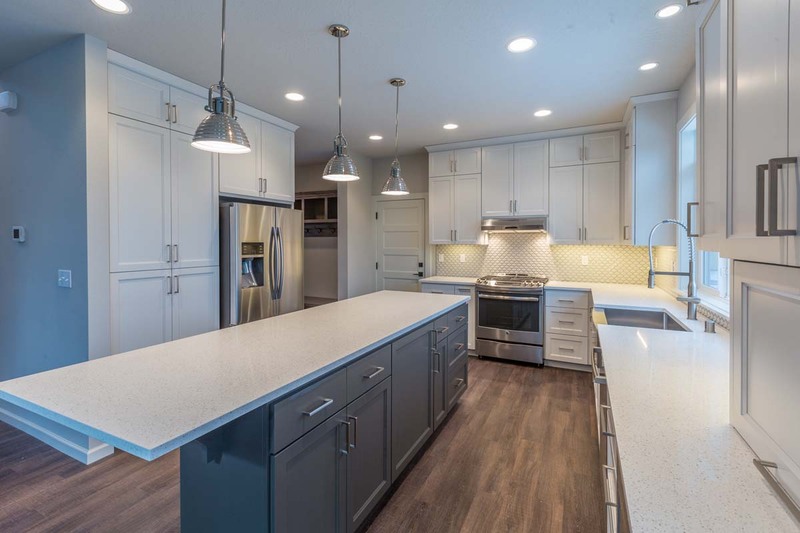 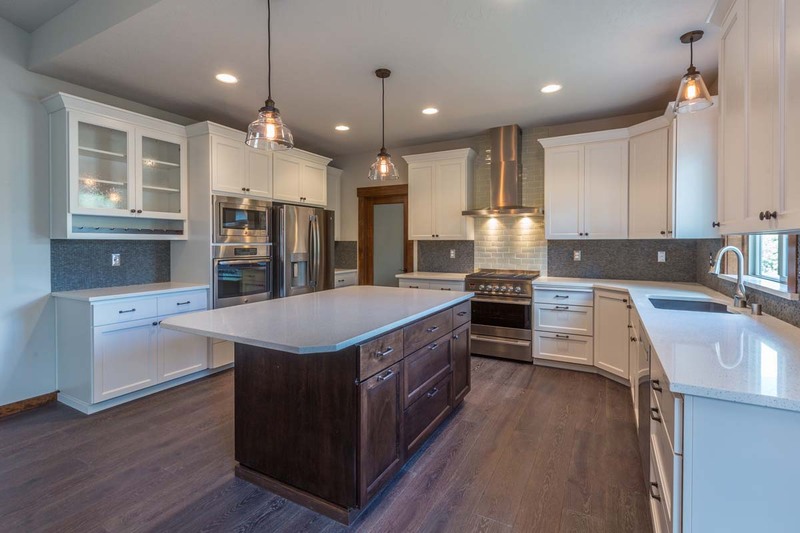 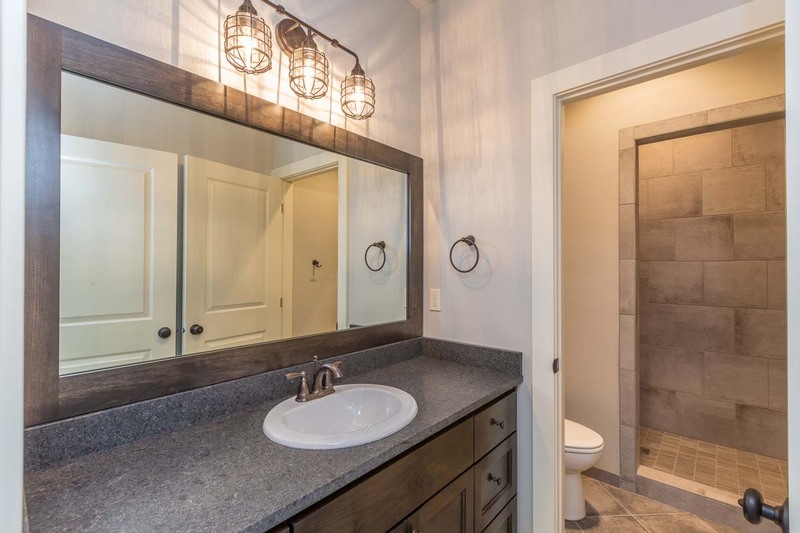 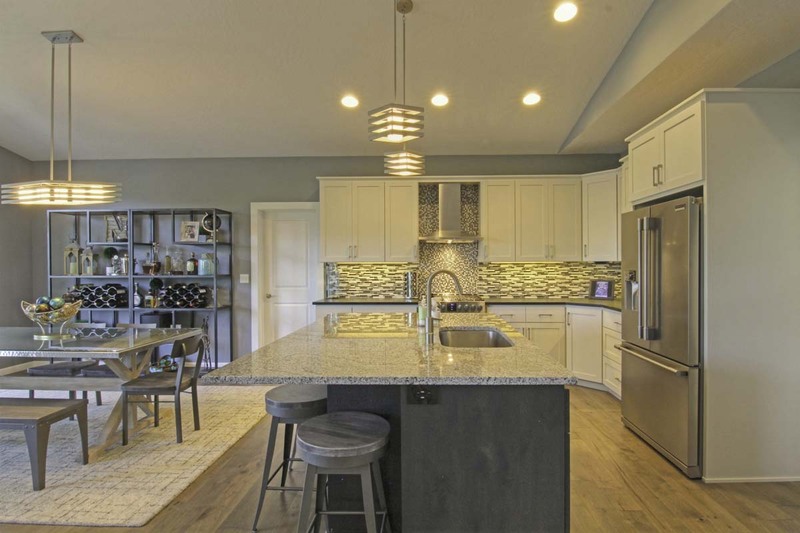 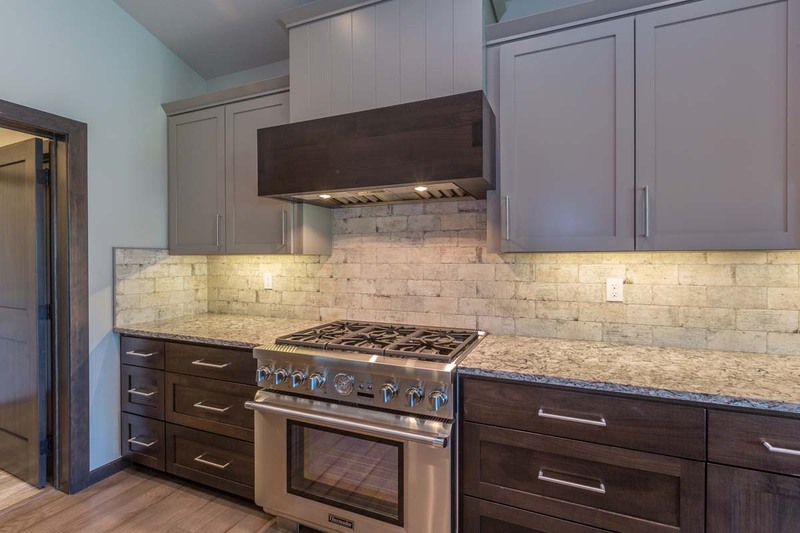 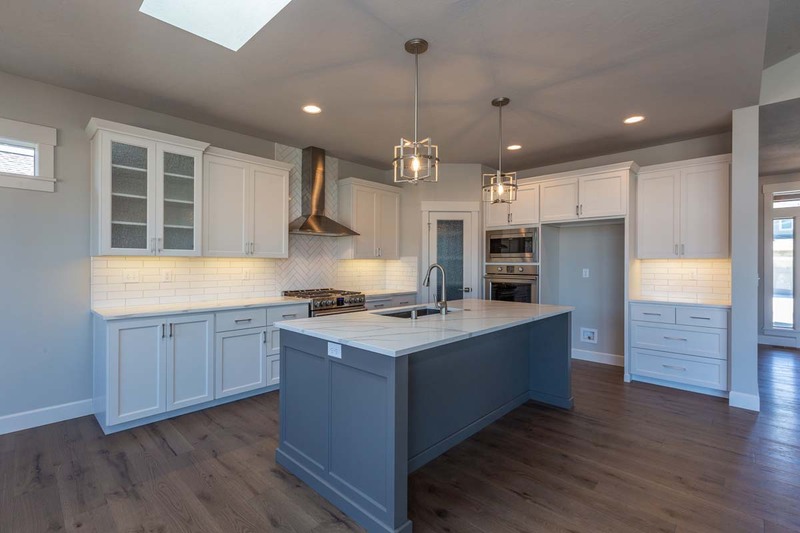 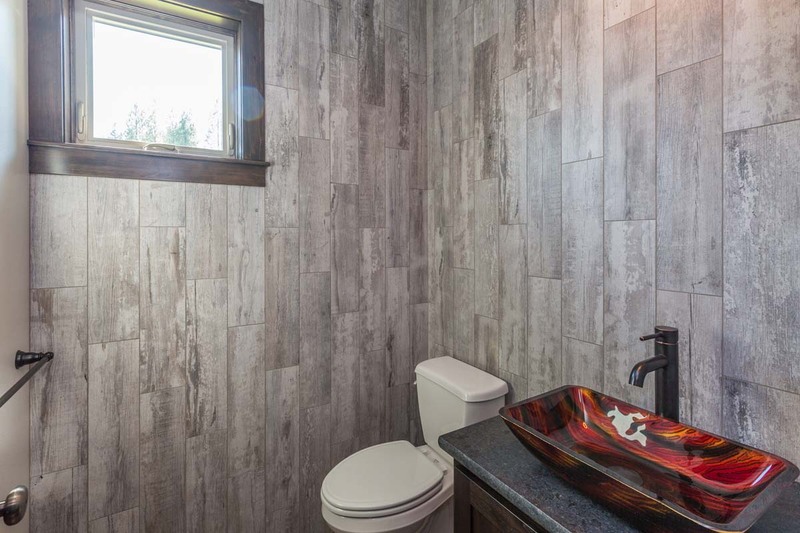 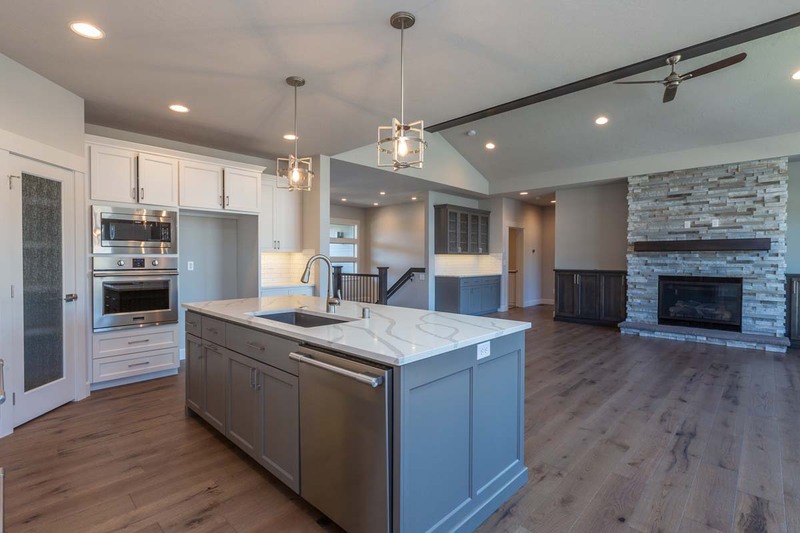 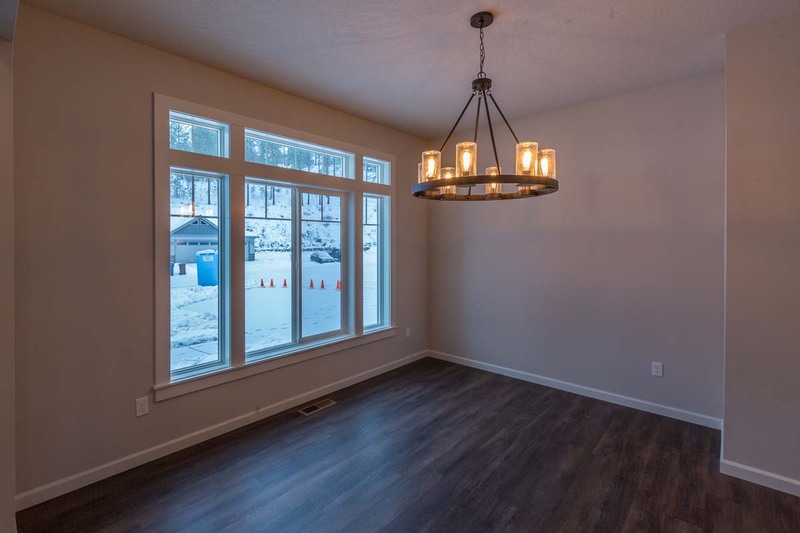 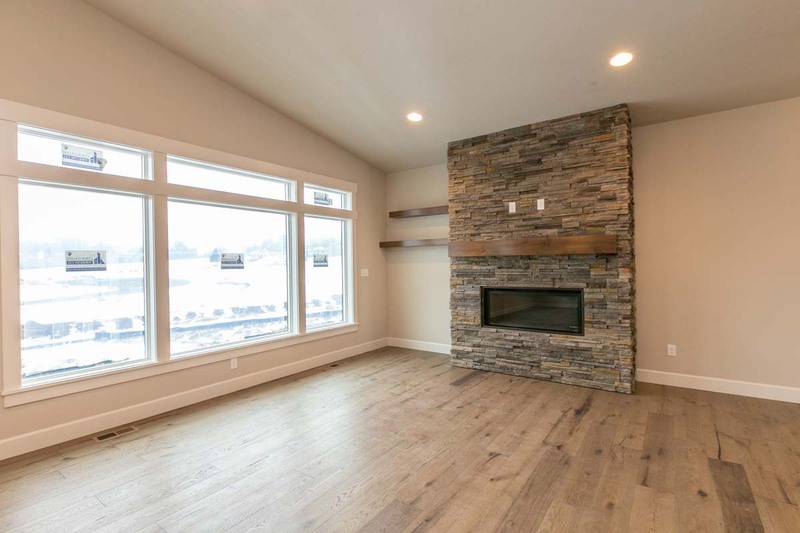 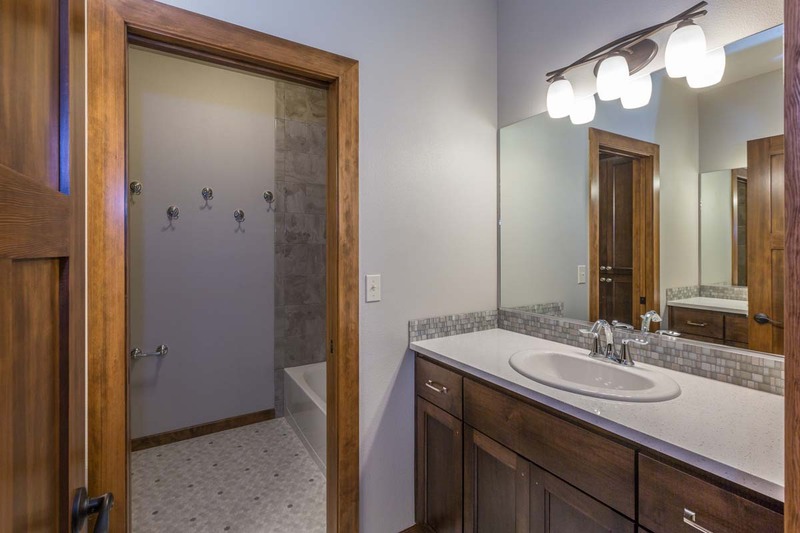 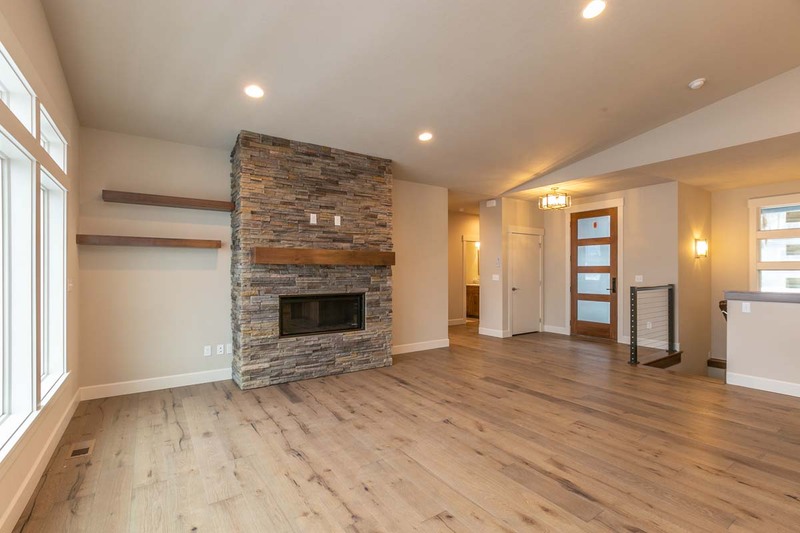 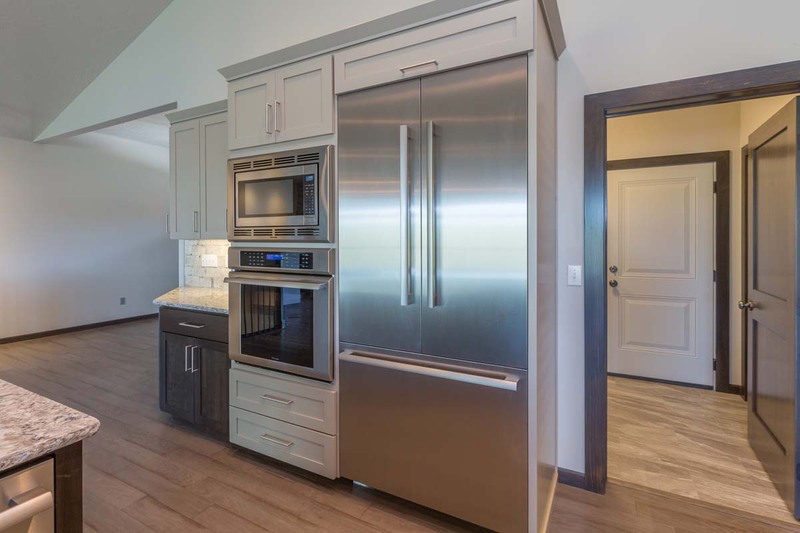 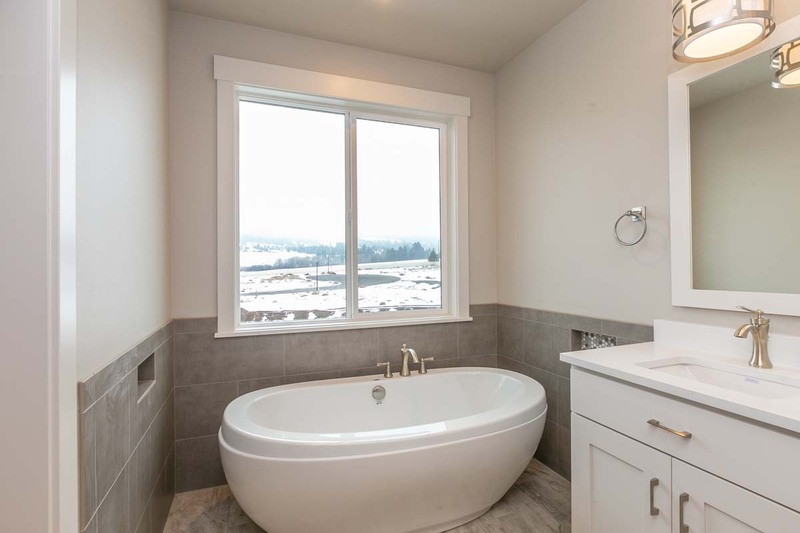 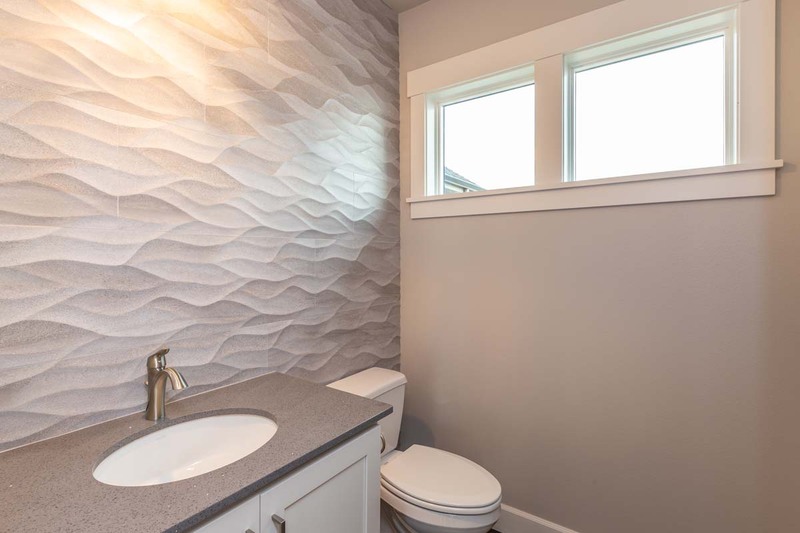 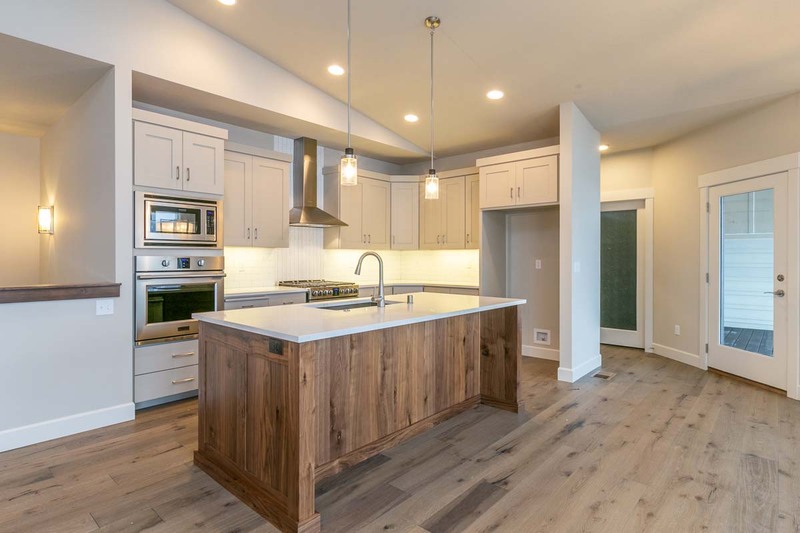 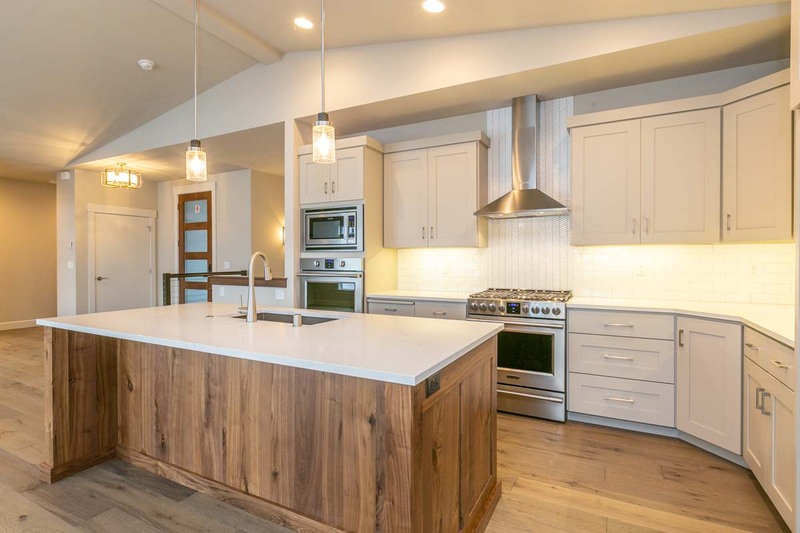 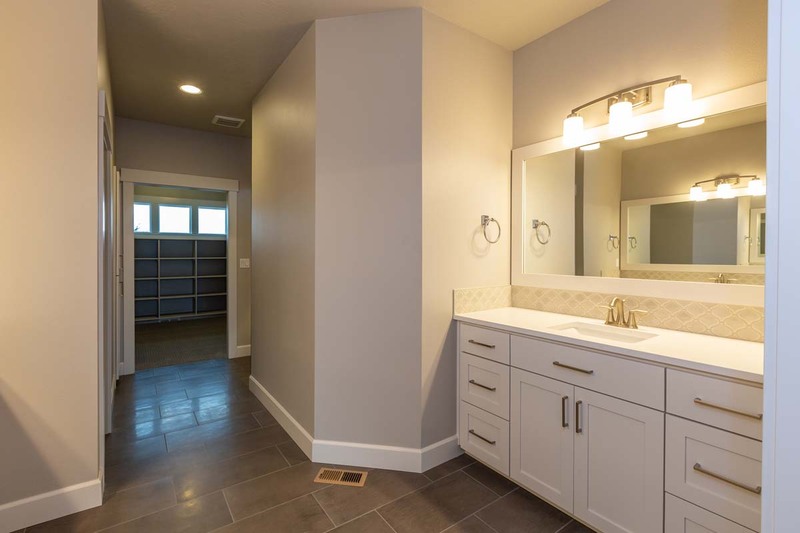 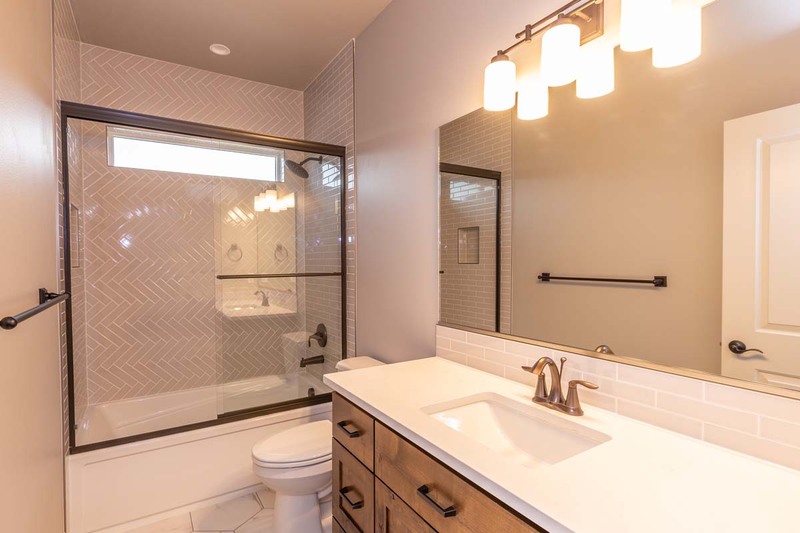 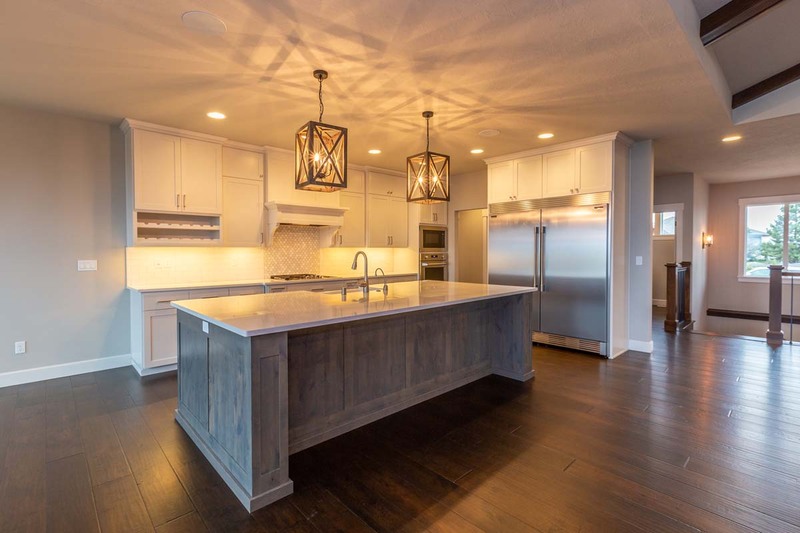 This particular home had many upgrades throughout, including a custom Kitchen, high-end wood work details, basement fireplace and wet bar, and a rear yard fire pit, amongst other extras! 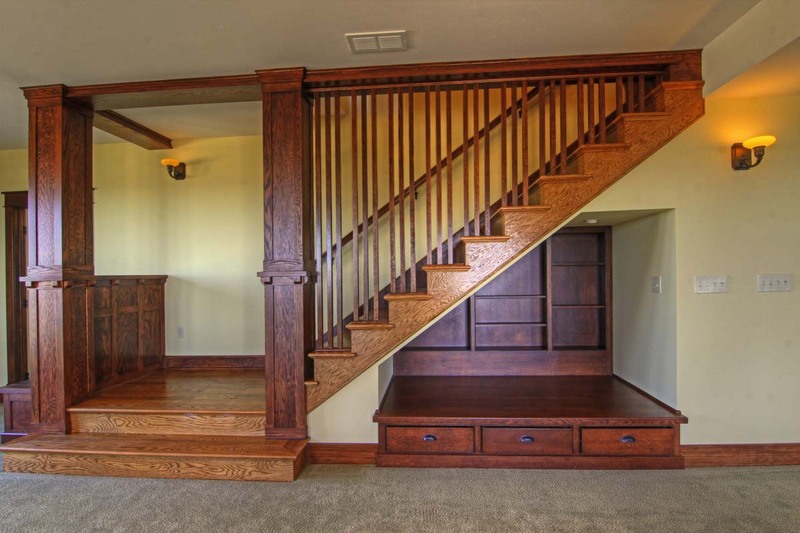 Amazing traditional two story custom build! 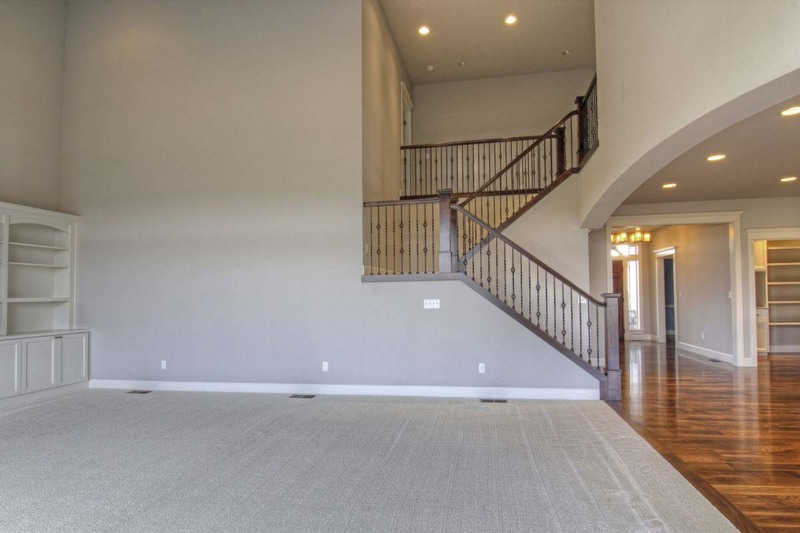 This home has incredible finishes throughout, including a dramatic two-story height Great Room and a garage/basketball court combo! 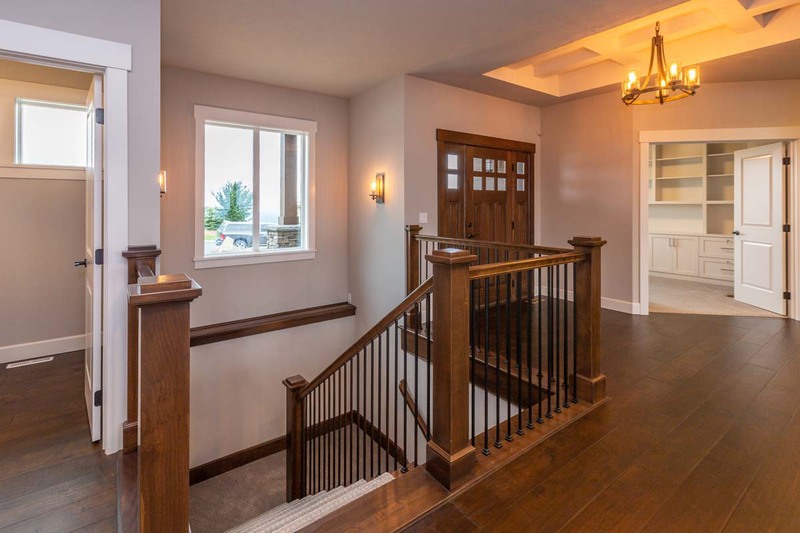 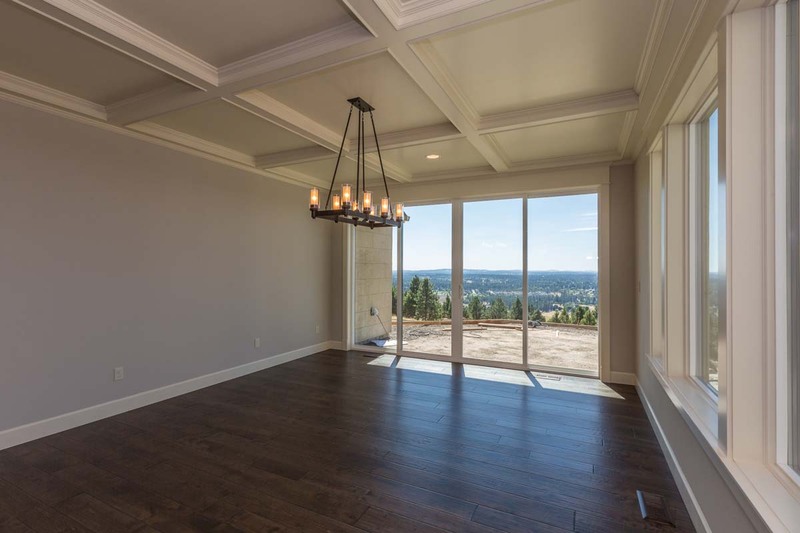 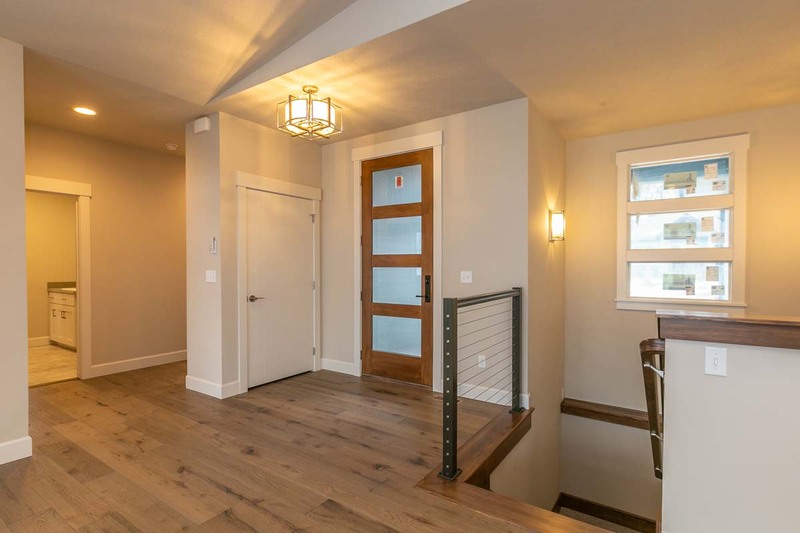 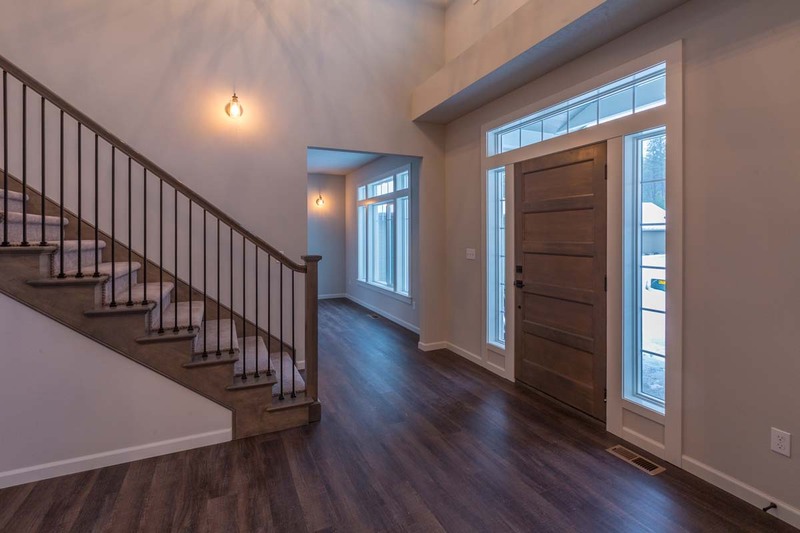 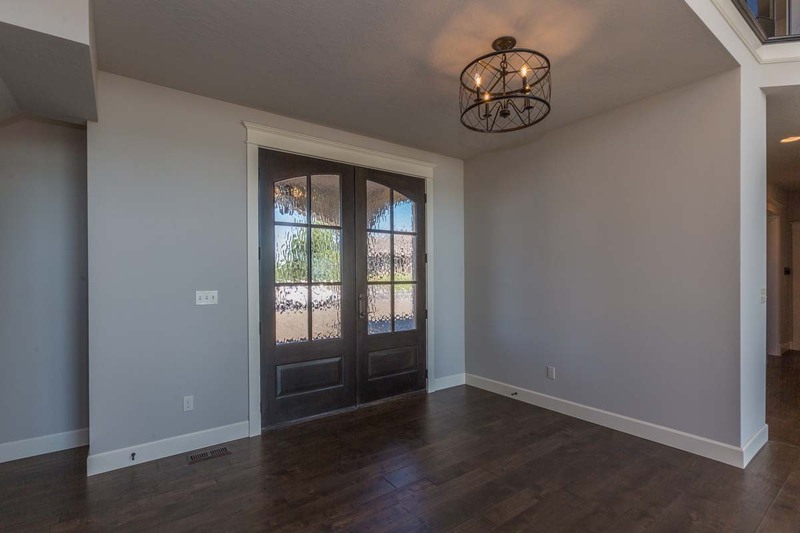 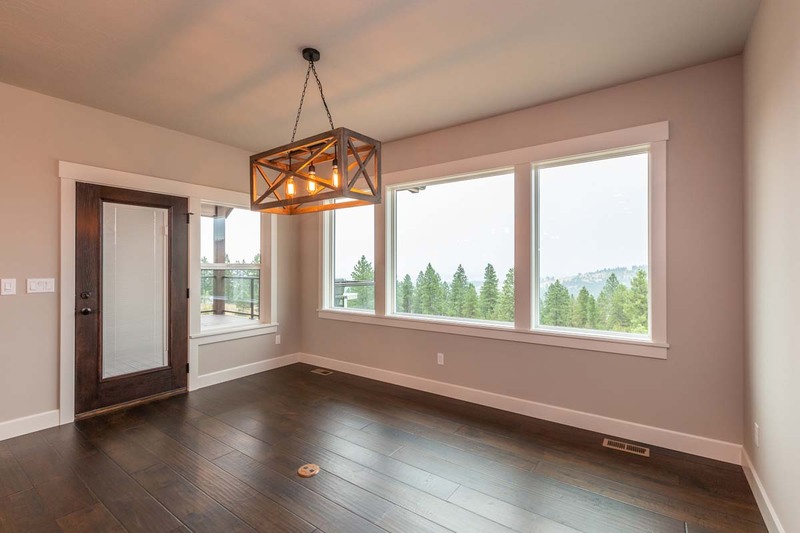 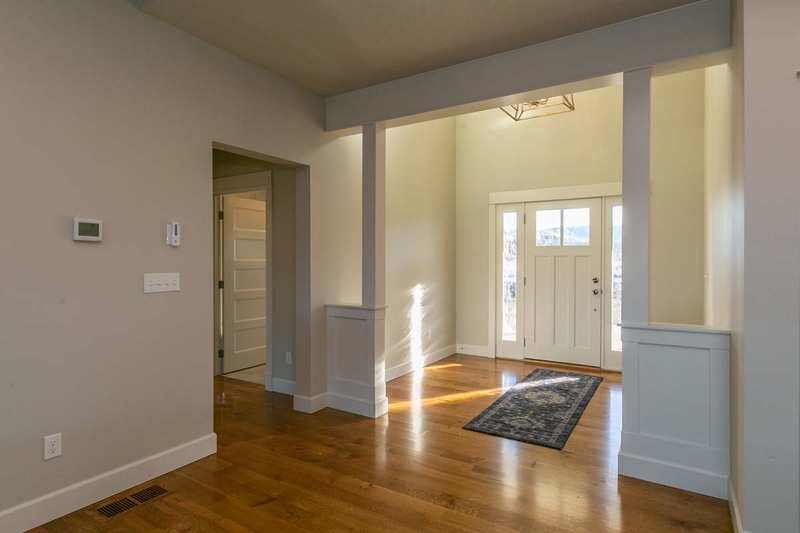 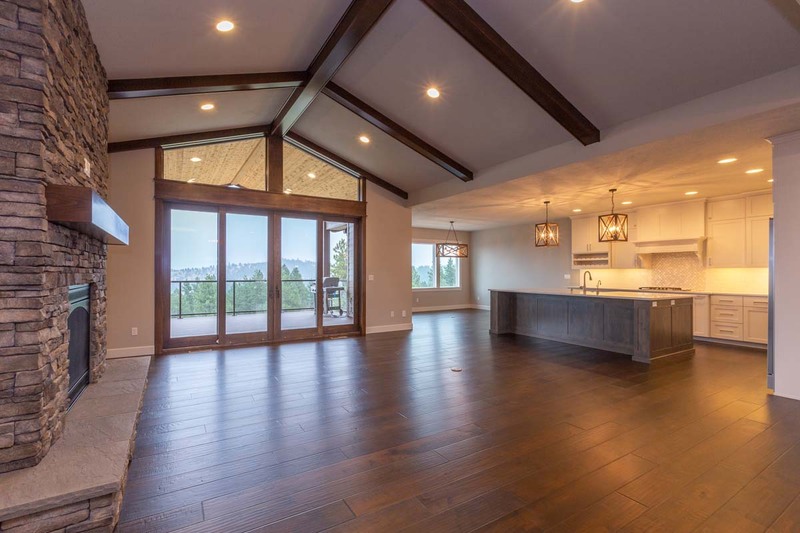 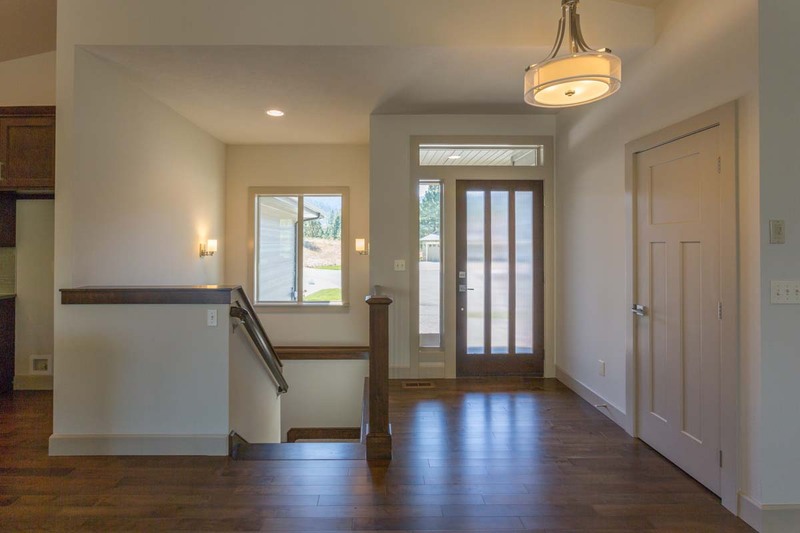 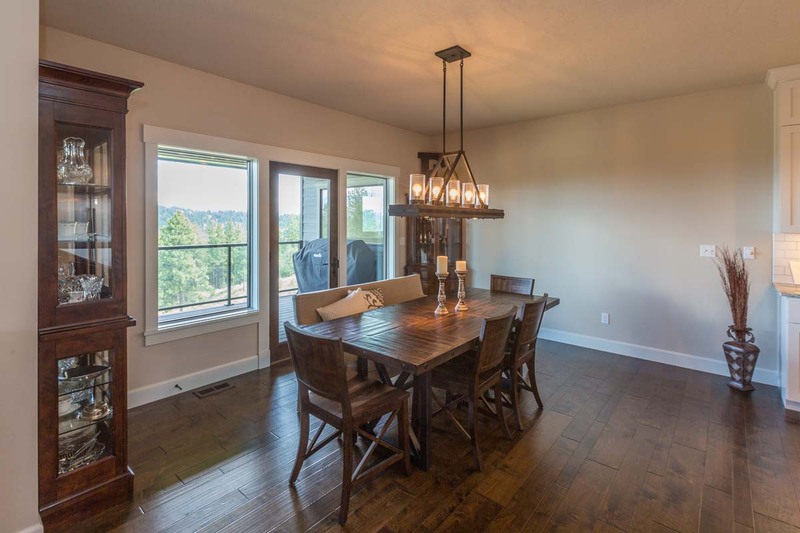 The detailed interior wood work really sets the home apart, including decorative door/window trims, sliding doors, elaborate open staircase, and beautiful ceiling beam work in the Den and Dining Rooms. 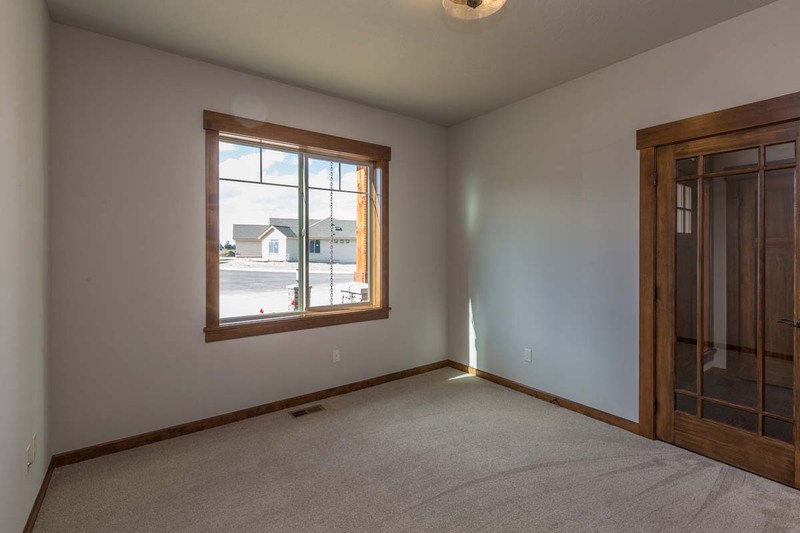 Overall, great selections by the owners! 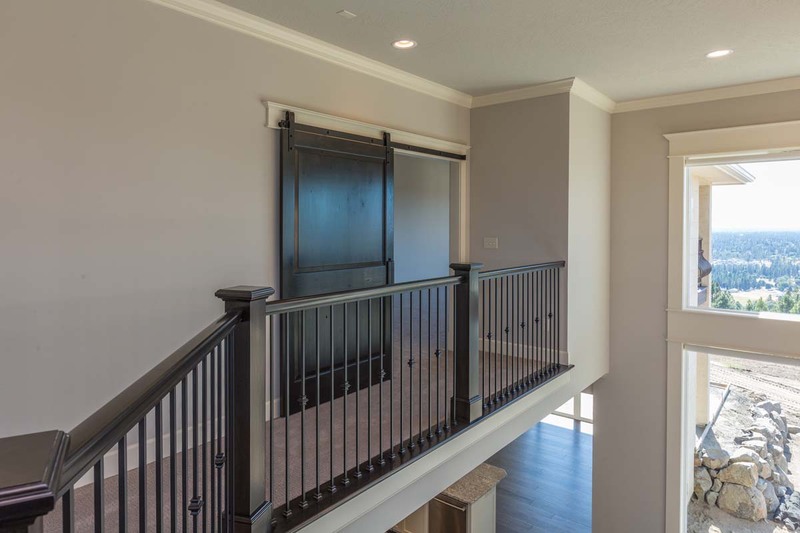 Our quality and craftsmanship are consistent through all phases of construction - each Paras home is designed to maximize curb appeal, and every home features furniture quality wood work finish, which exceeds the industry standard! 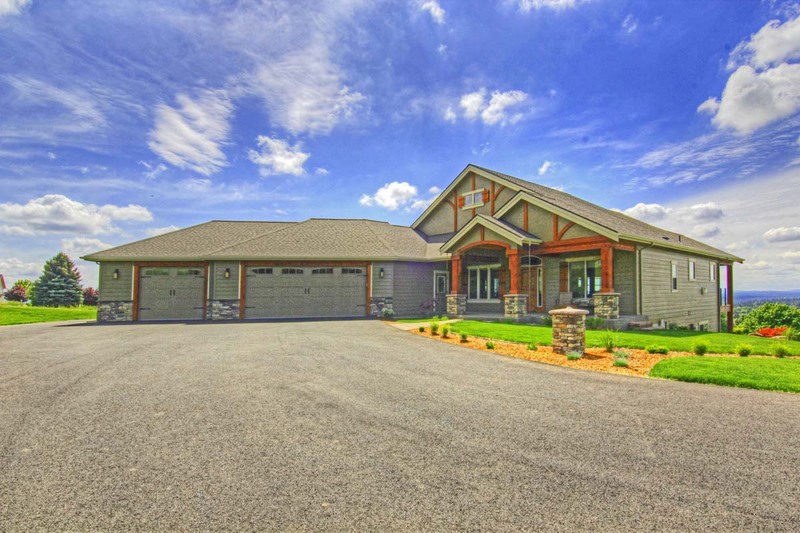 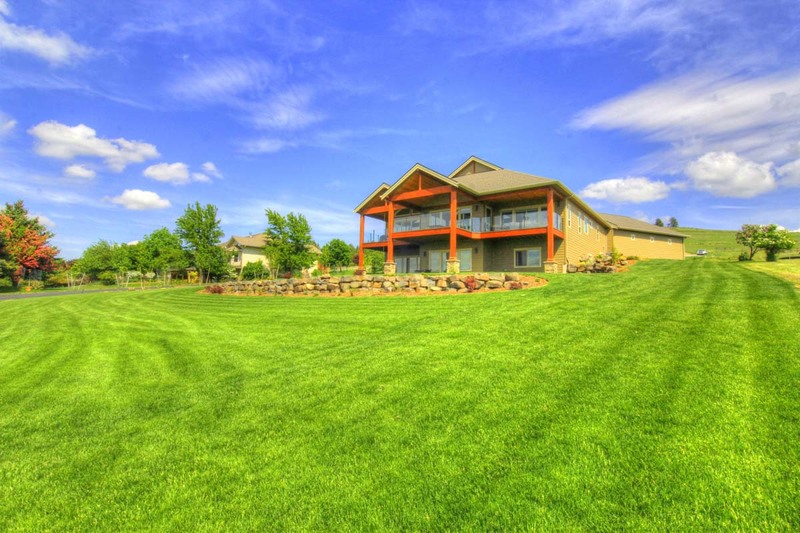 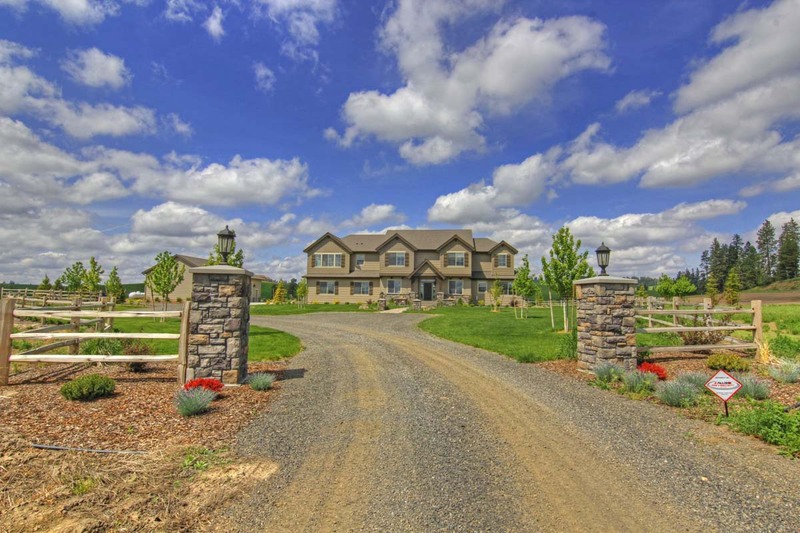 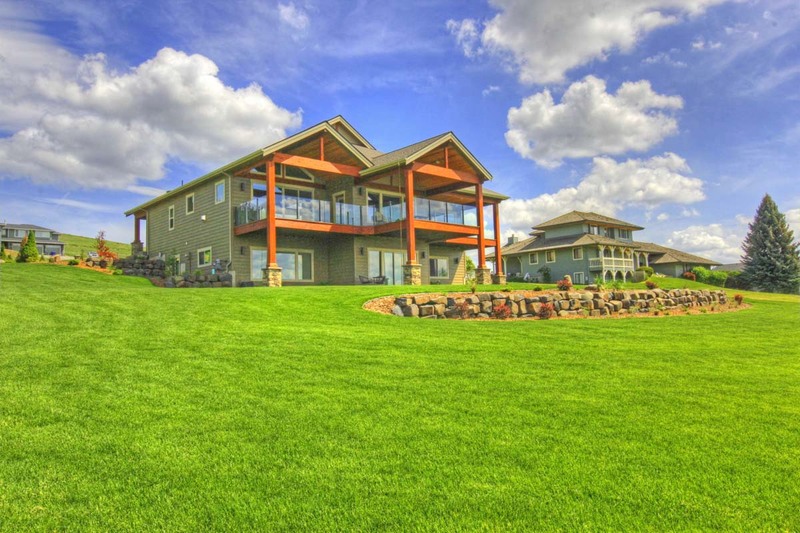 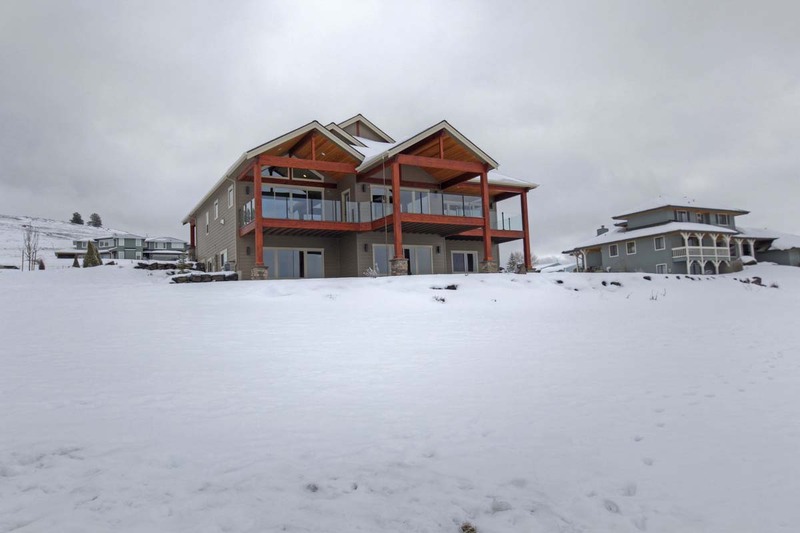 Elegant two story custom home on owners’ land! 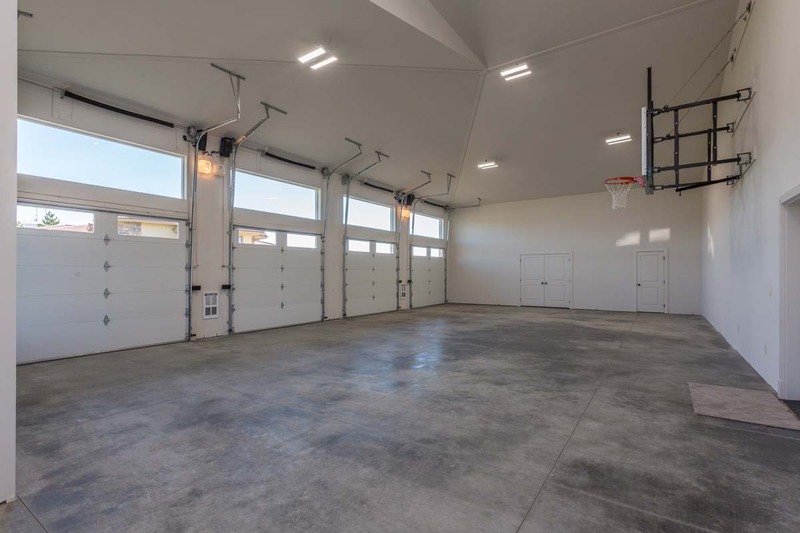 The project also included a large detached garage/shop. 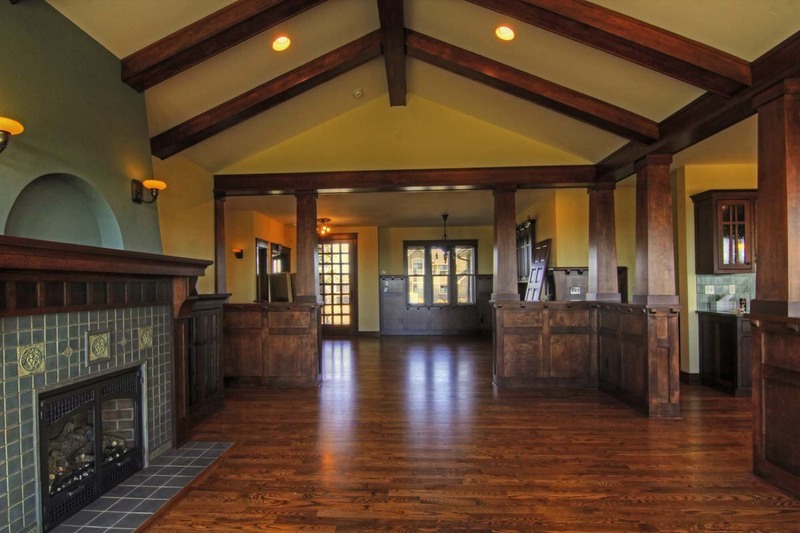 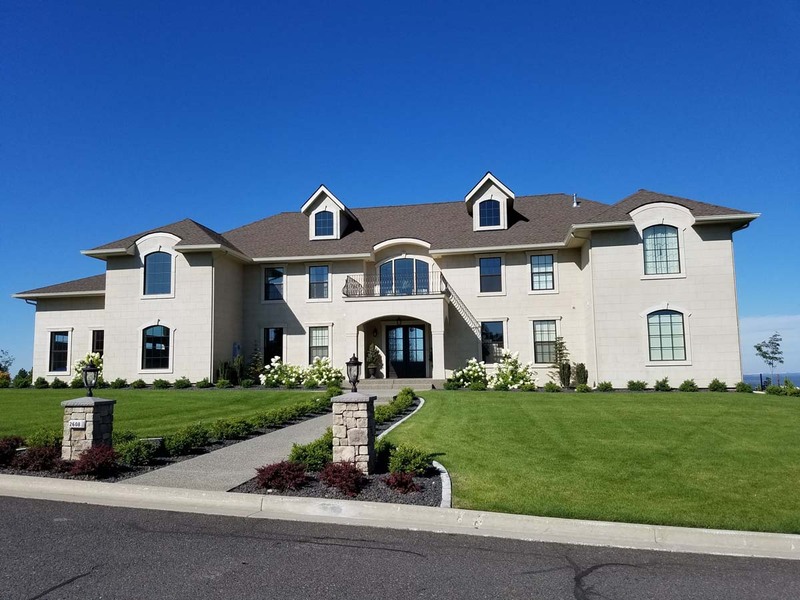 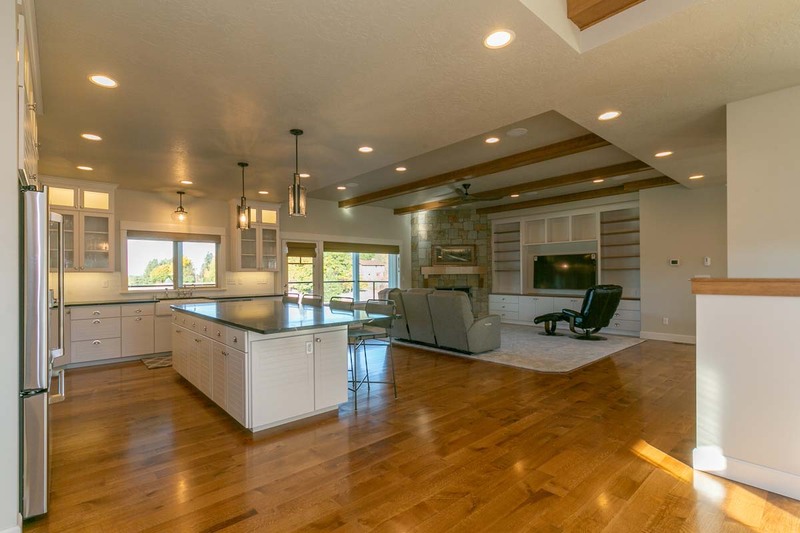 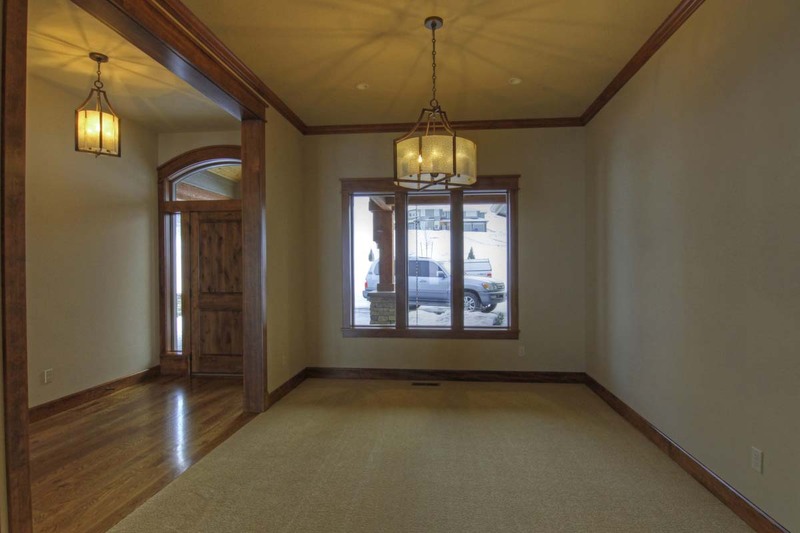 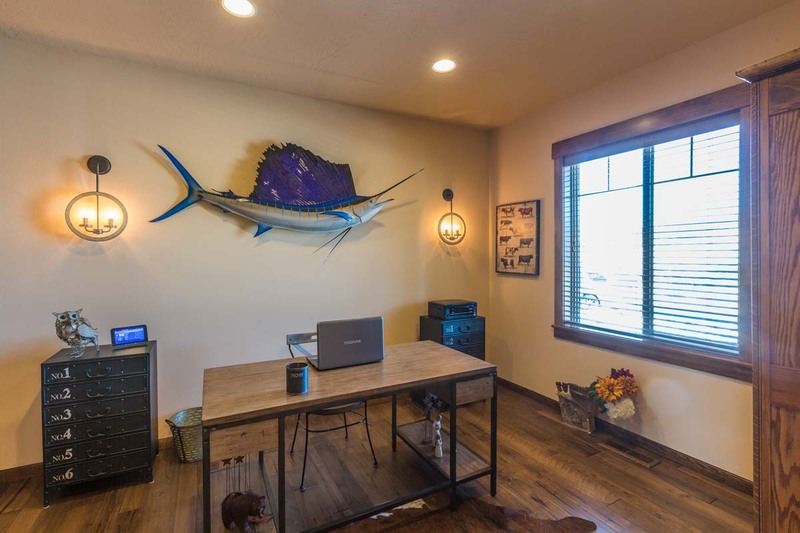 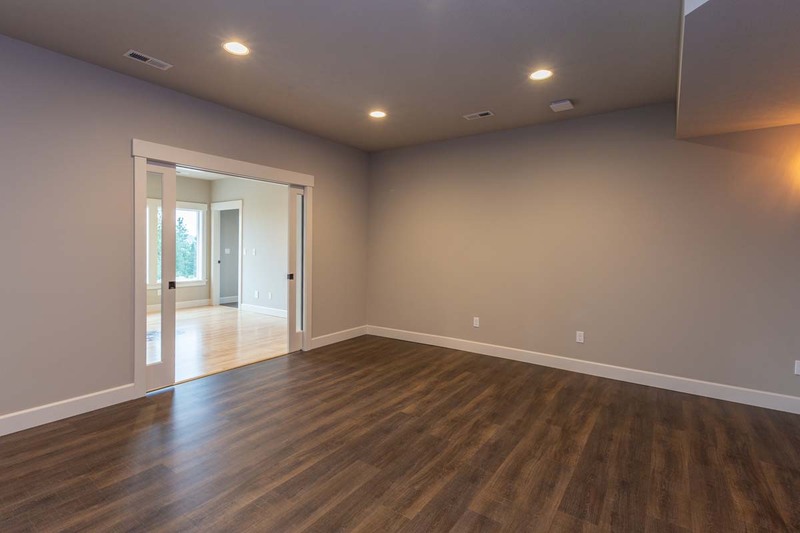 Some special features of this home incorporated a beautiful office w/ built-ins and detailed wood work, a spectacular Kitchen w/ large walk-in pantry and wine room, and 2-story height Great Room. 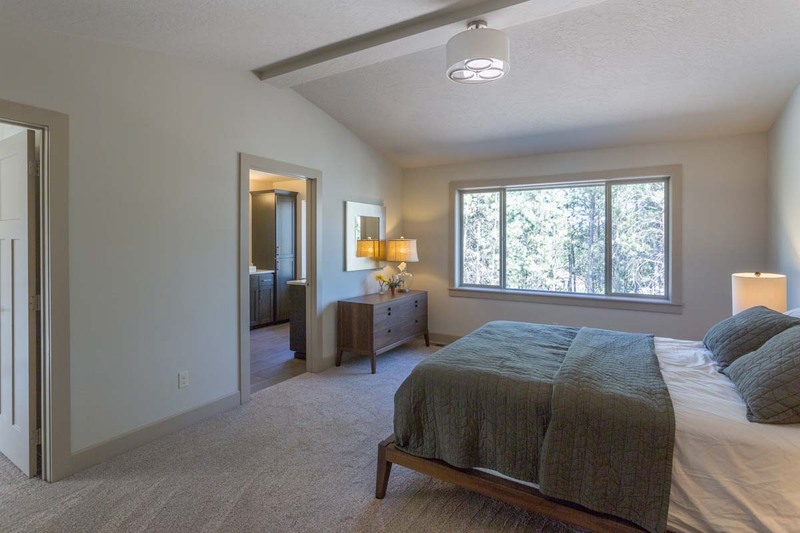 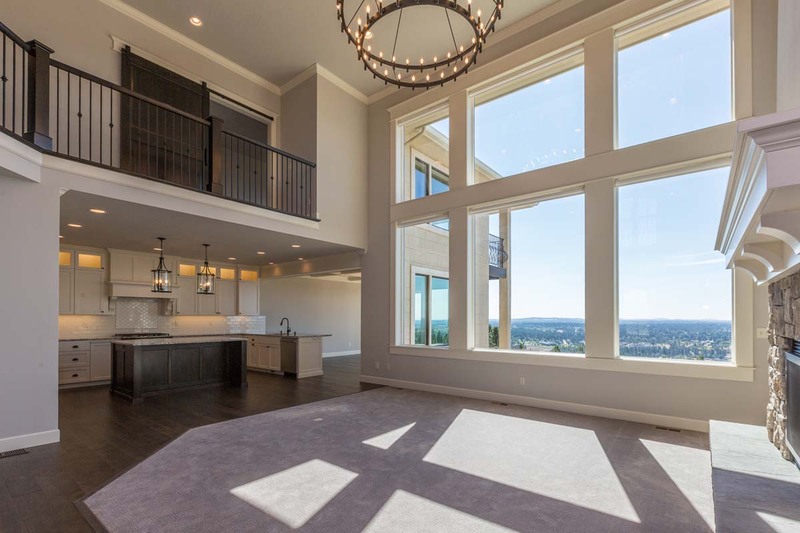 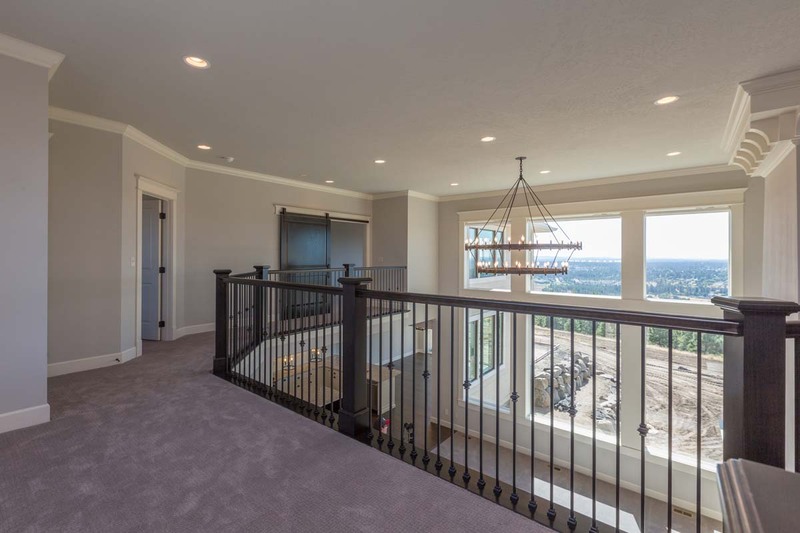 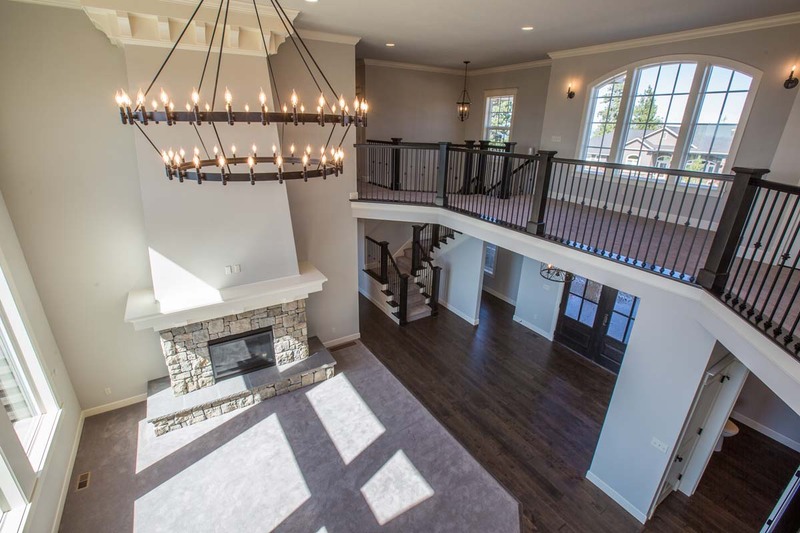 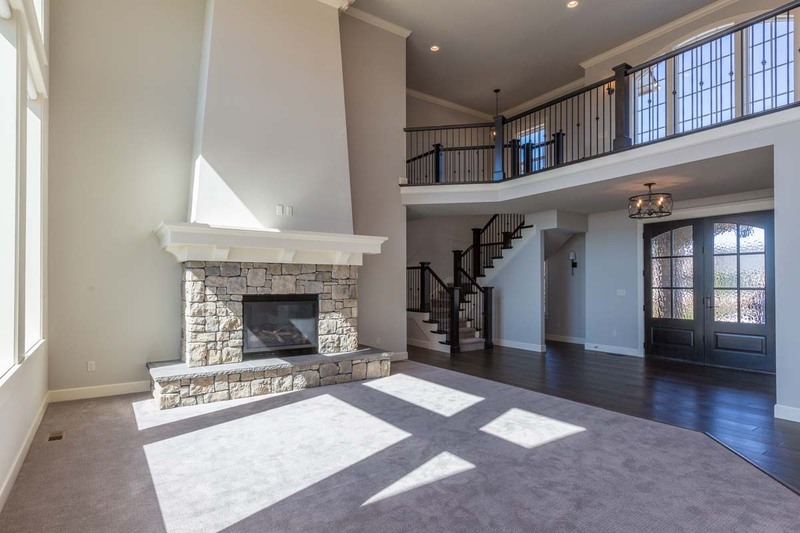 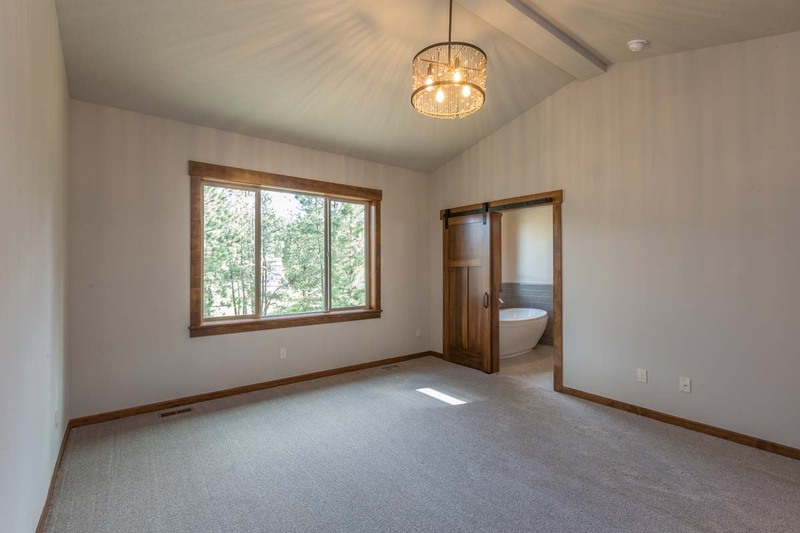 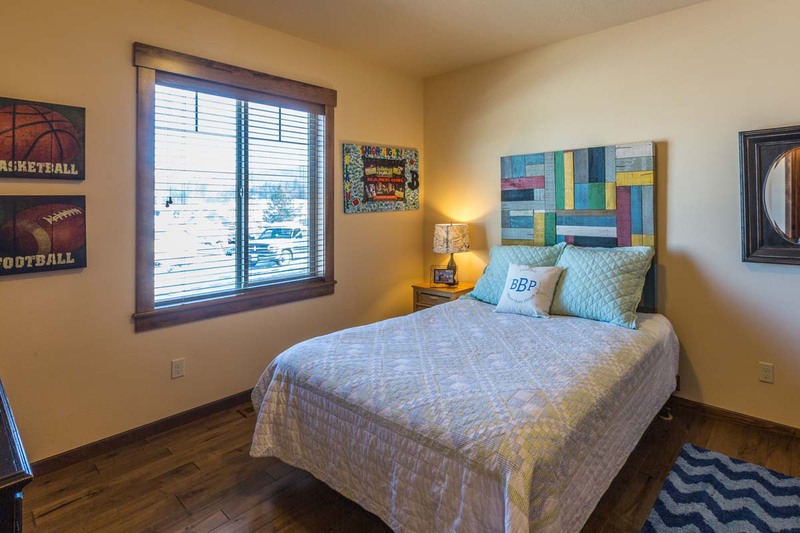 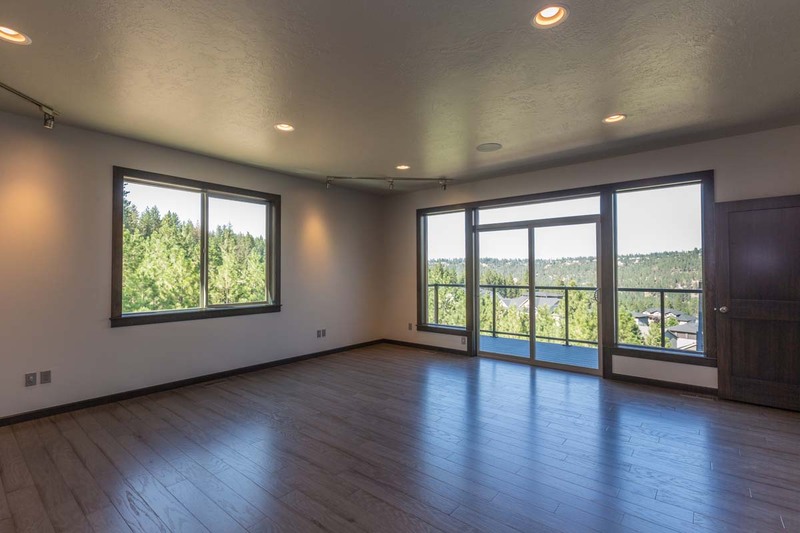 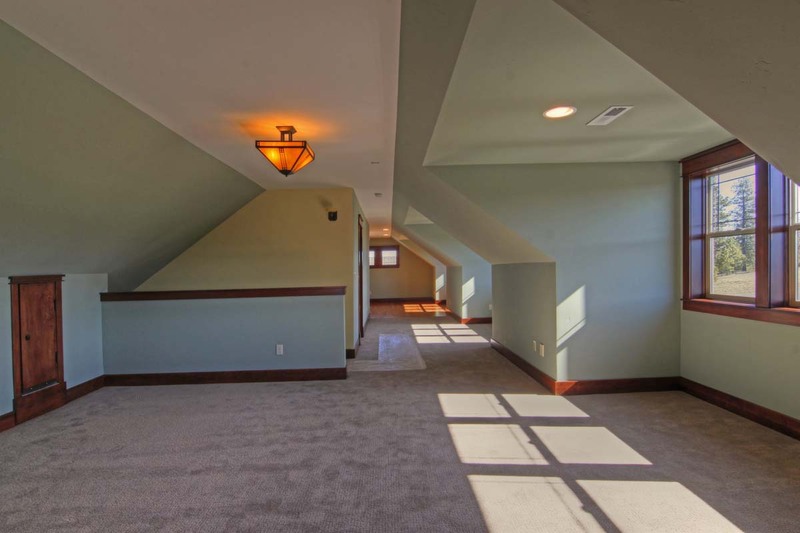 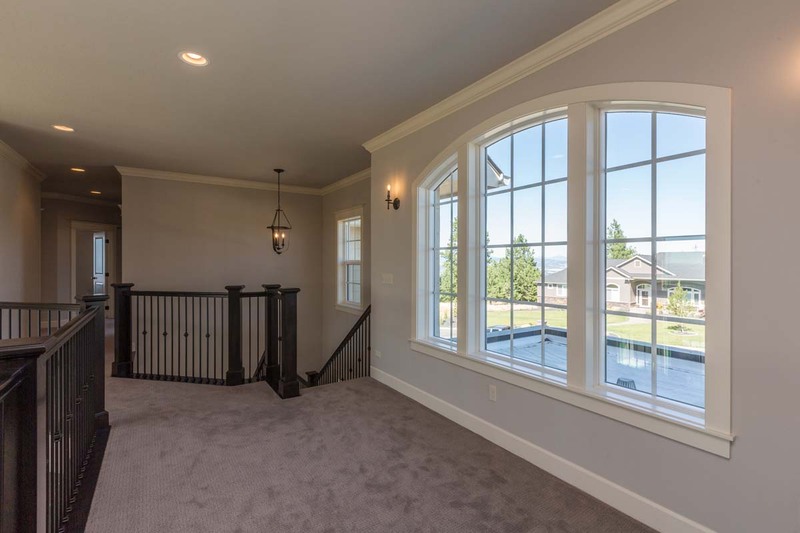 The upper floor has a dramatic open wood staircase, exercise room, and a grand master suite w/ a large walk-in closet, fireplace, and impressive master bath. 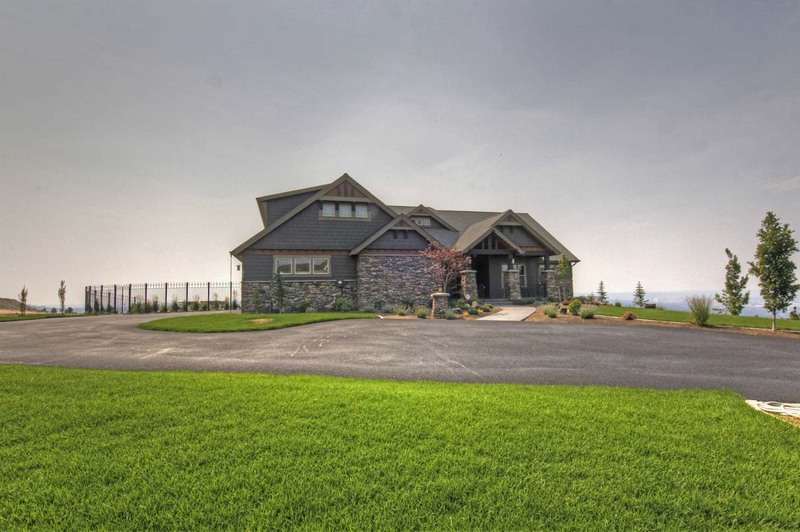 Recently completed custom home on owners’ lot, for some wonderful customers! 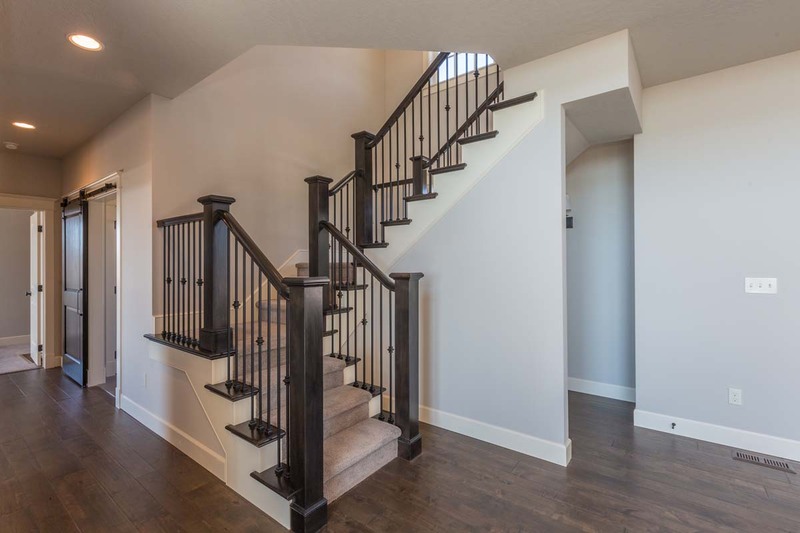 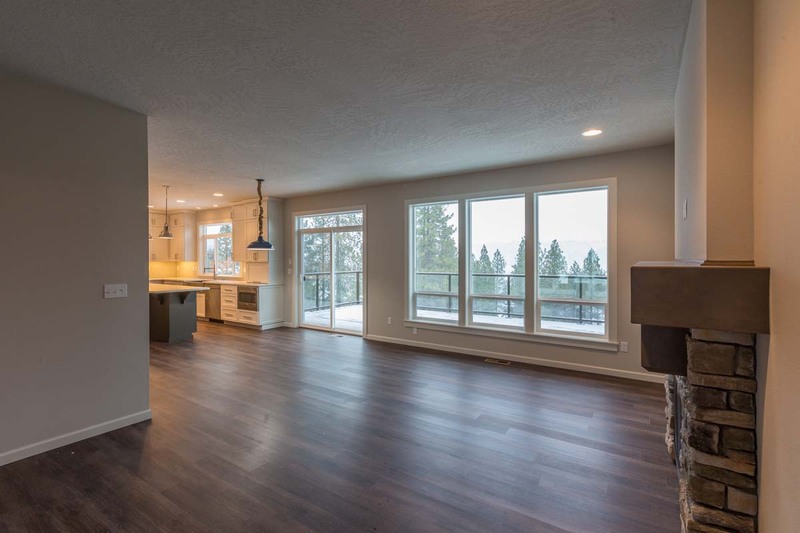 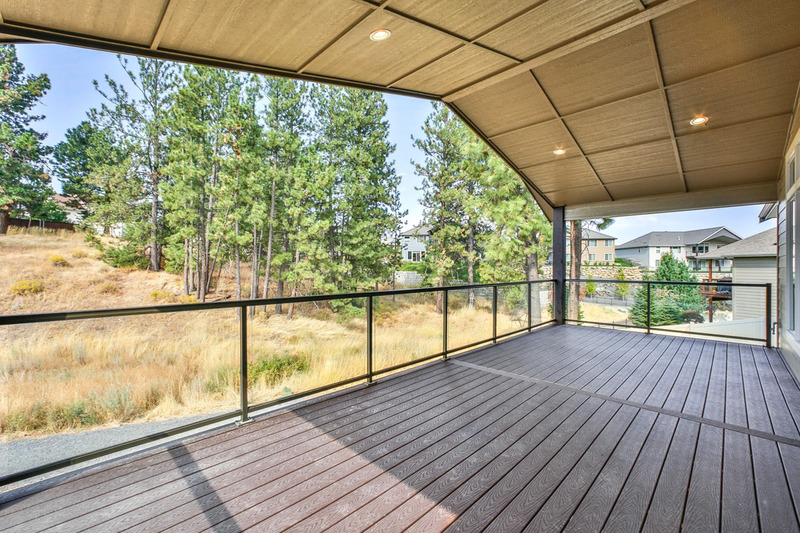 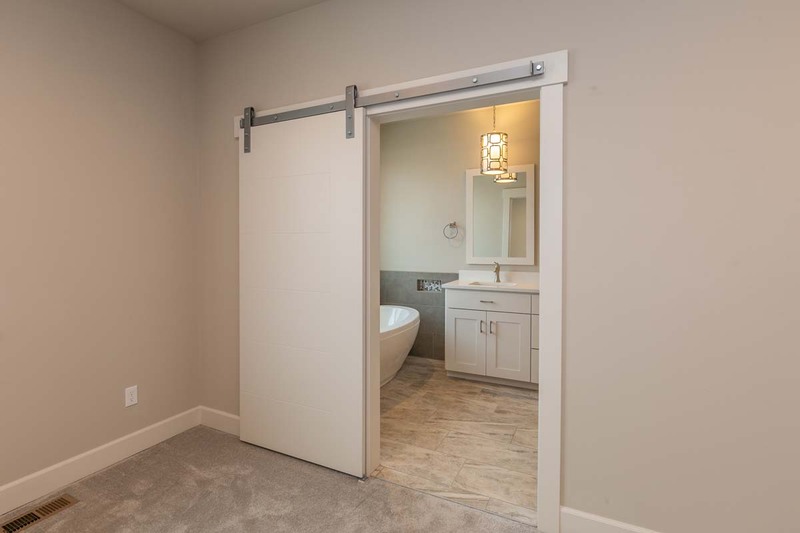 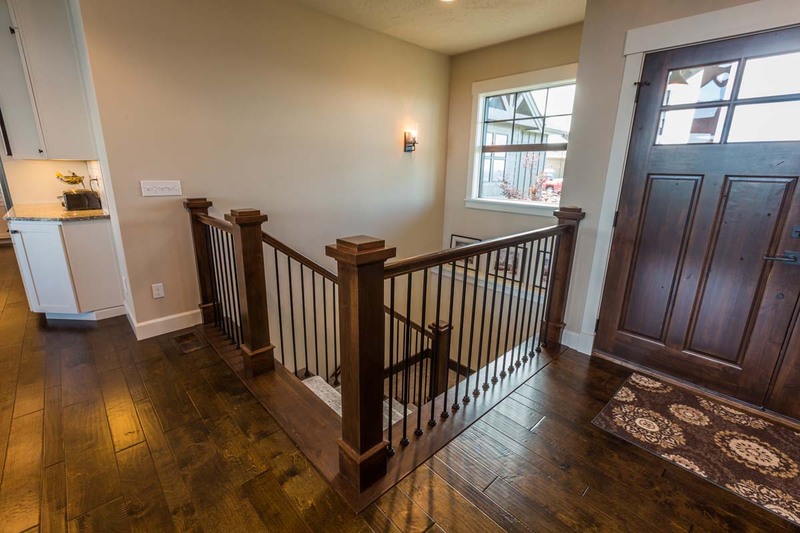 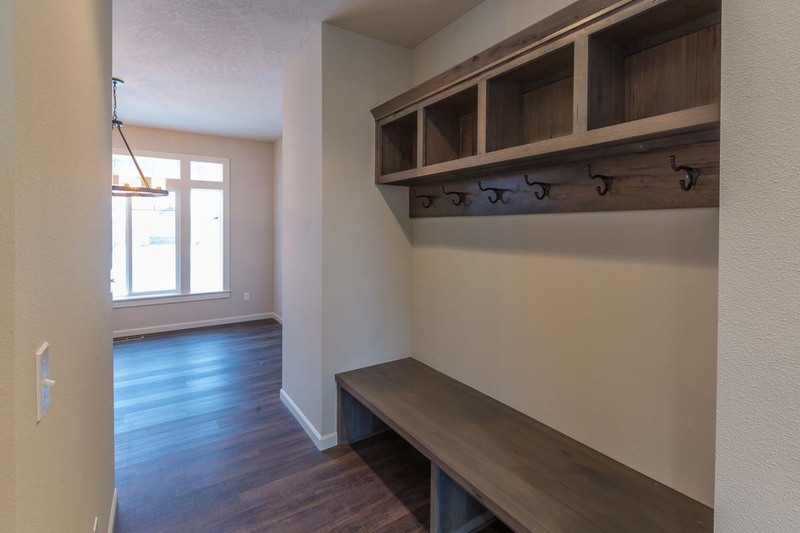 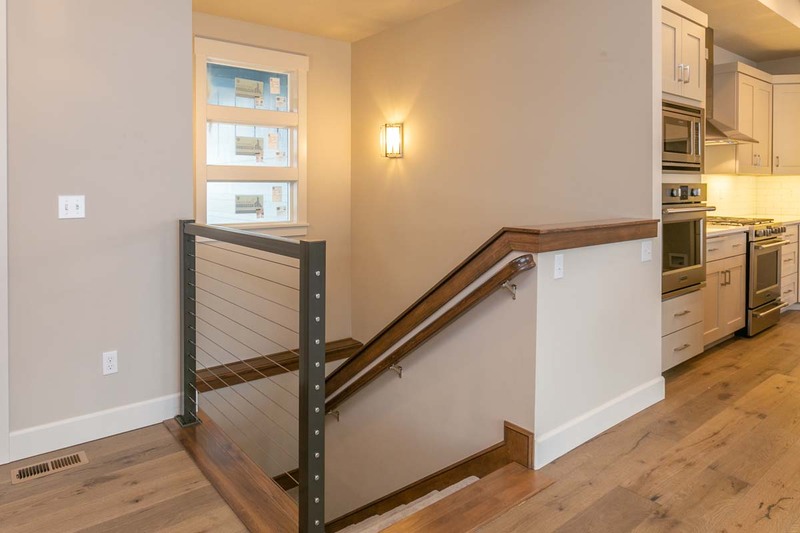 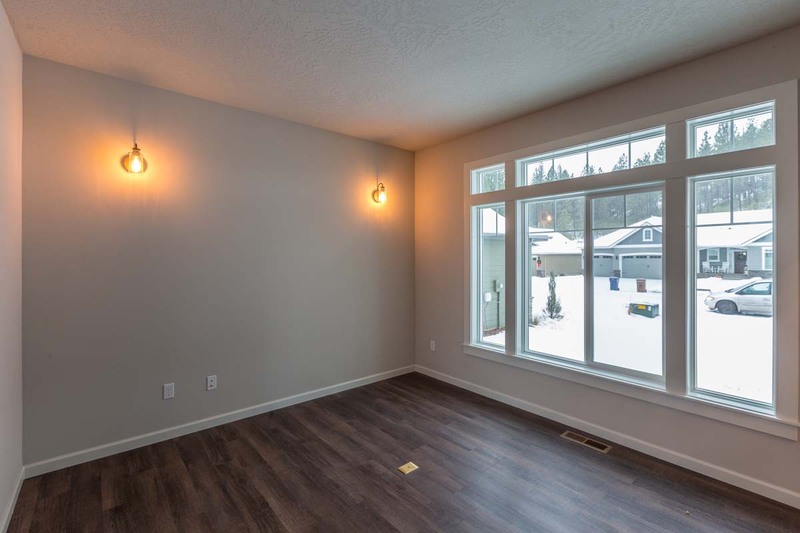 A basement rancher home w/ some special finishes including radiant in-floor heating and upgraded Infinity deck railing. 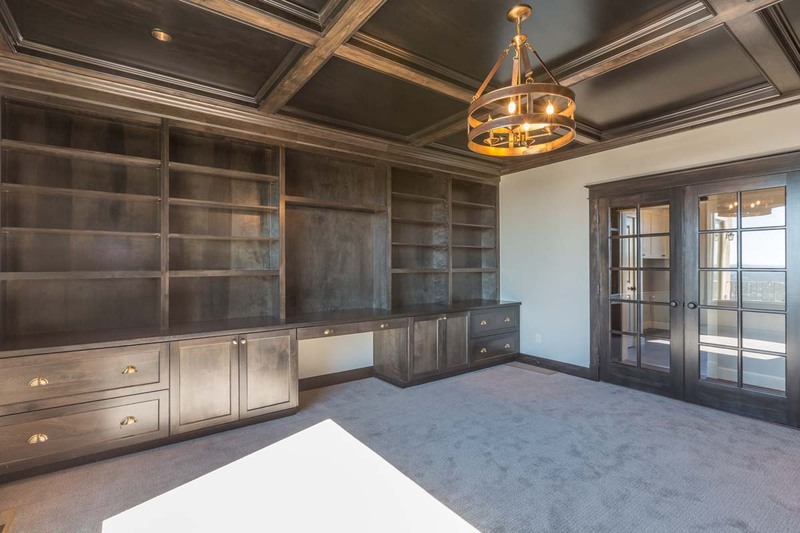 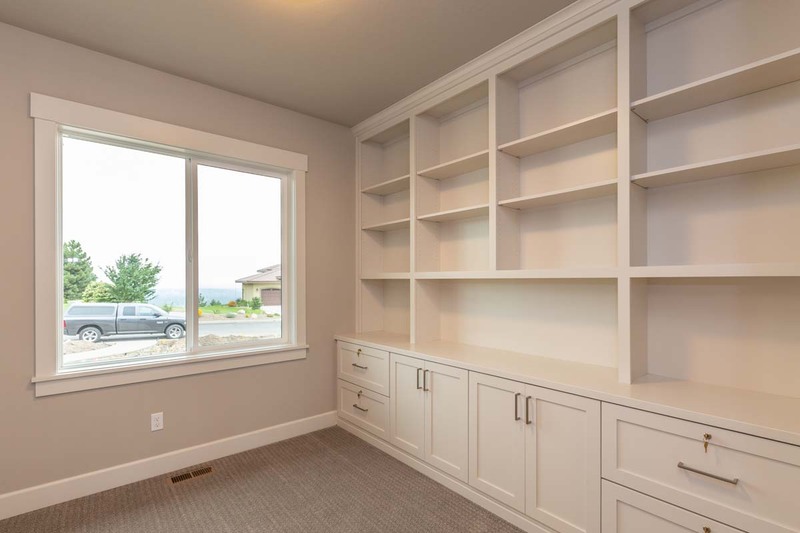 The home includes many furniture quality wood finishes, built-in cabinetry, high-end California Closets, and beautiful surface finishes. 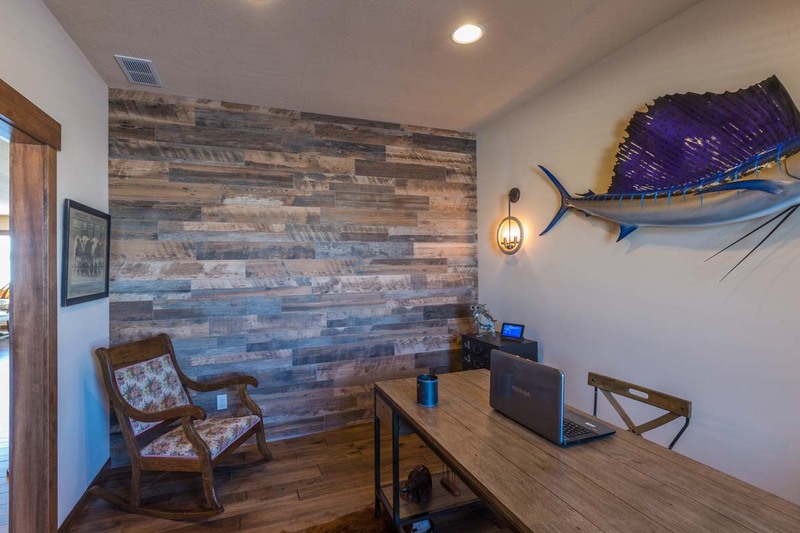 A very fun project! 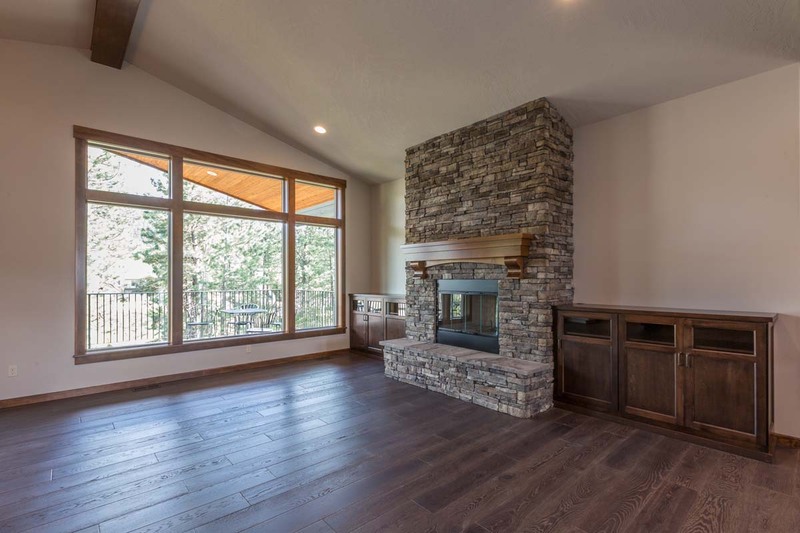 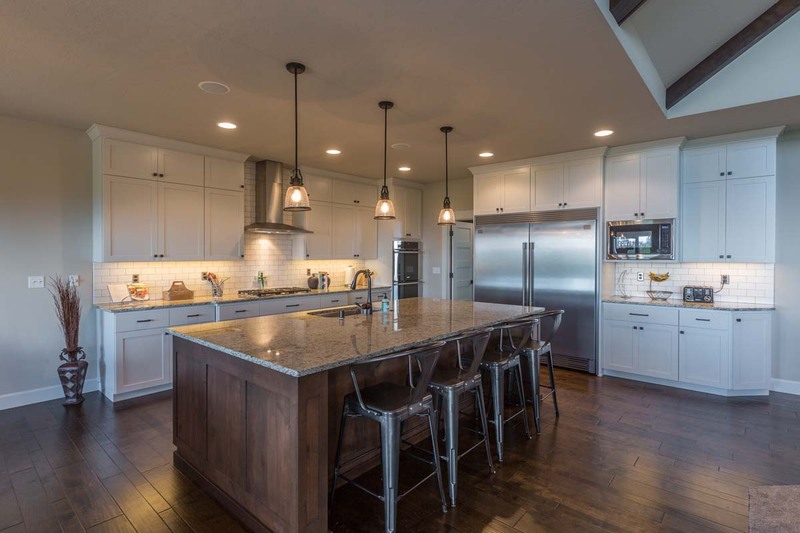 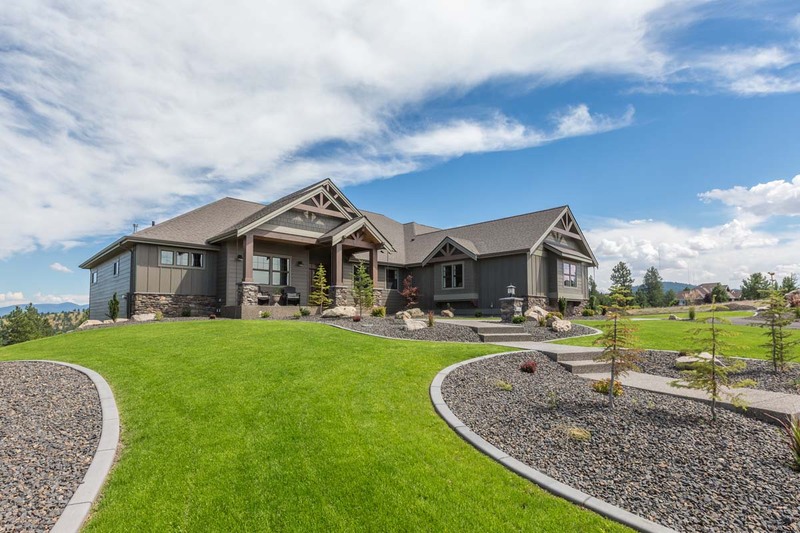 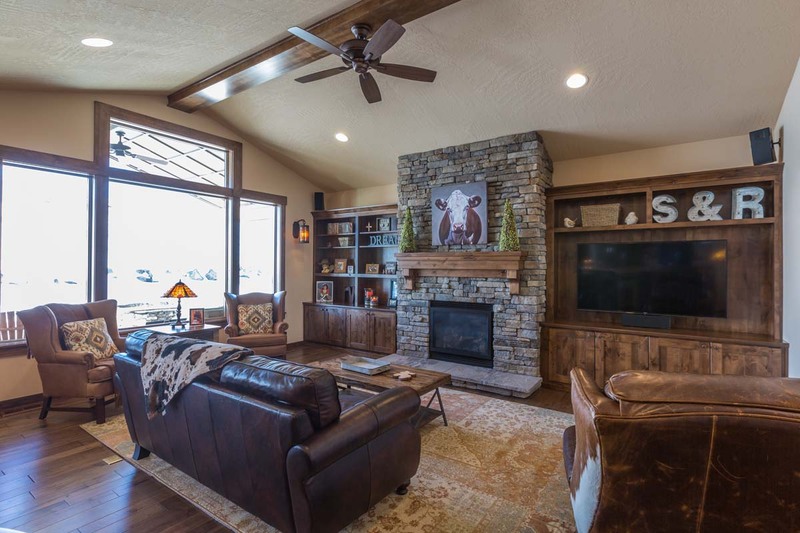 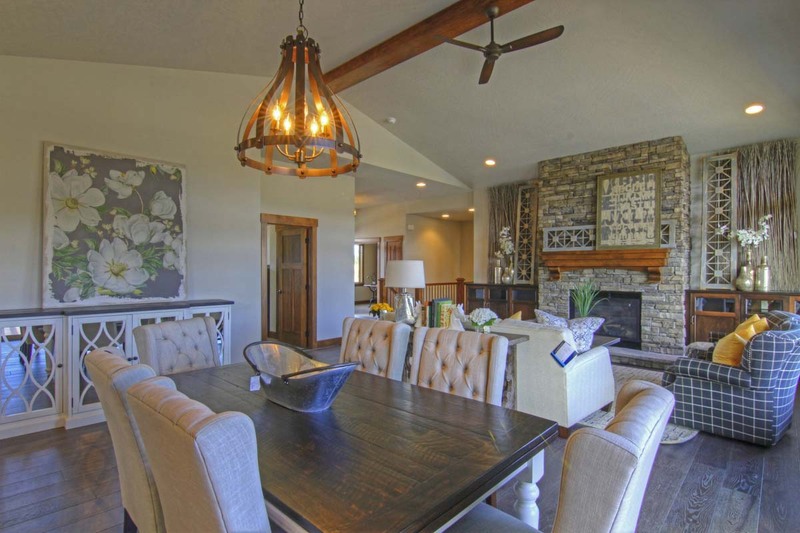 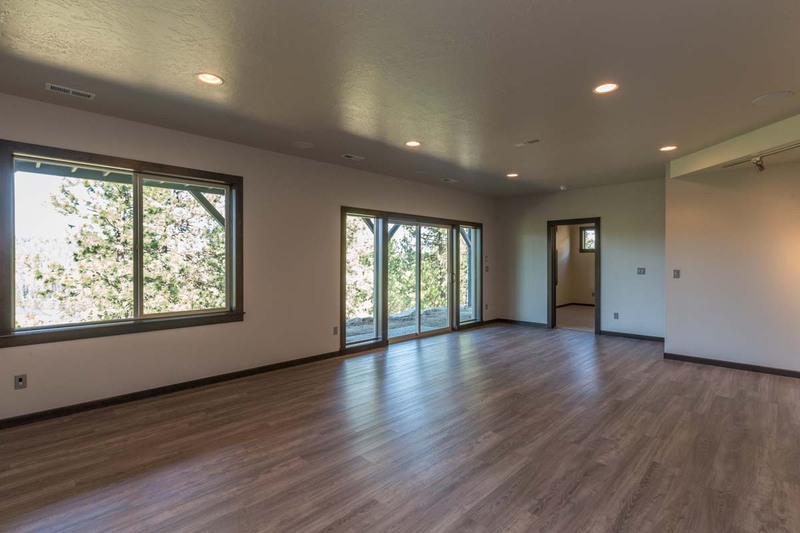 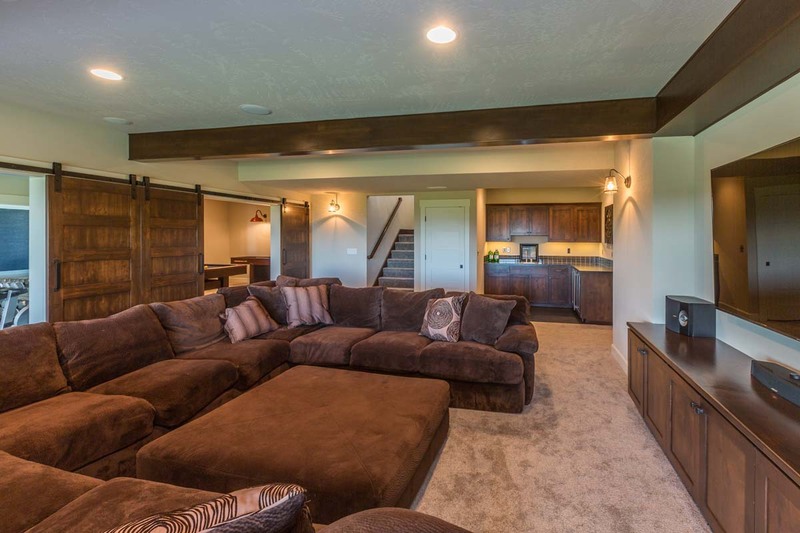 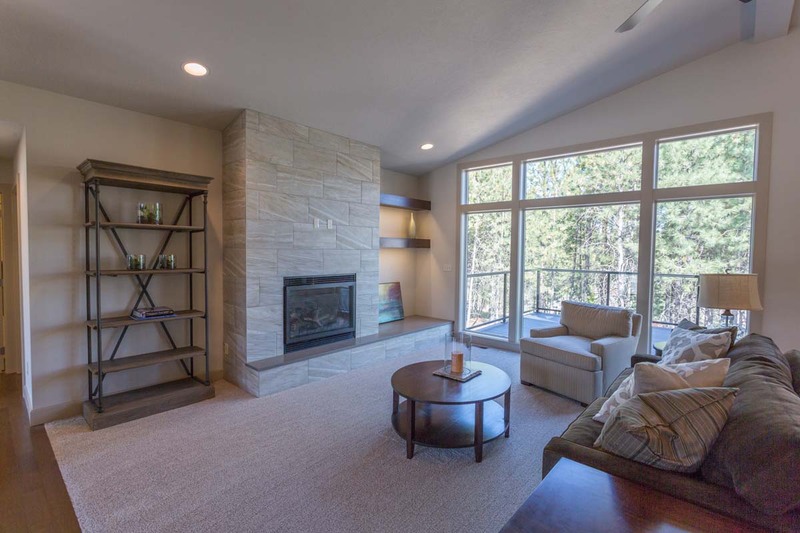 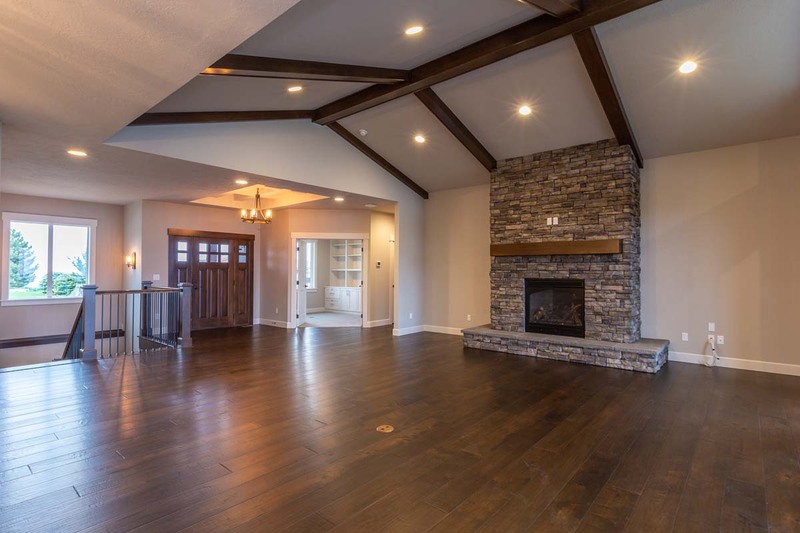 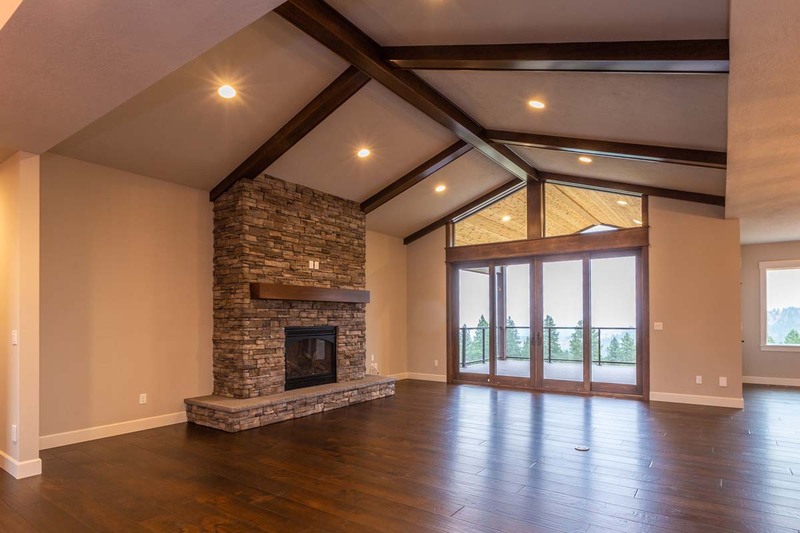 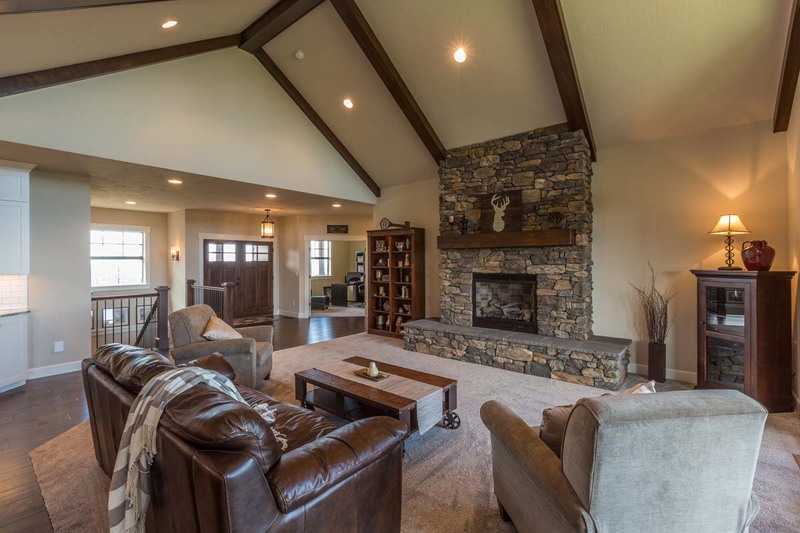 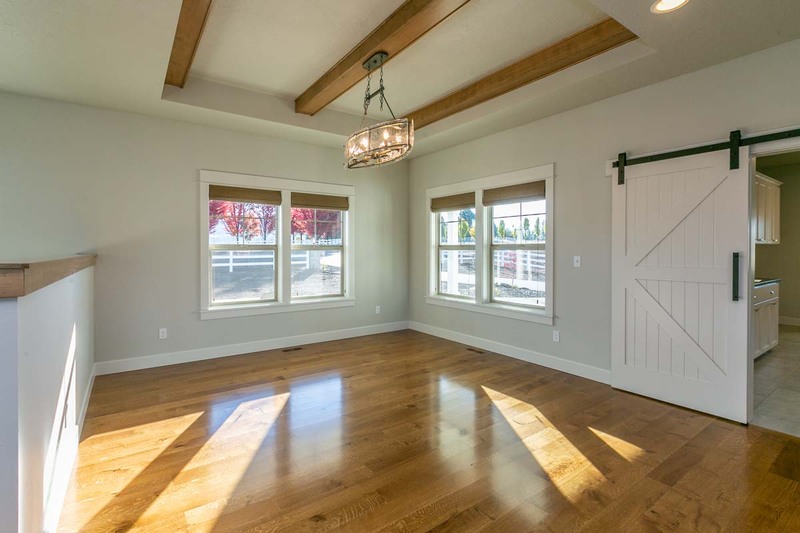 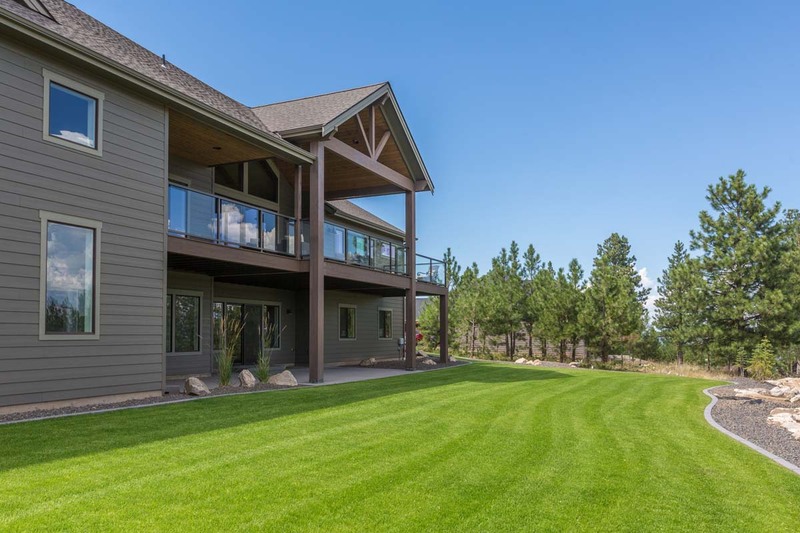 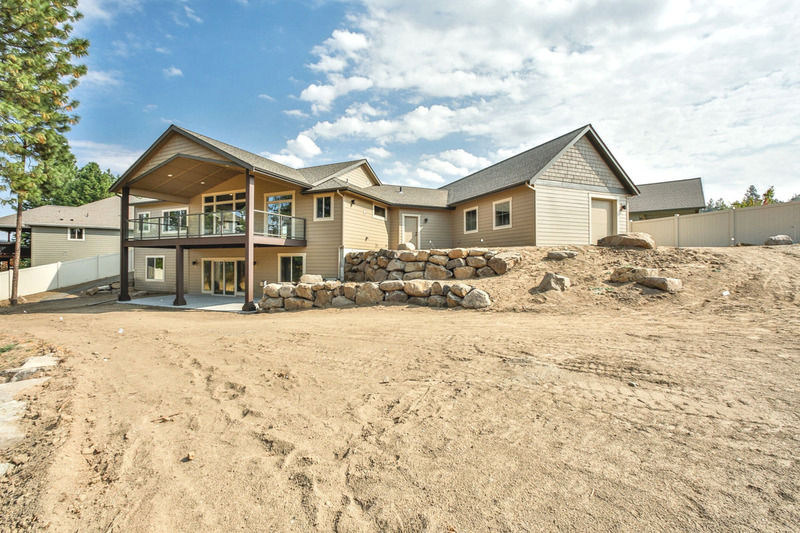 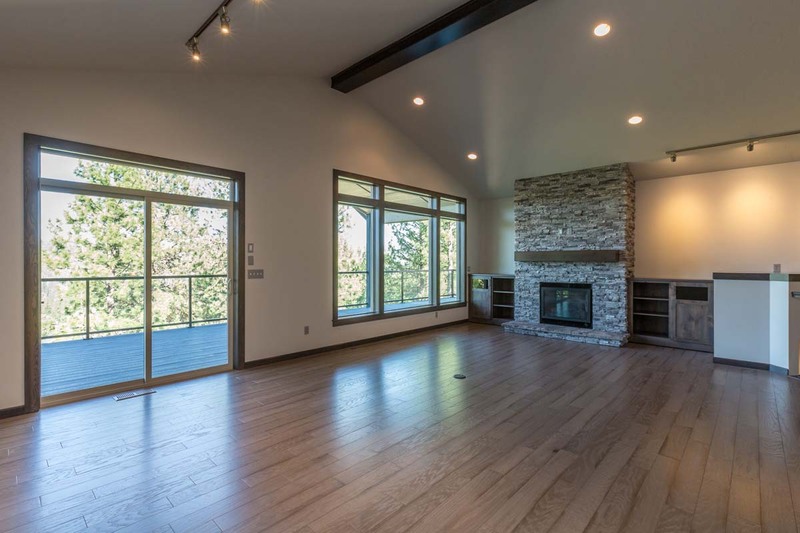 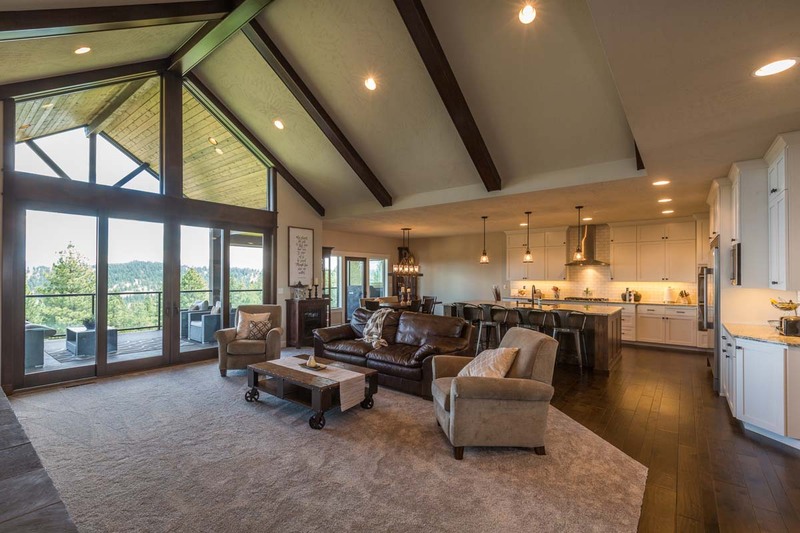 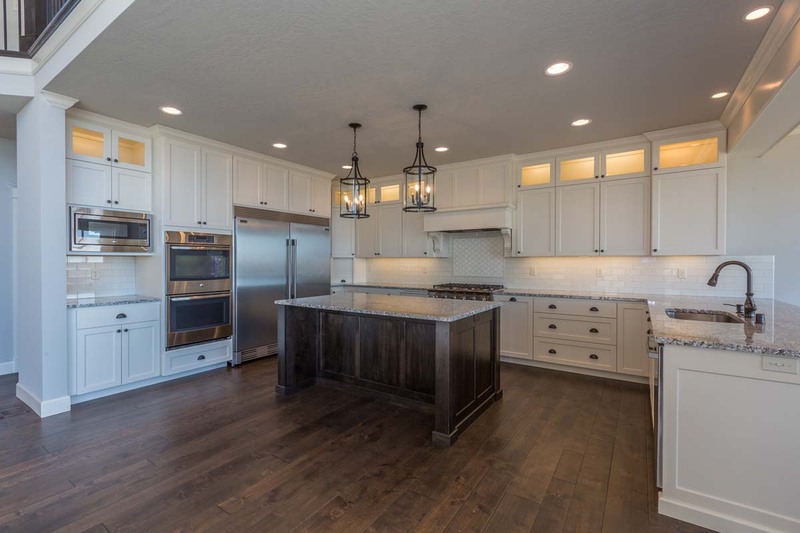 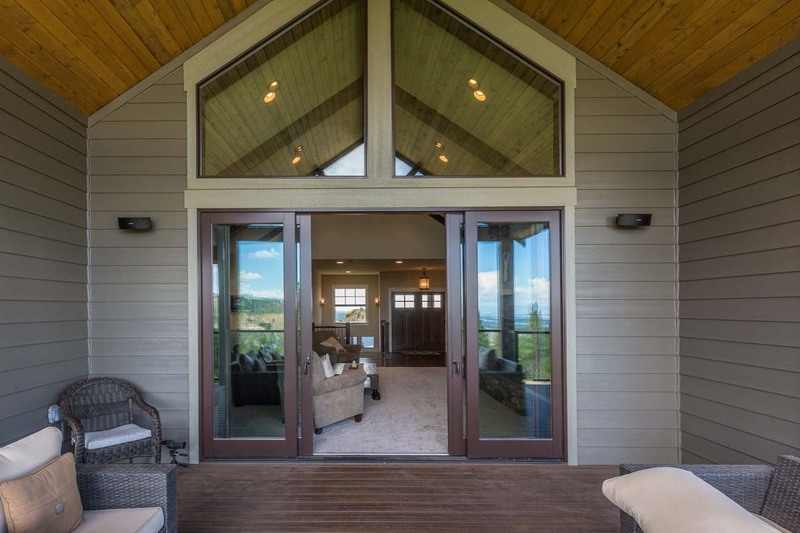 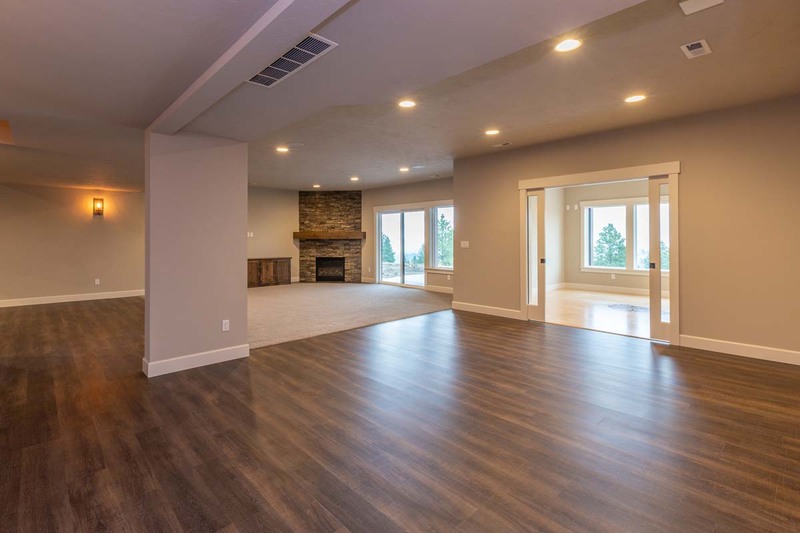 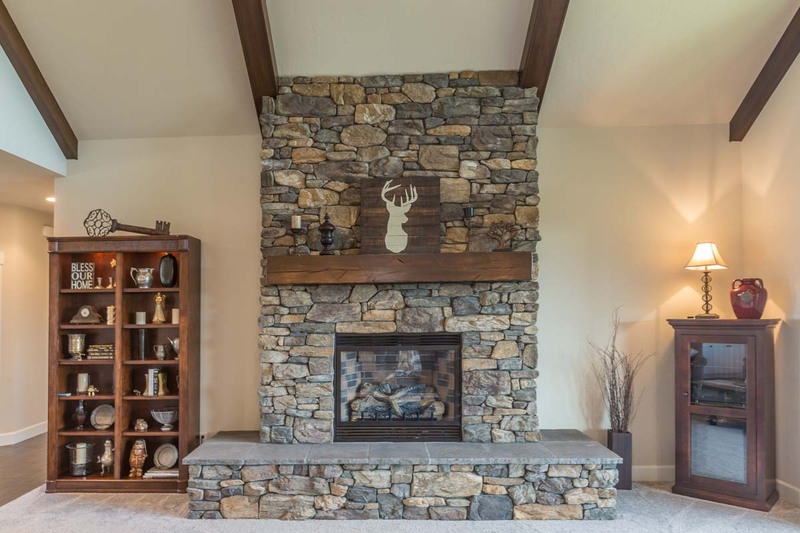 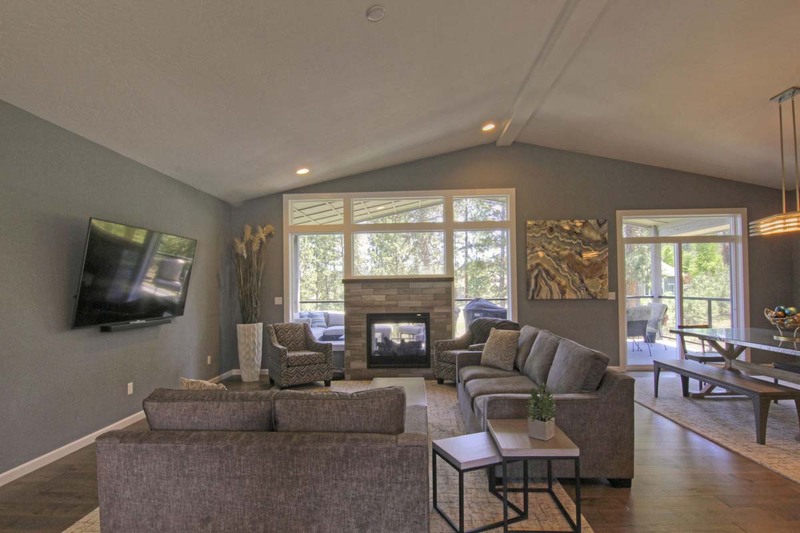 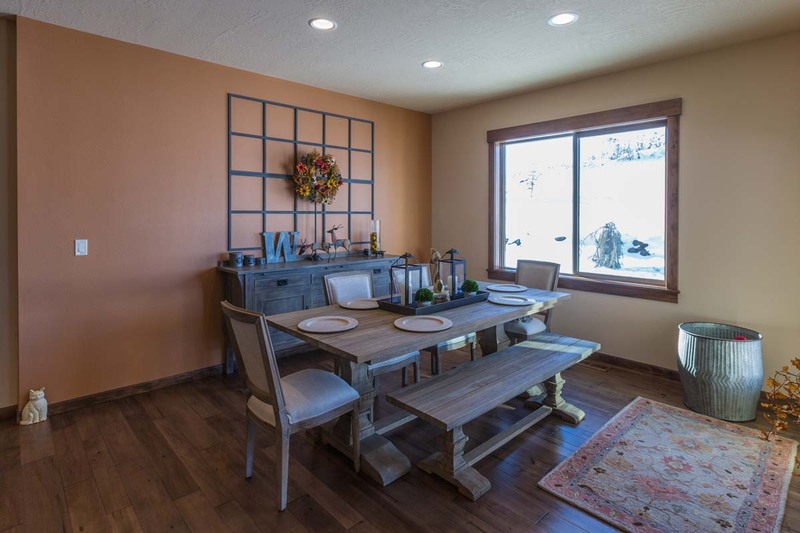 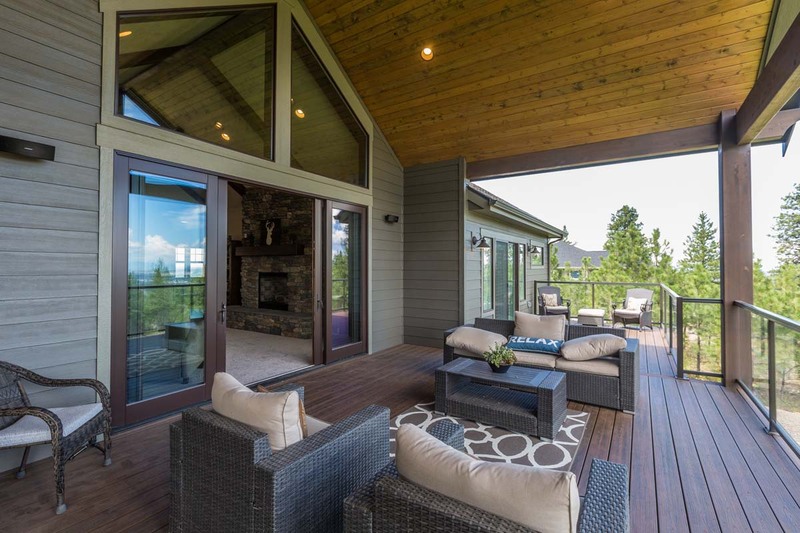 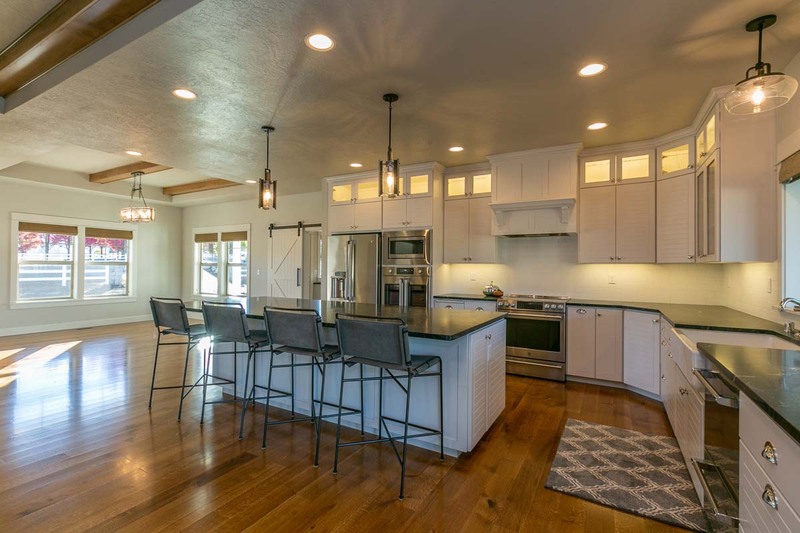 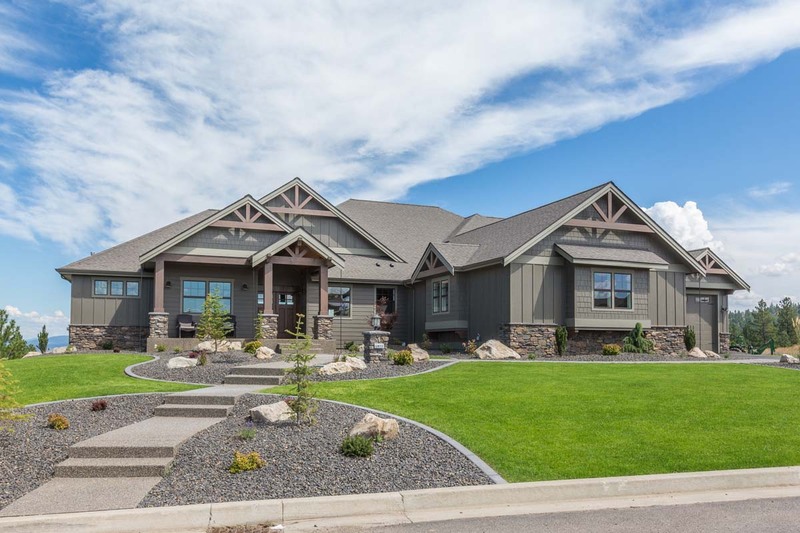 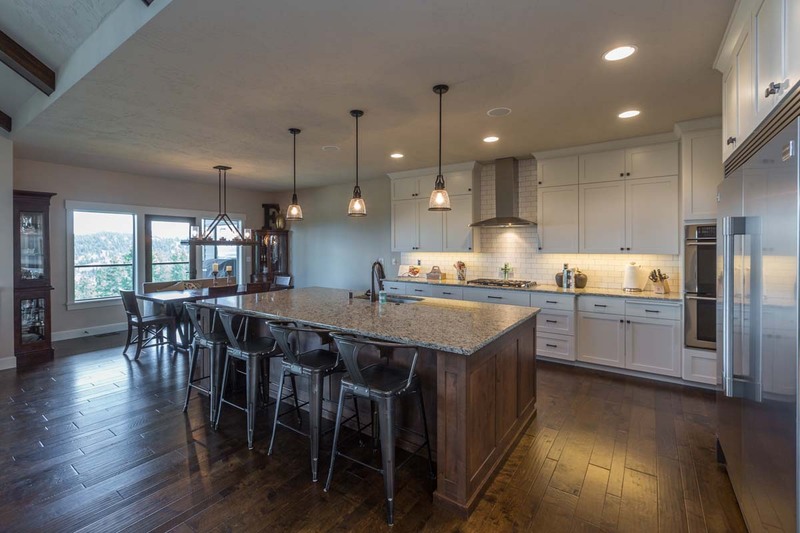 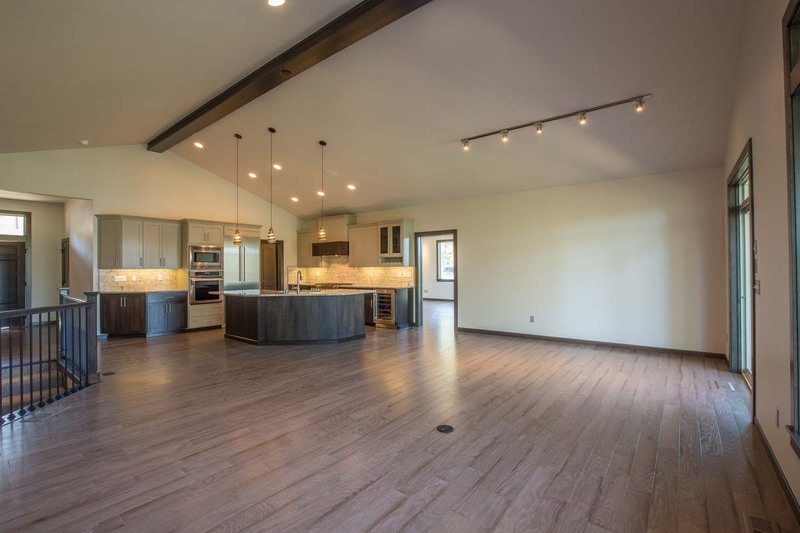 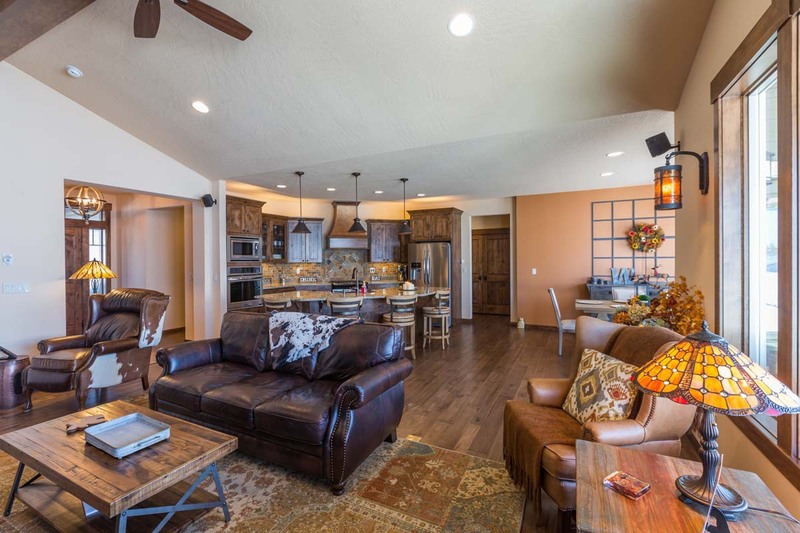 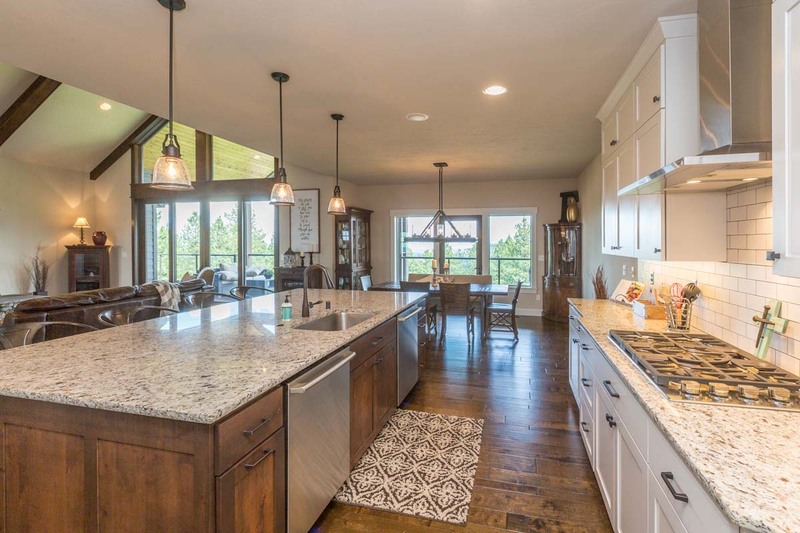 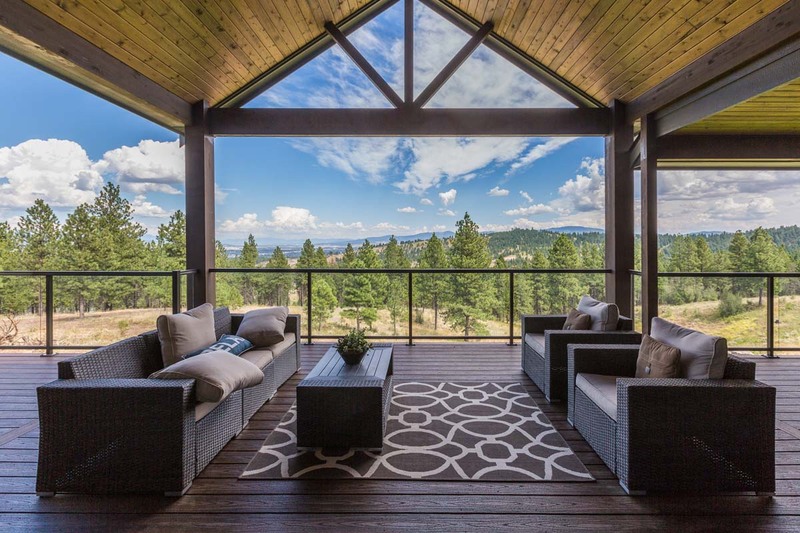 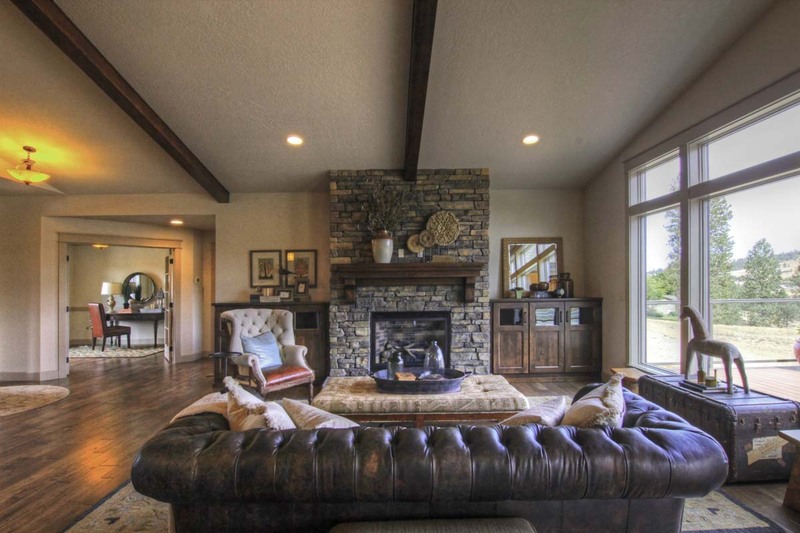 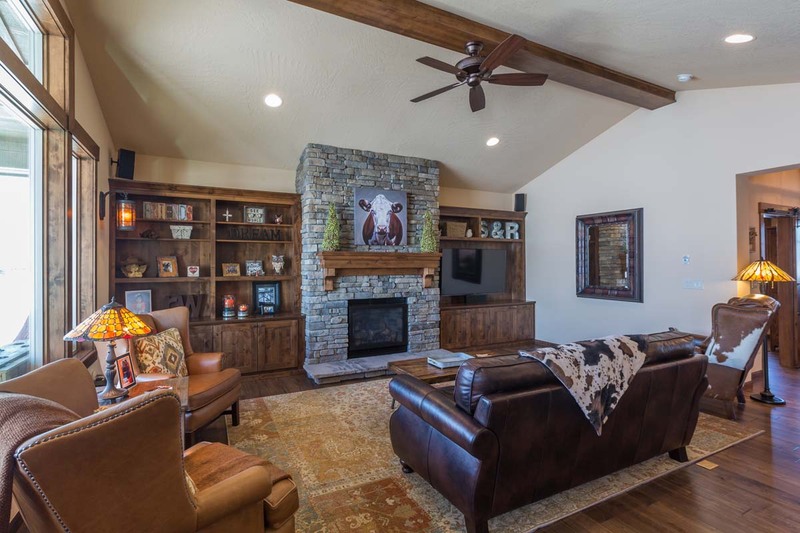 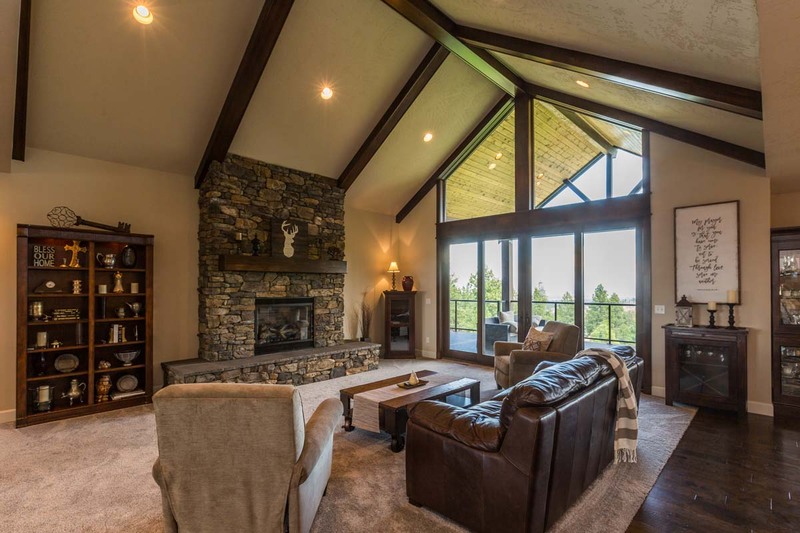 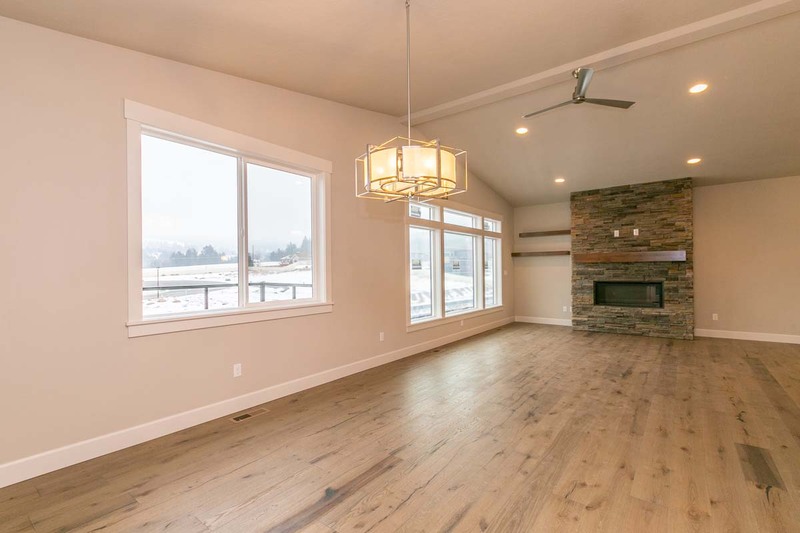 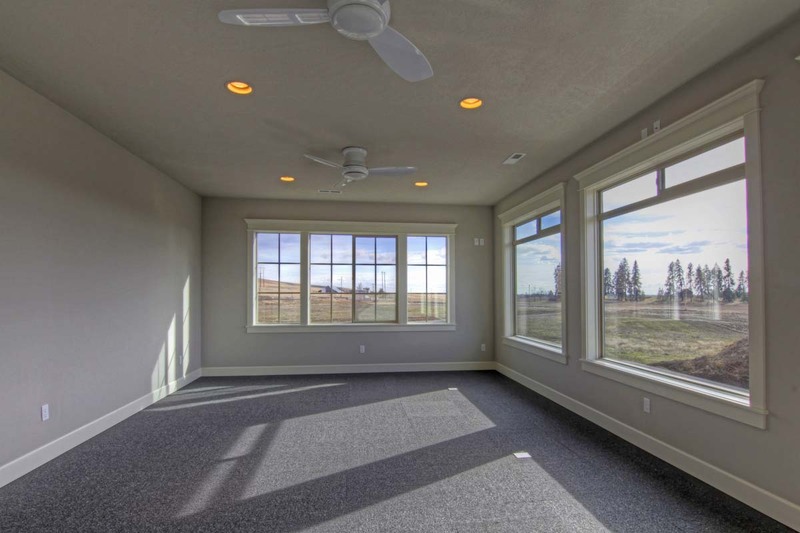 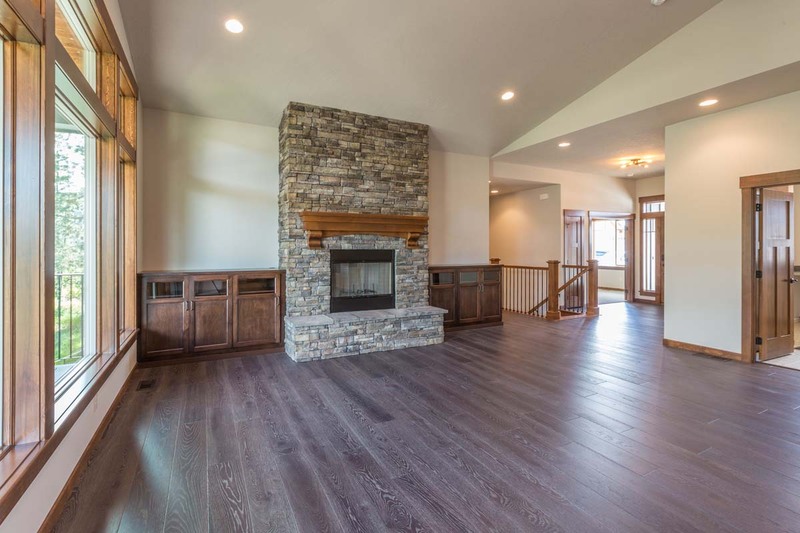 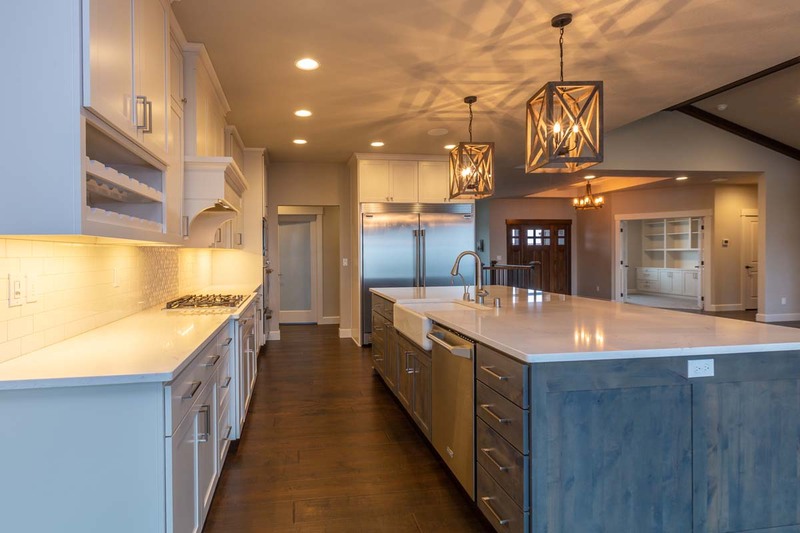 The Aspen Meadow is a popular Paras basement rancher, and this home was featured in the 2016 Fall Festival of Homes! 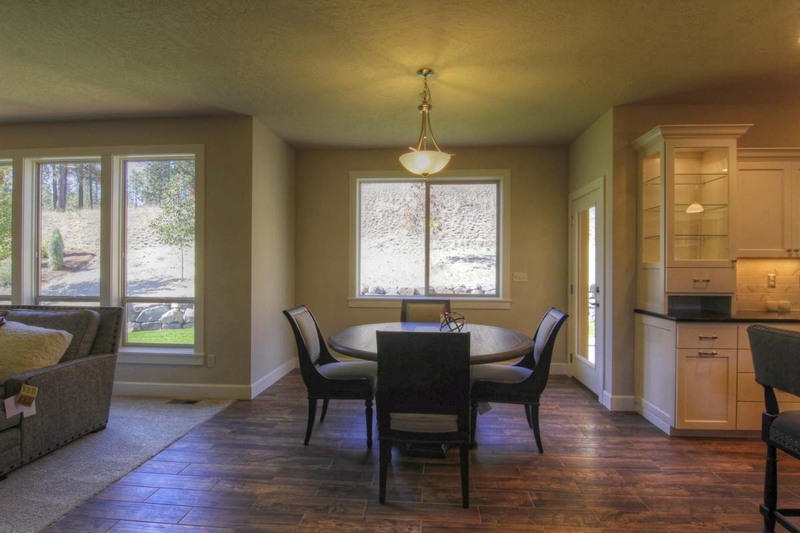 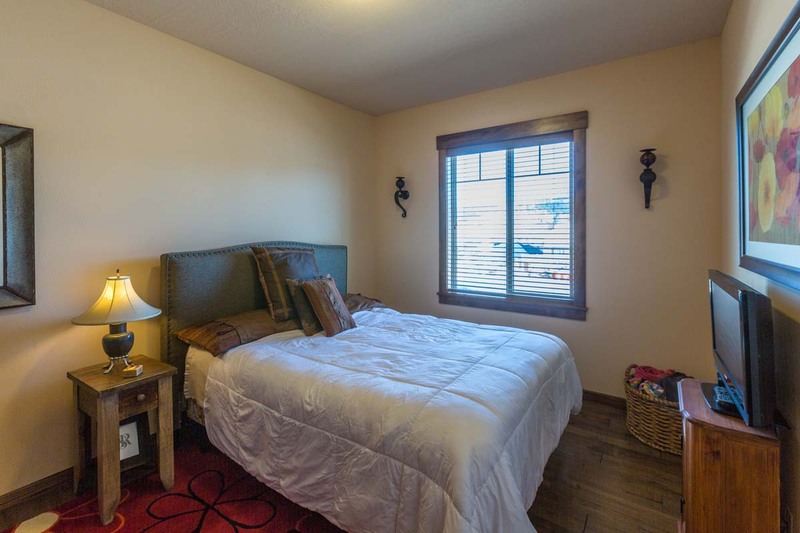 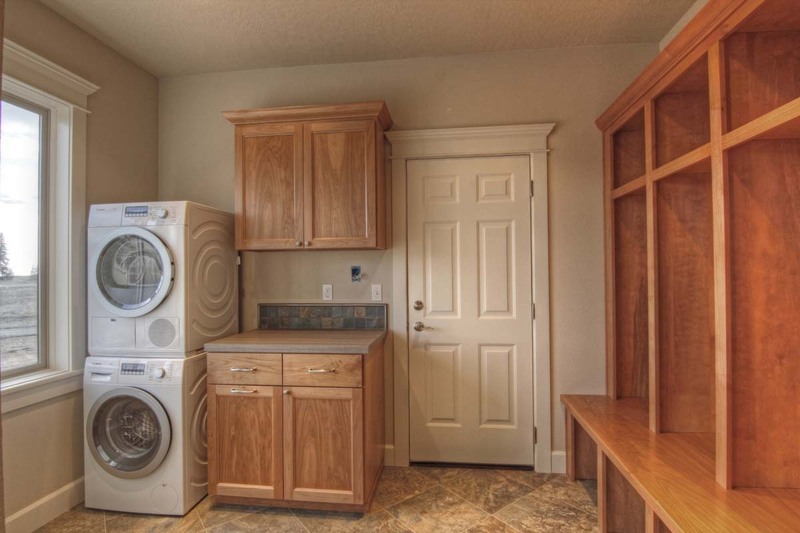 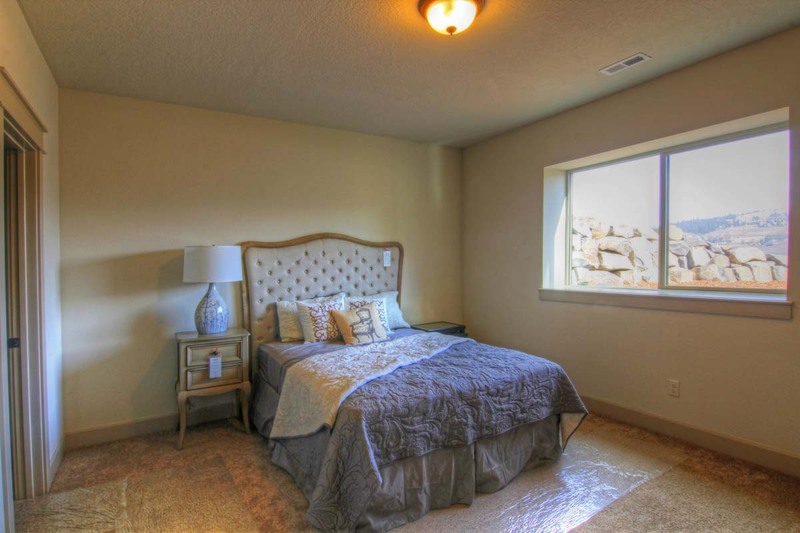 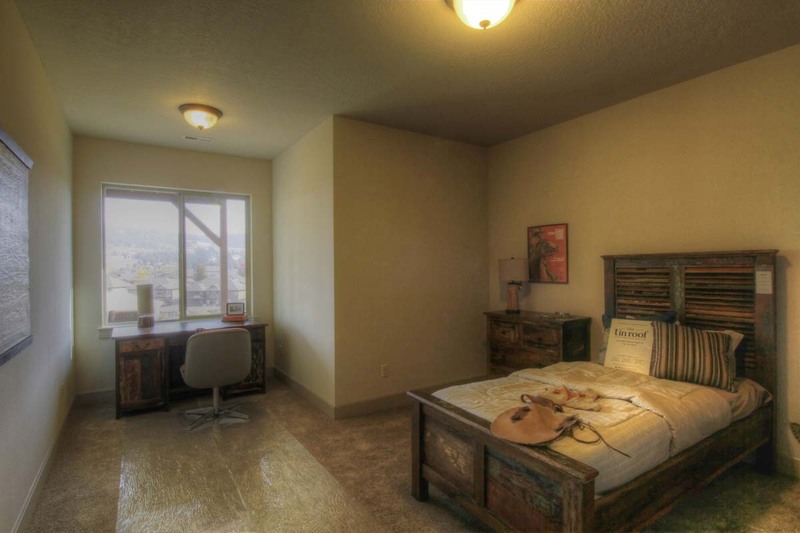 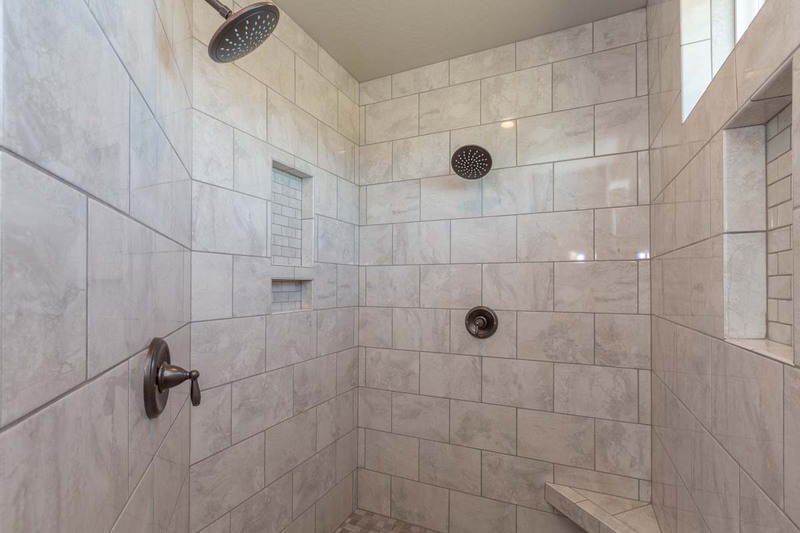 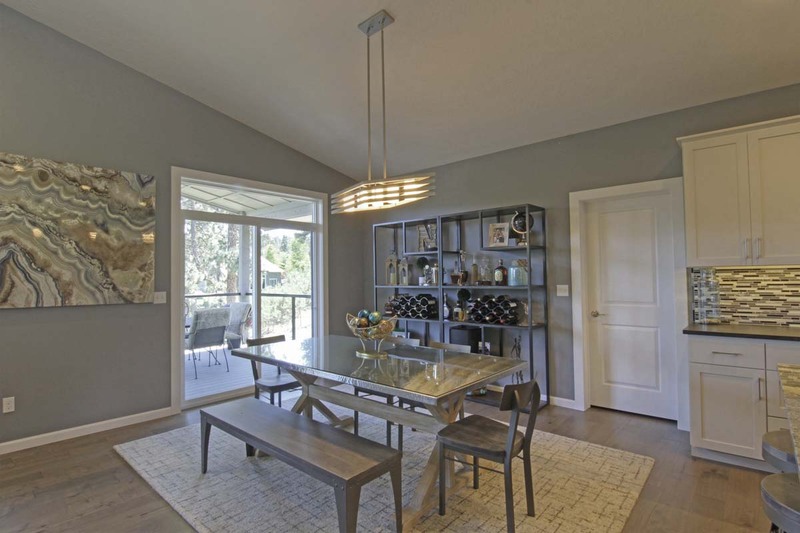 This home has upgraded finishes and amenities throughout! 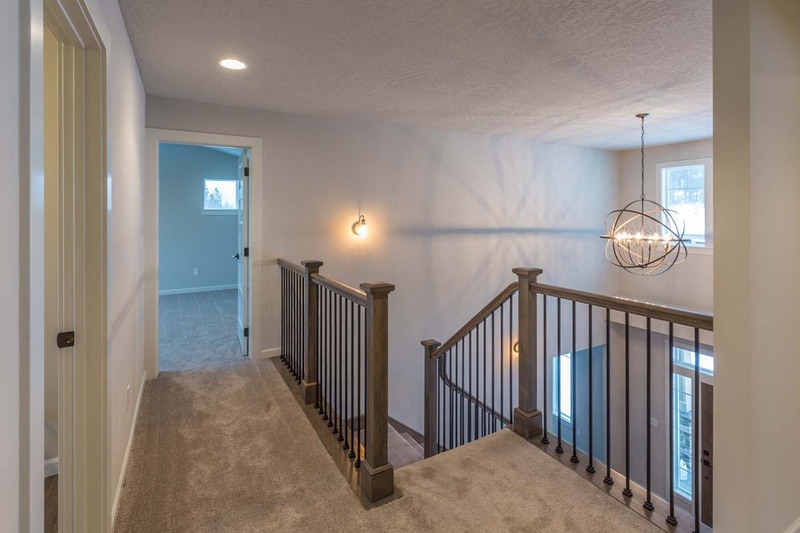 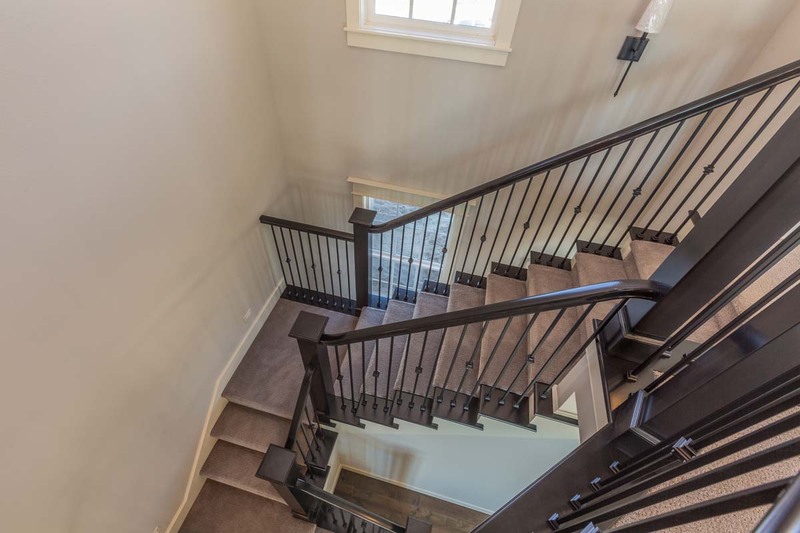 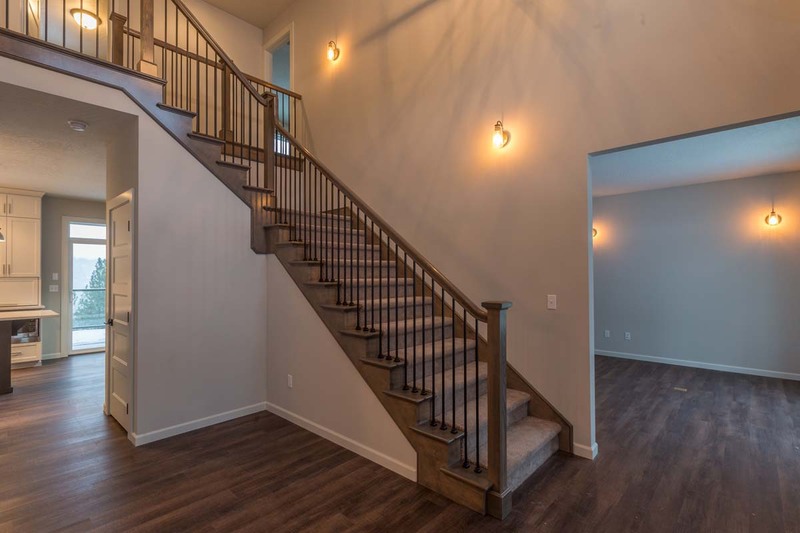 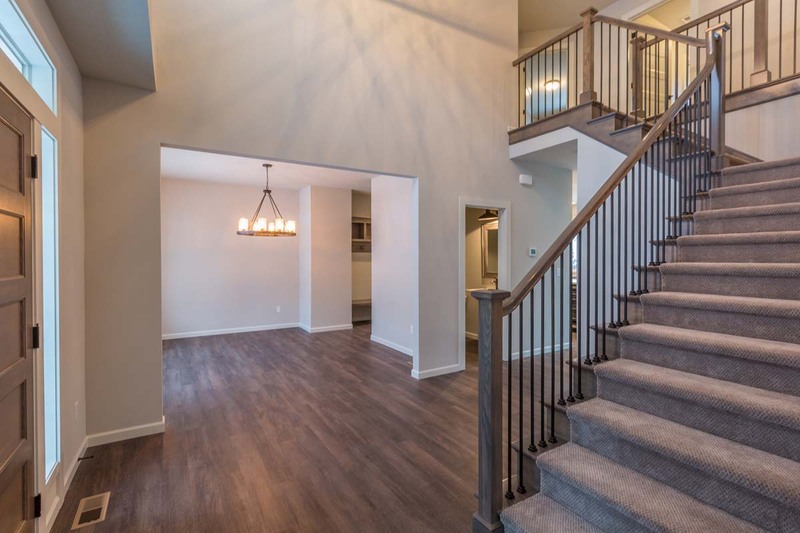 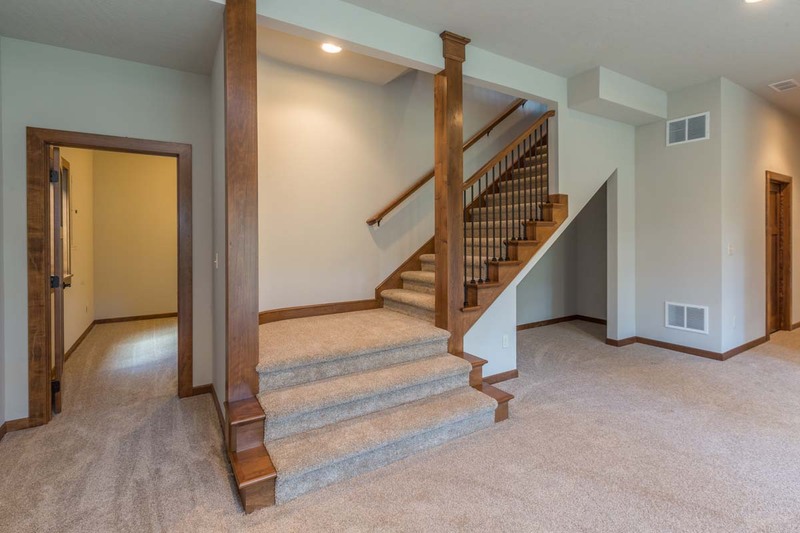 The Rosehaven two story is an excellent layout, and includes a dramatic two story tall entry and open staircase, as well as 4 bedrooms and a bonus room upstairs. 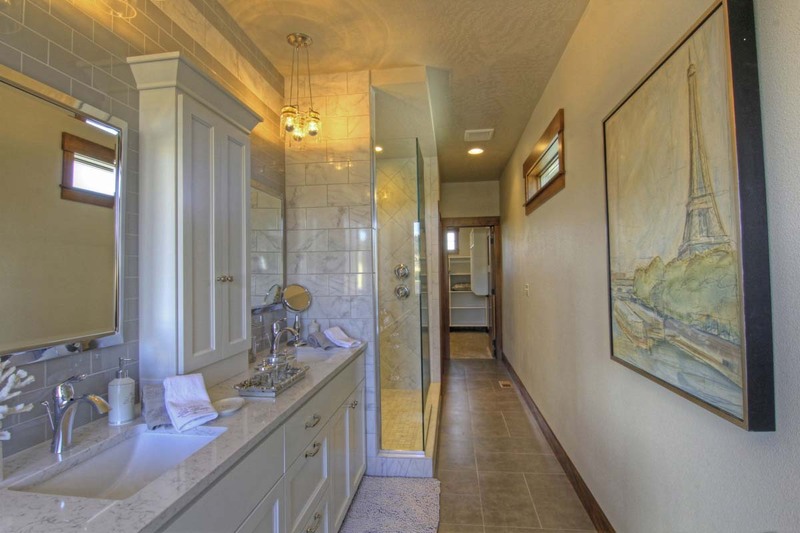 This custom has some special finishes!